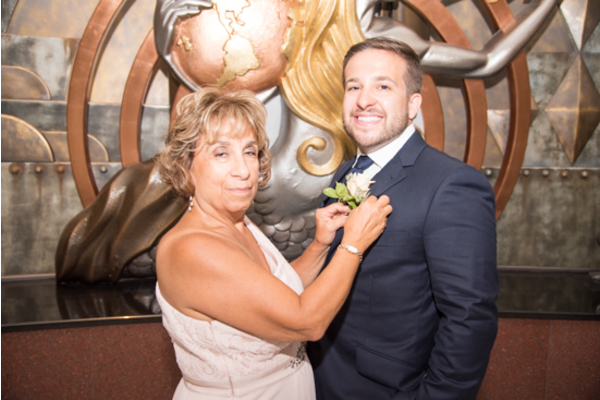 Congratulations to Michelle and Joe on their recent marriage. 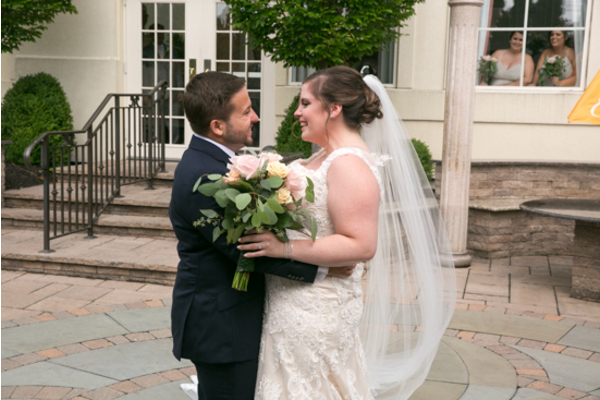 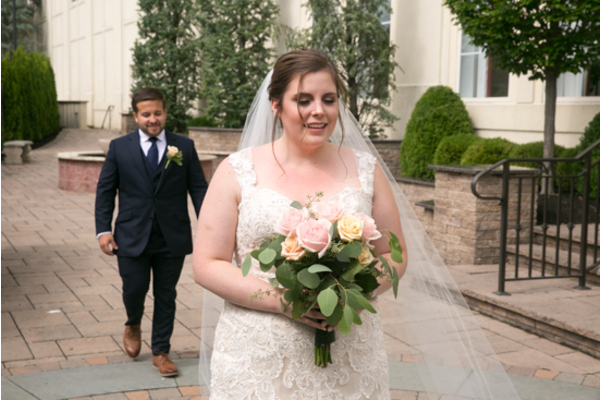 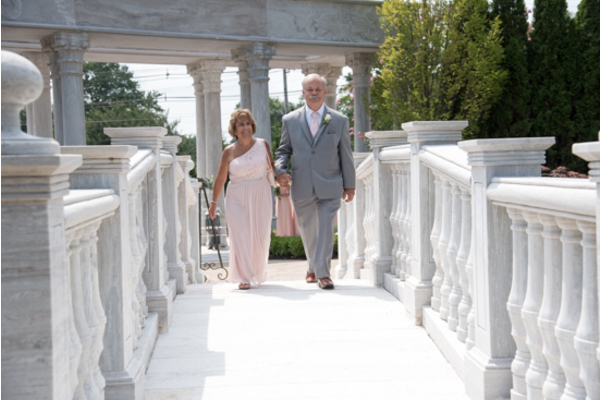 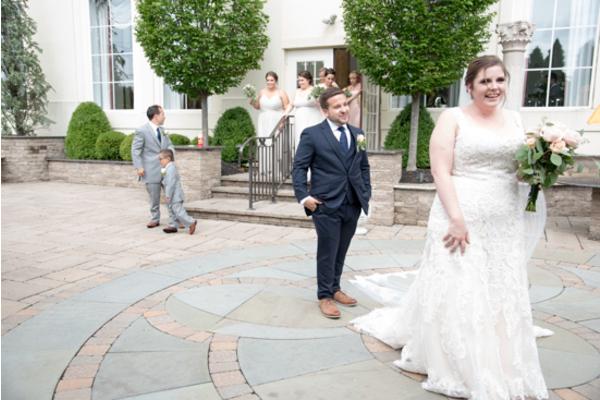 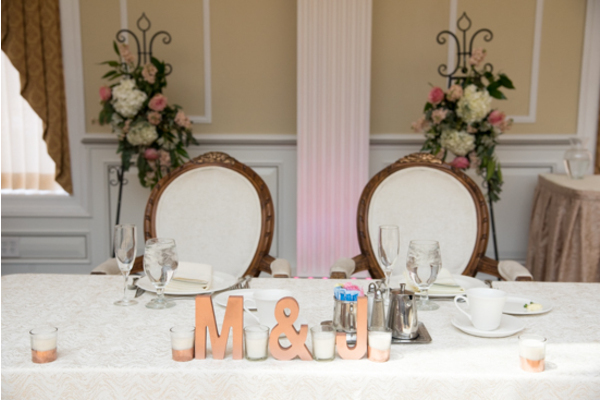 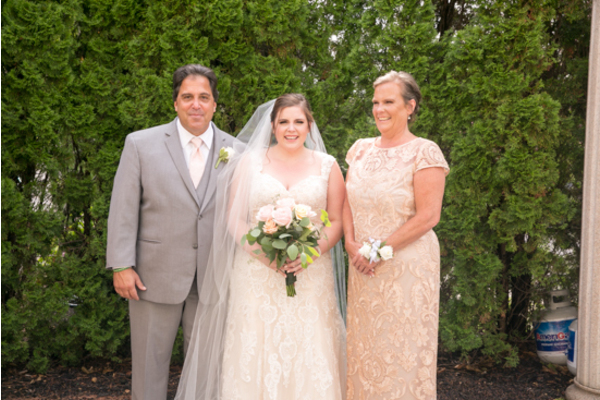 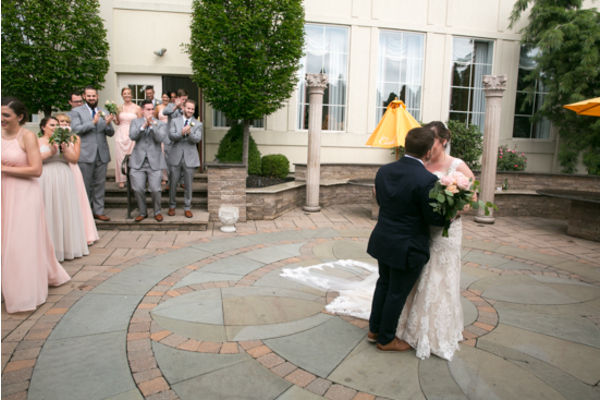 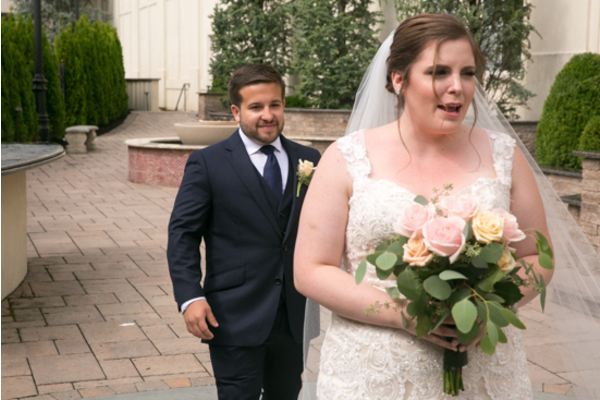 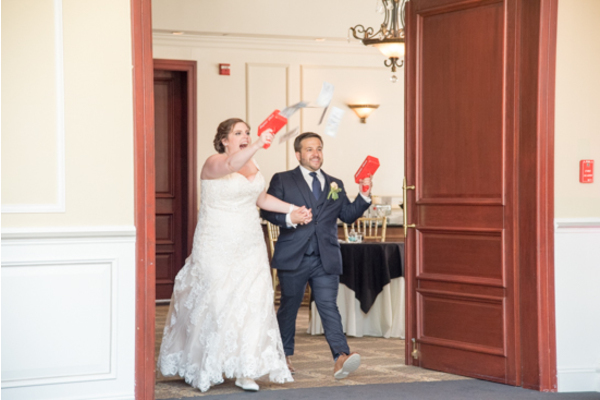 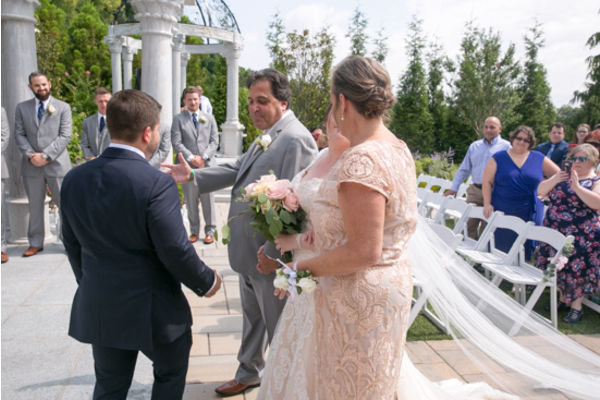 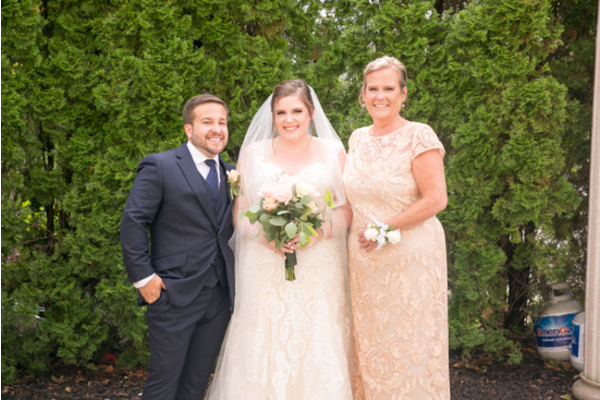 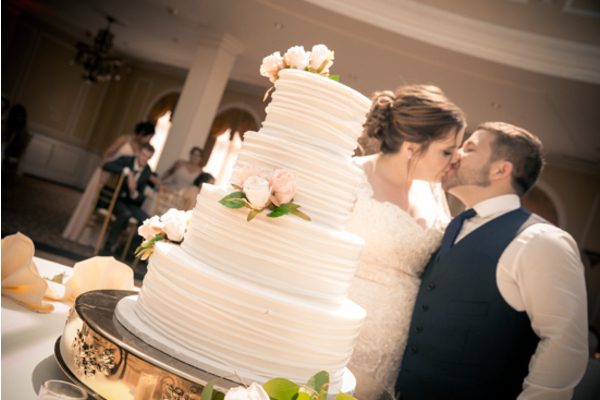 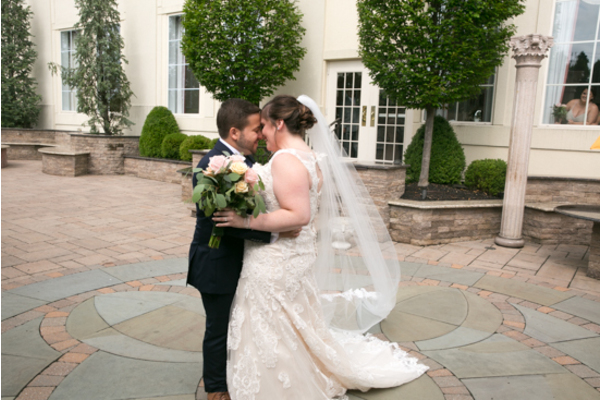 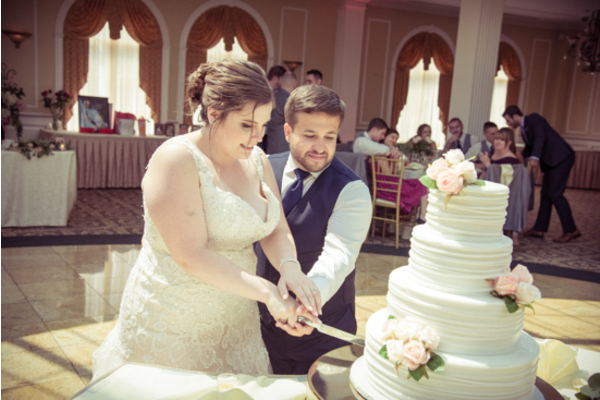 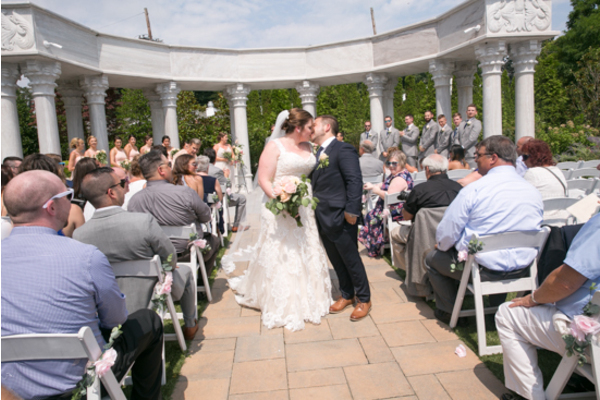 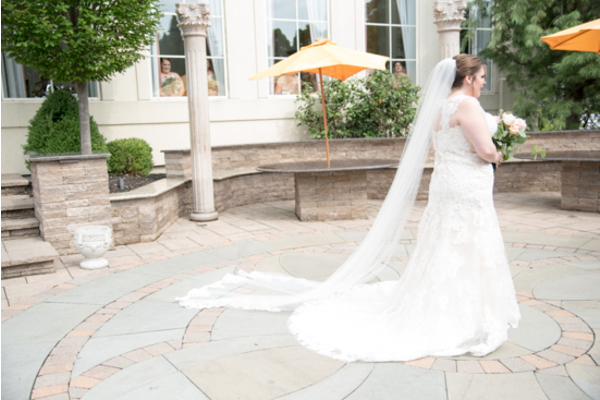 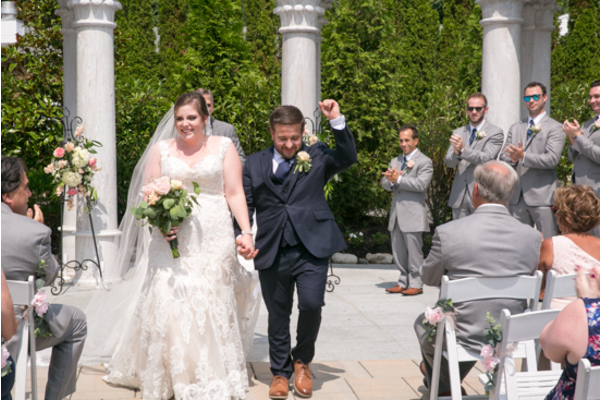 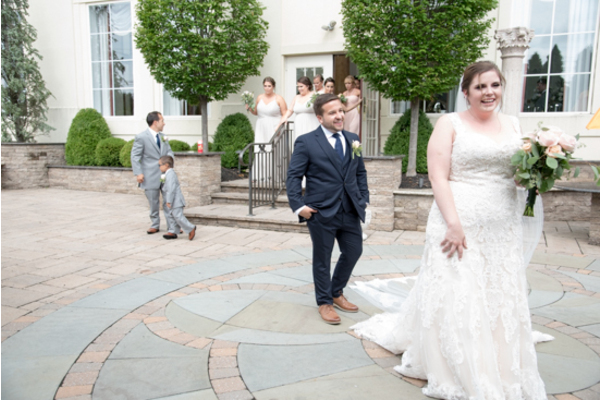 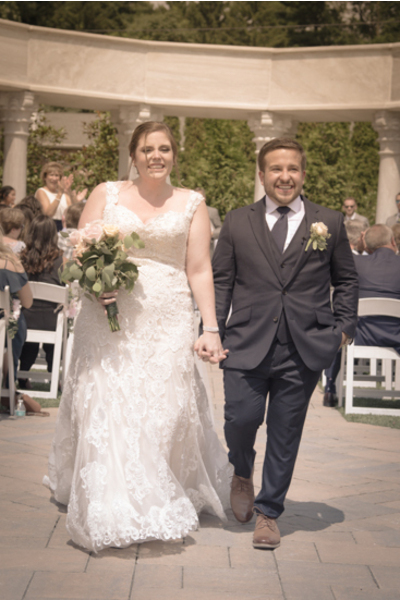 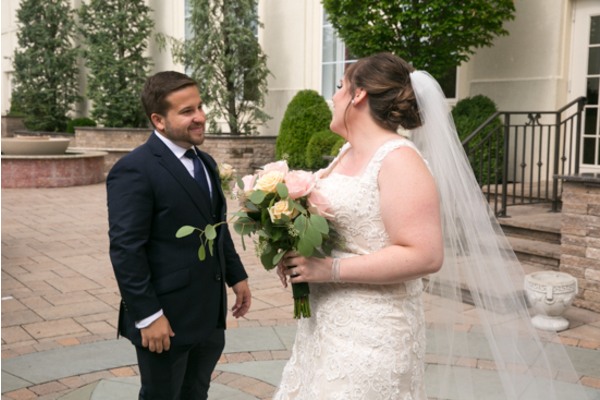 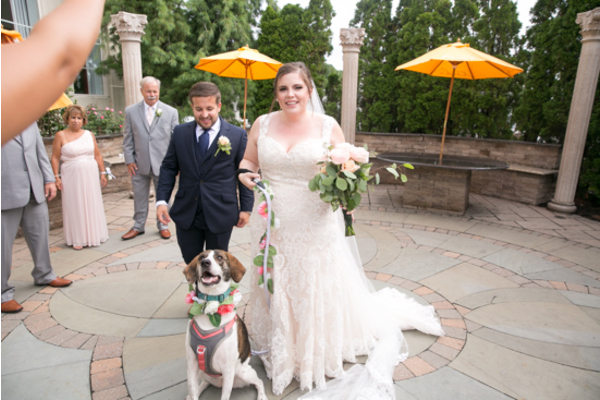 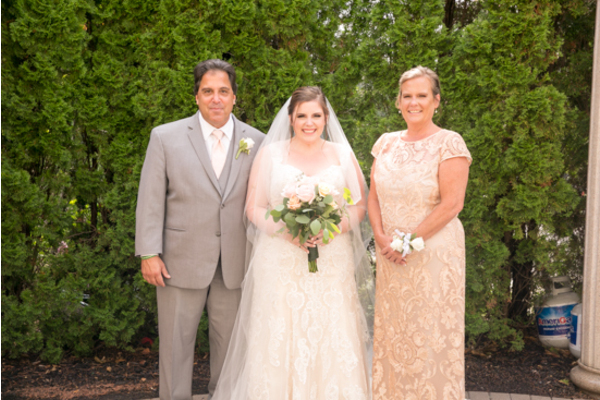 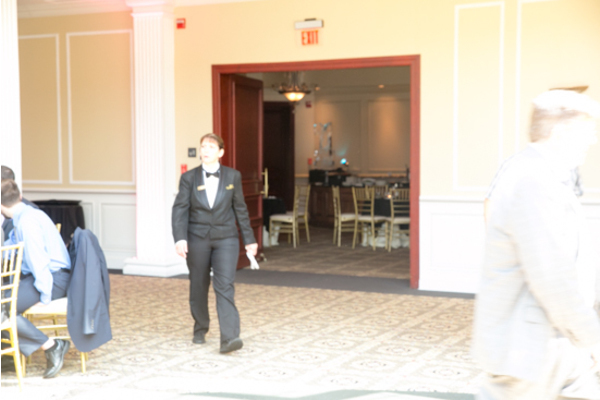 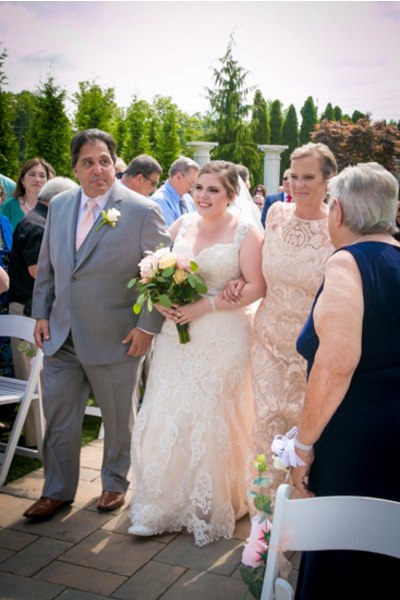 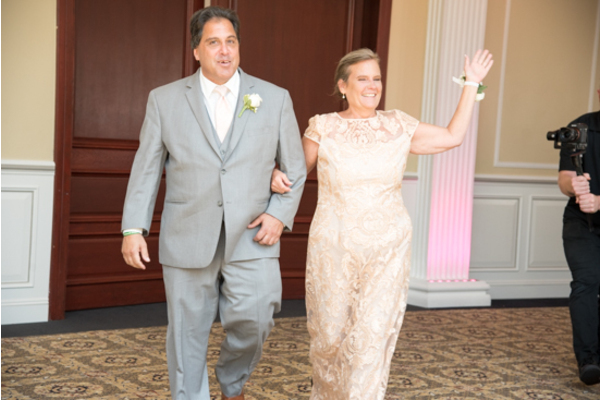 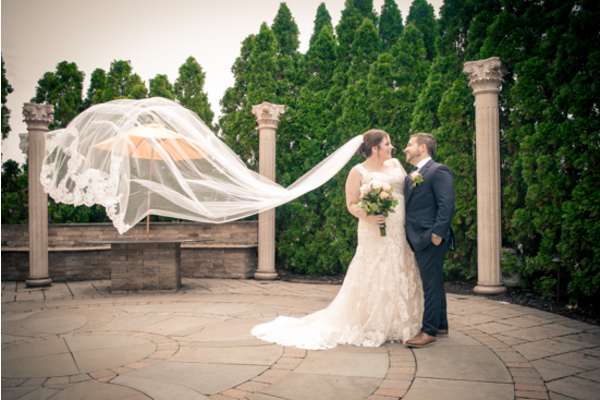 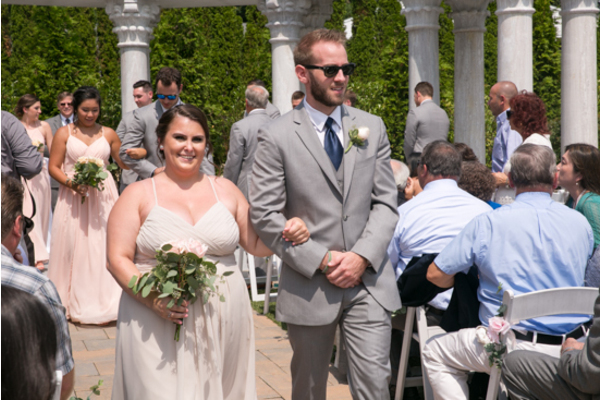 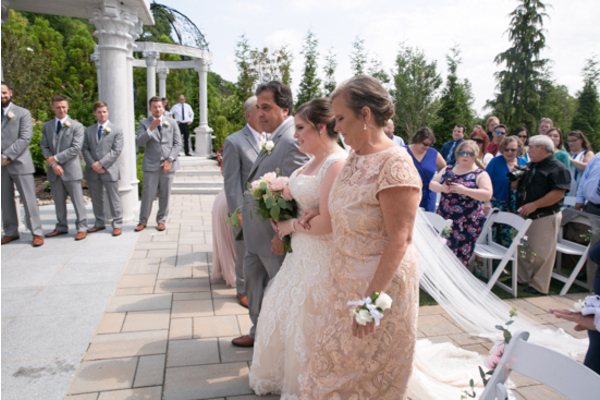 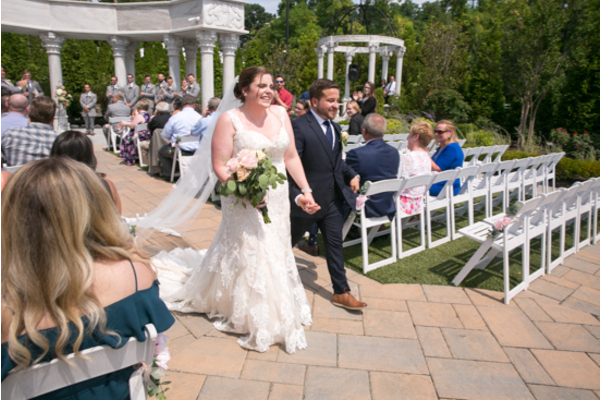 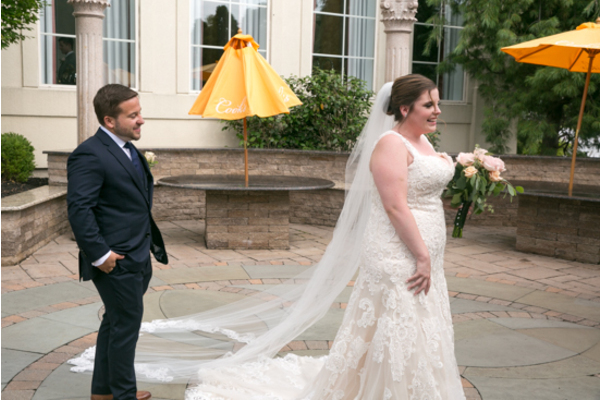 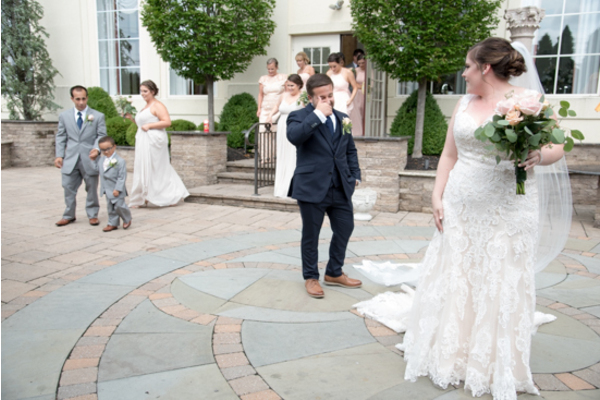 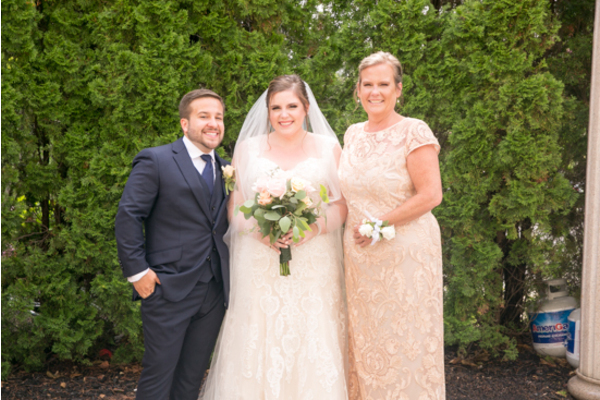 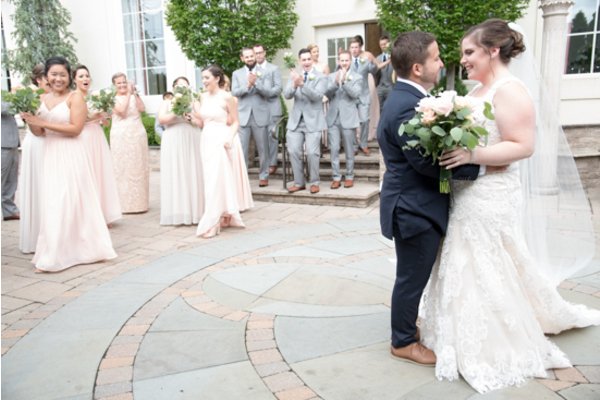 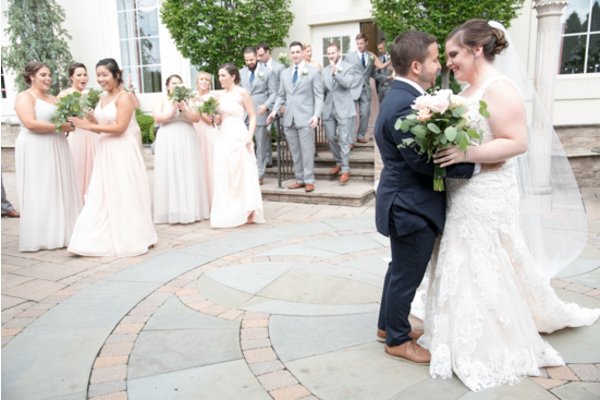 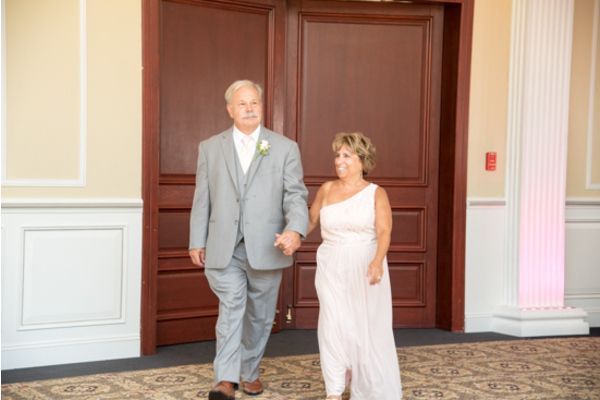 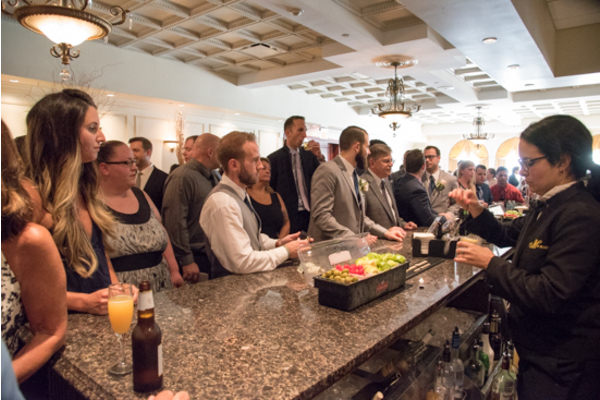 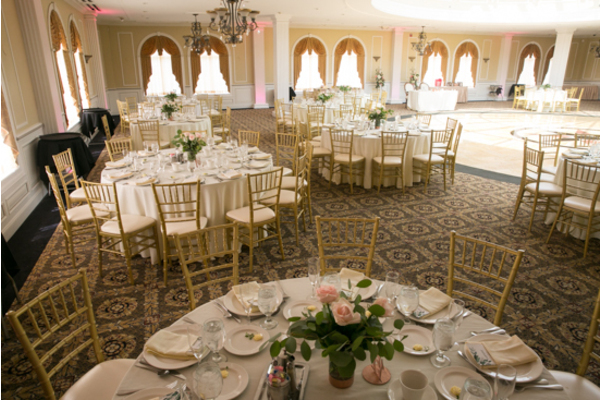 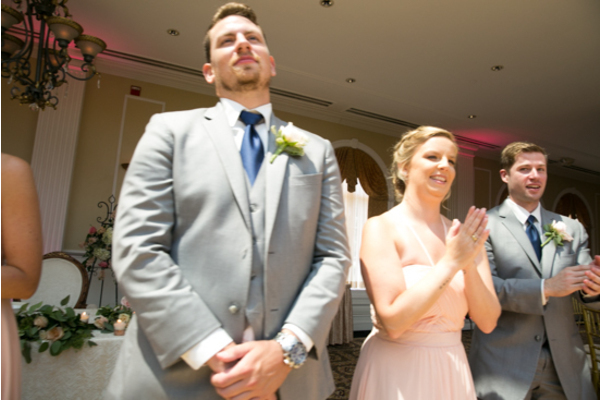 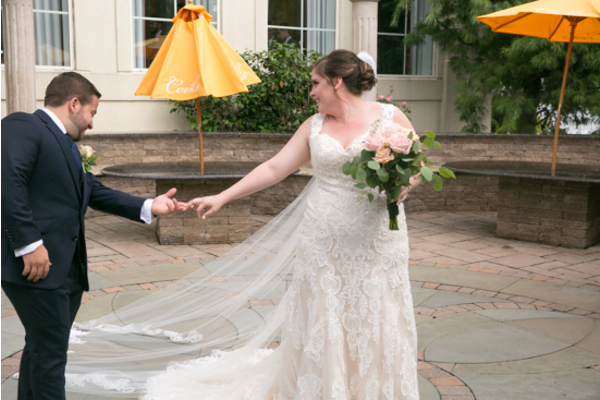 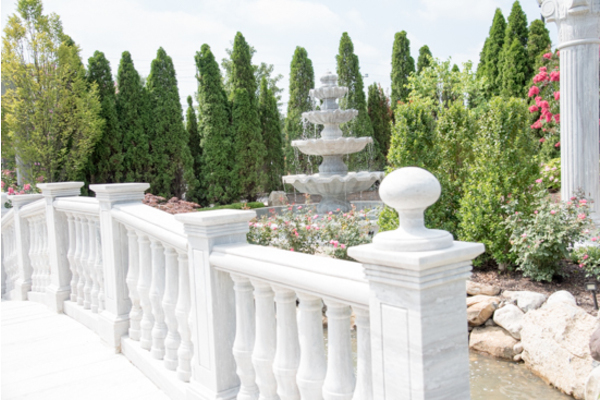 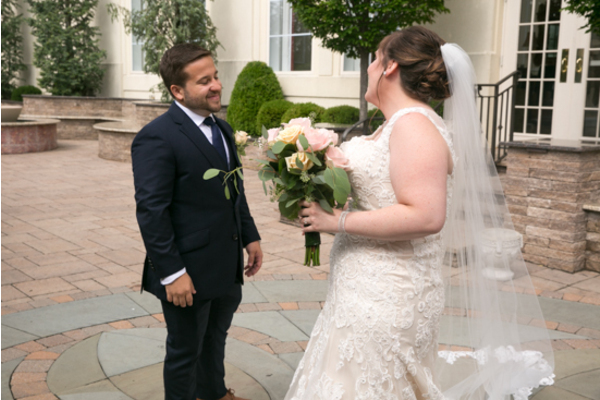 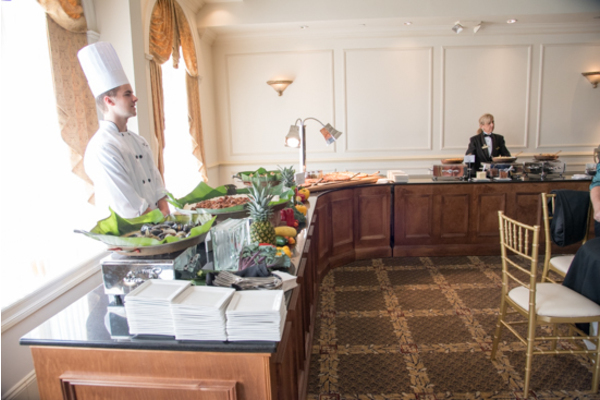 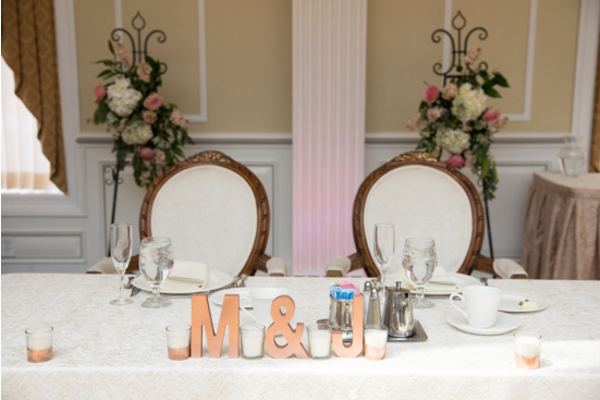 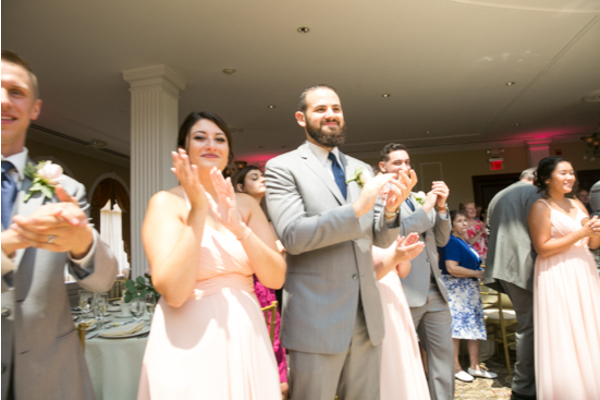 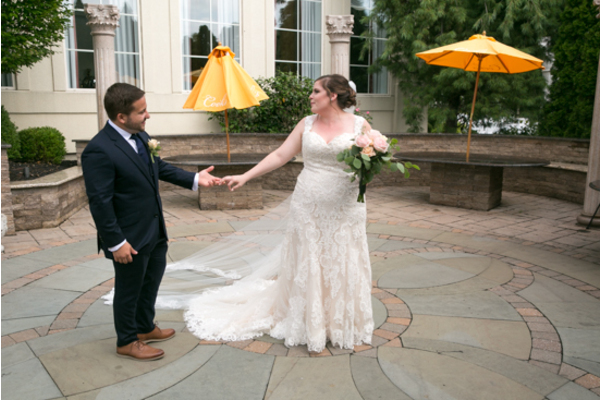 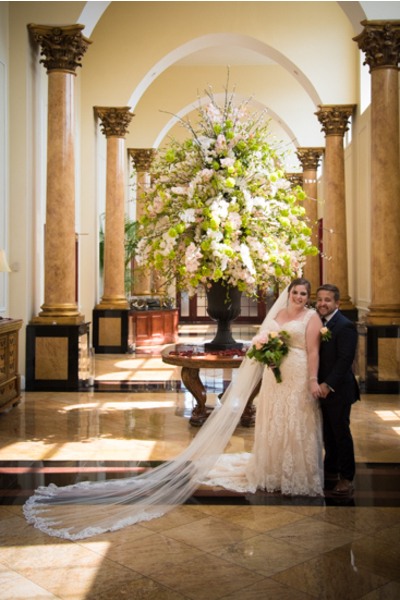 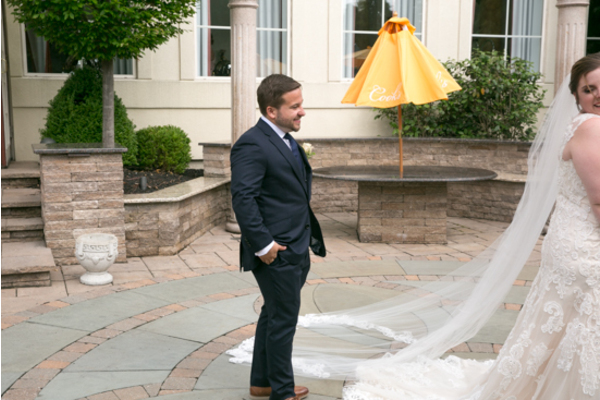 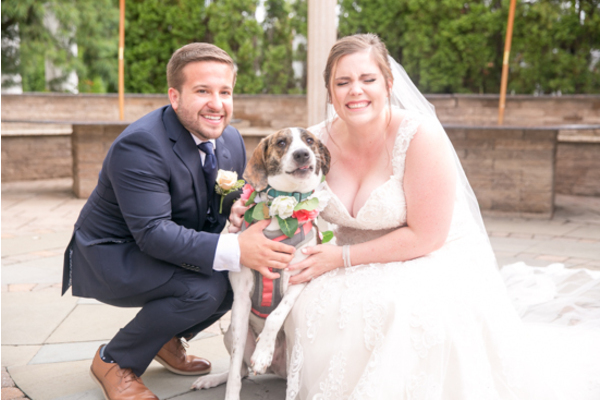 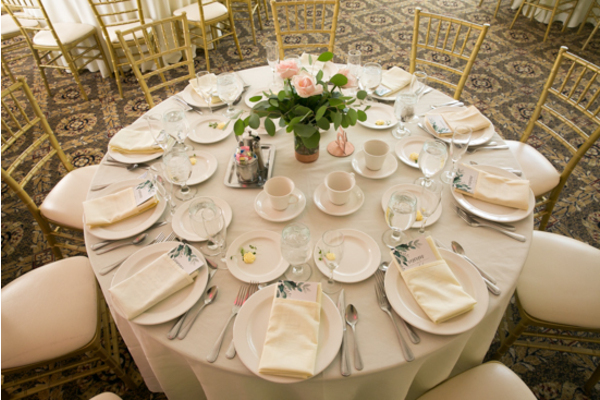 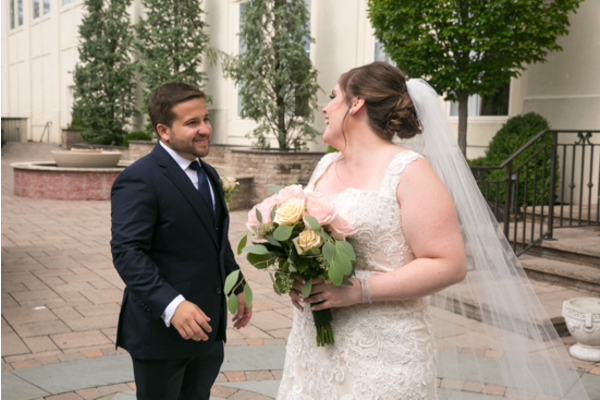 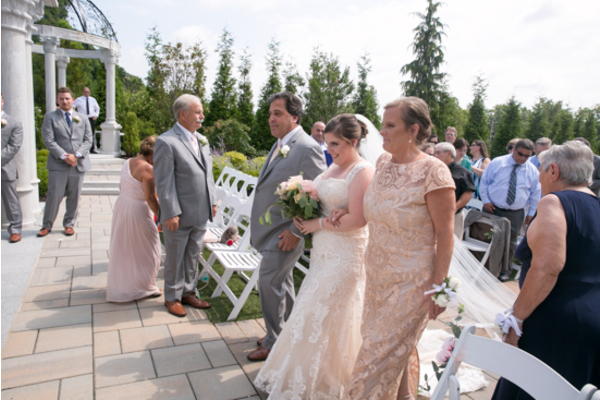 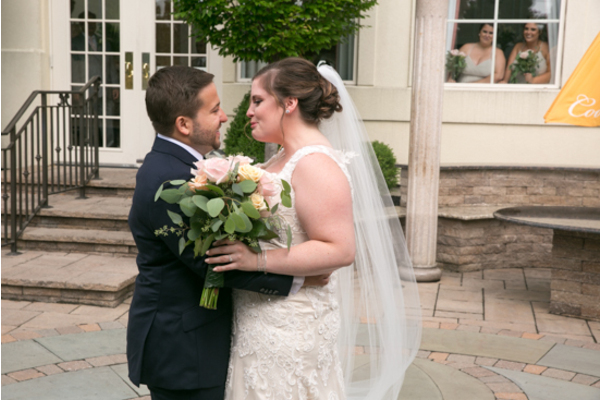 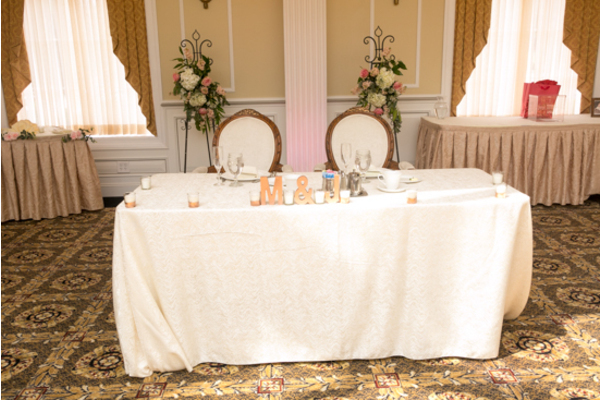 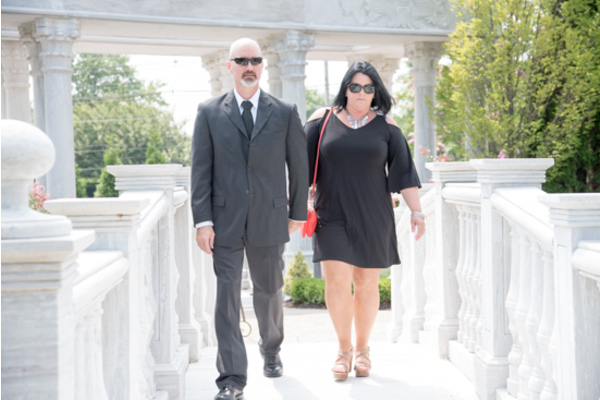 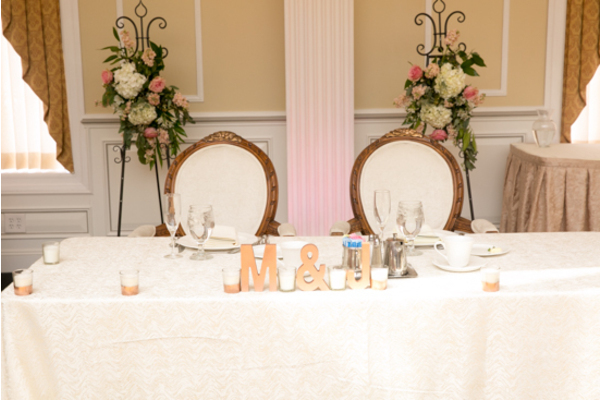 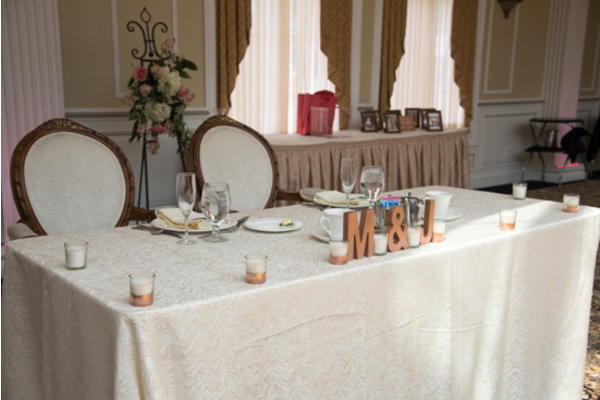 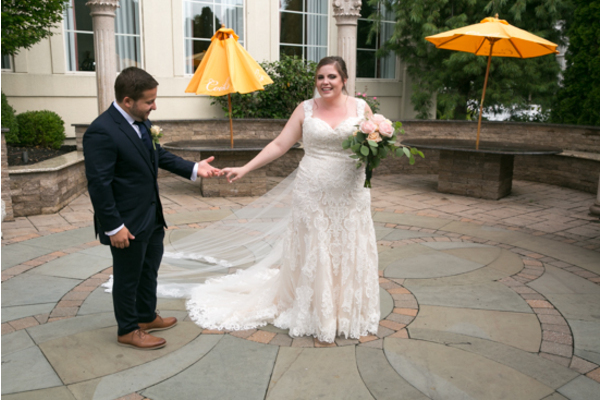 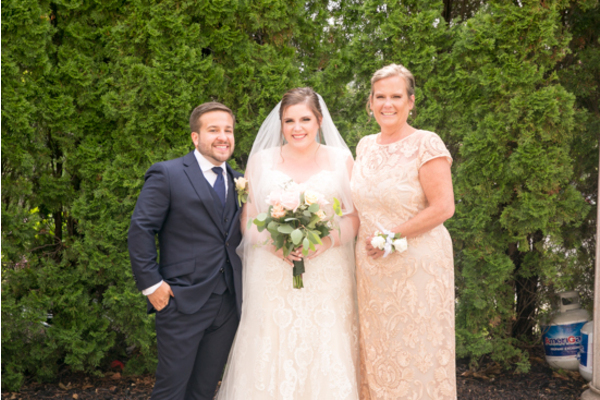 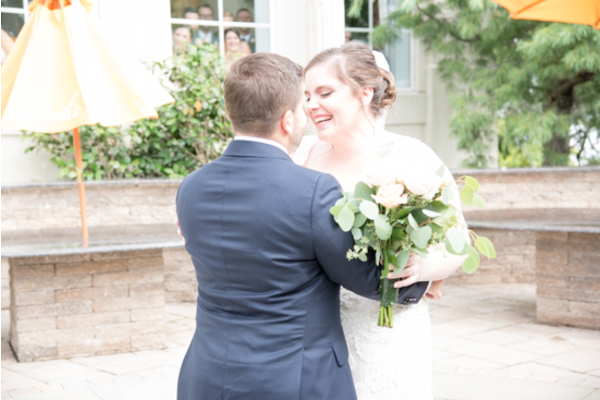 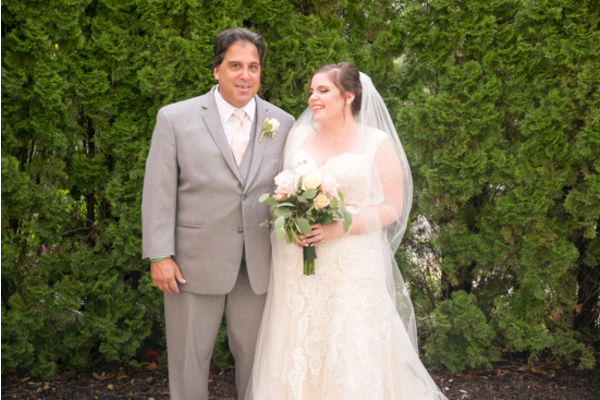 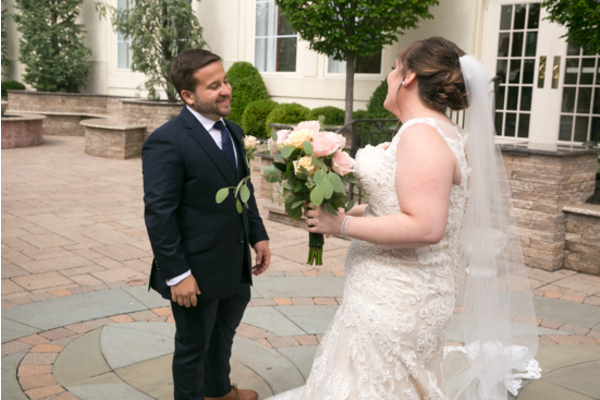 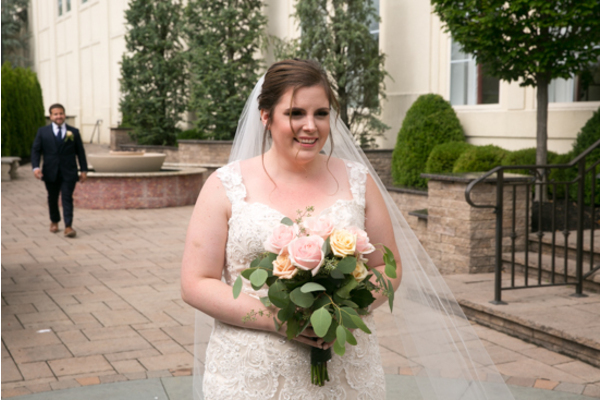 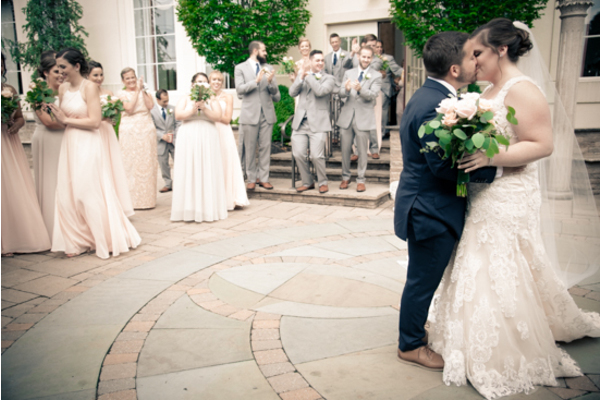 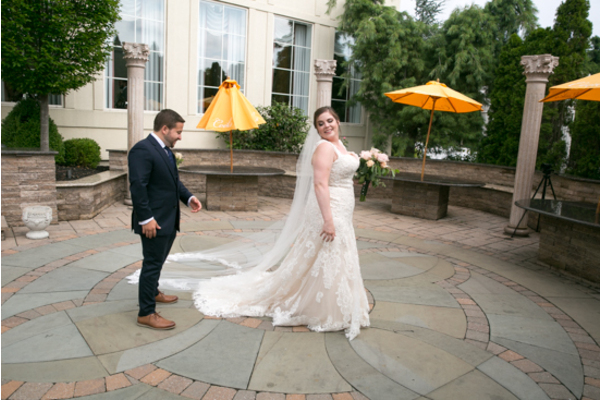 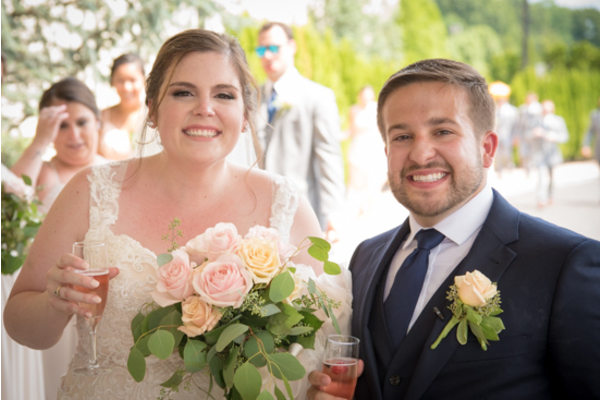 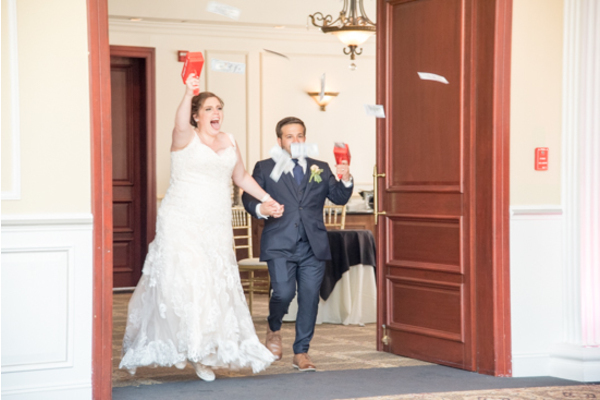 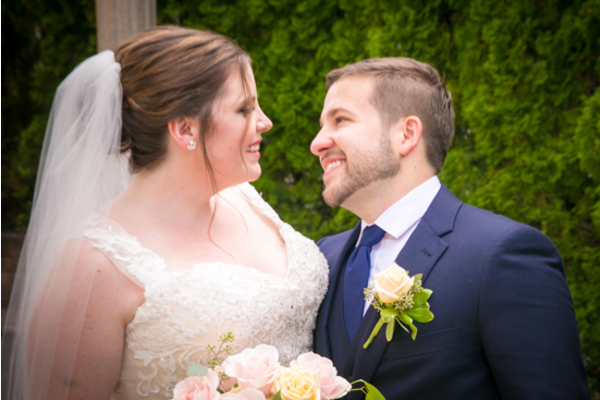 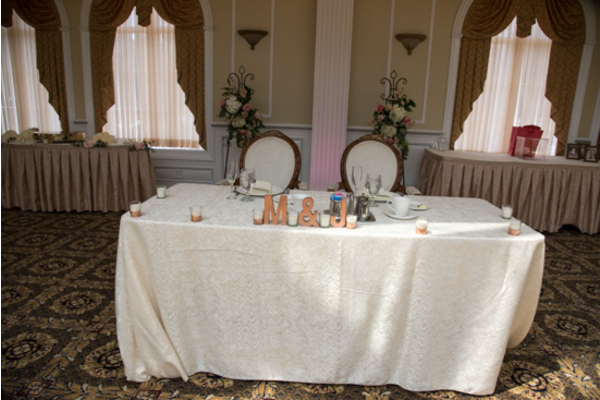 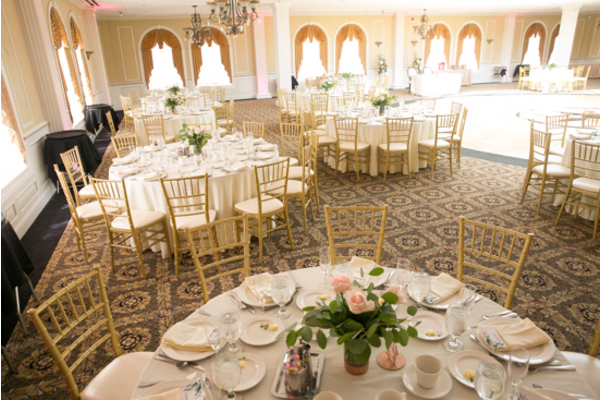 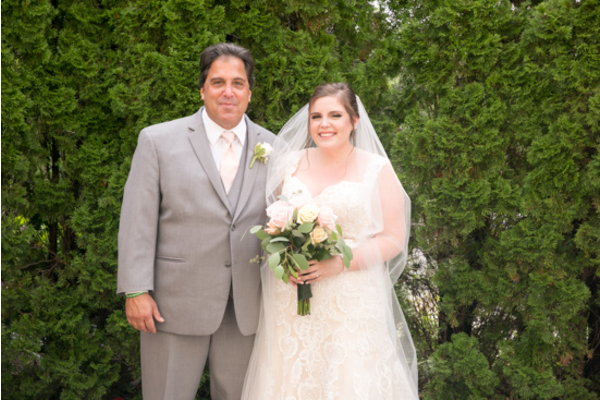 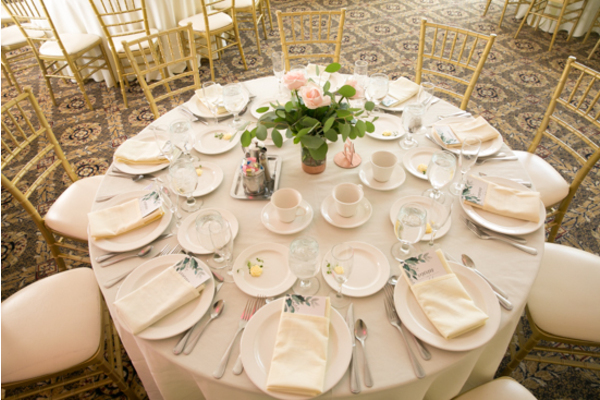 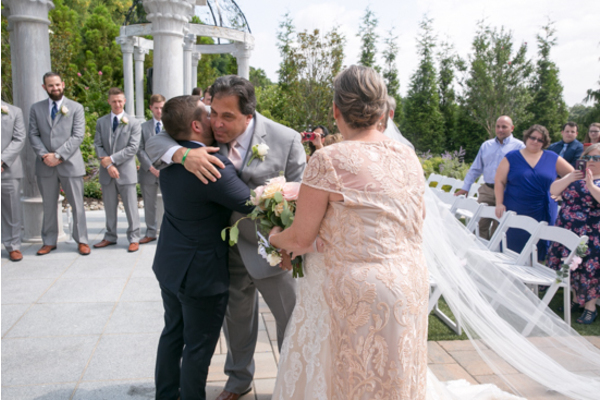 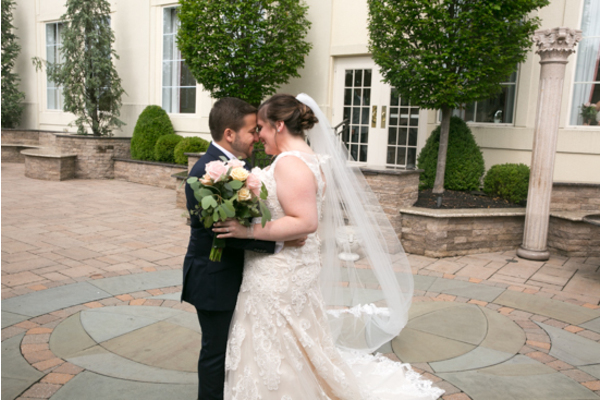 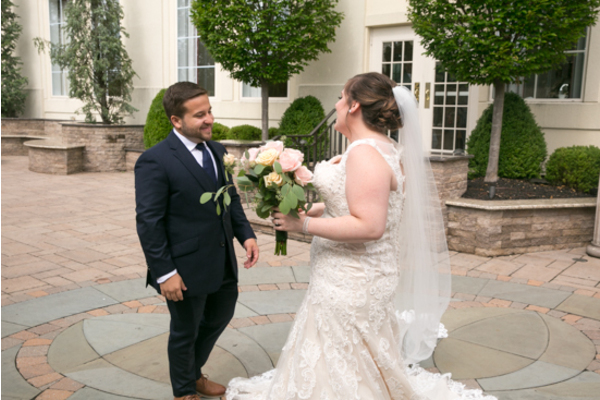 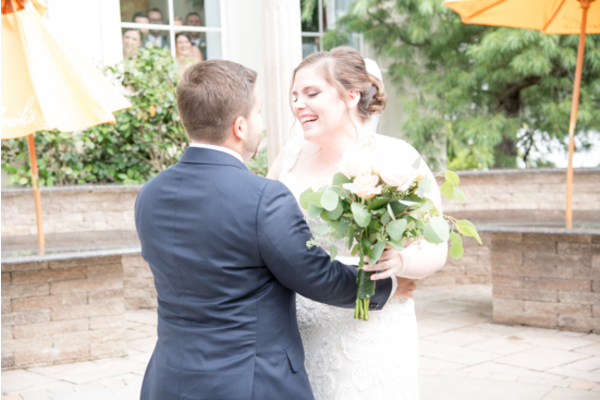 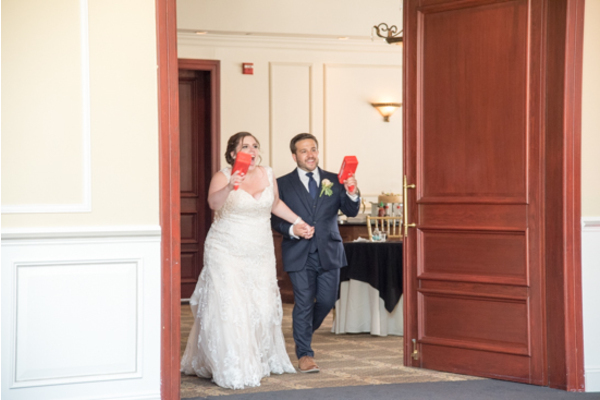 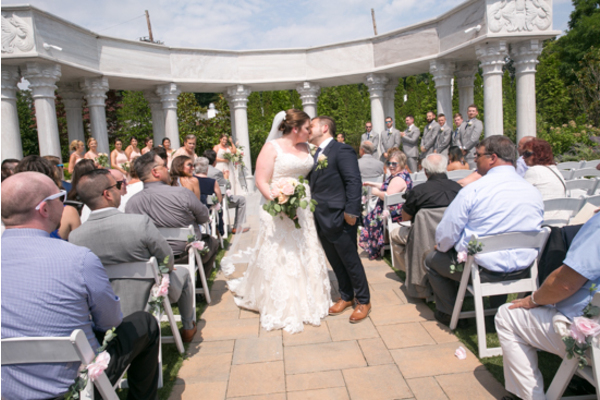 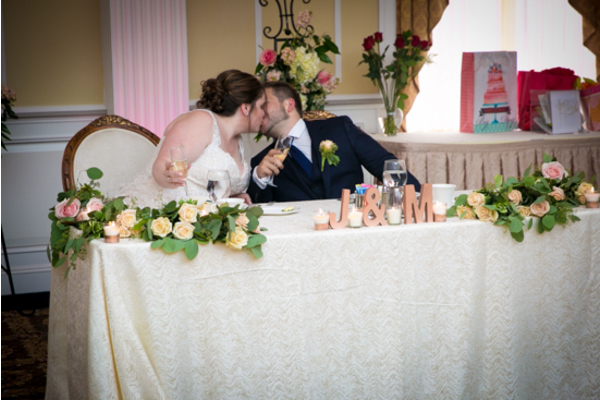 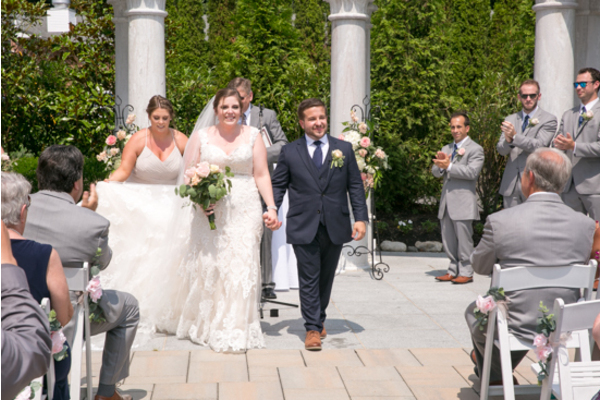 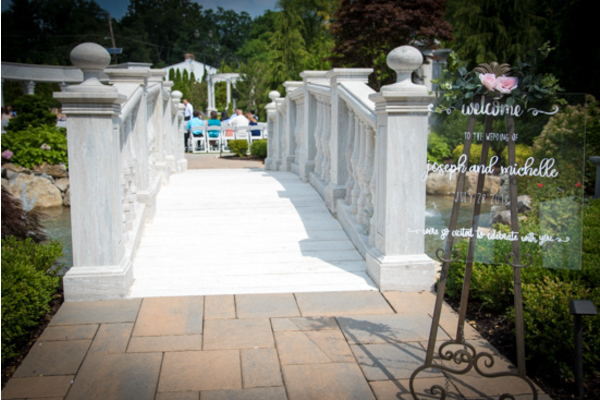 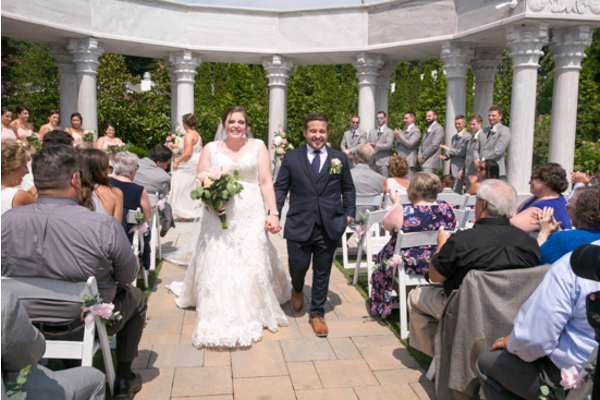 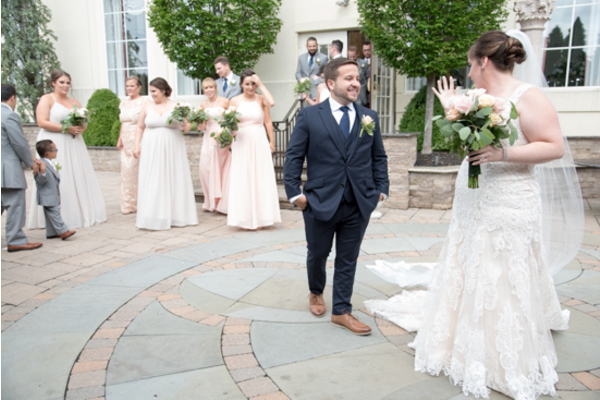 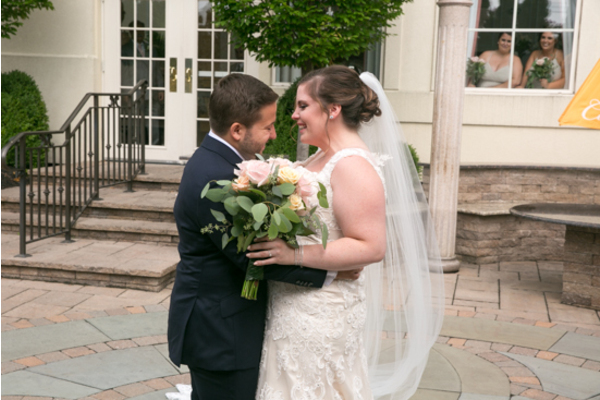 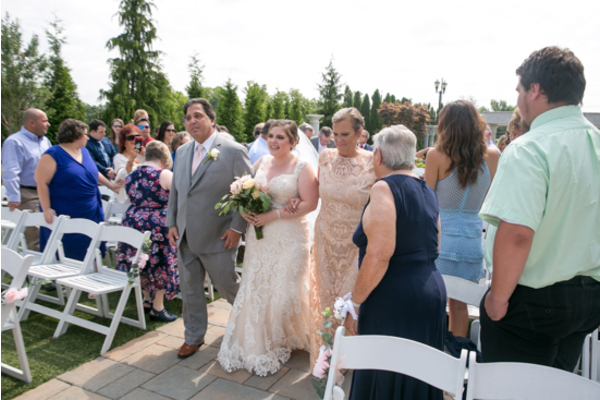 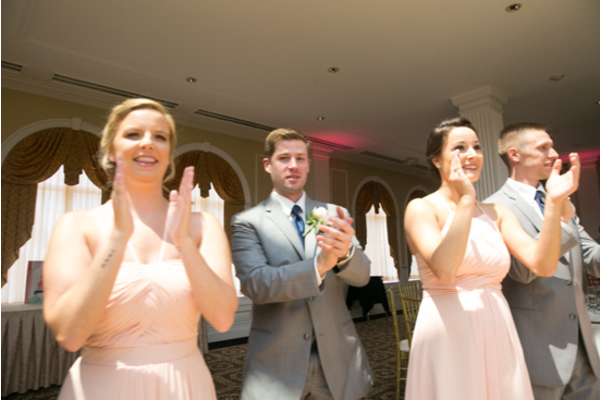 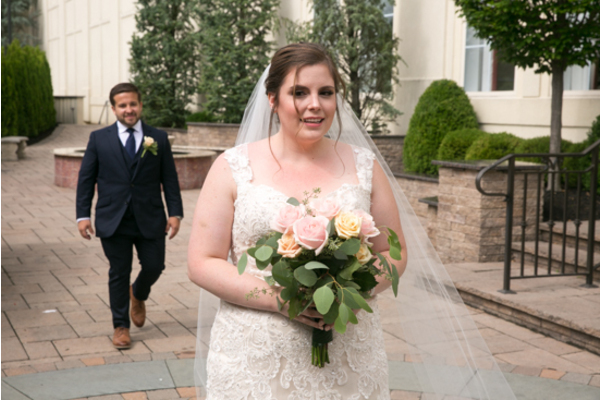 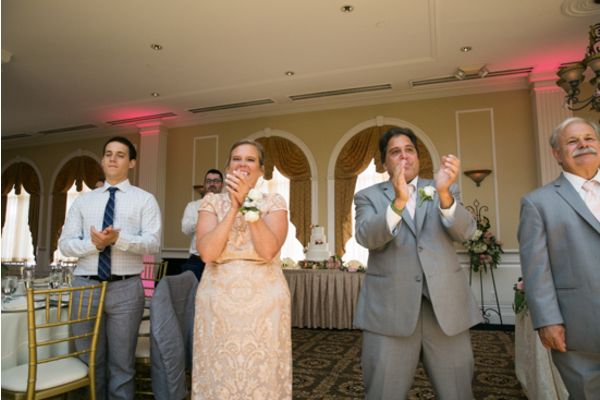 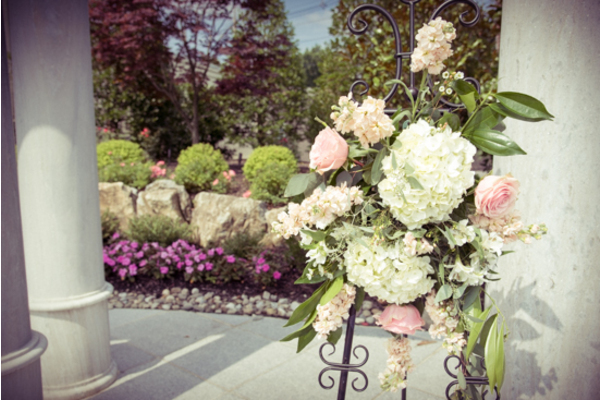 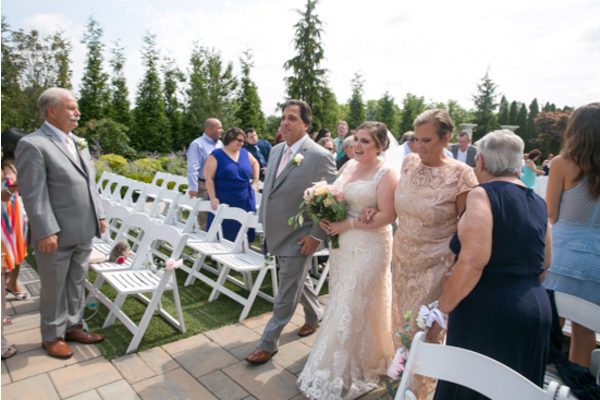 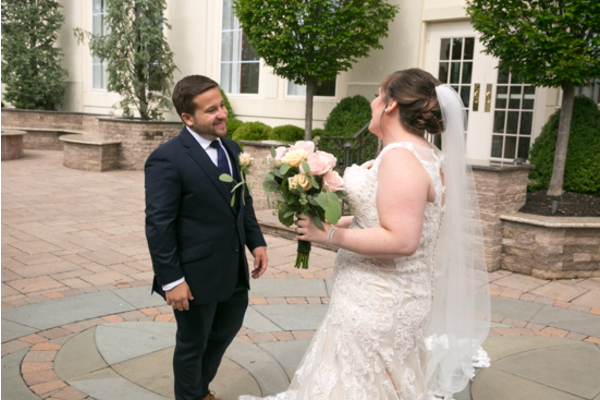 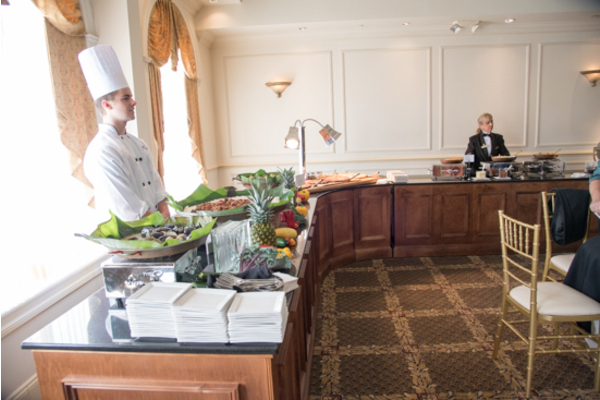 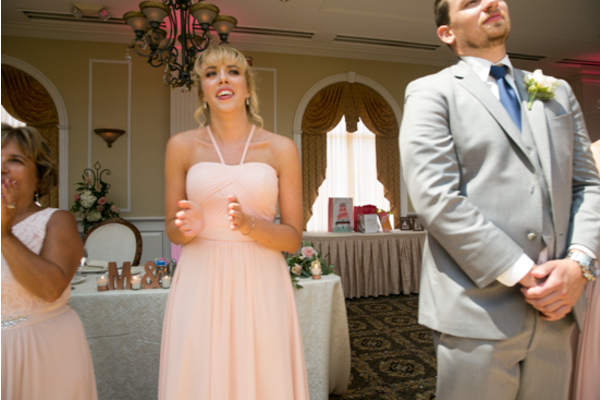 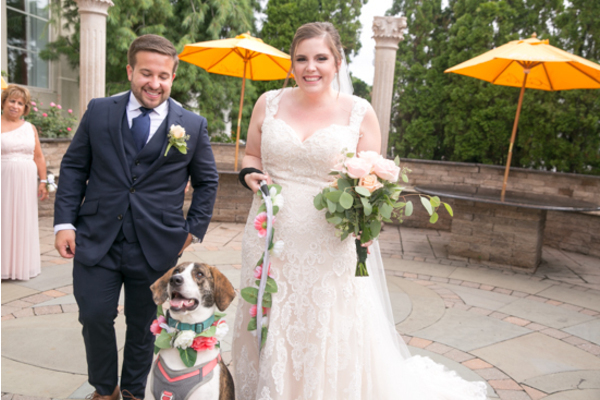 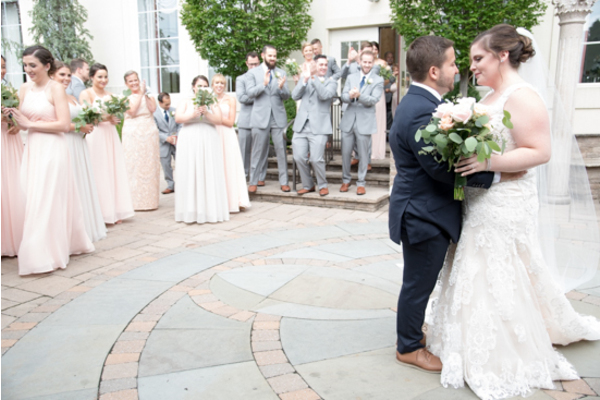 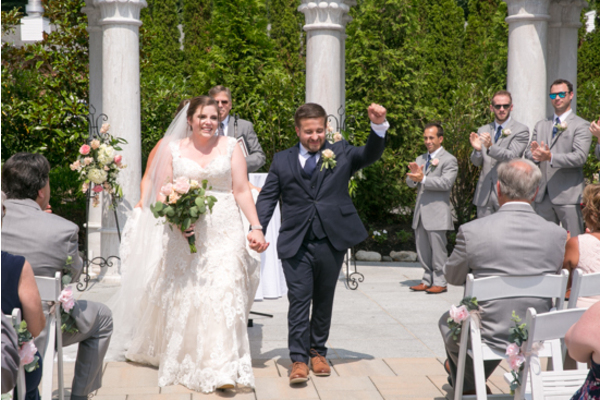 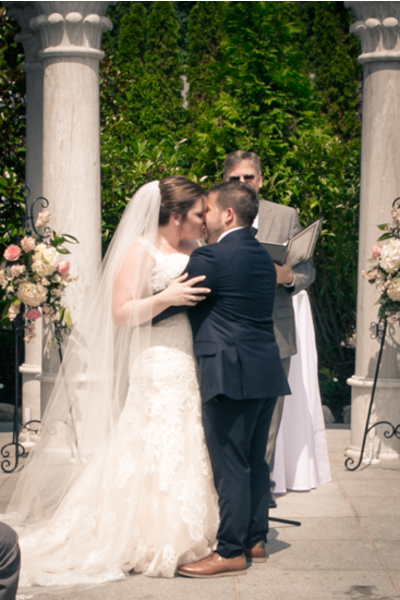 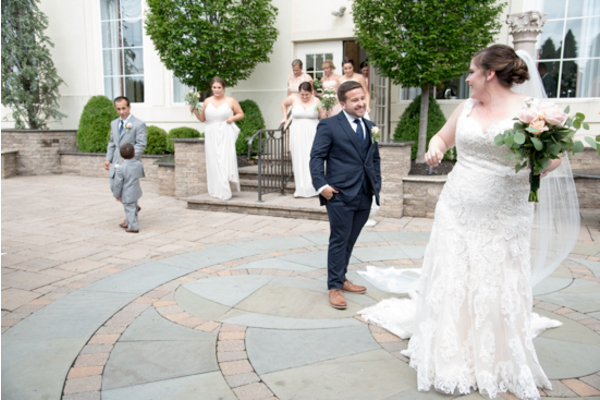 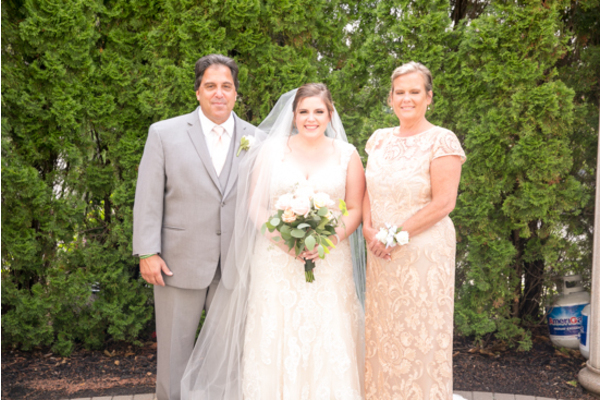 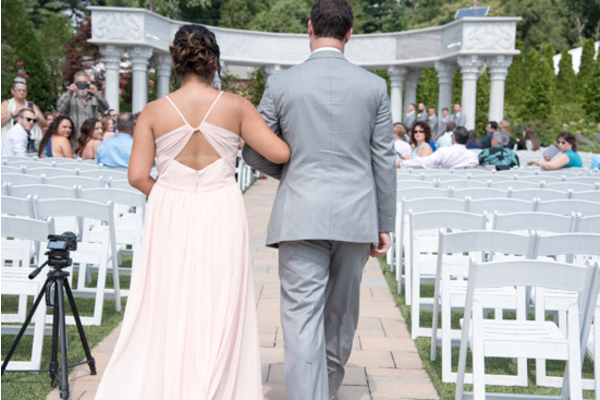 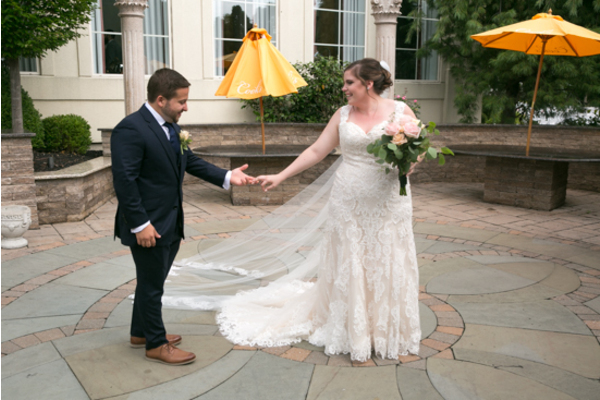 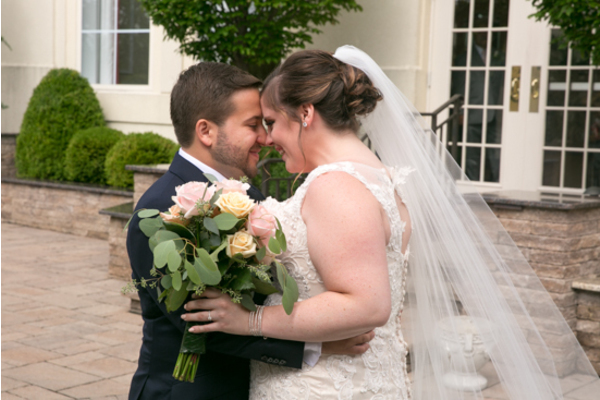 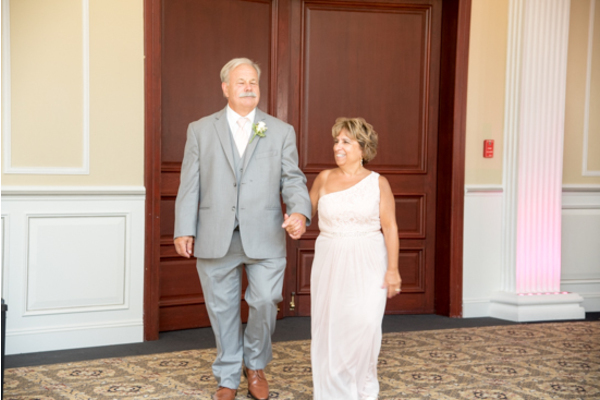 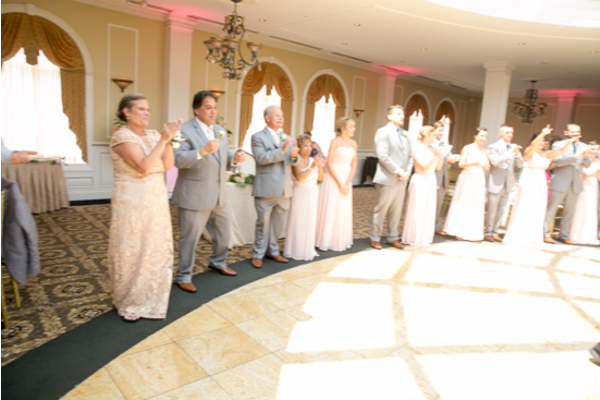 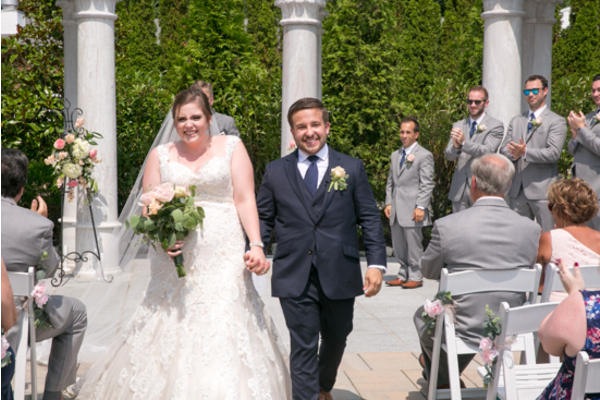 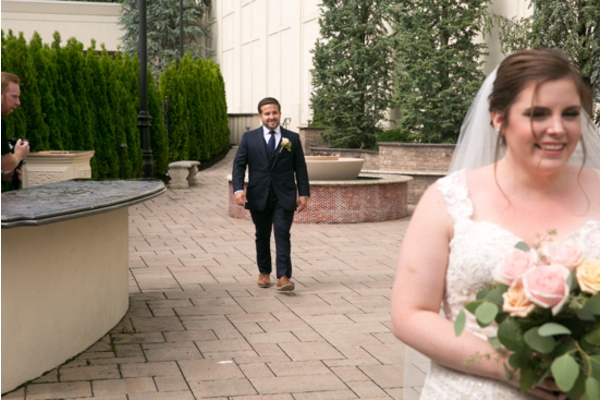 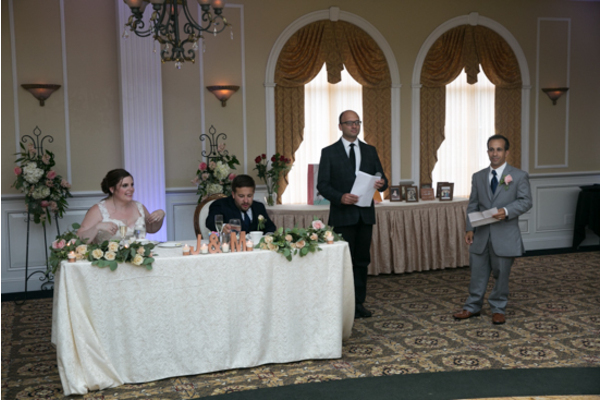 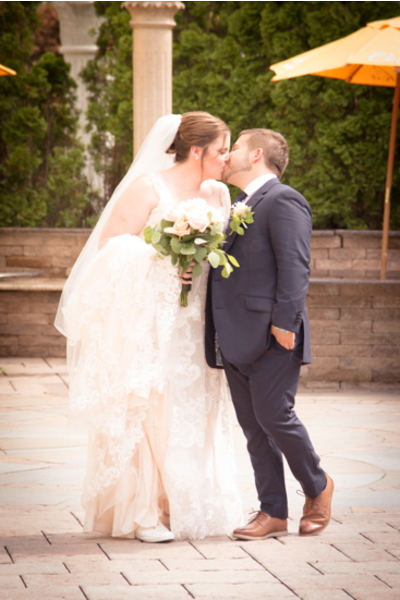 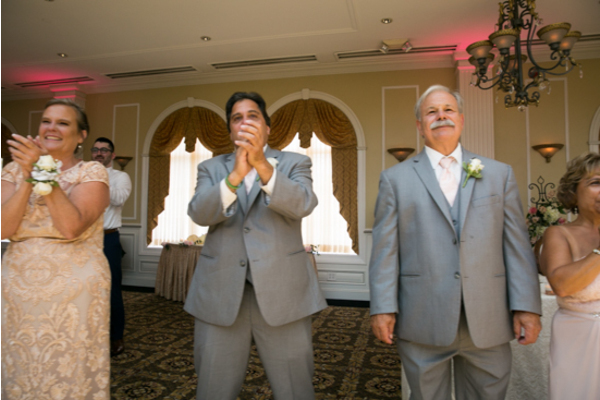 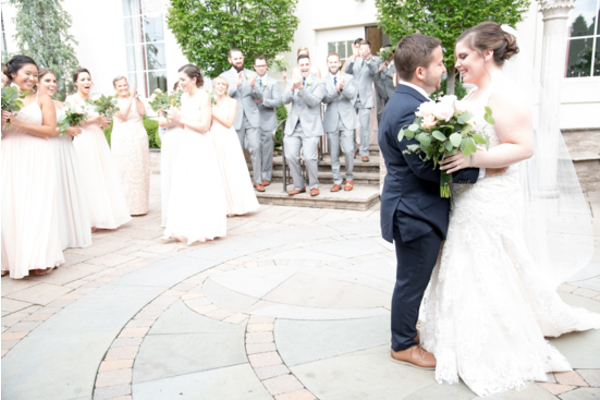 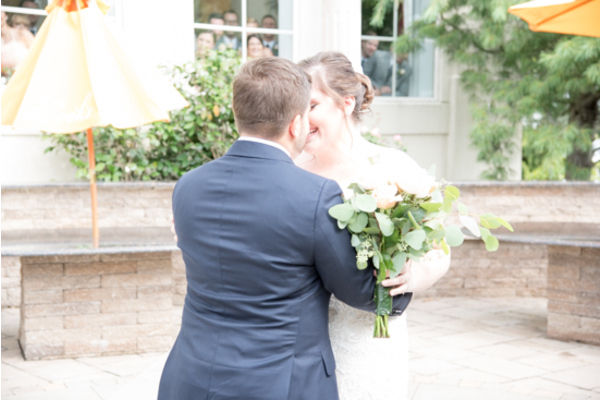 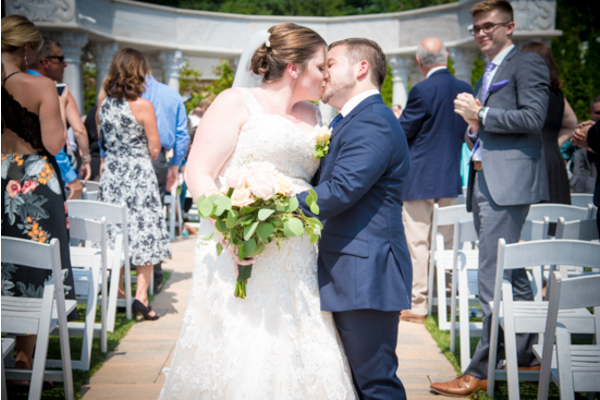 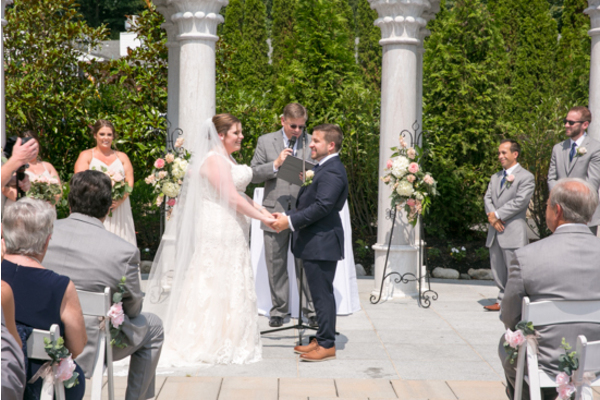 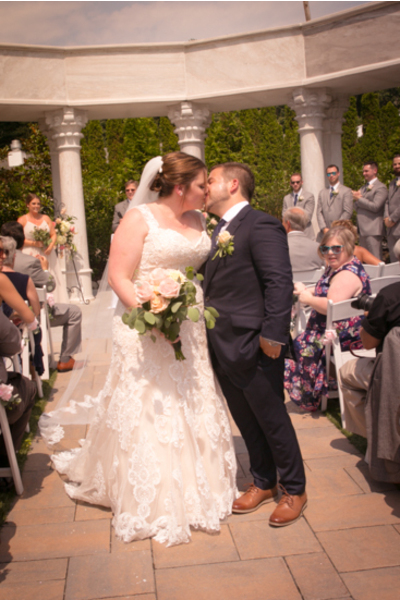 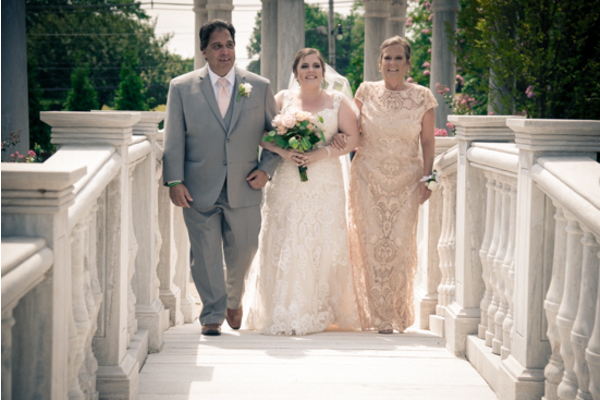 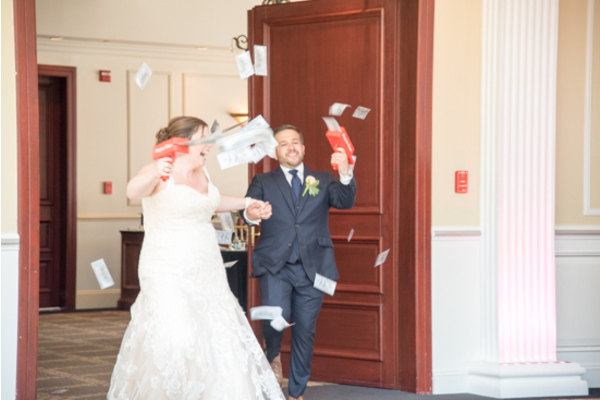 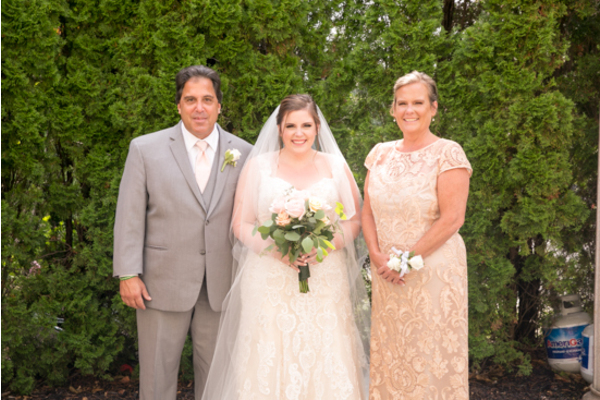 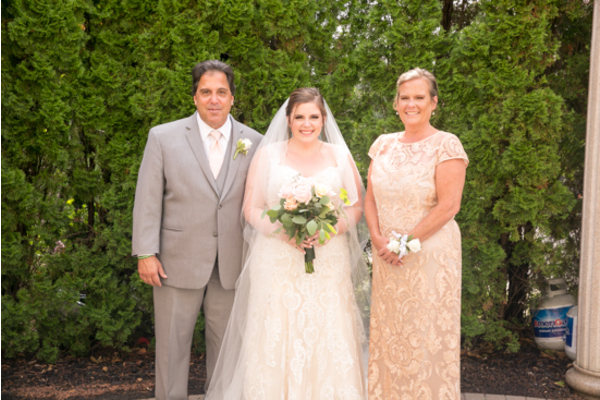 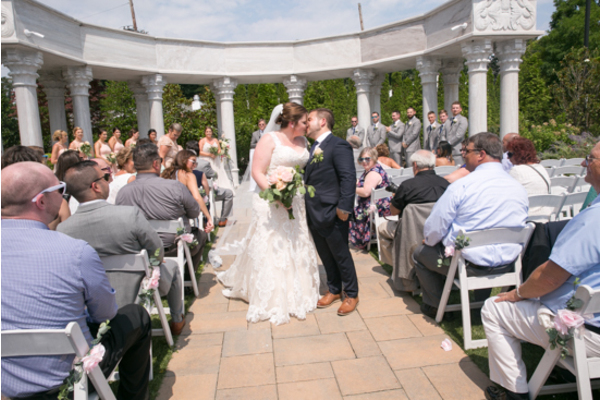 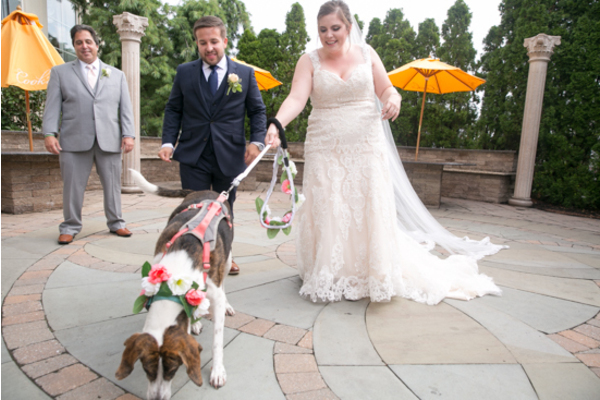 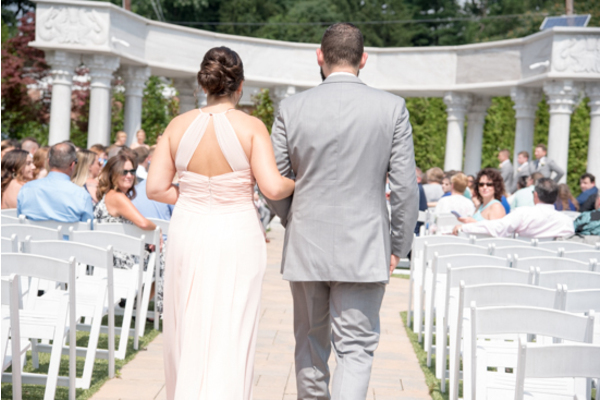 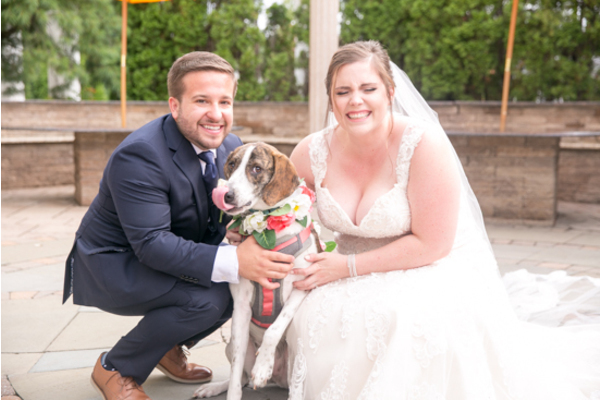 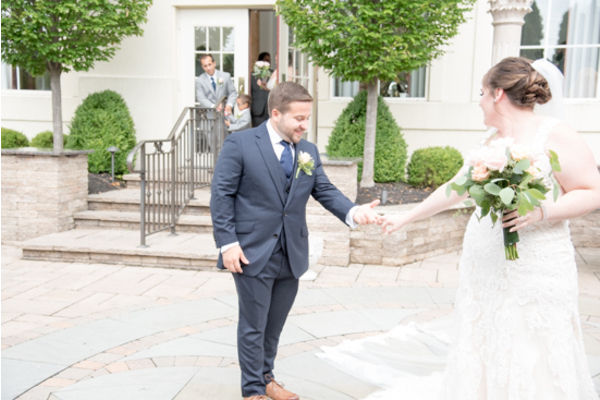 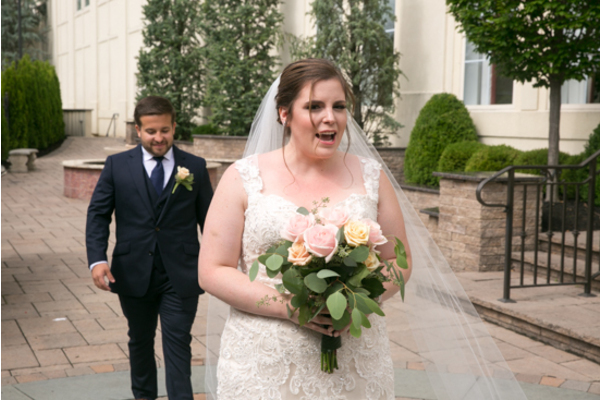 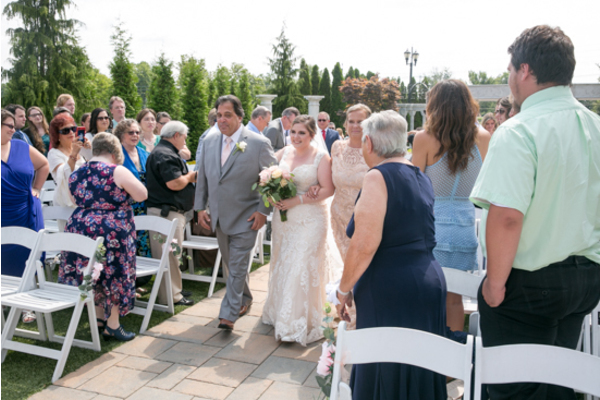 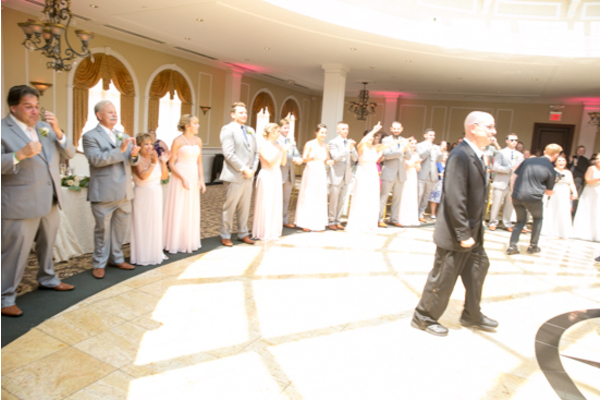 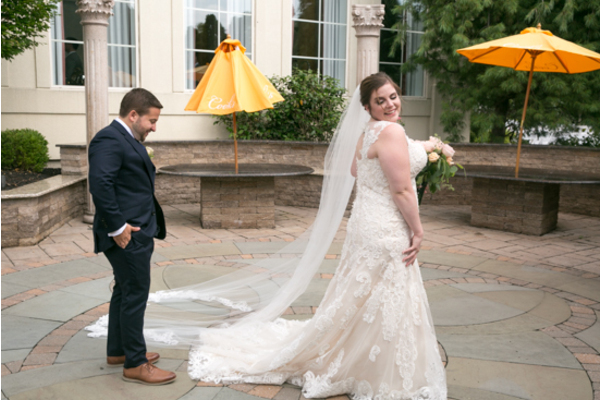 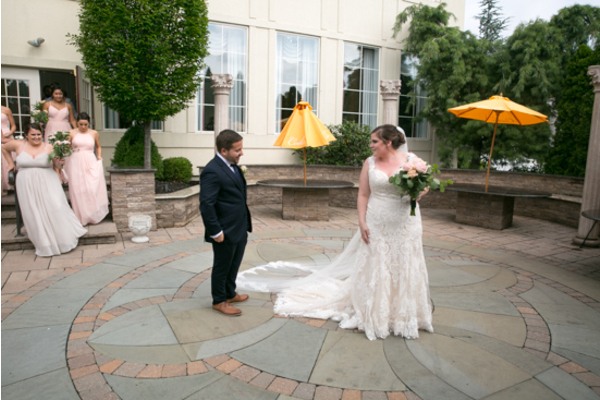 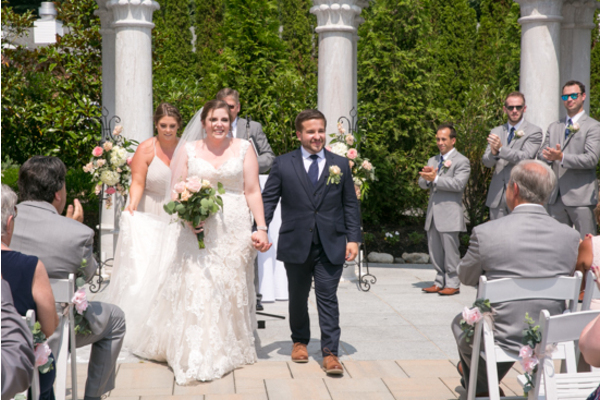 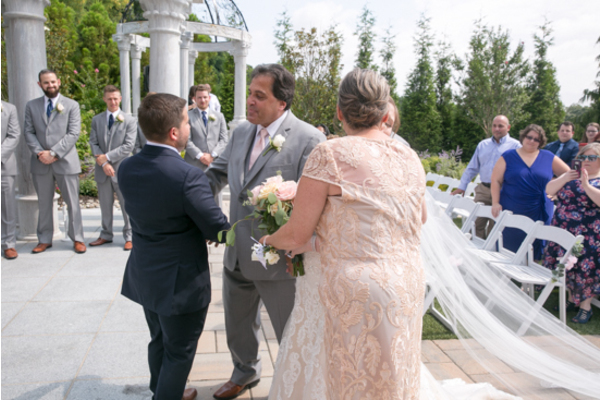 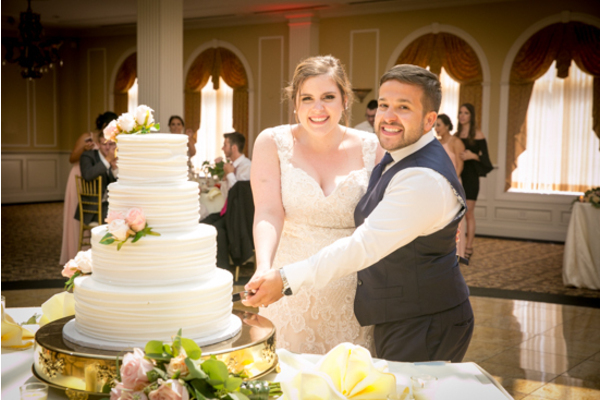 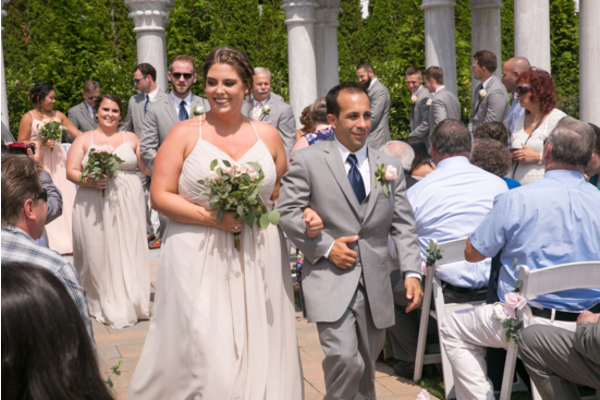 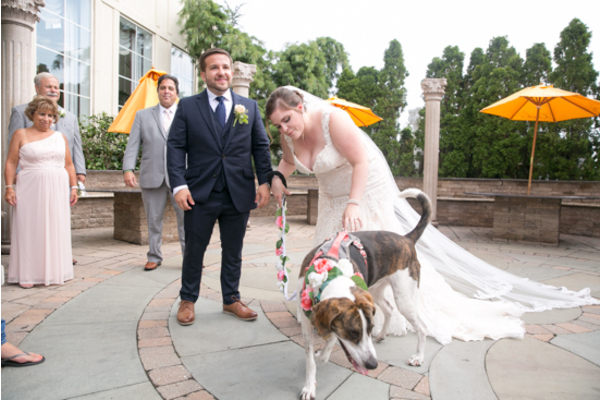 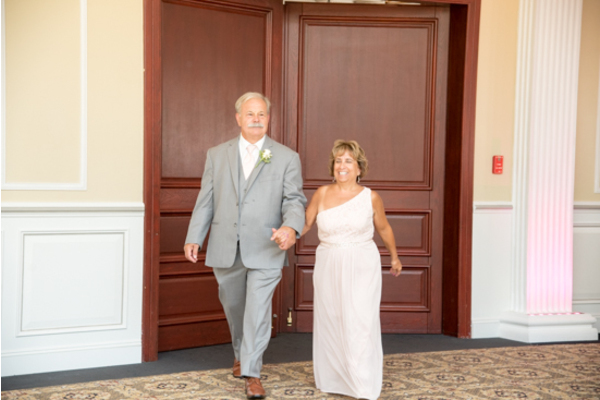 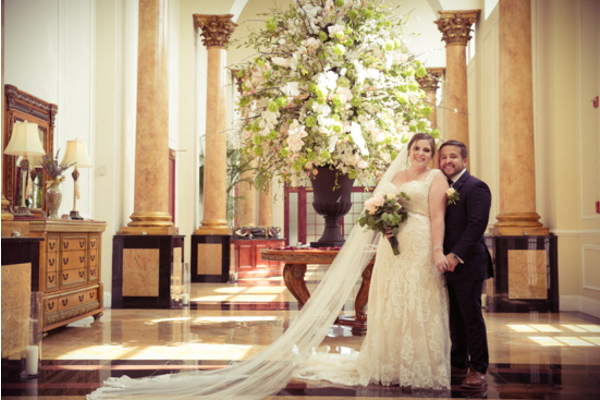 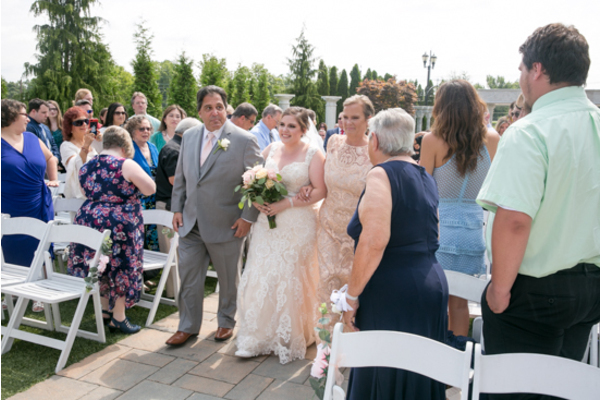 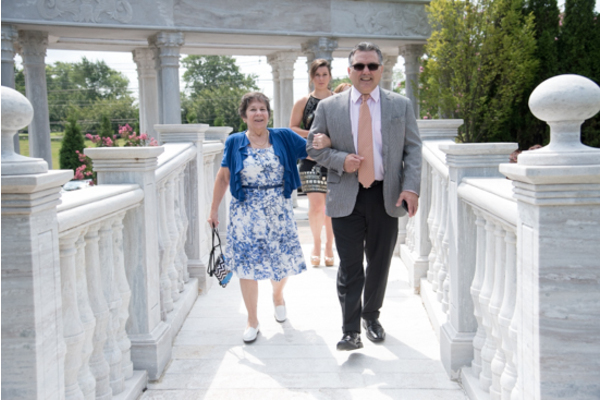 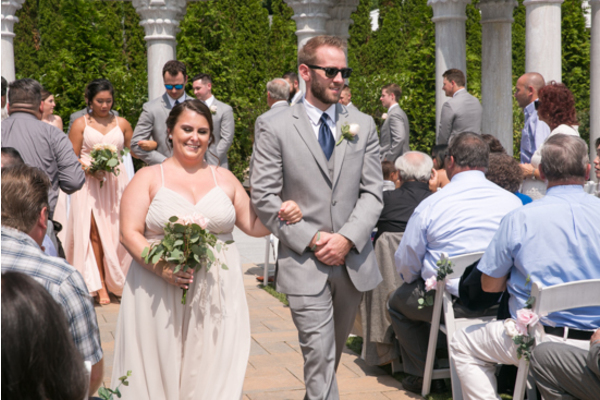 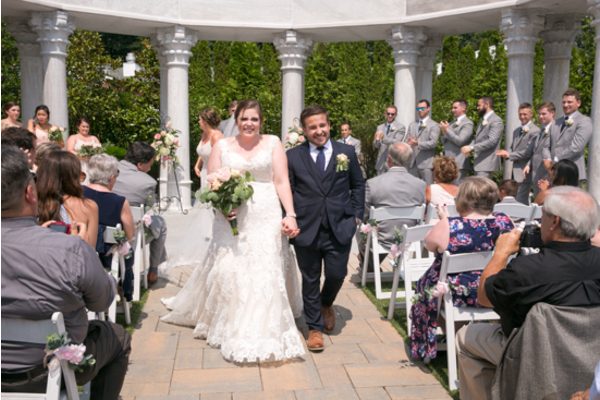 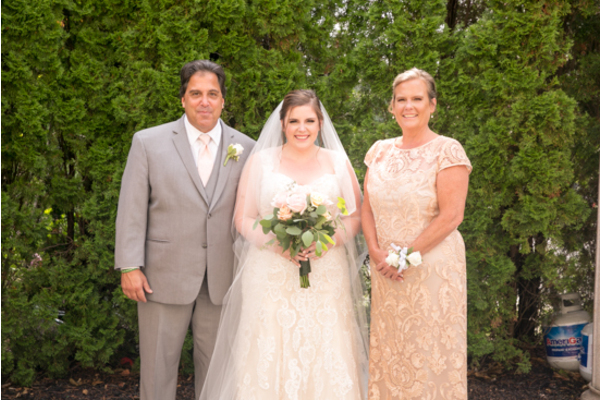 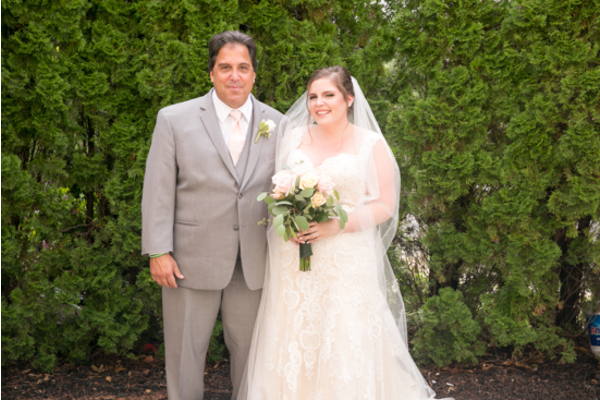 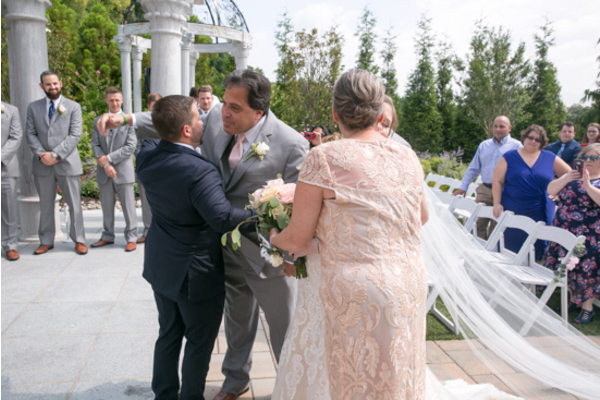 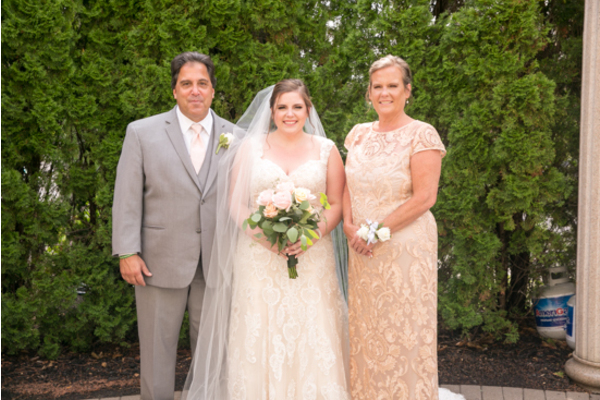 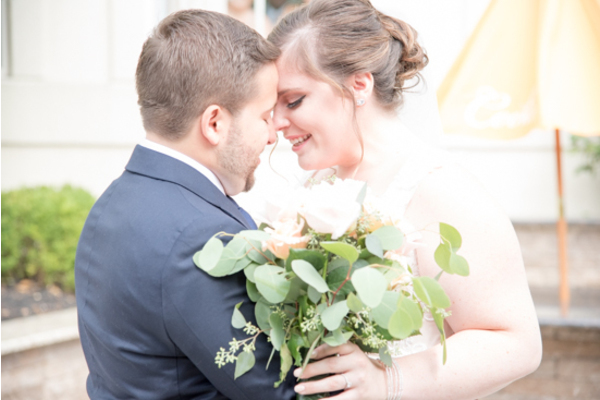 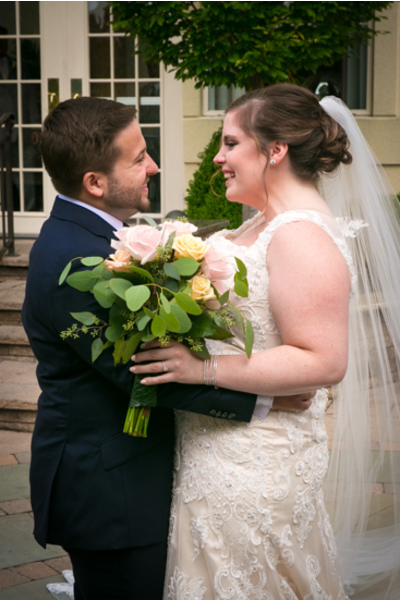 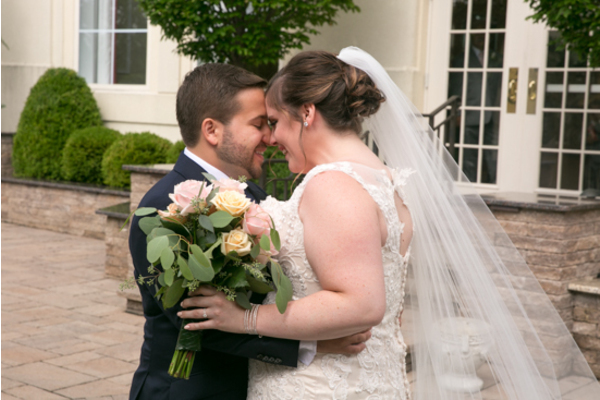 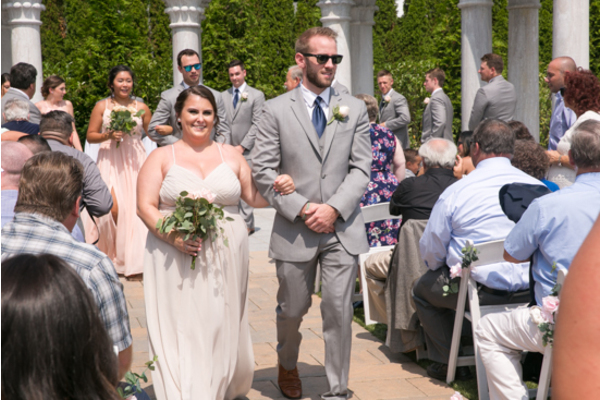 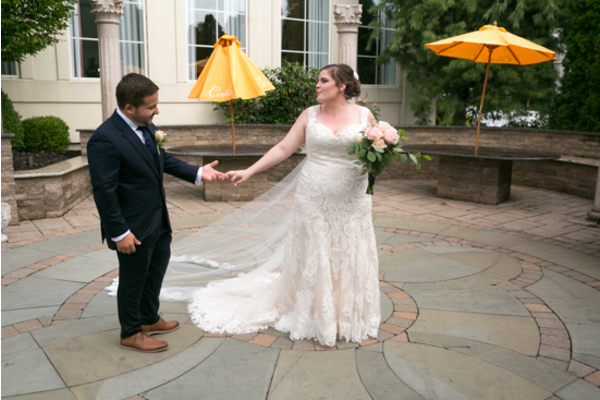 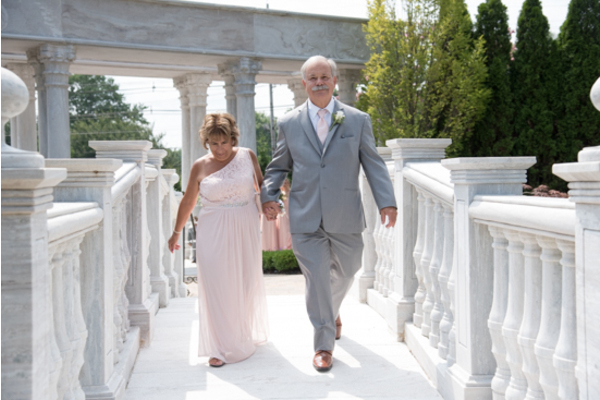 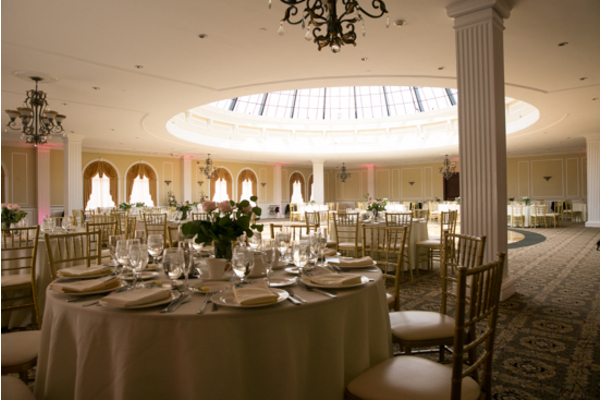 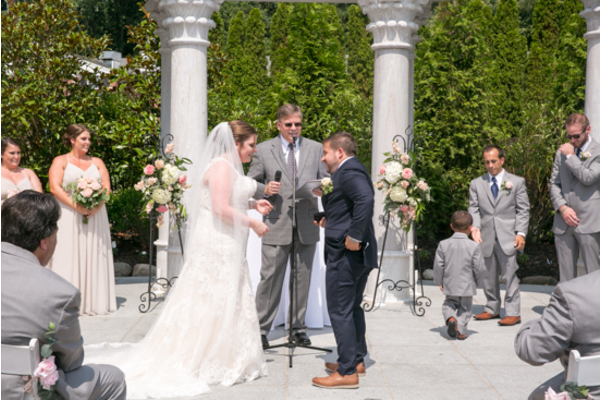 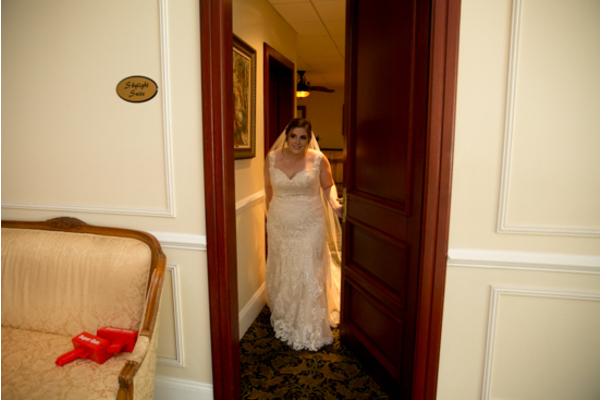 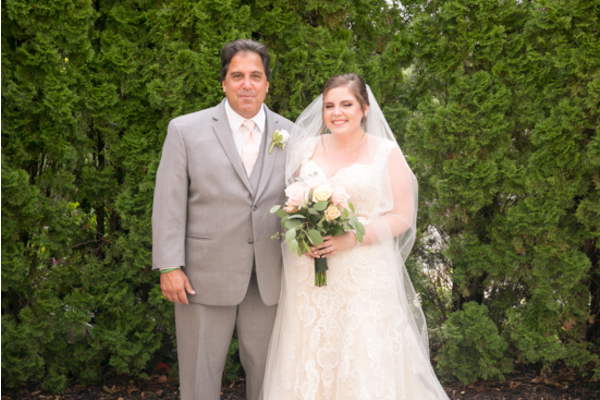 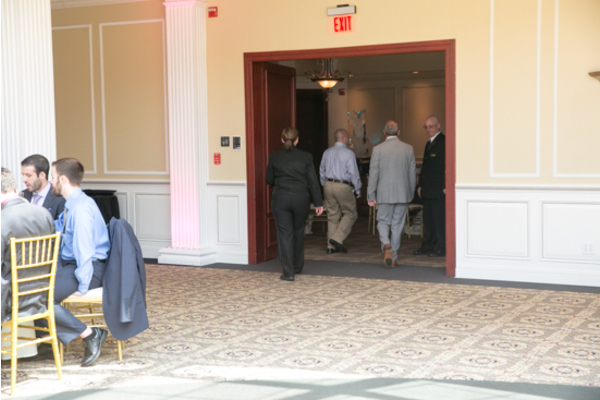 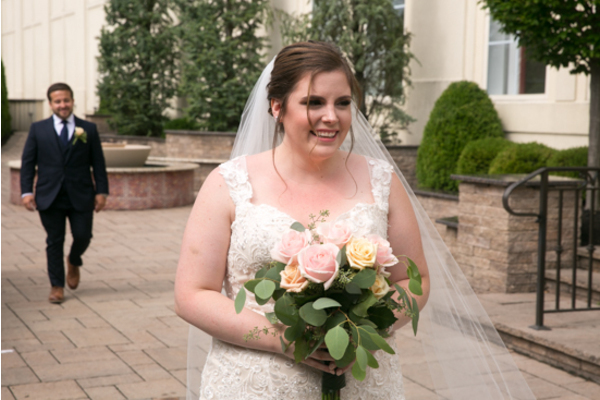 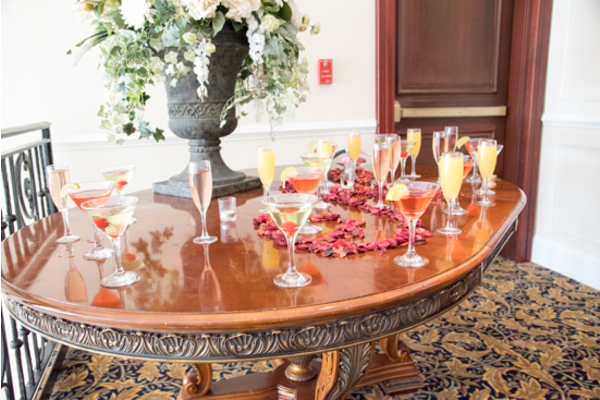 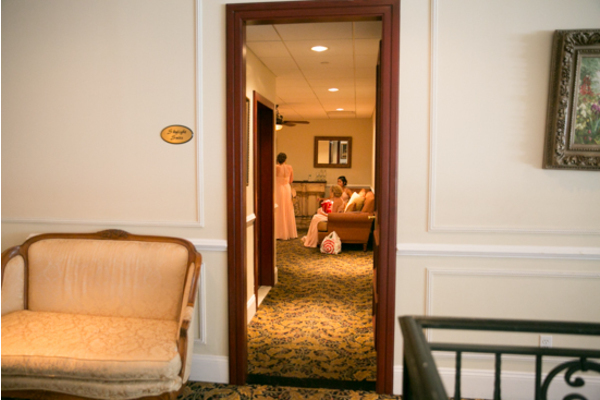 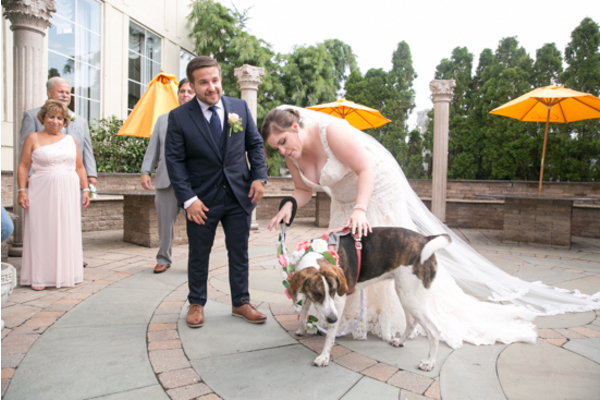 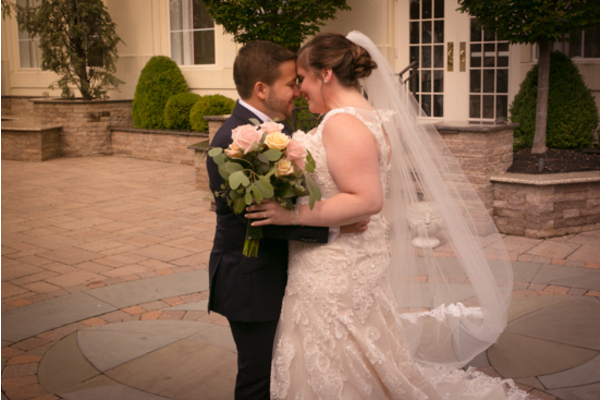 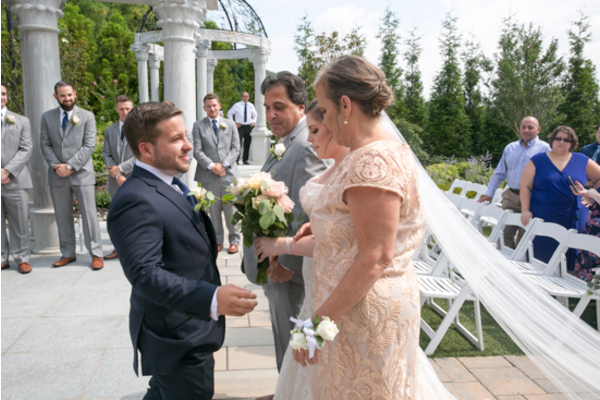 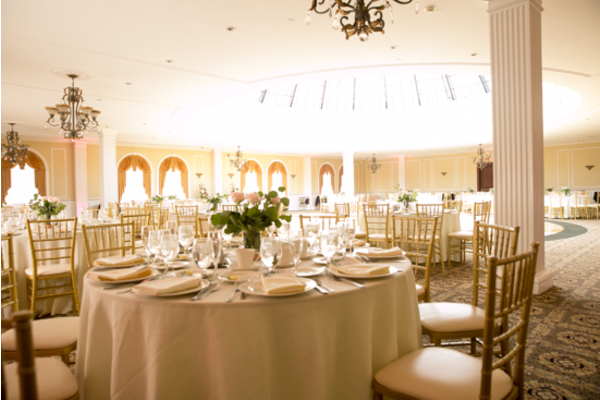 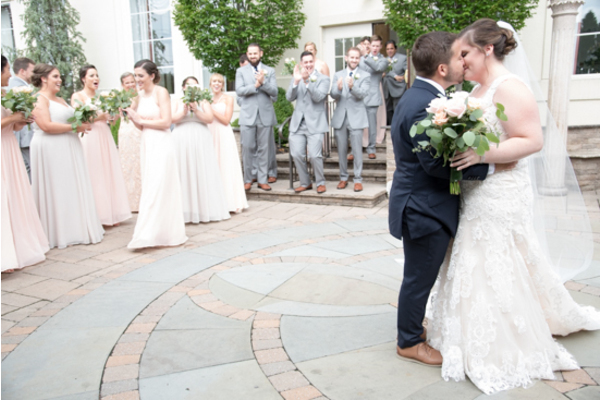 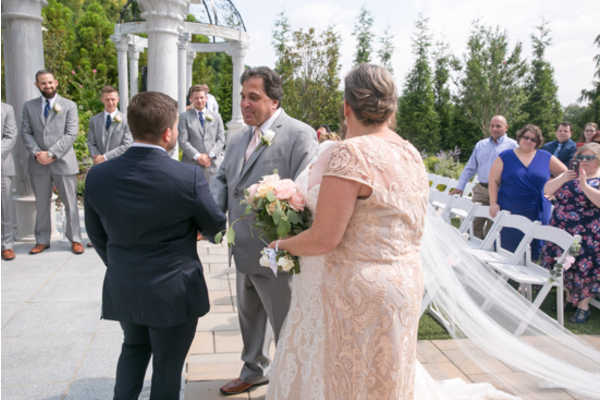 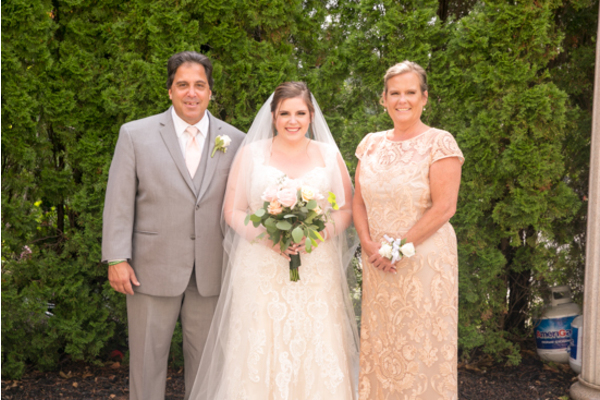 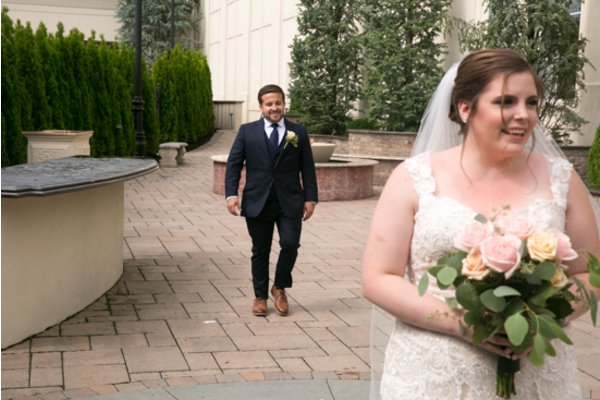 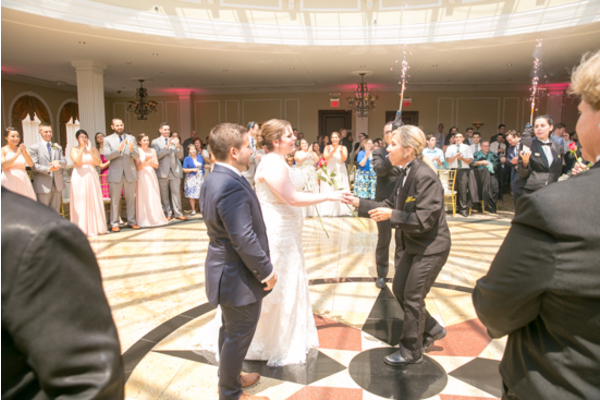 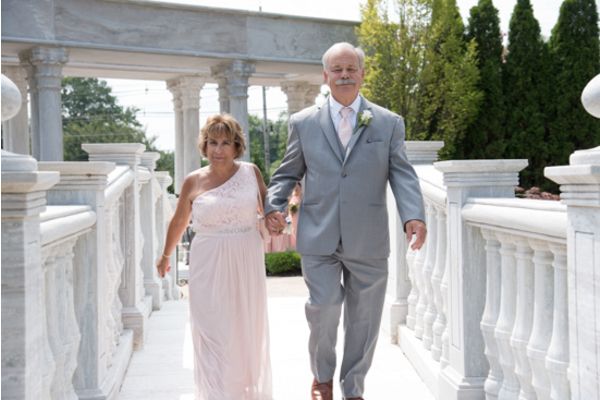 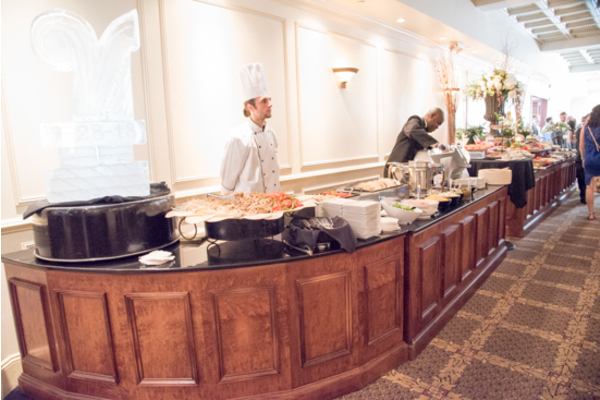 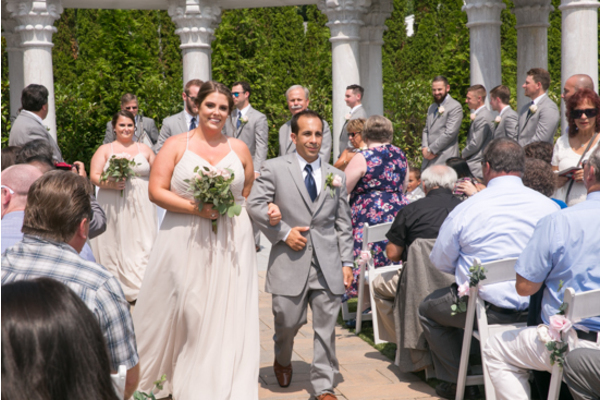 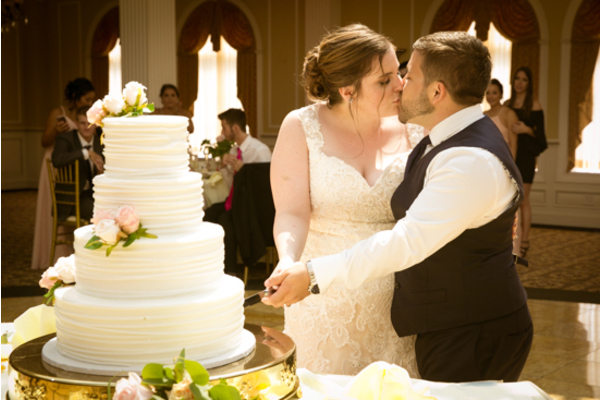 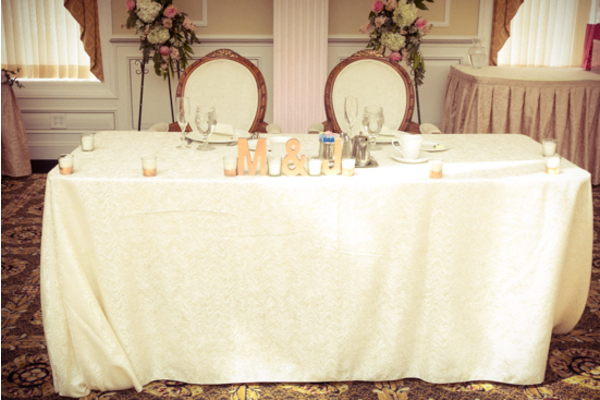 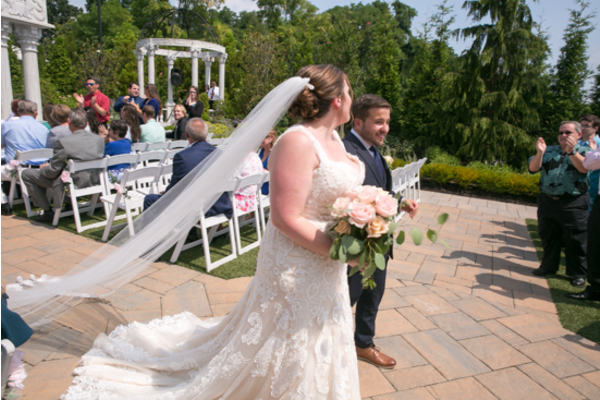 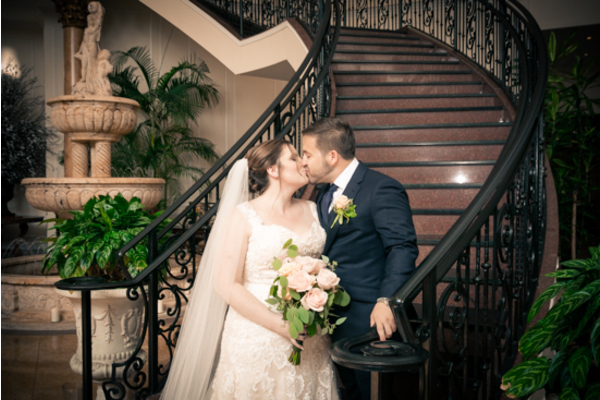 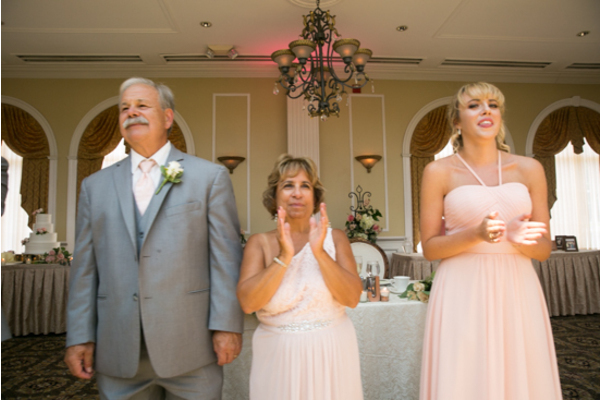 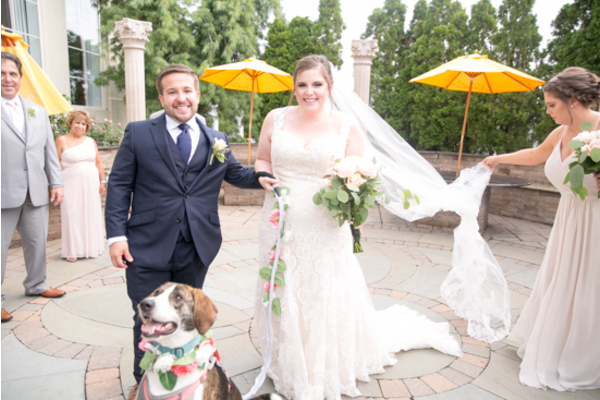 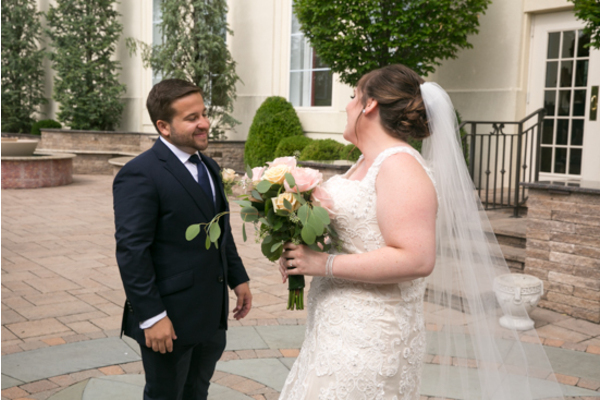 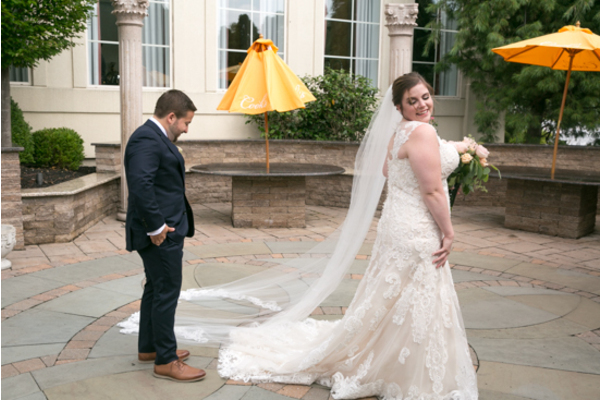 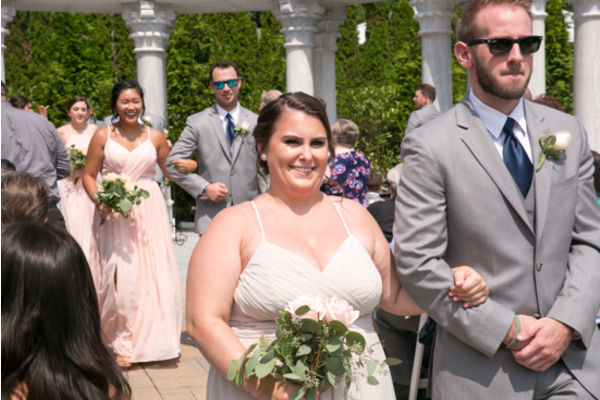 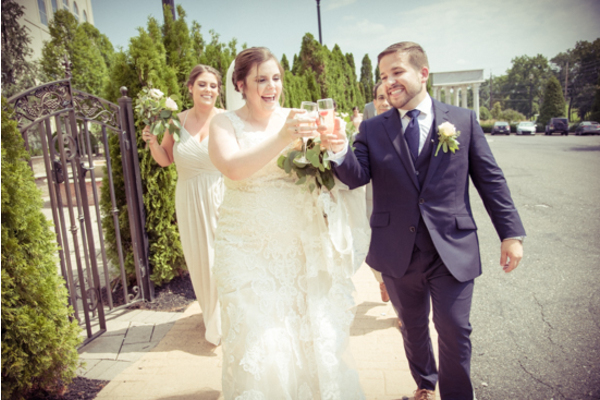 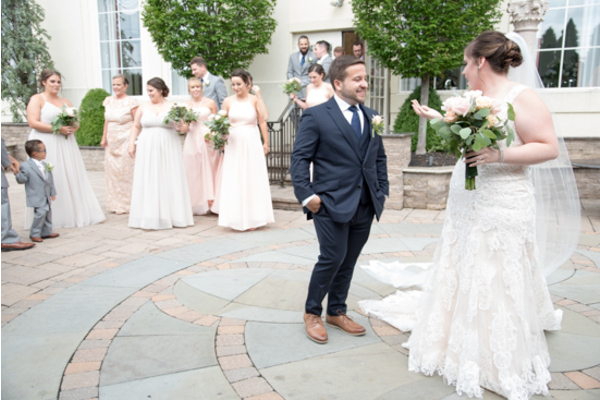 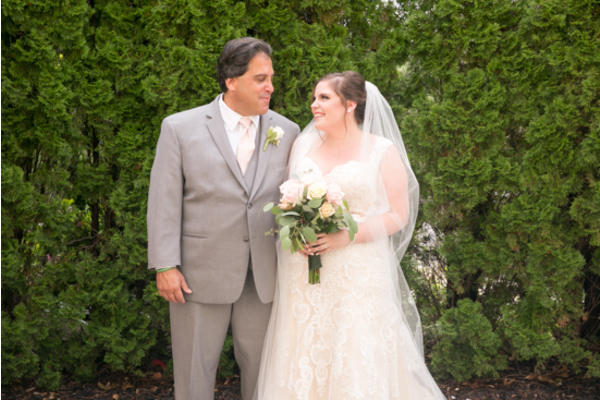 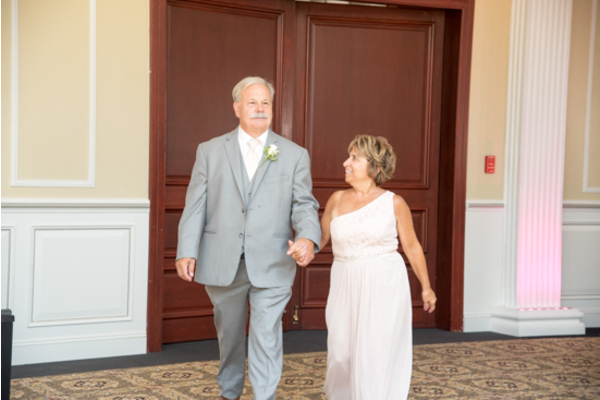 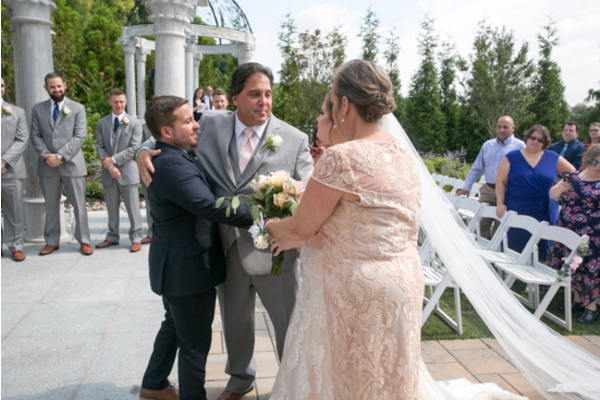 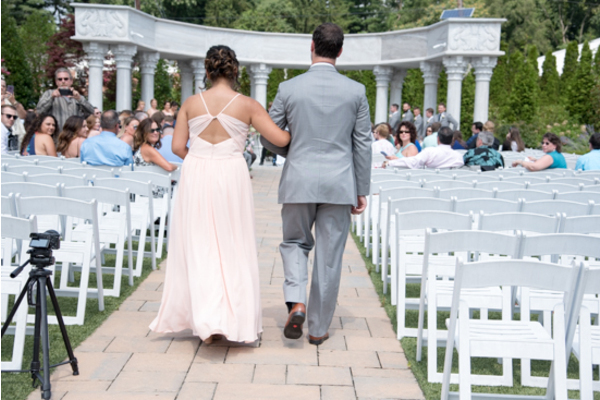 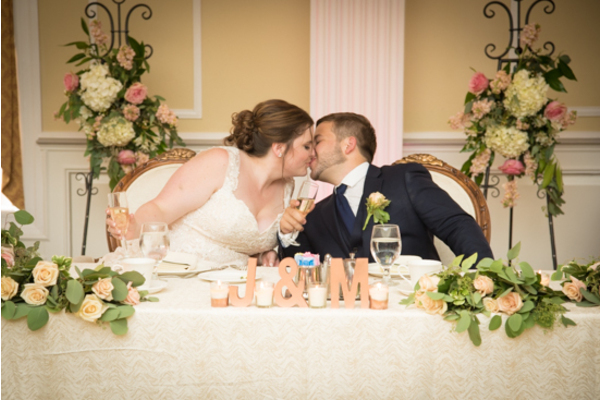 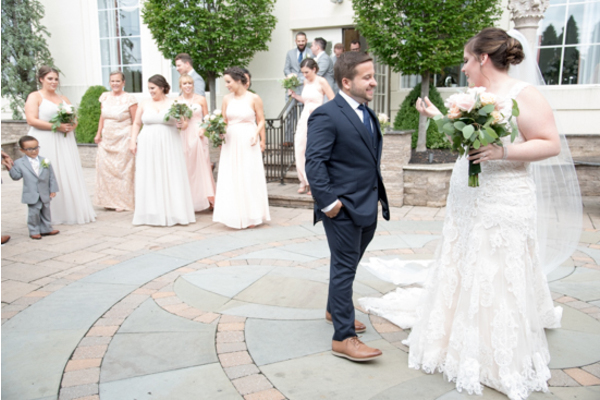 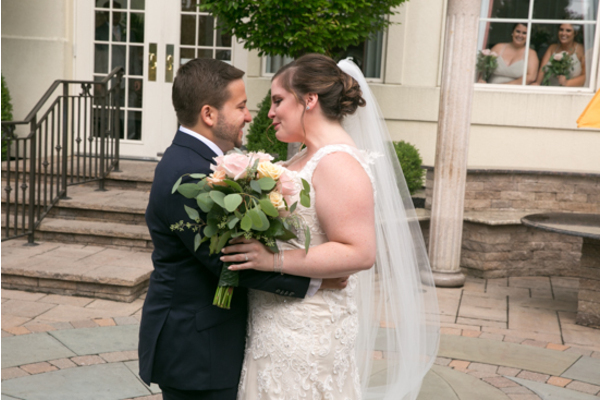 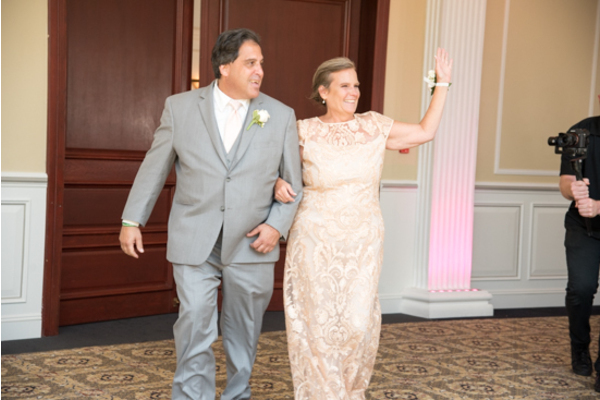 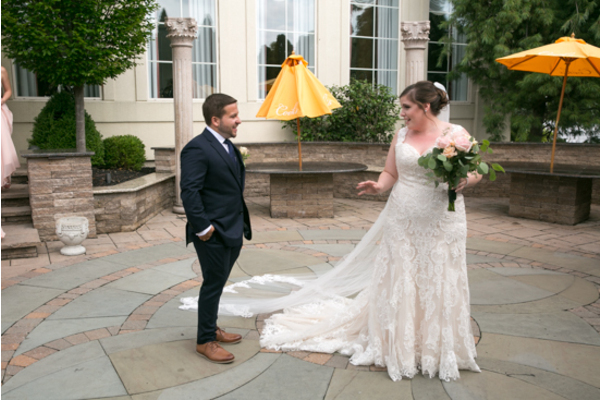 The happy couple tied the knot at The Merion located in Cinnaminson, NJ. 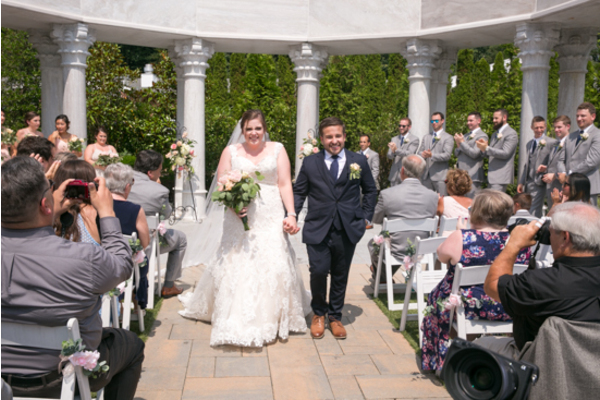 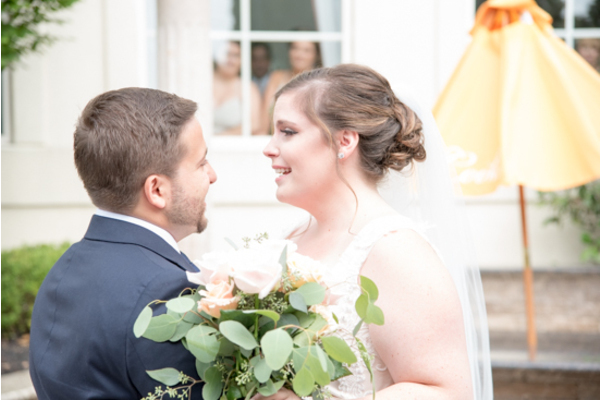 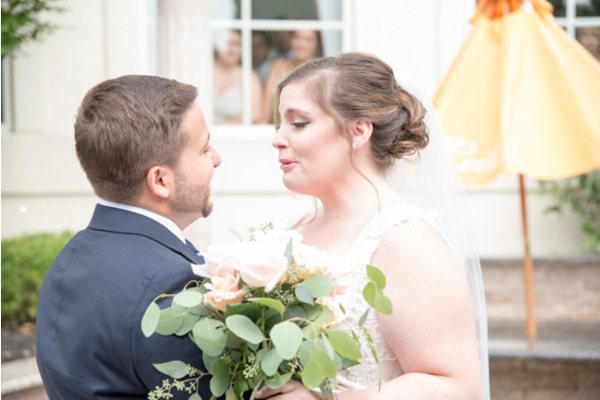 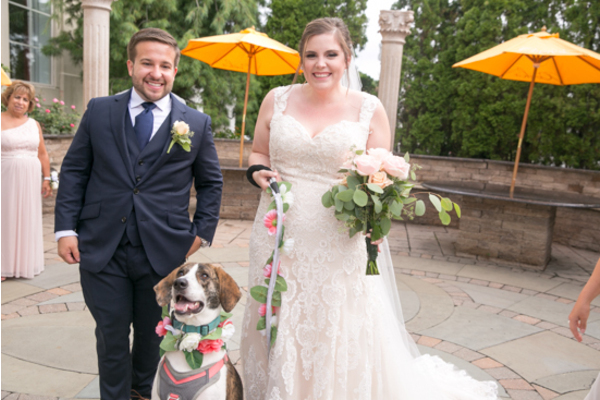 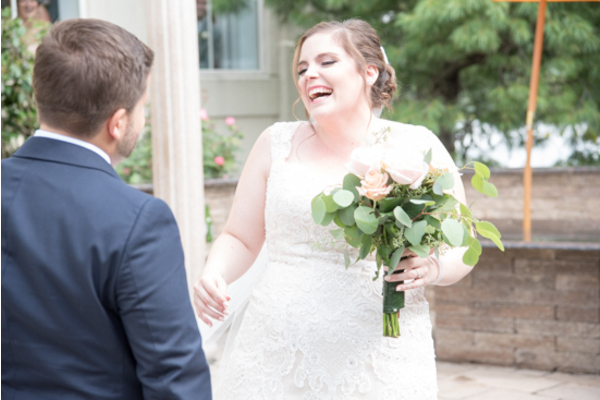 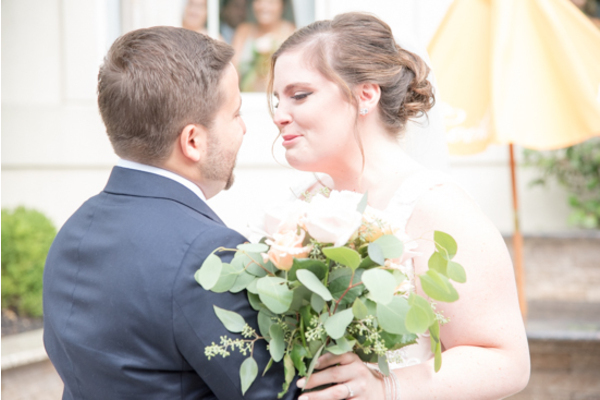 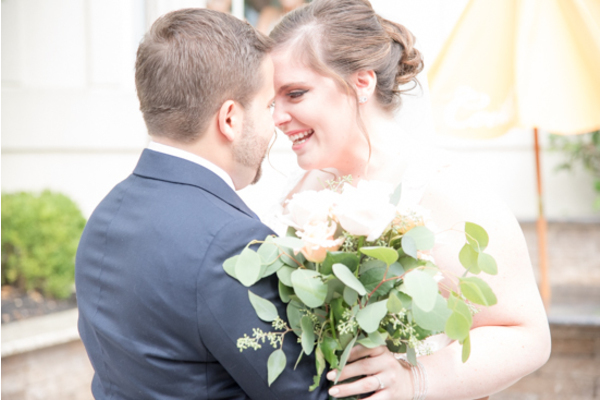 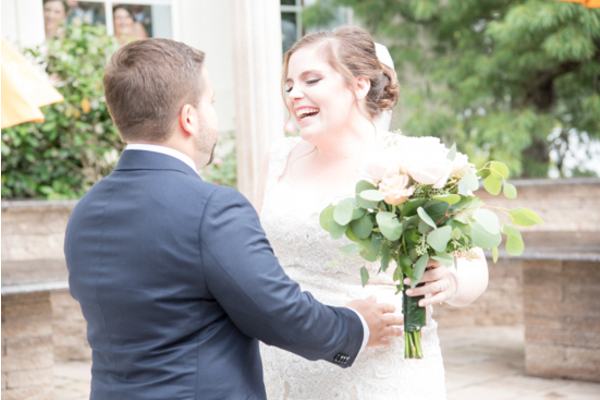 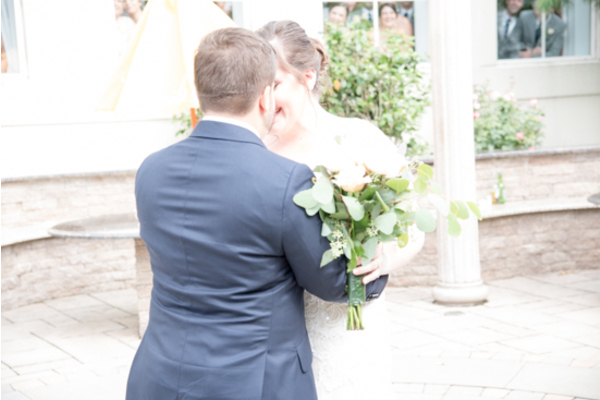 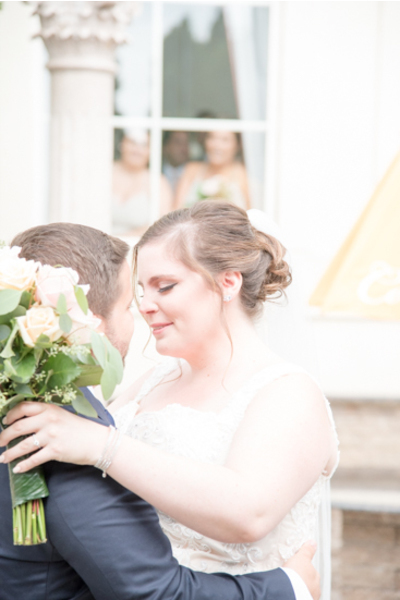 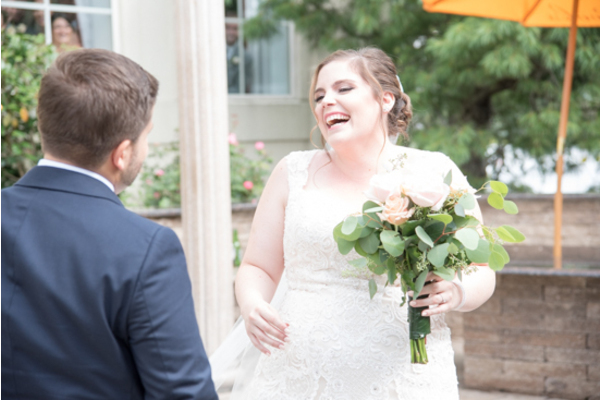 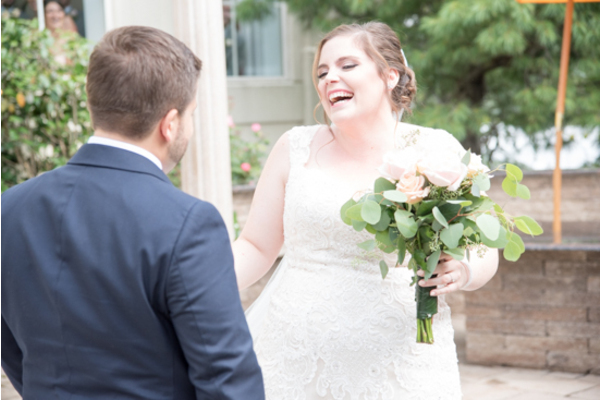 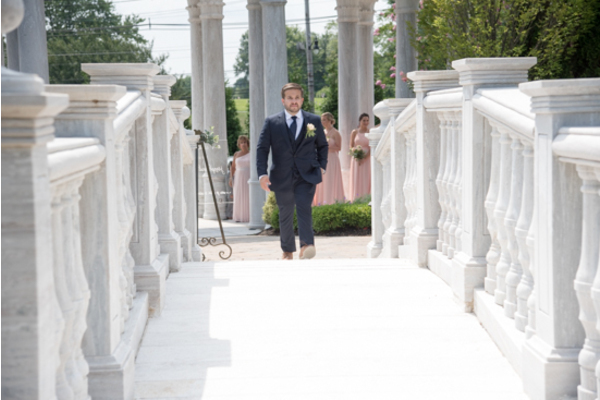 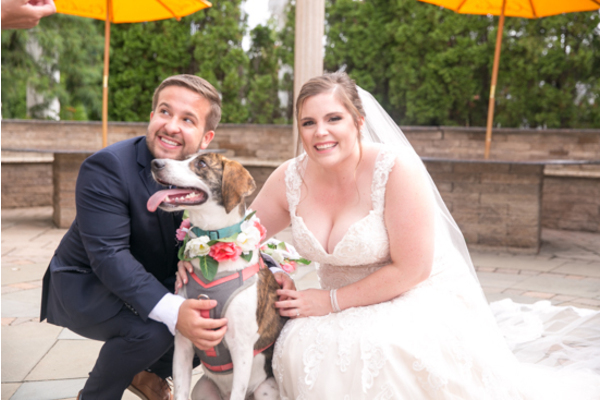 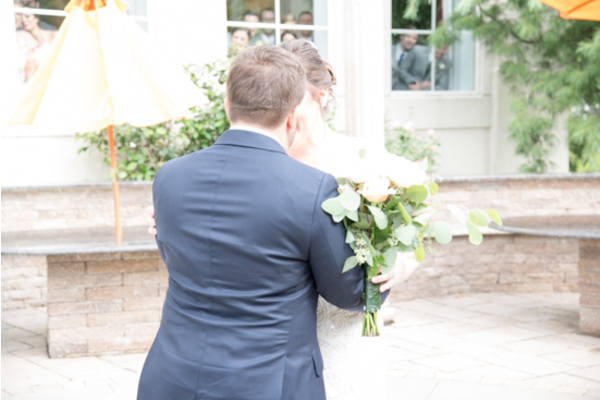 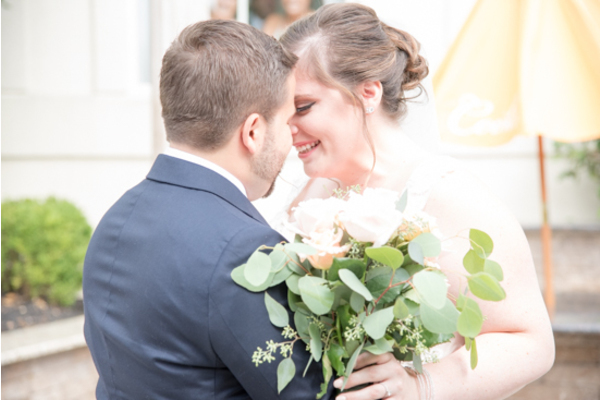 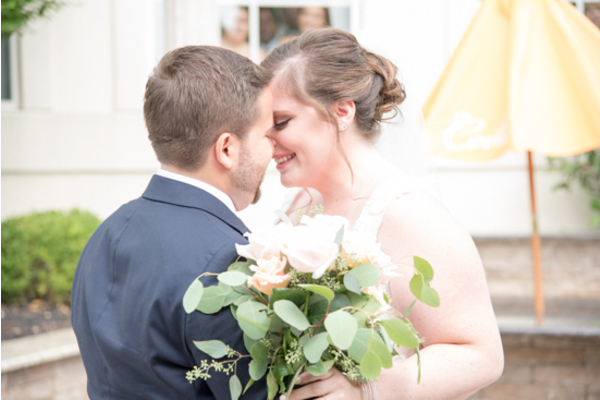 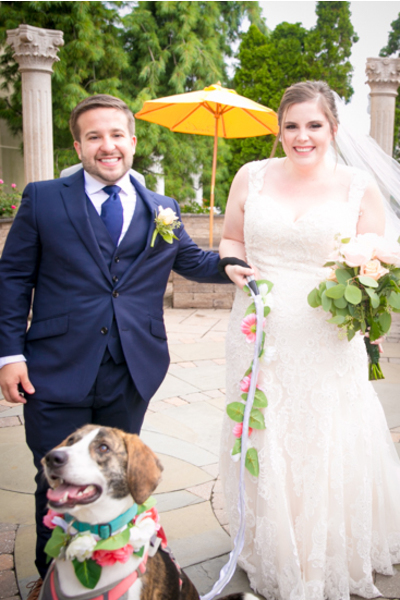 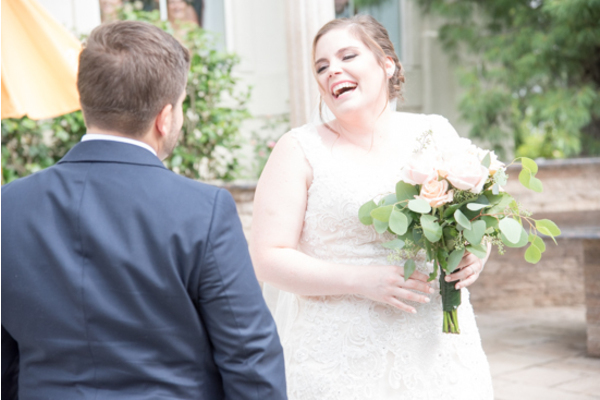 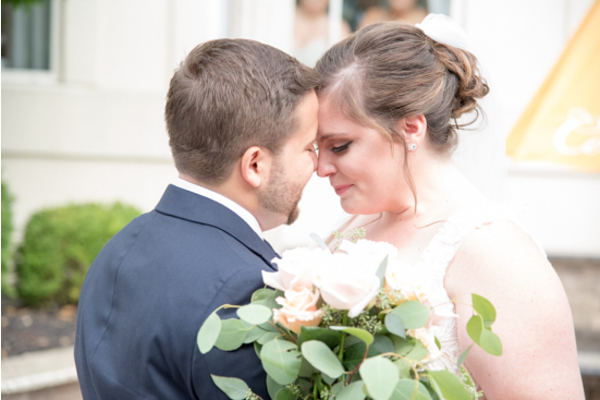 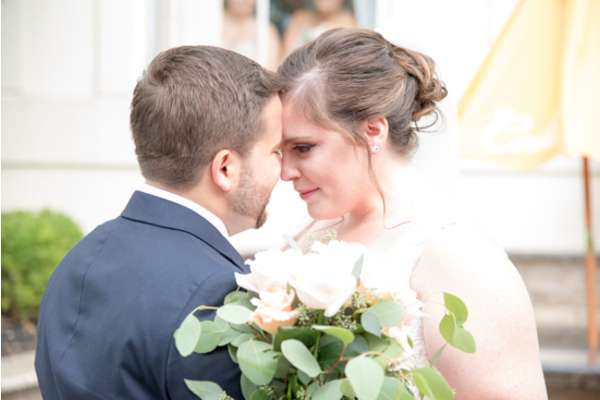 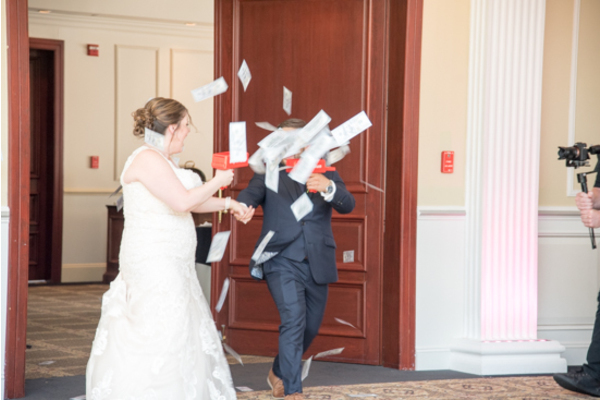 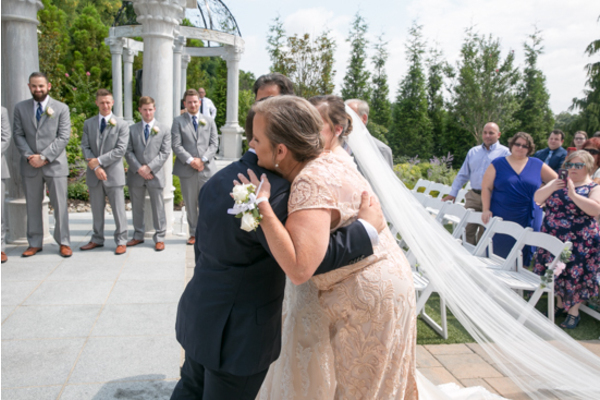 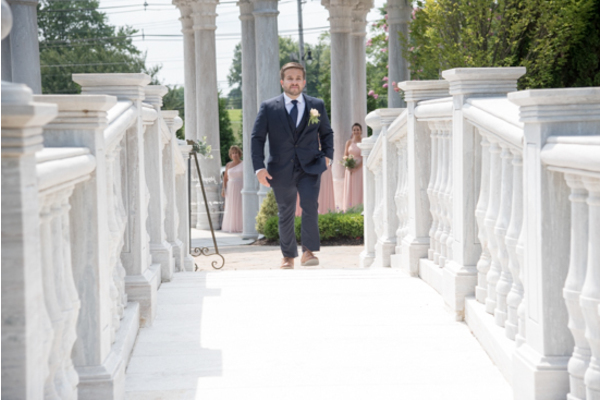 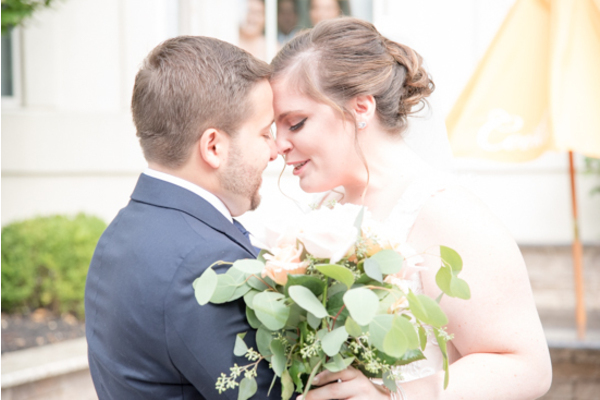 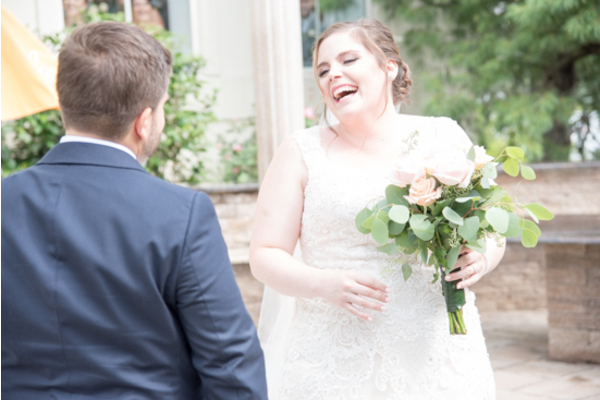 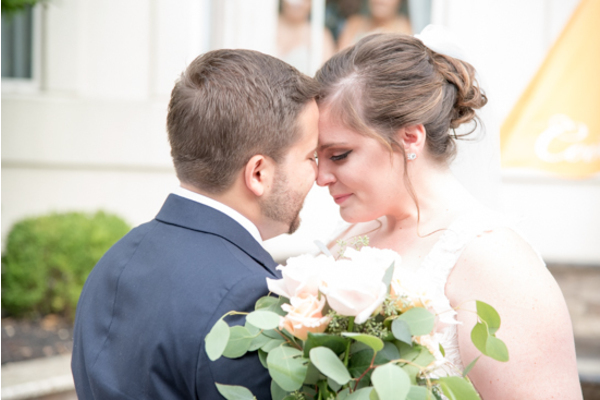 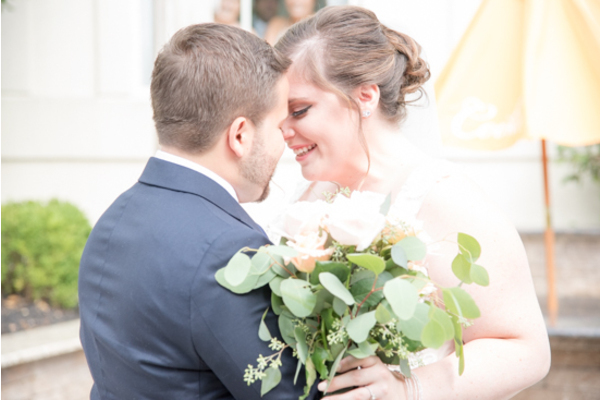 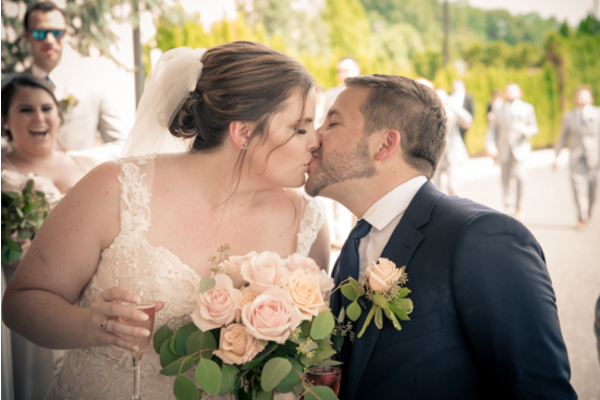 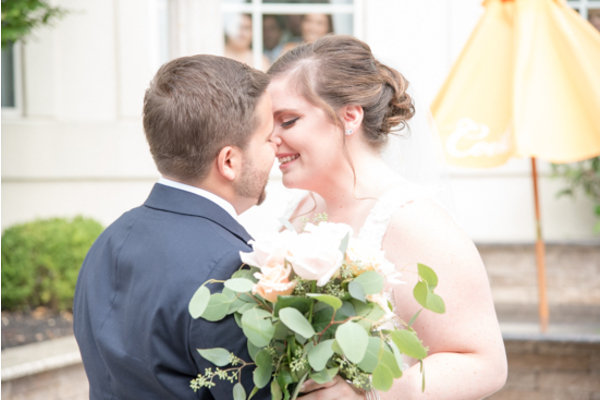 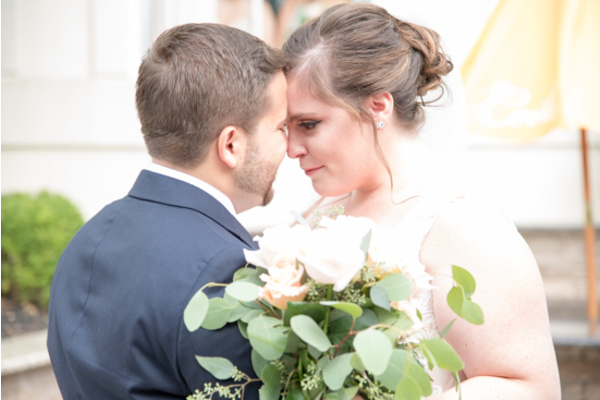 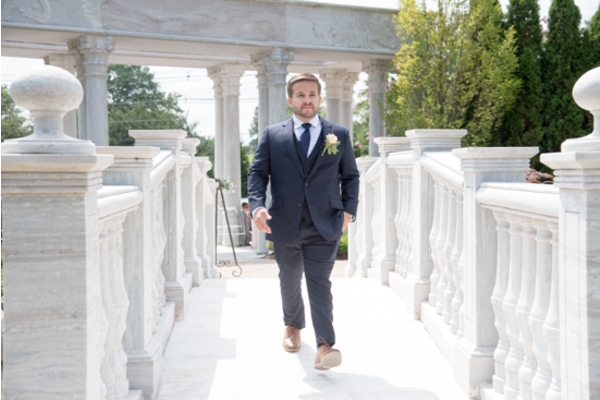 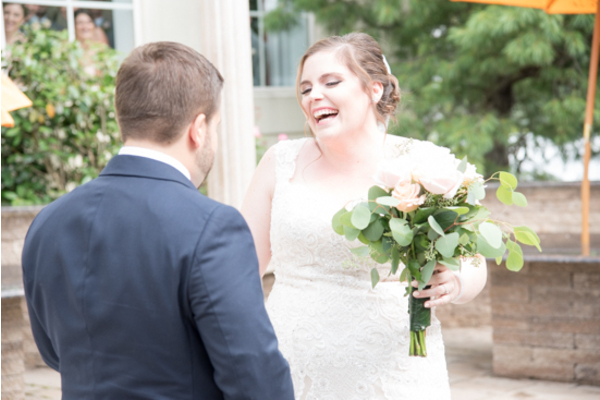 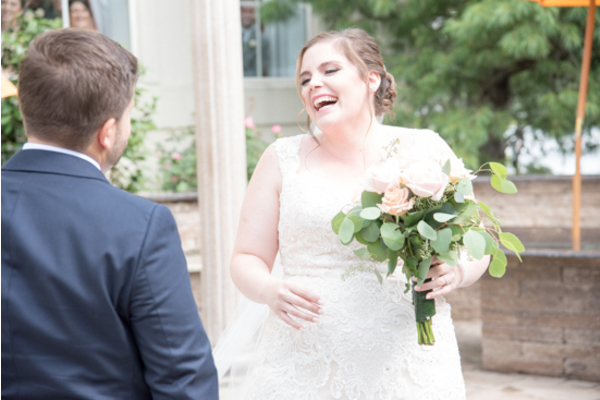 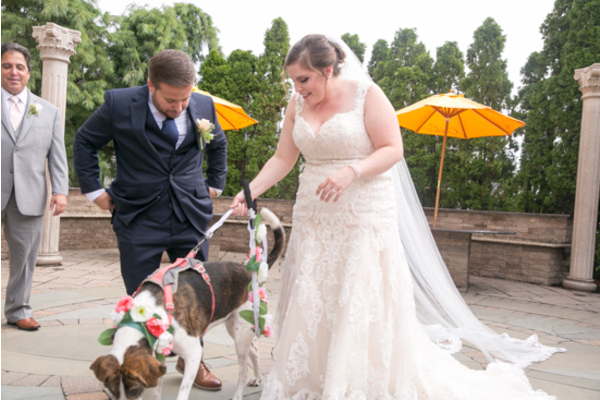 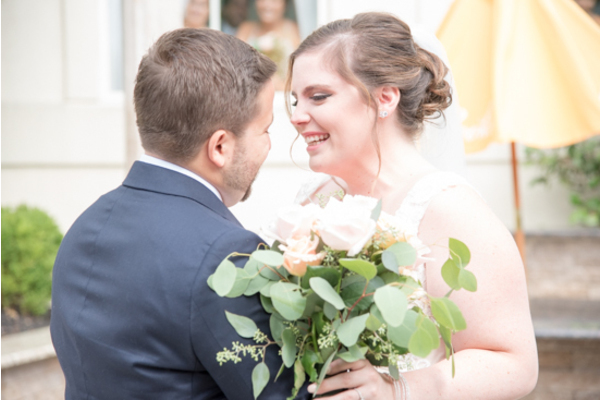 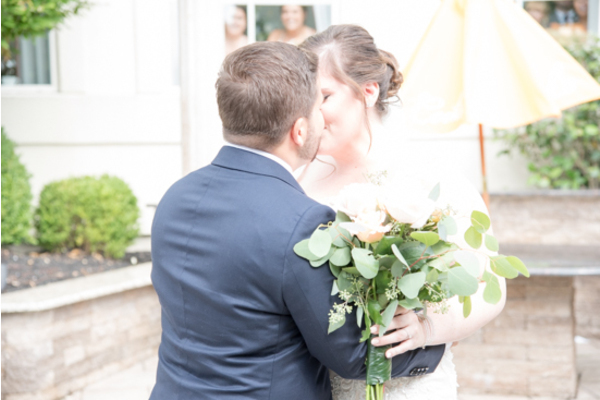 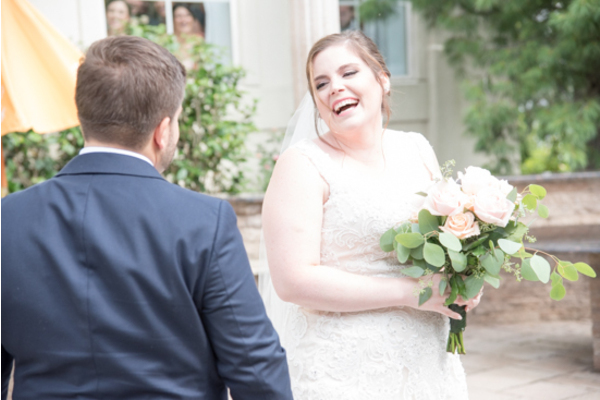 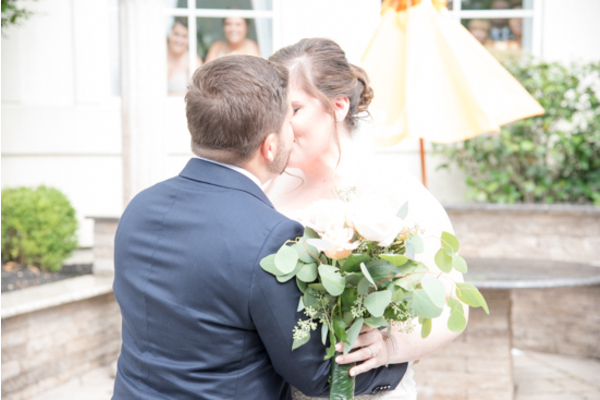 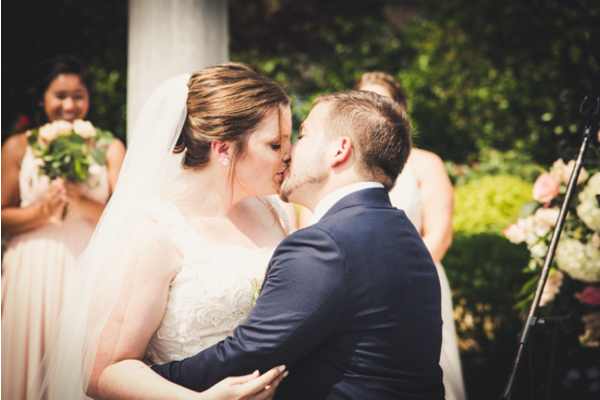 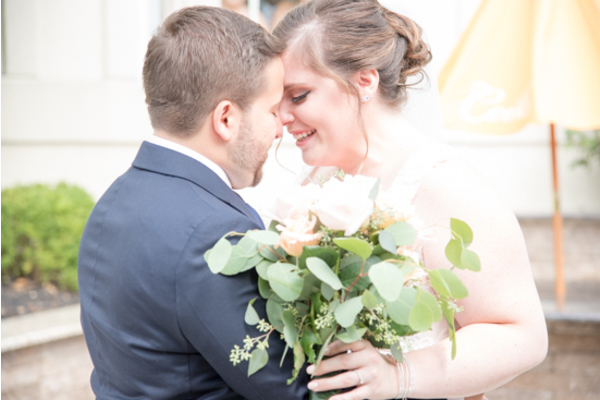 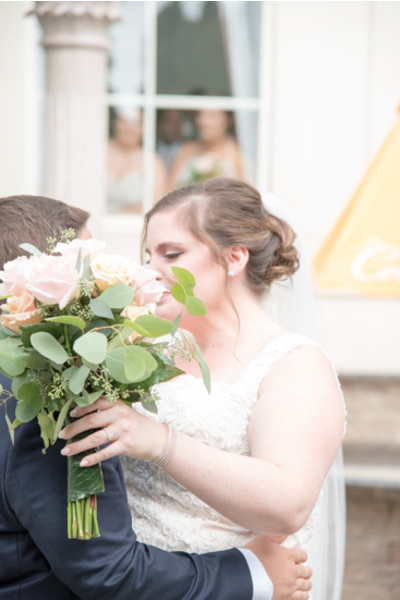 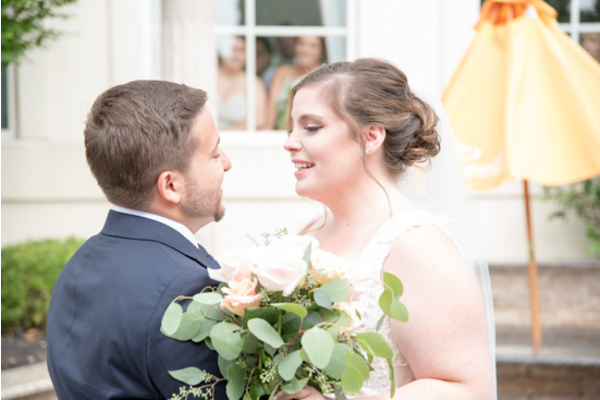 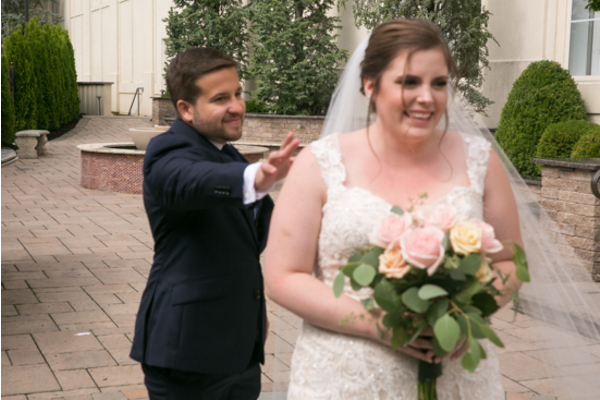 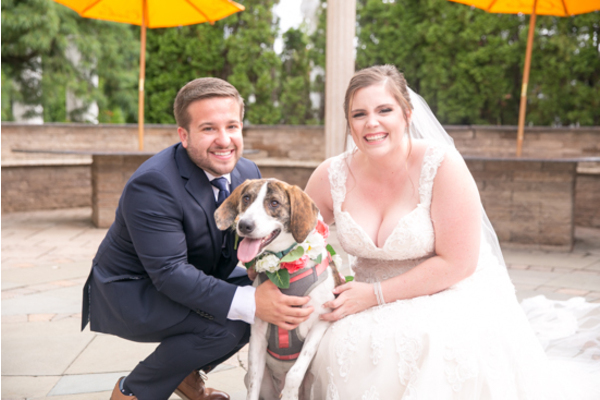 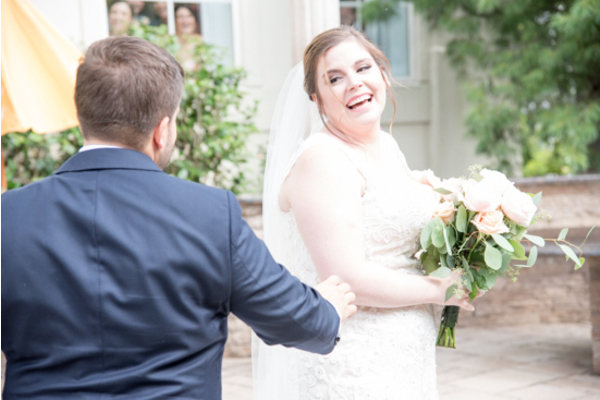 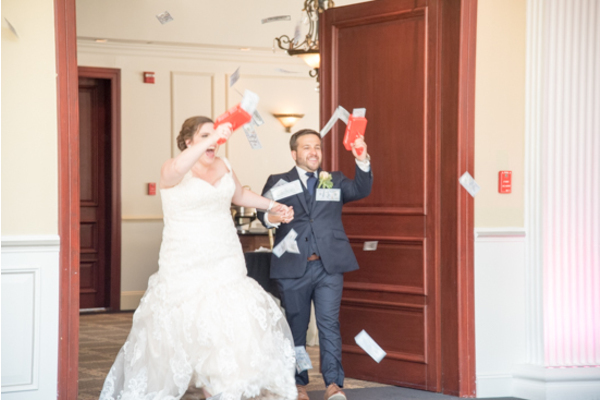 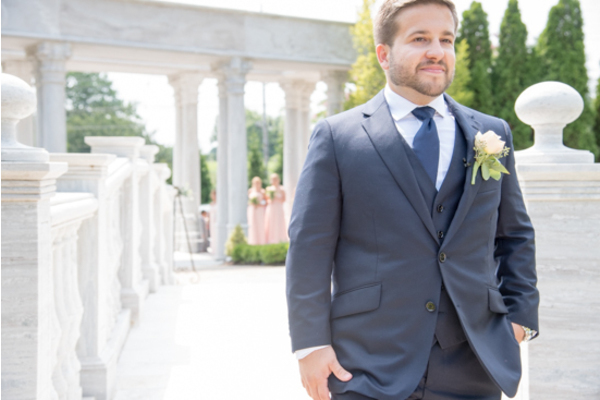 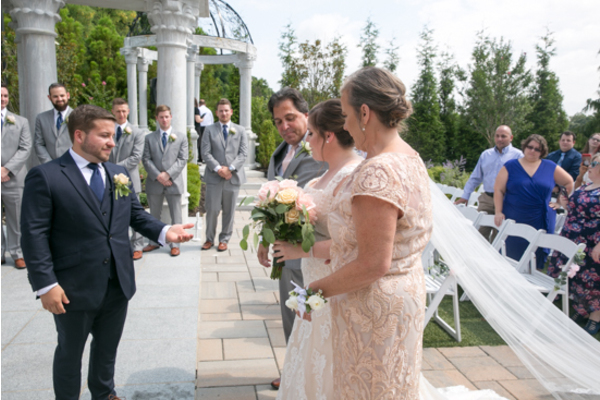 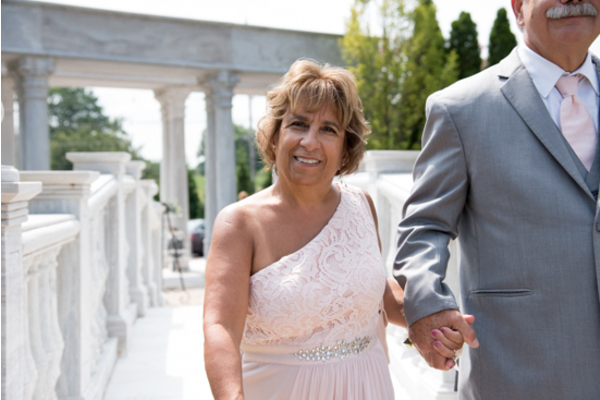 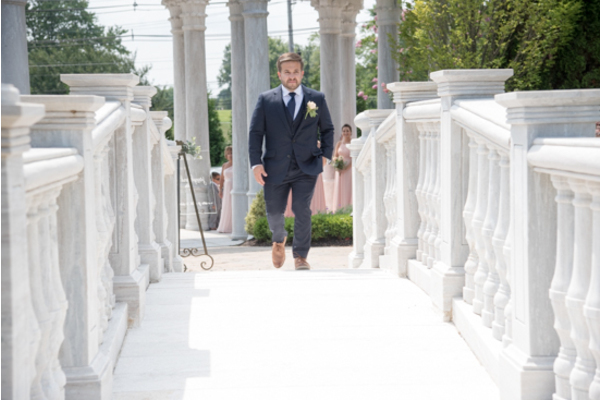 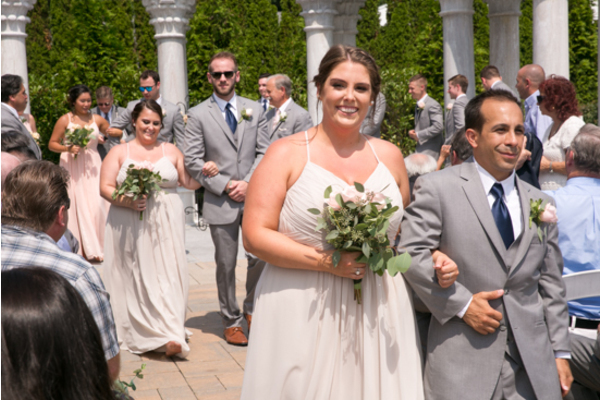 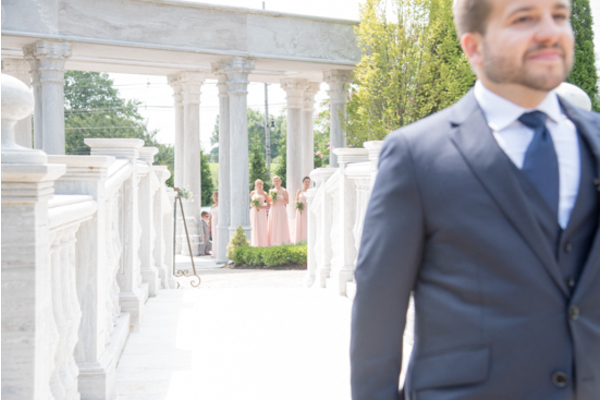 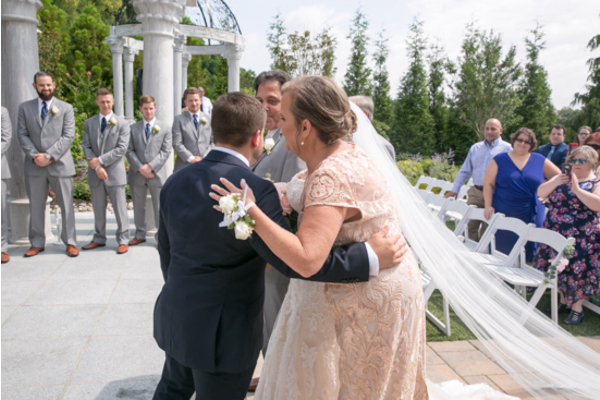 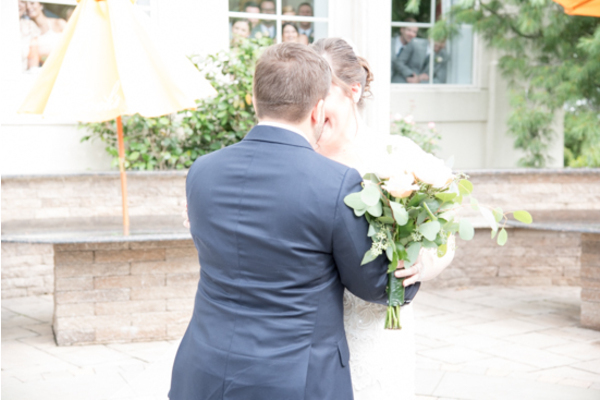 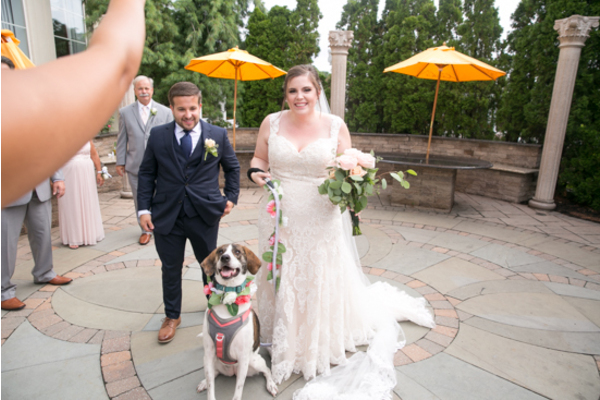 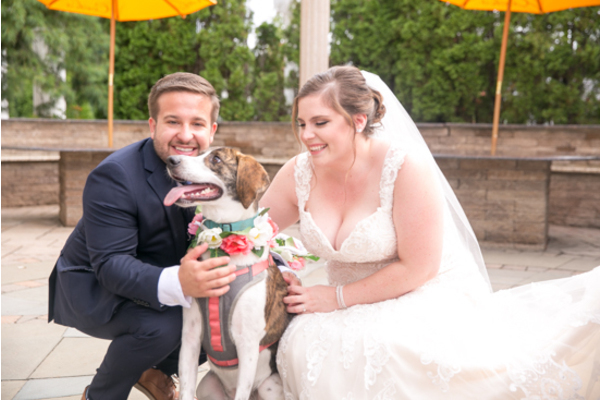 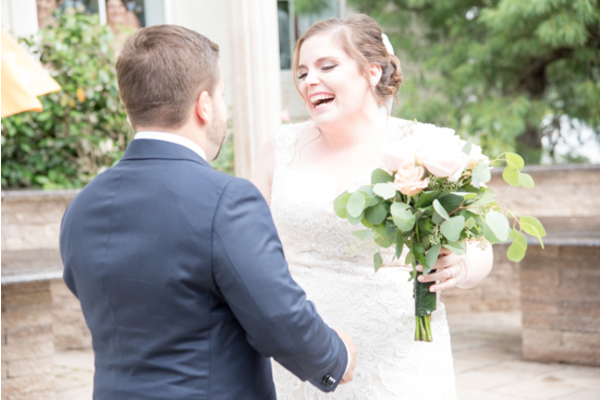 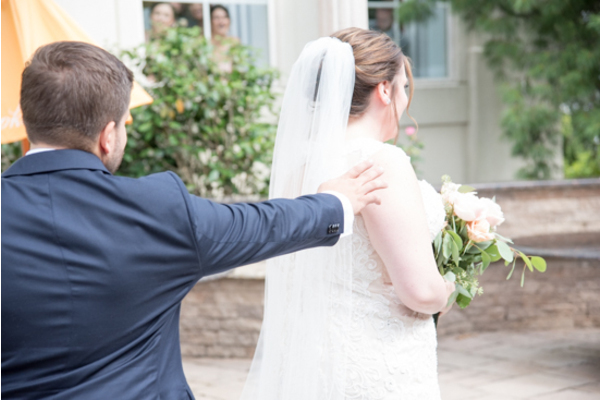 Their summer wedding was nothing short of magical! 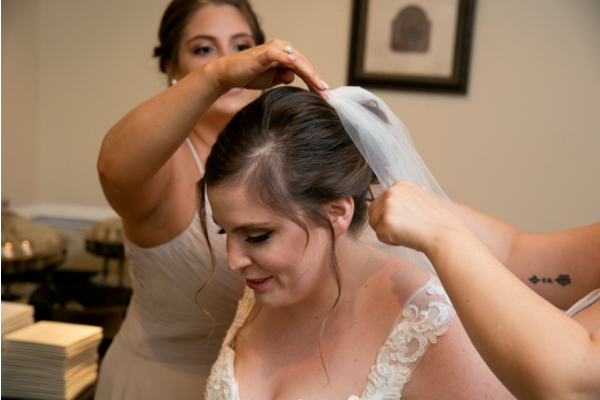 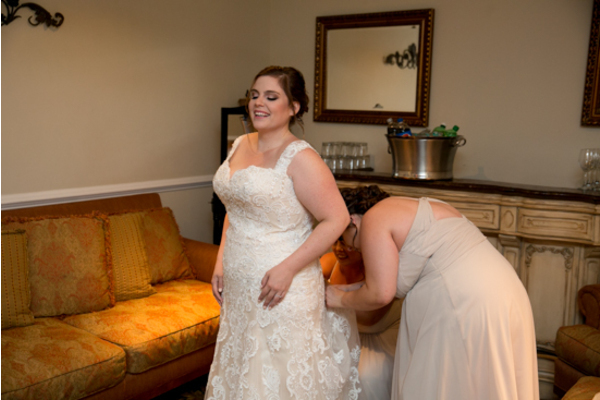 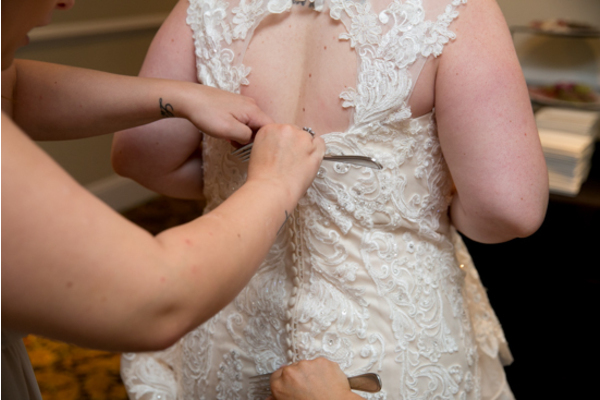 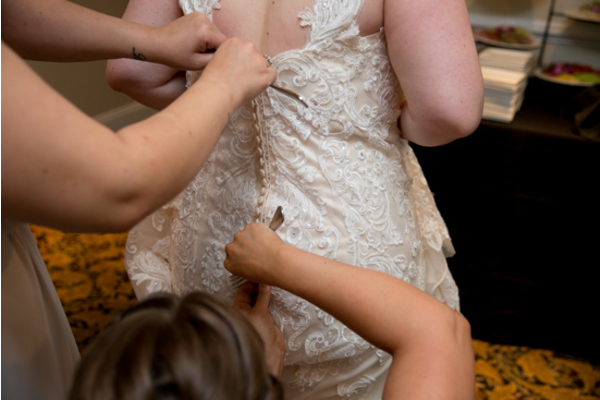 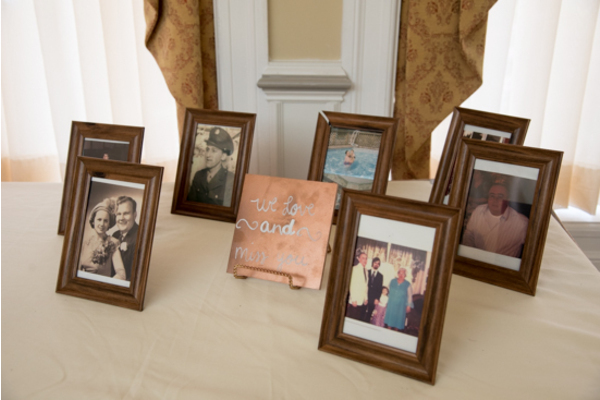 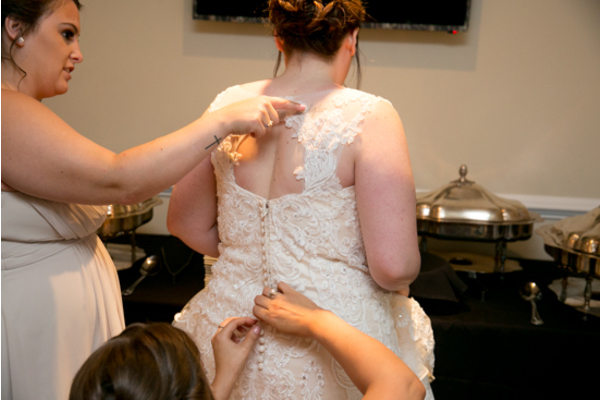 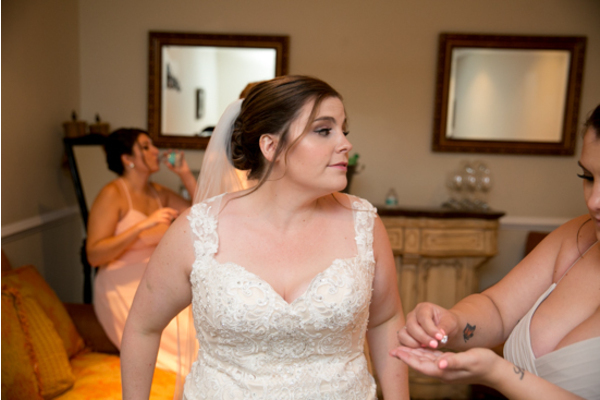 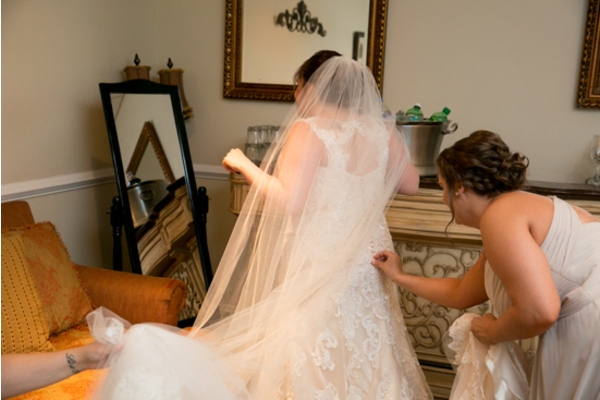 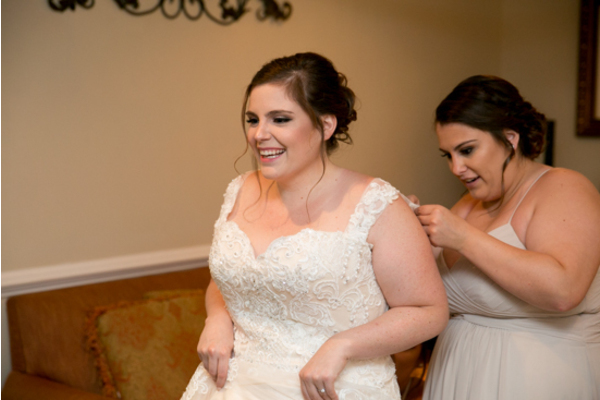 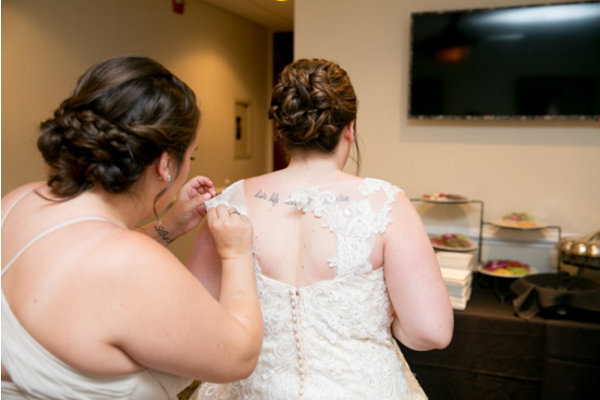 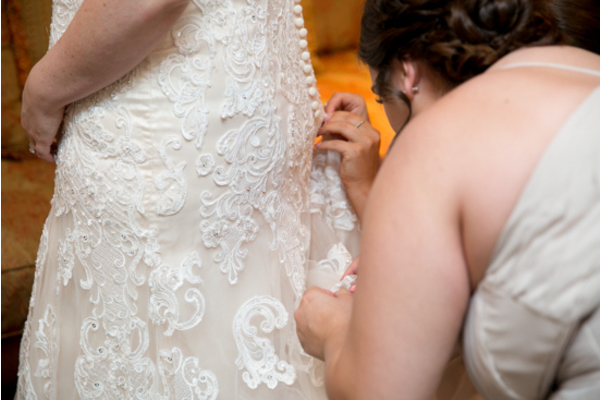 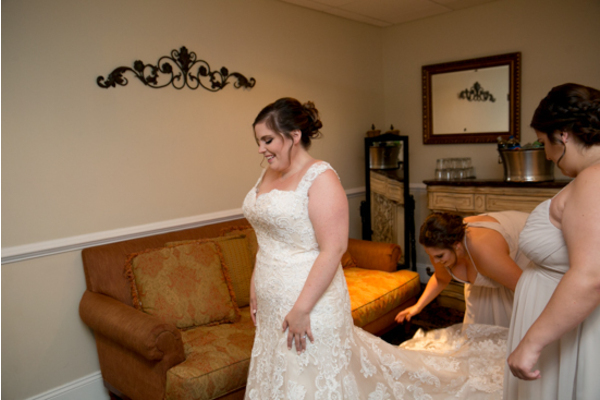 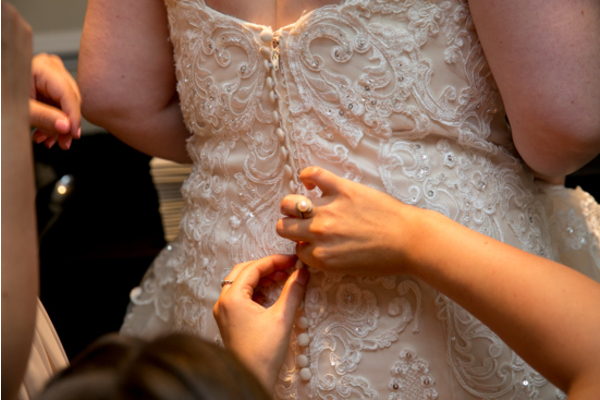 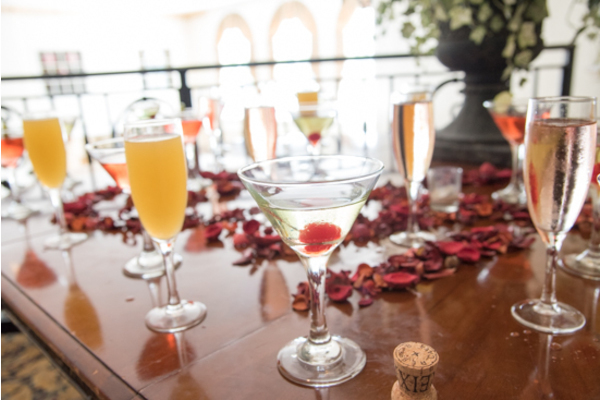 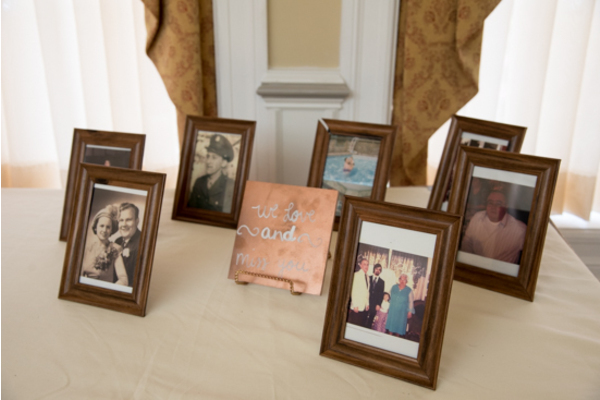 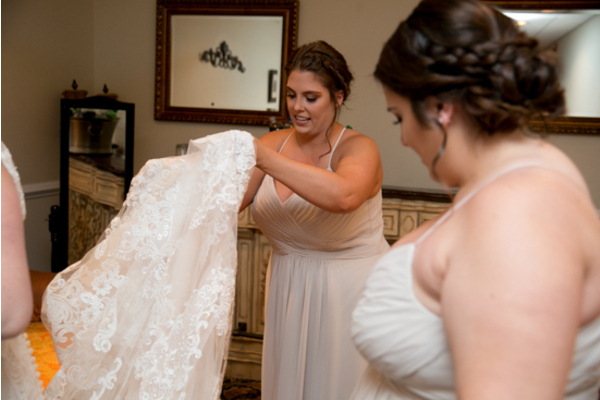 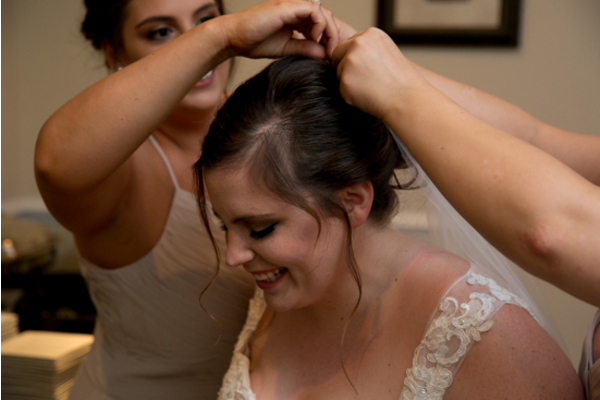 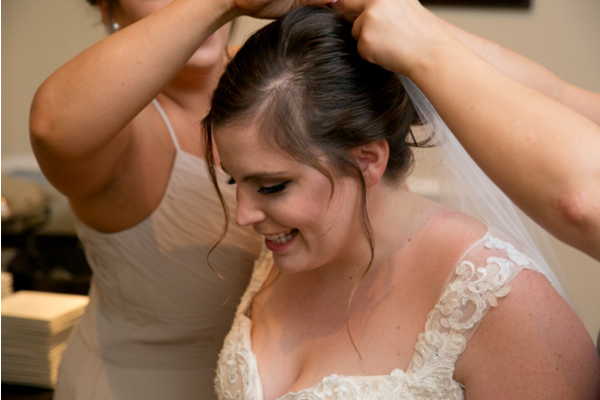 Before the special day unfolded, the bride and groom added the necessary touches to their wedding day looks. 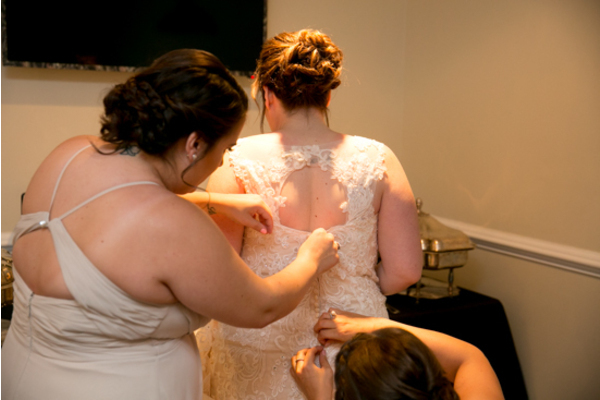 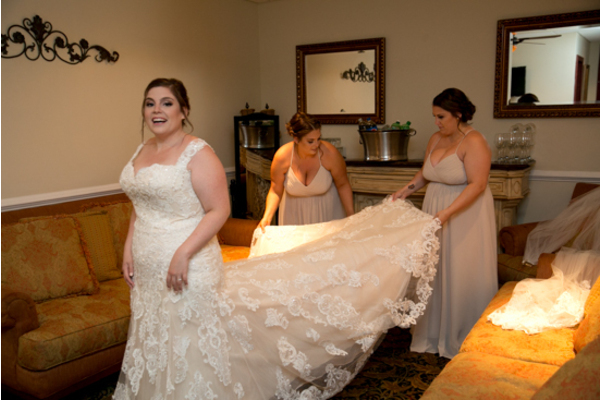 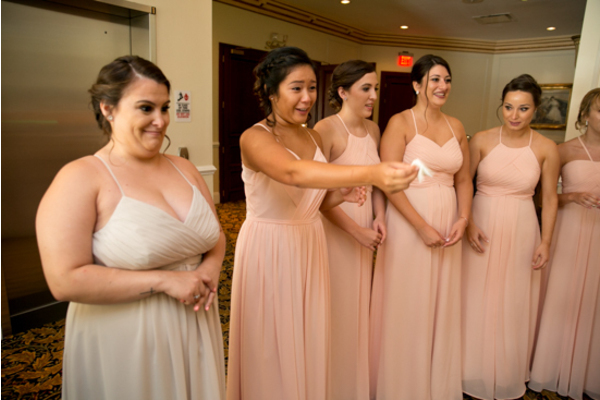 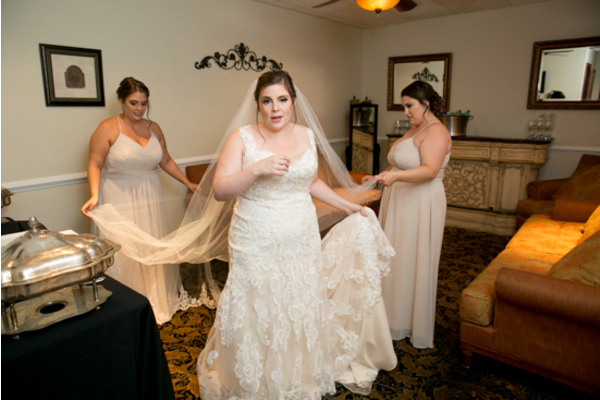 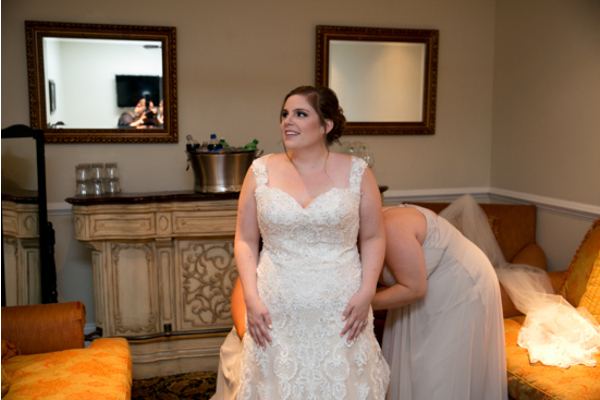 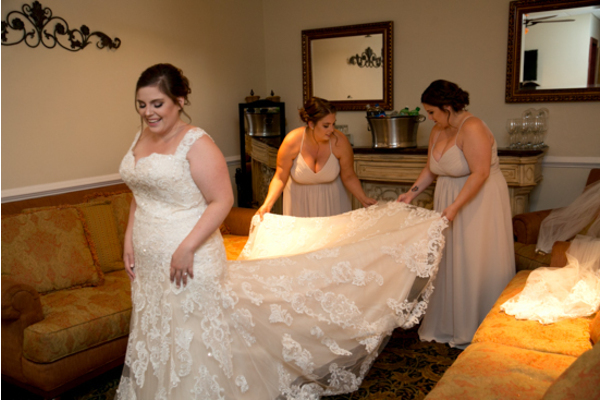 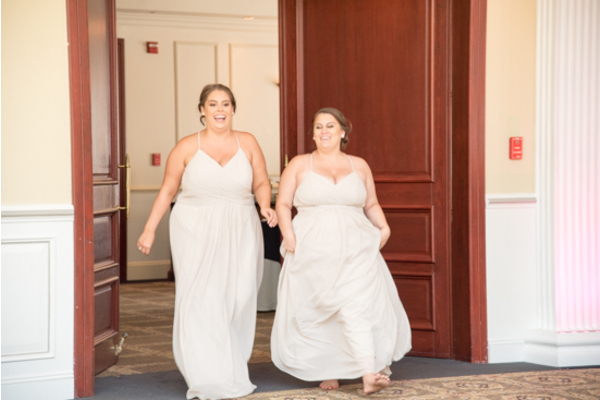 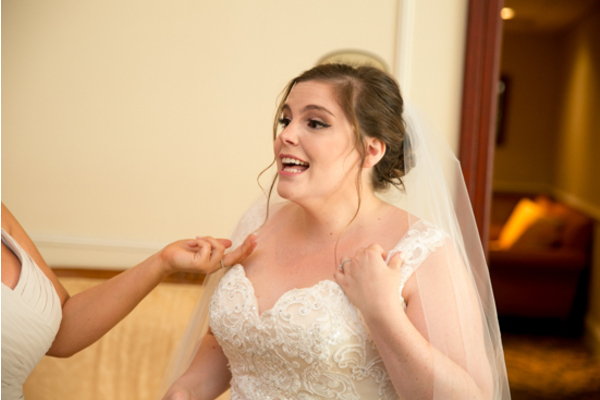 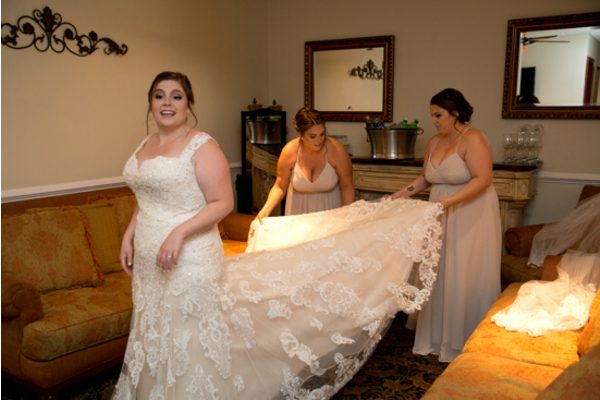 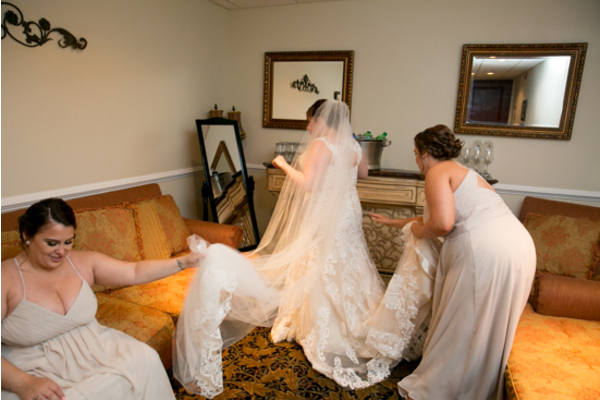 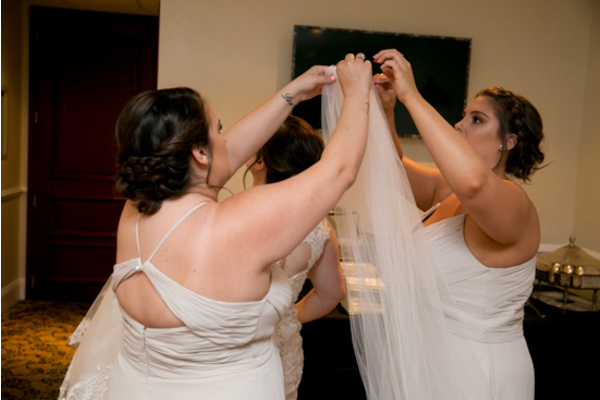 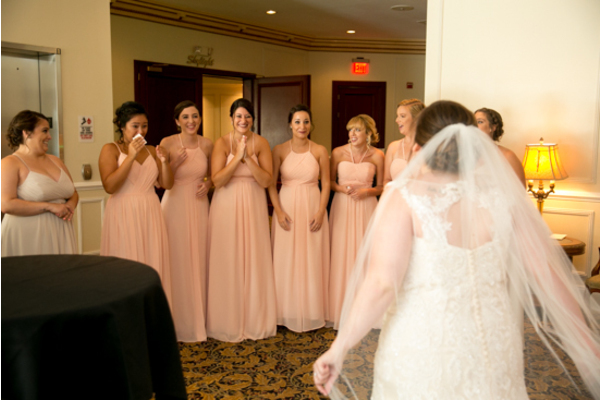 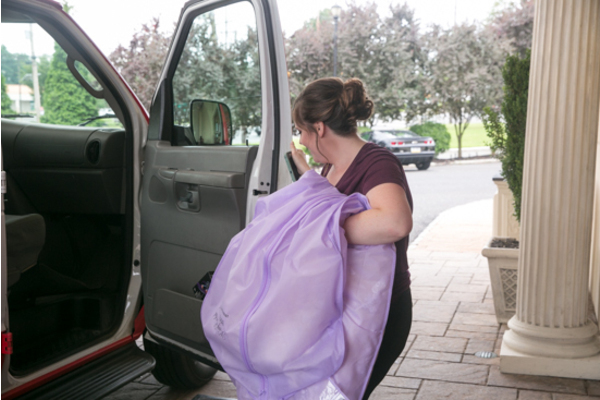 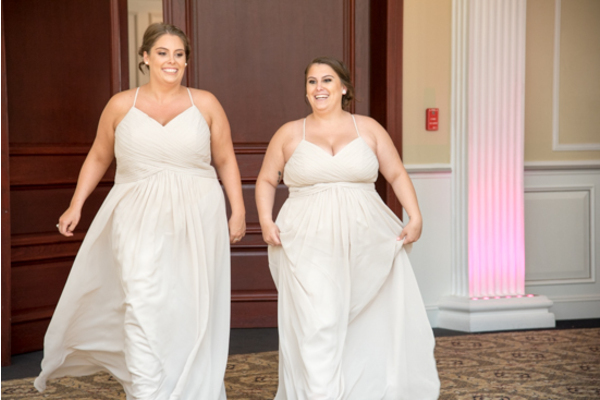 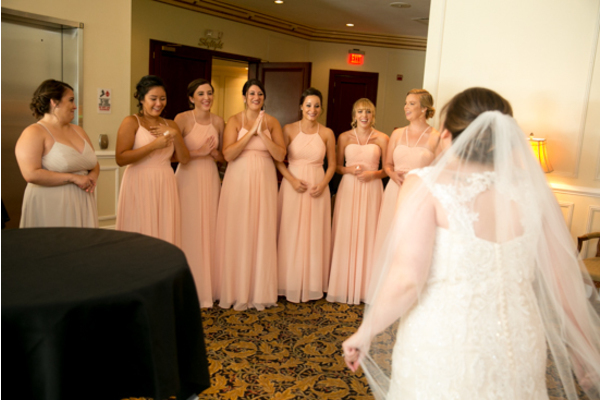 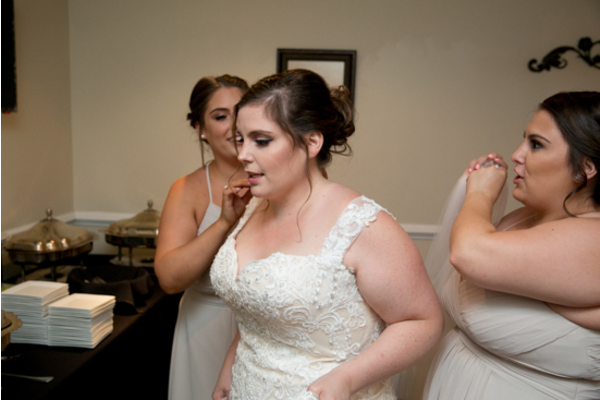 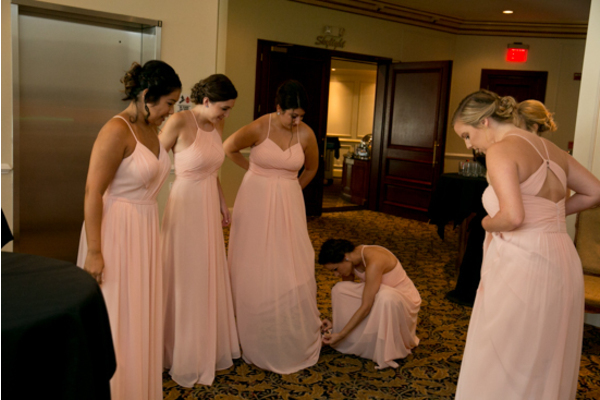 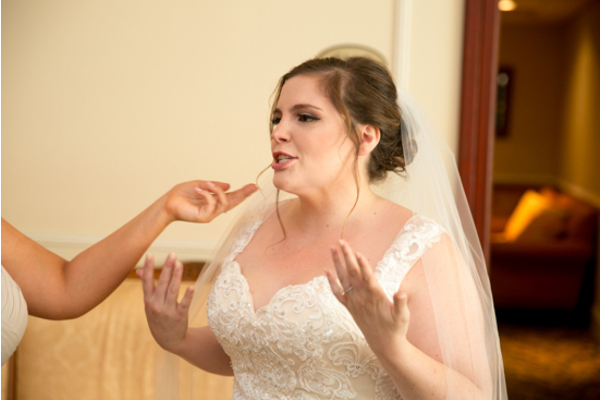 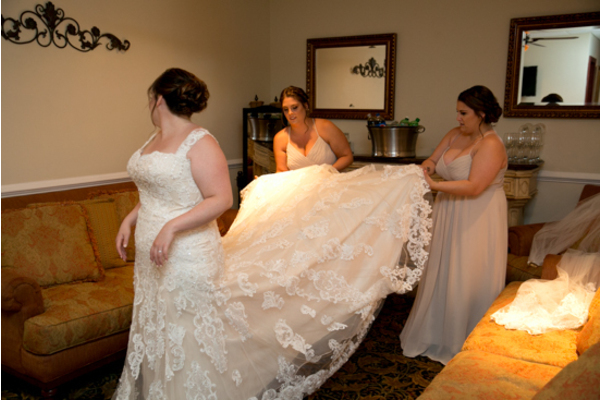 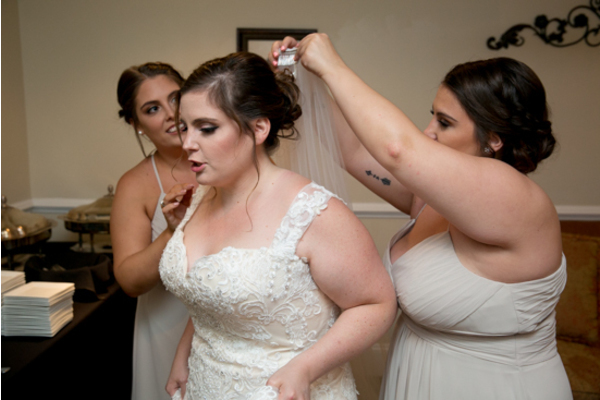 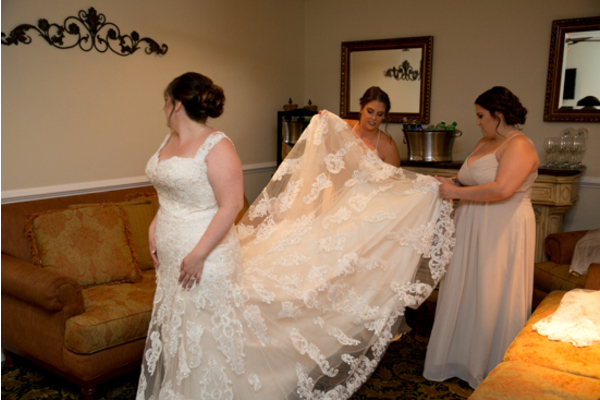 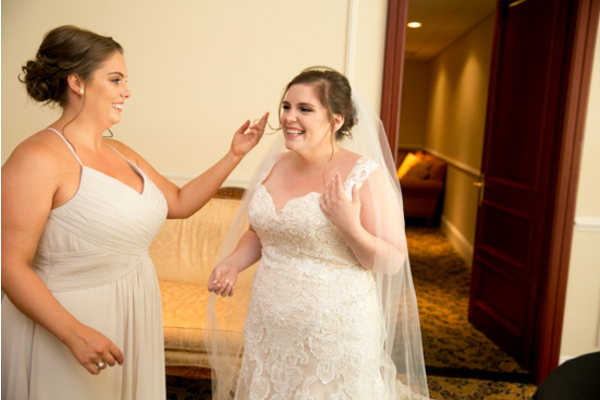 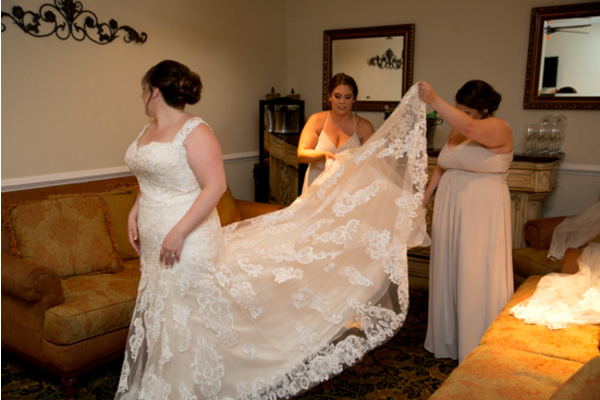 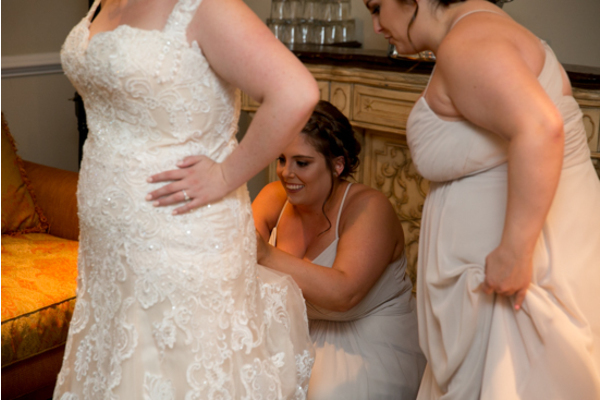 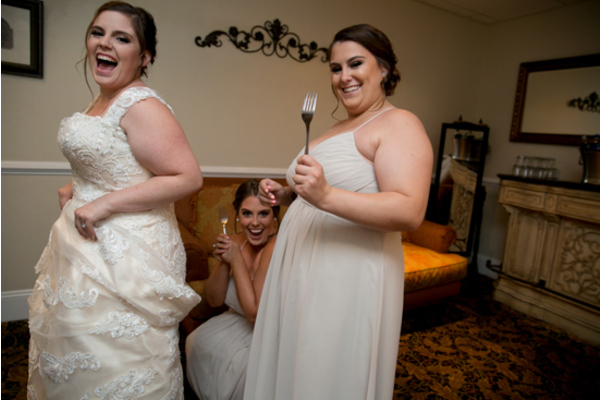 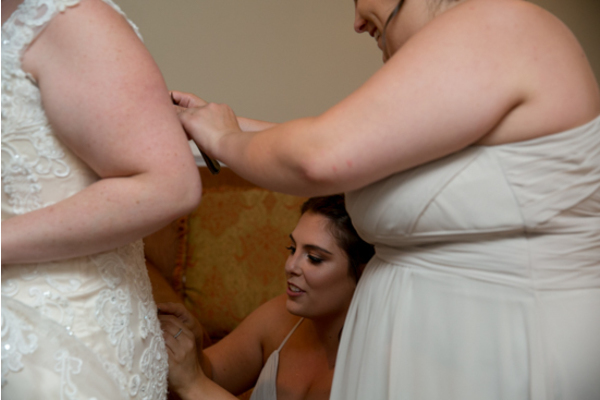 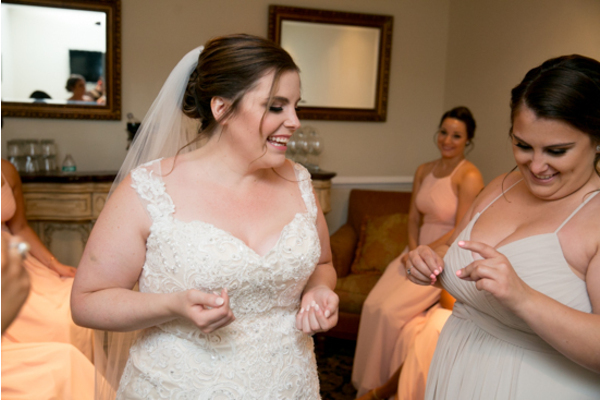 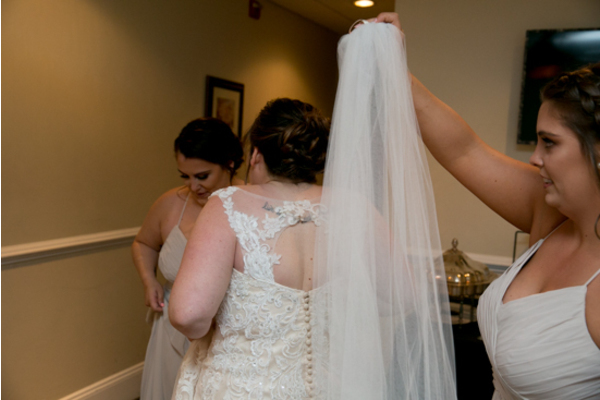 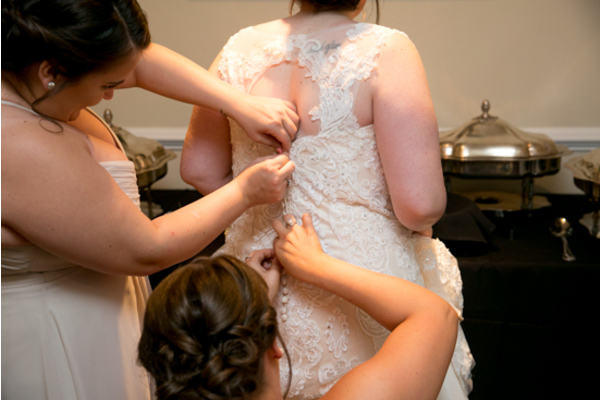 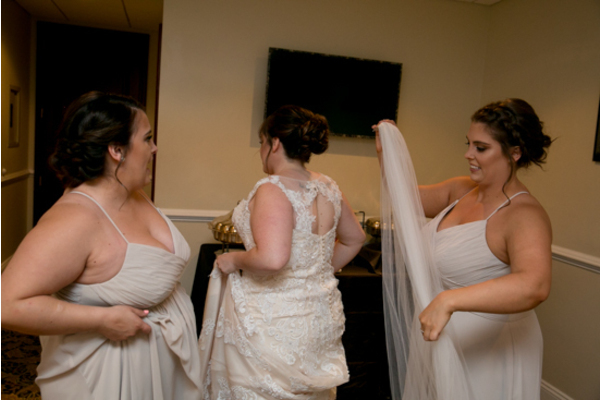 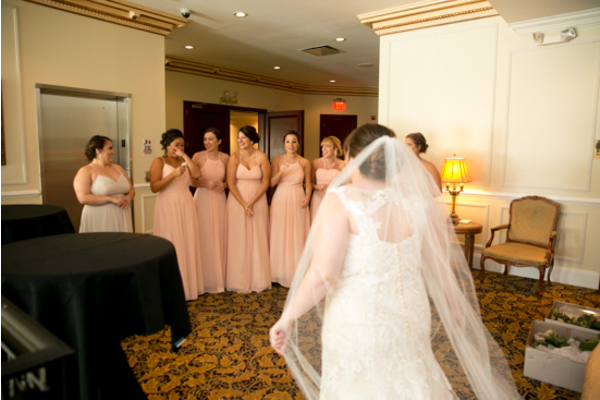 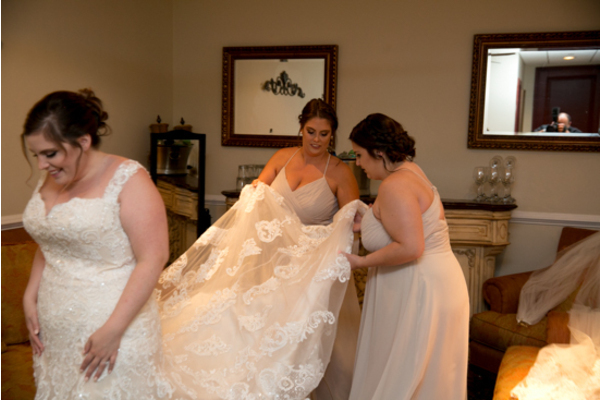 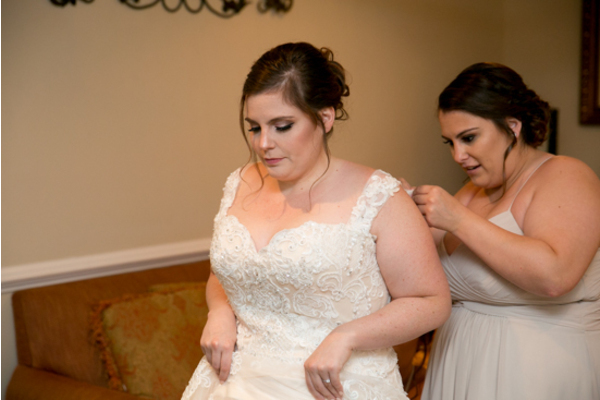 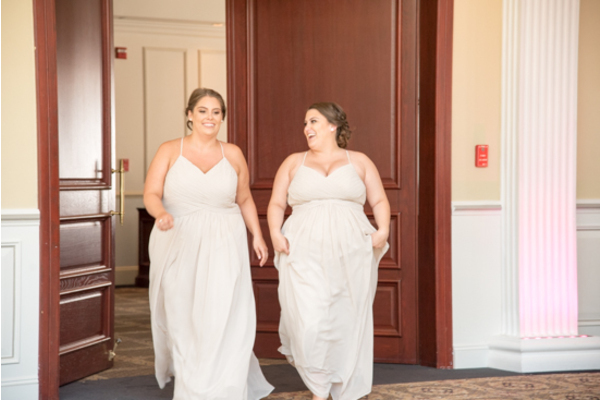 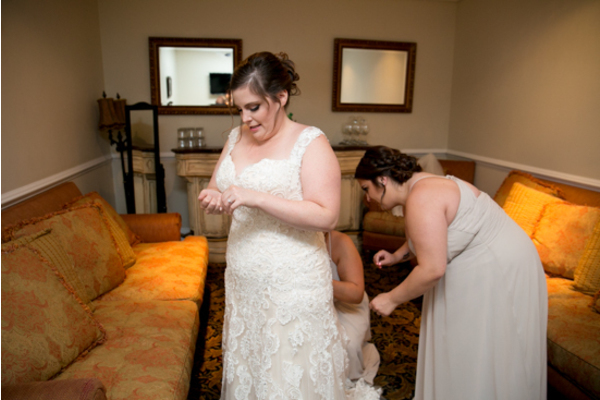 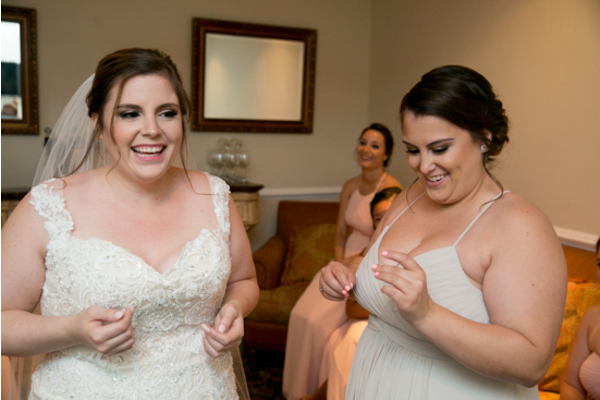 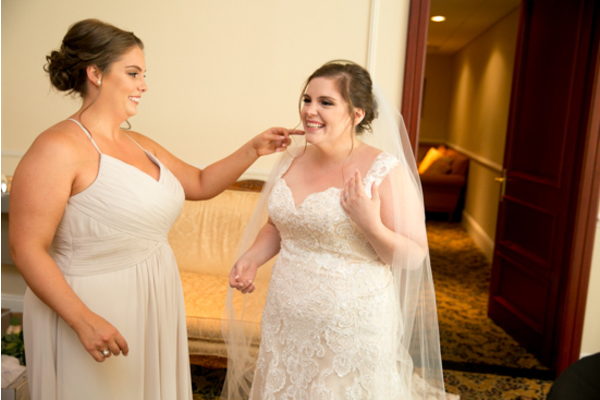 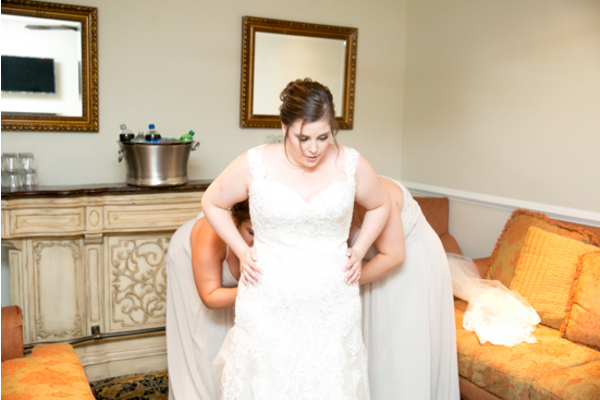 Our NJ Wedding Photographer captured the bride and her bridesmaids in the hotel room prepping for the big day ahead of them! 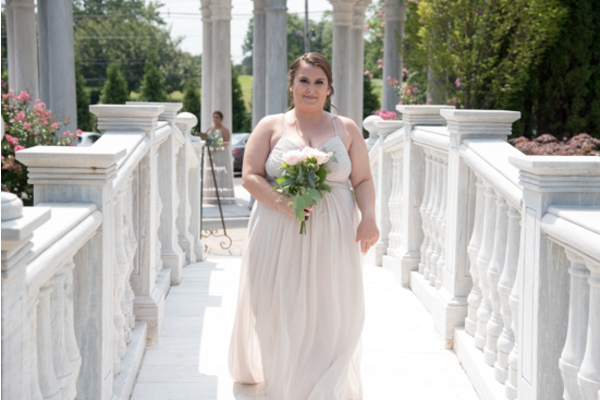 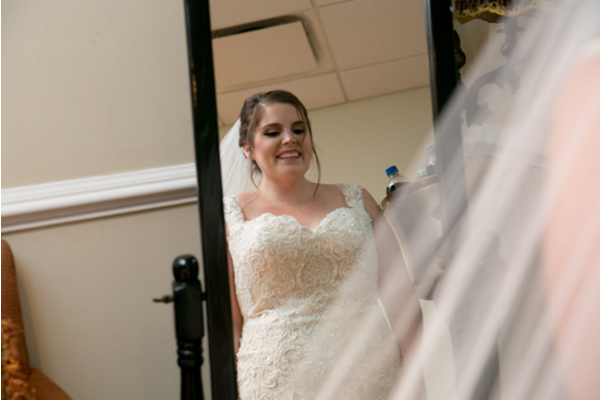 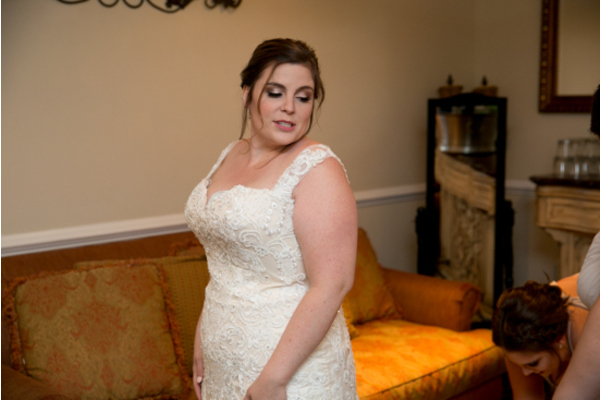 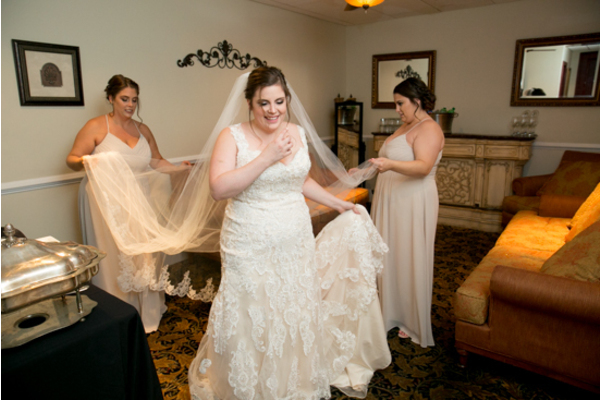 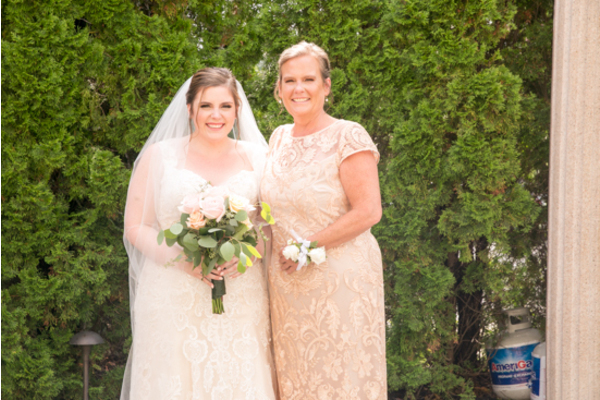 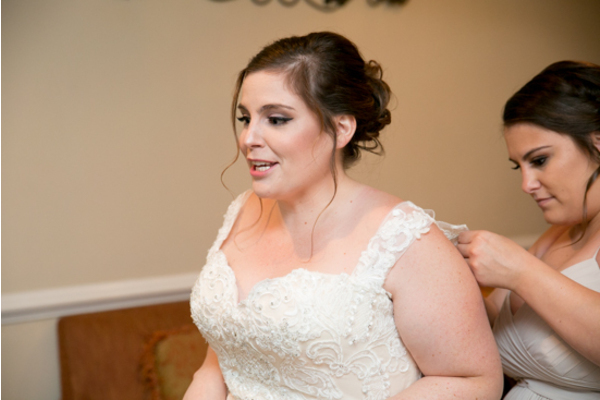 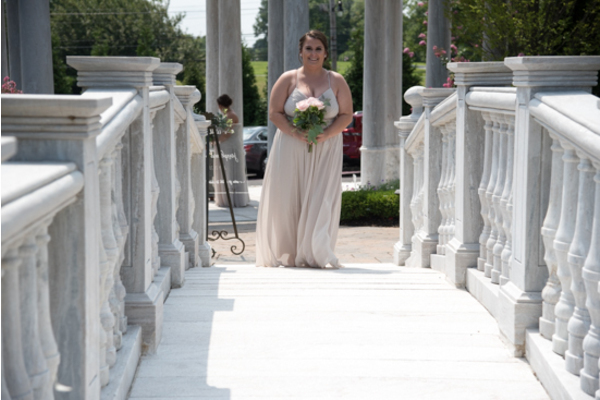 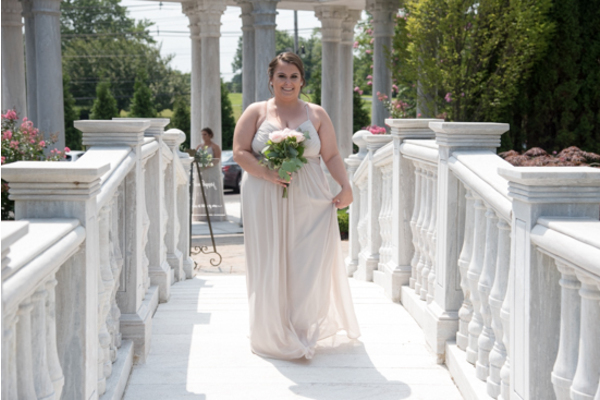 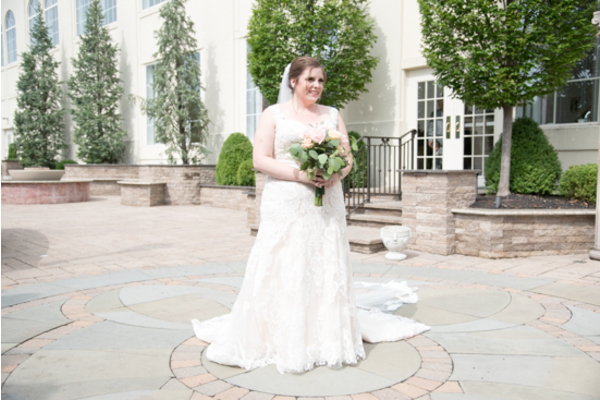 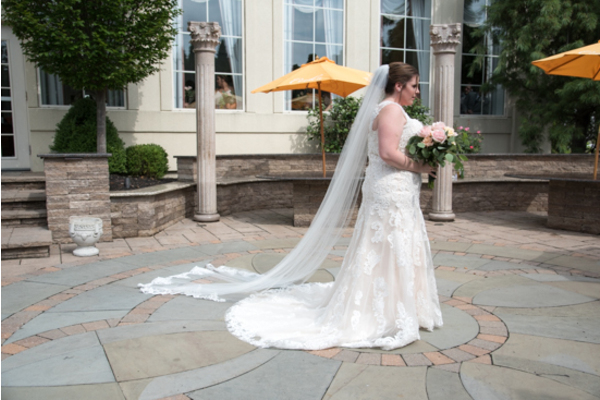 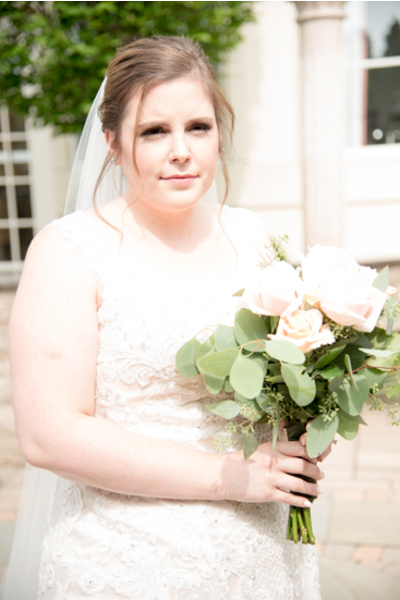 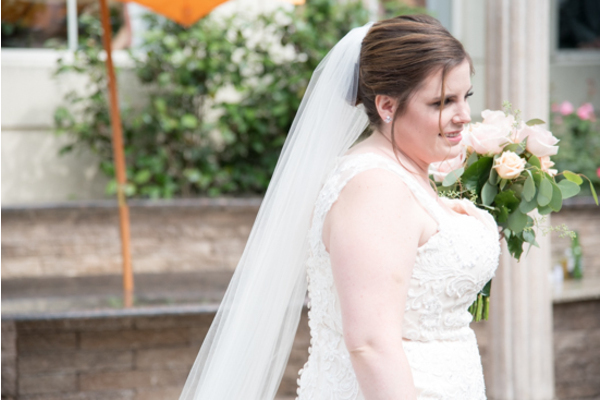 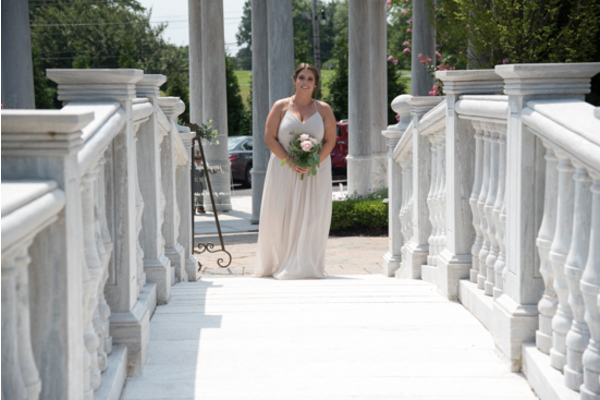 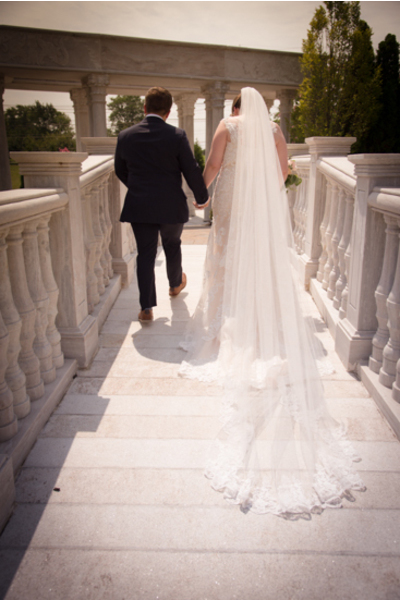 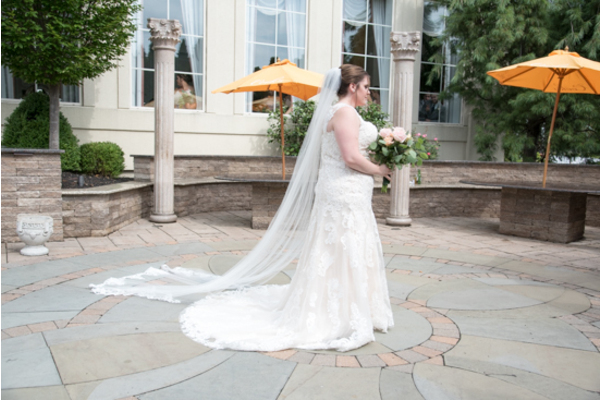 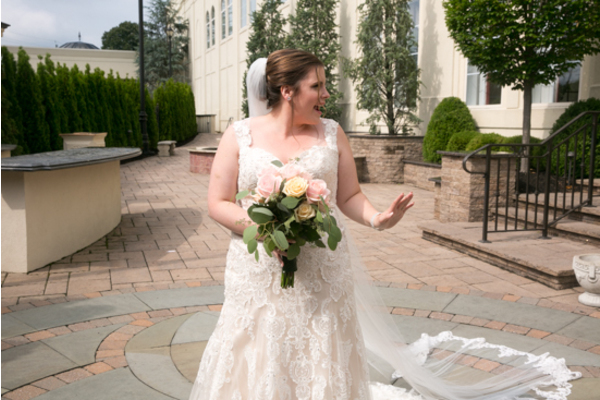 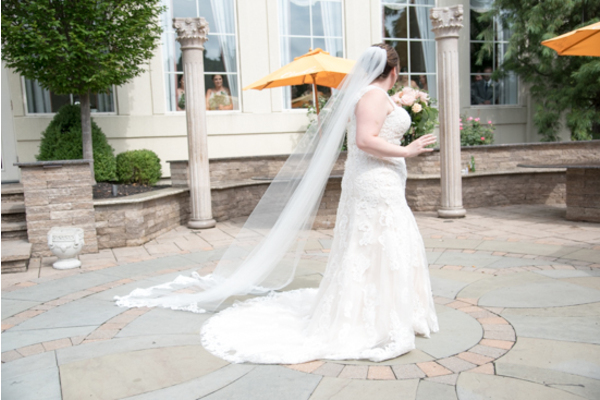 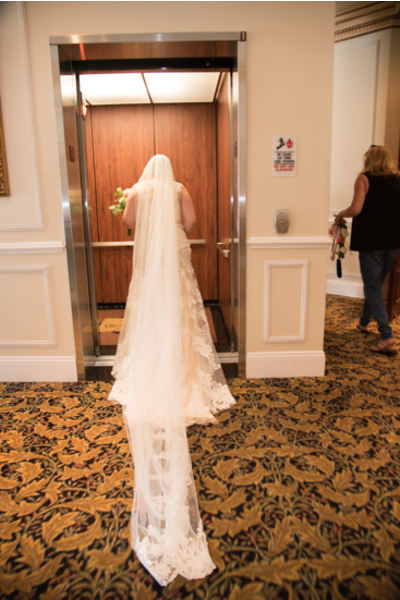 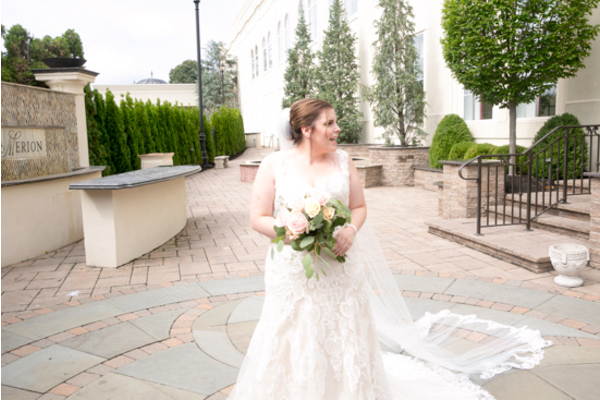 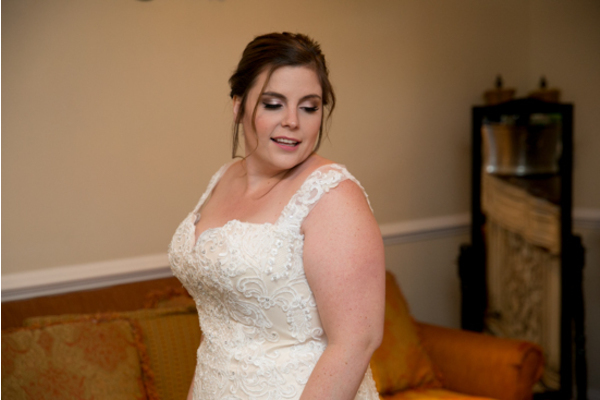 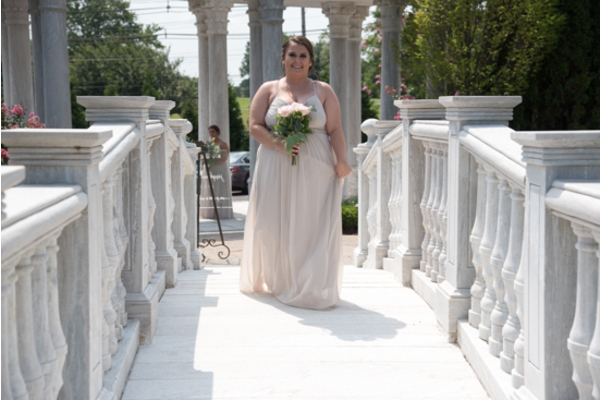 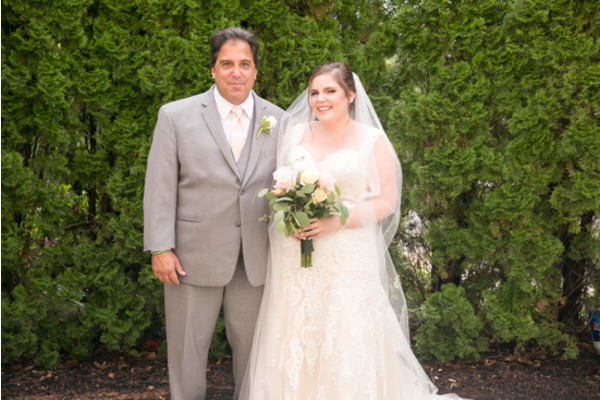 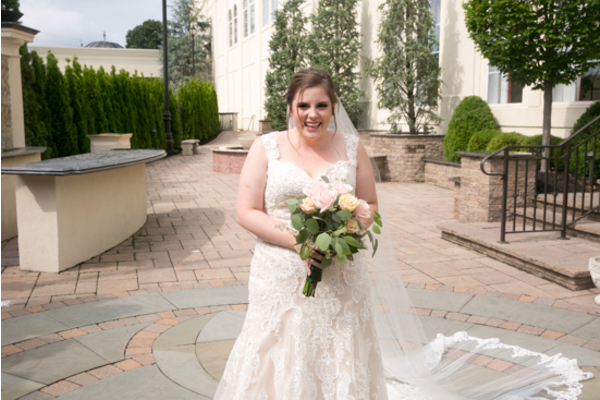 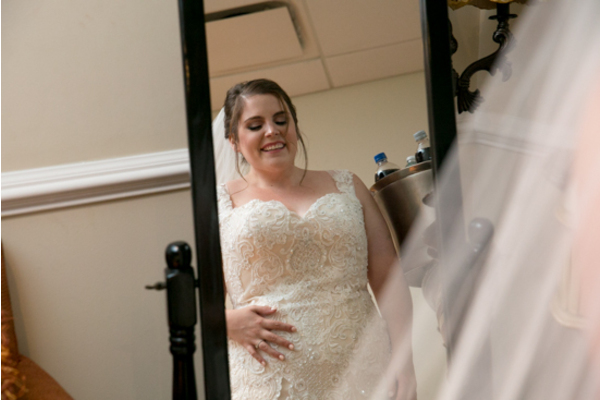 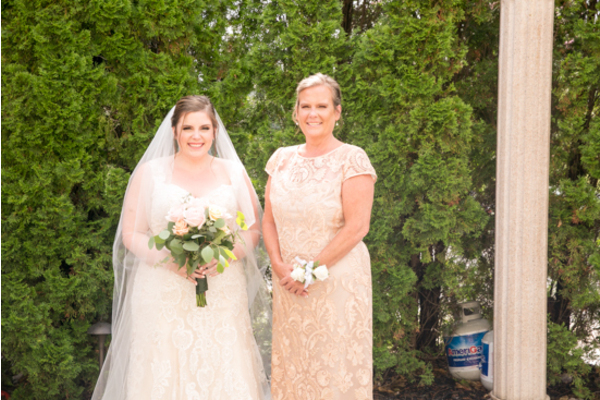 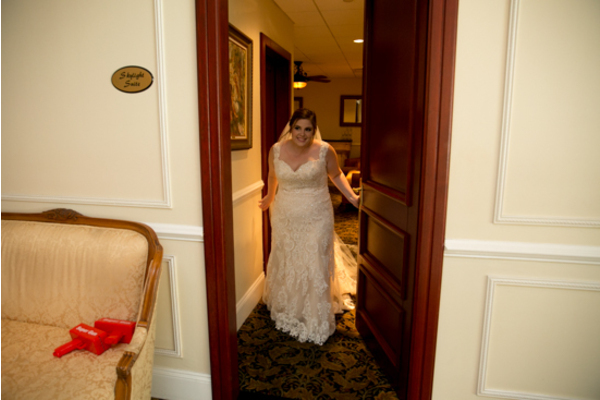 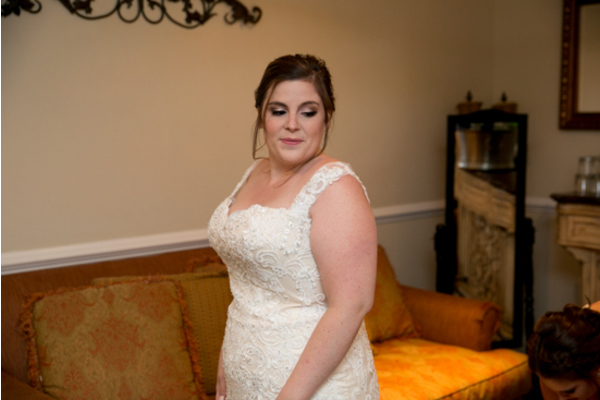 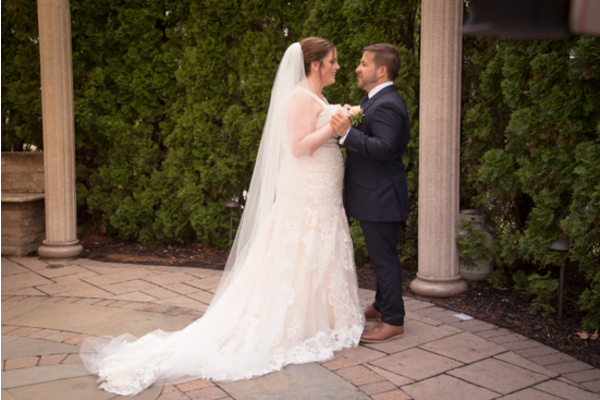 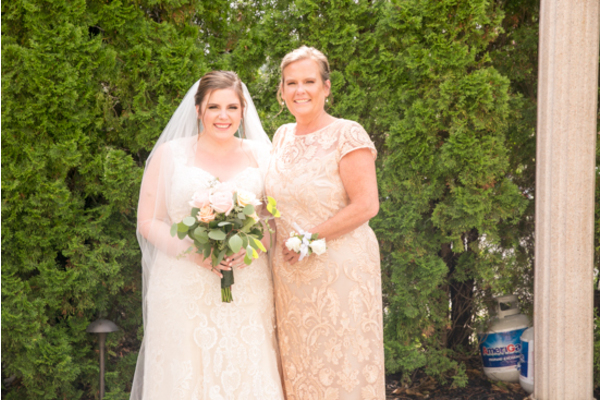 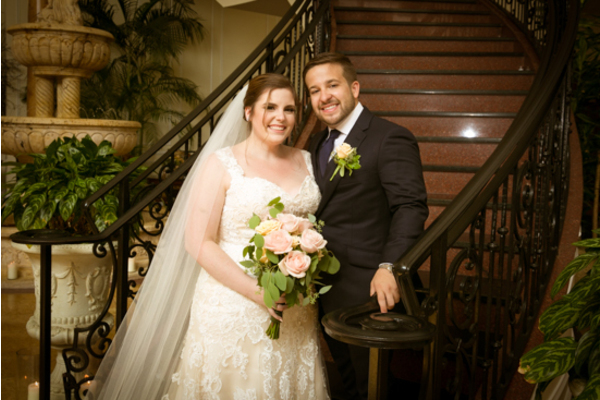 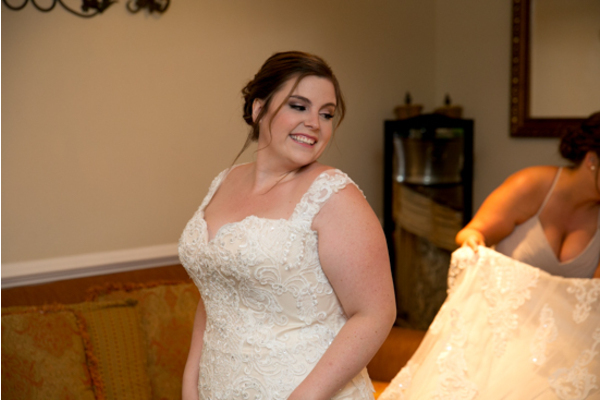 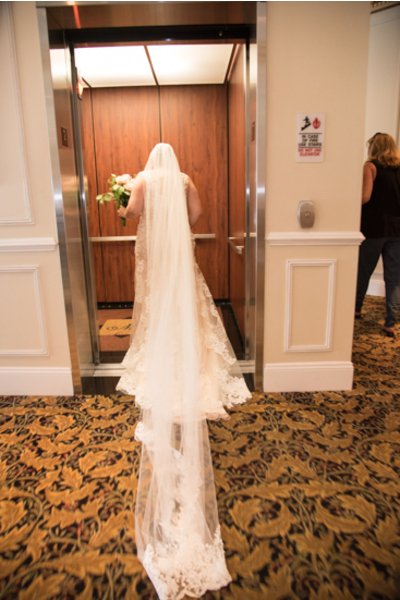 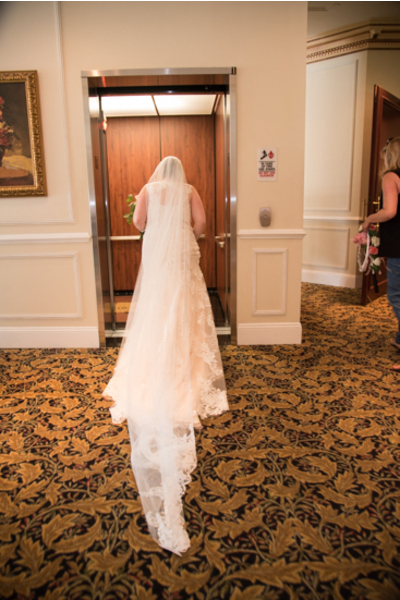 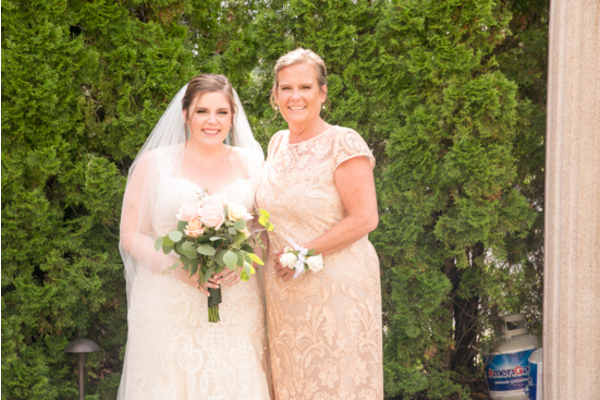 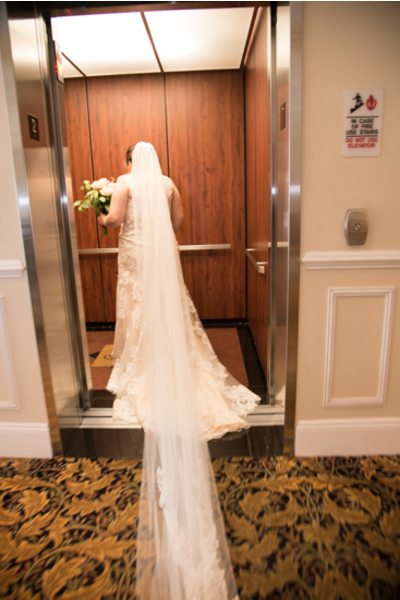 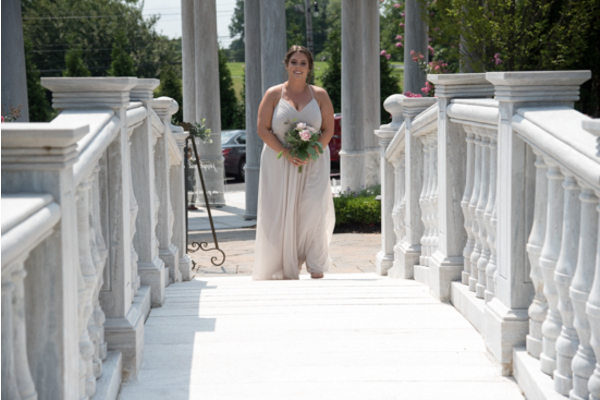 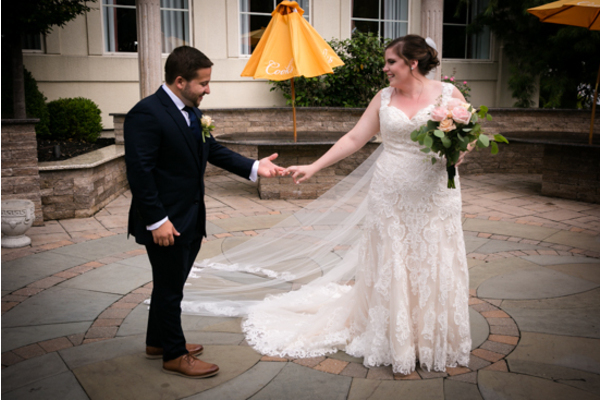 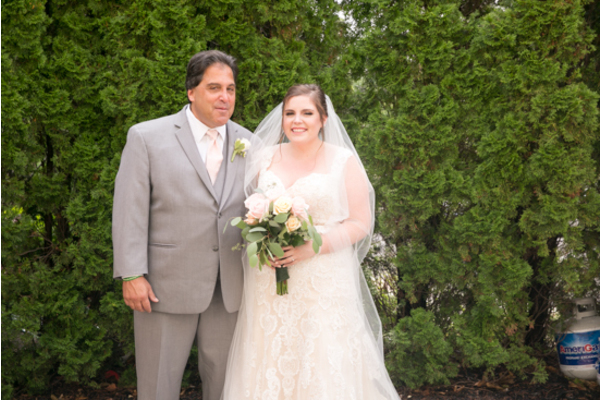 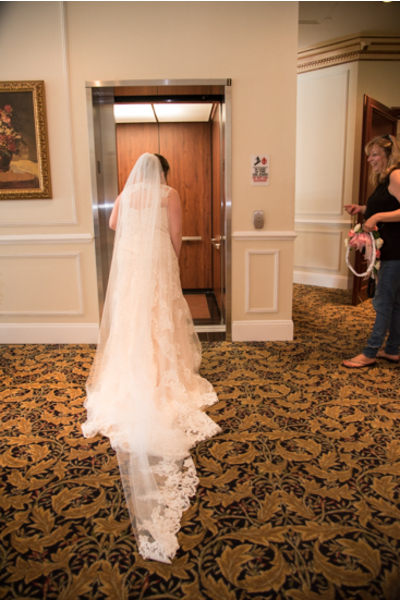 Michelle’s looked absolutely stunning in her white lace wedding gown paired with her gorgeous veil! 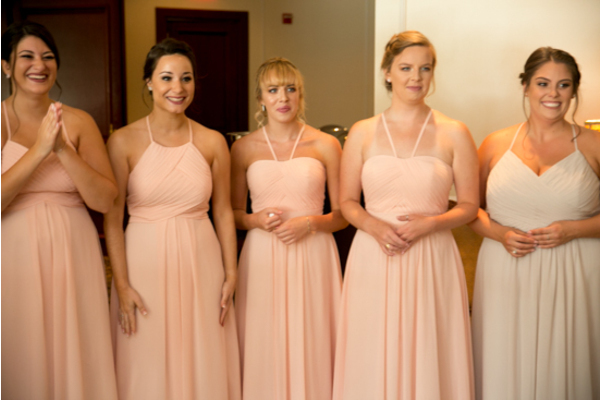 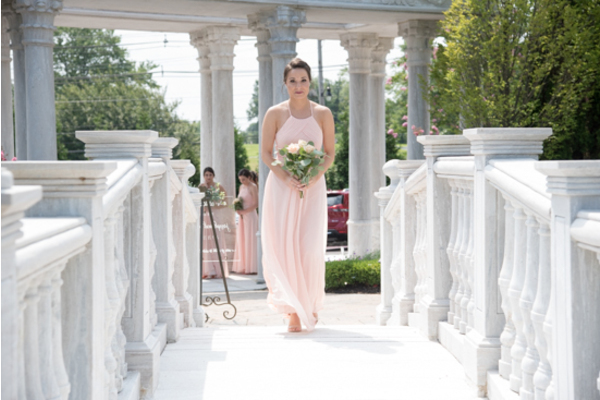 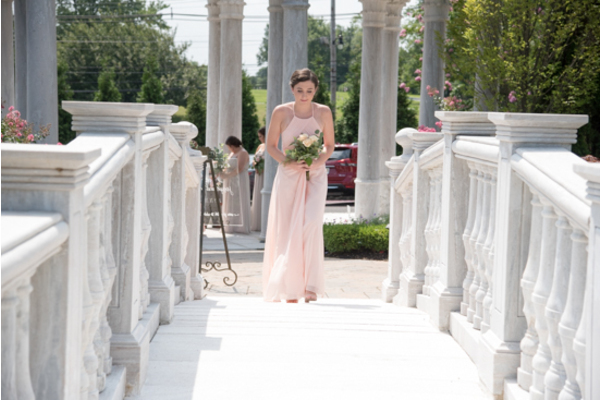 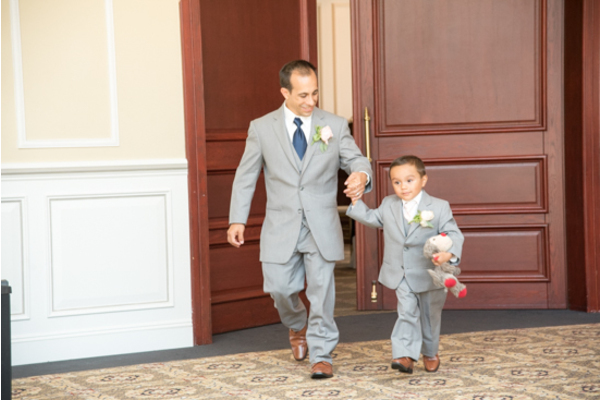 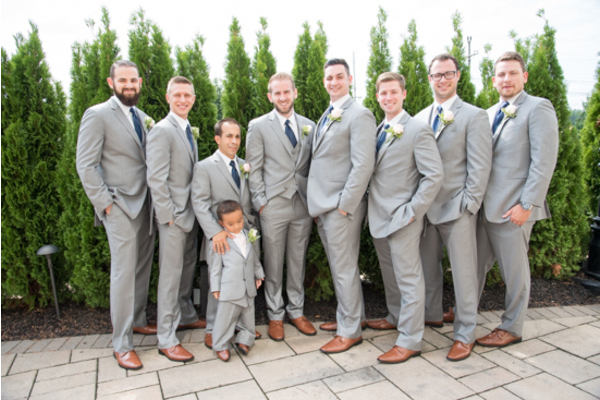 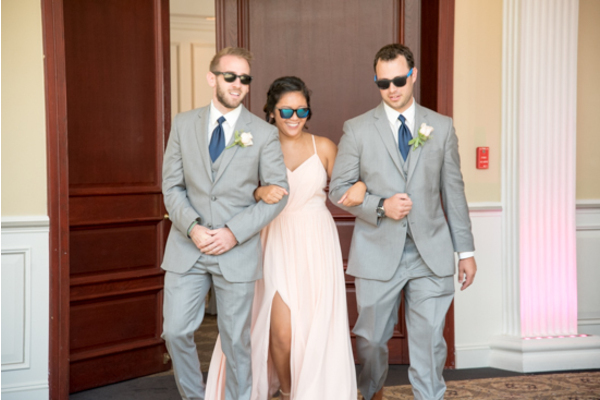 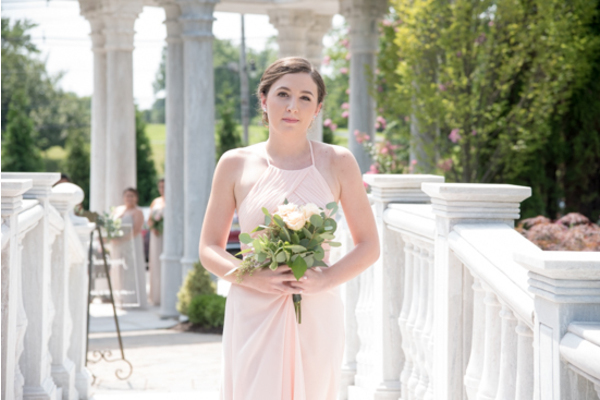 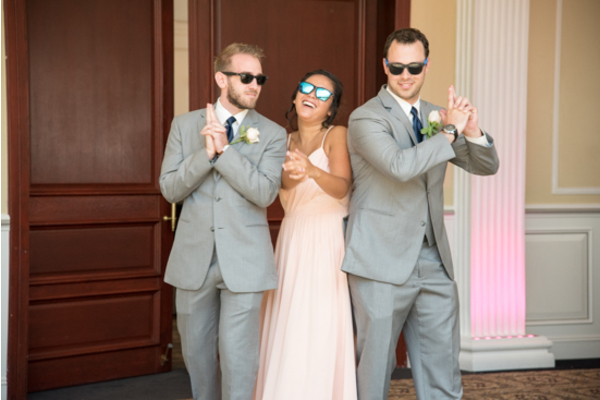 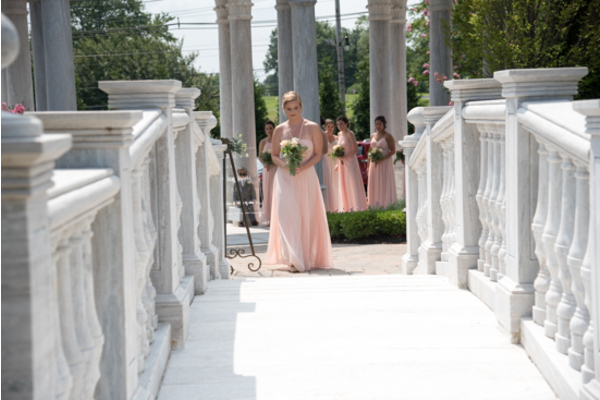 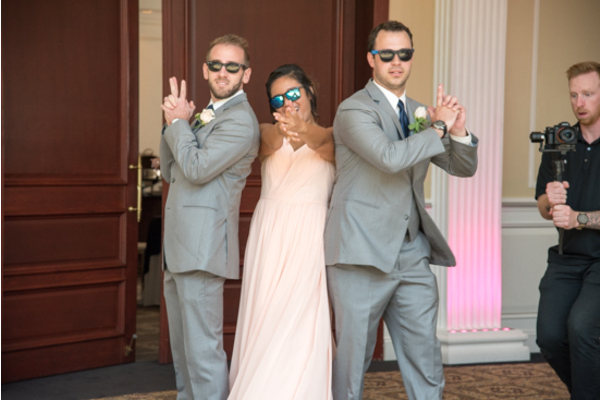 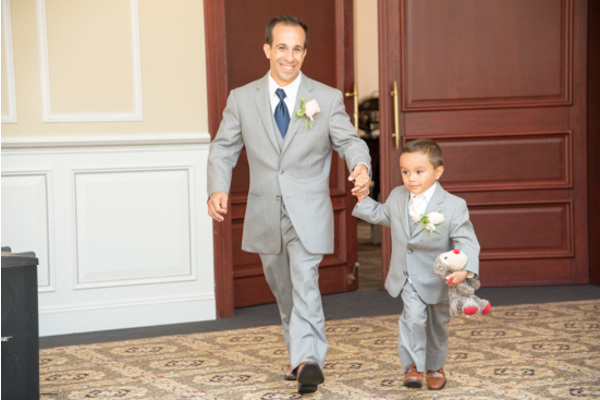 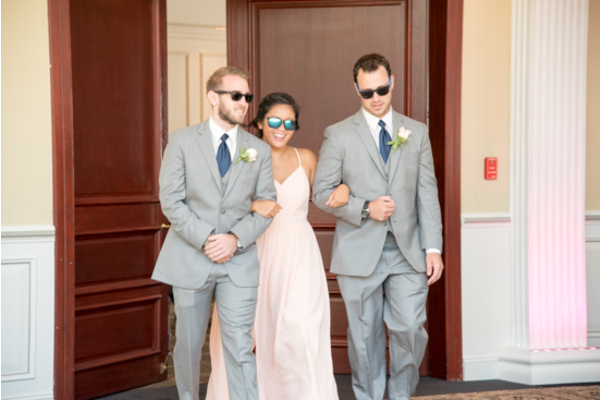 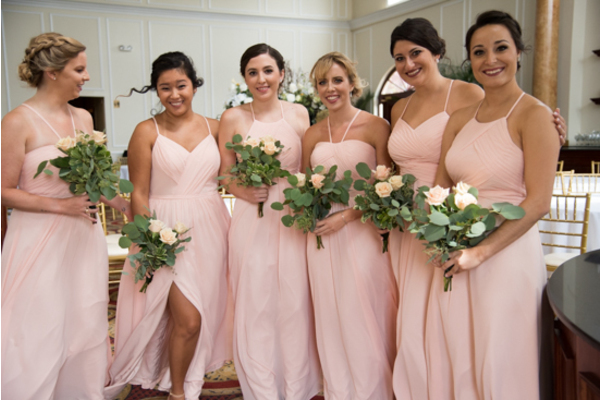 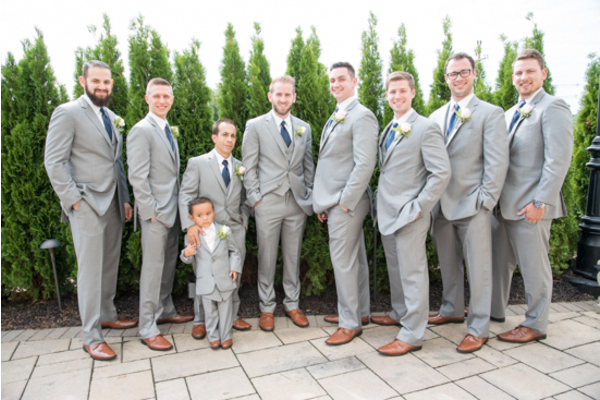 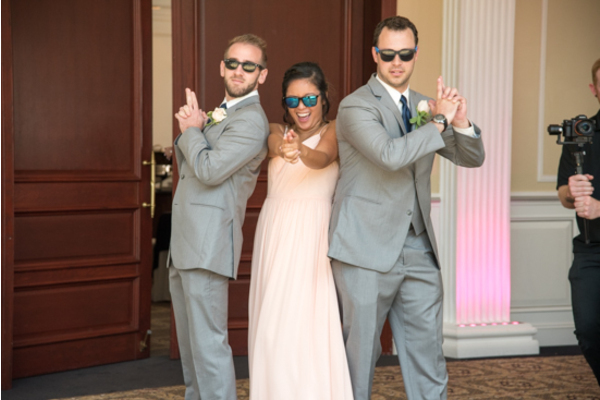 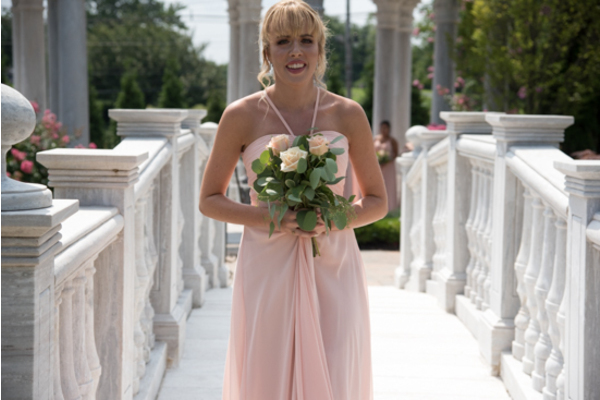 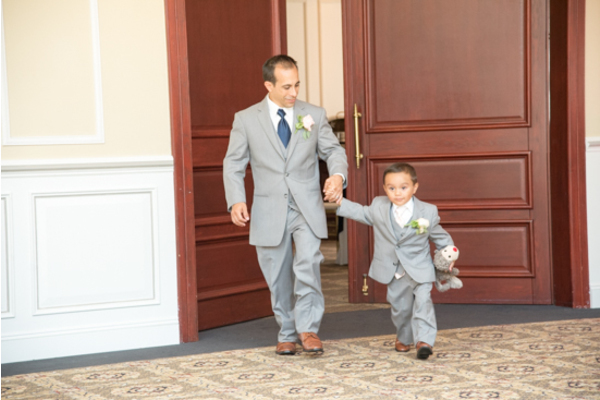 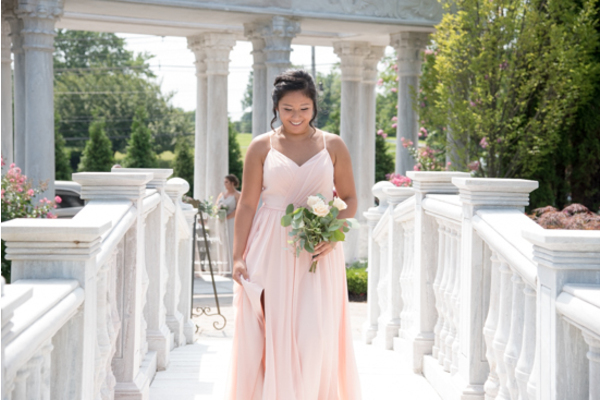 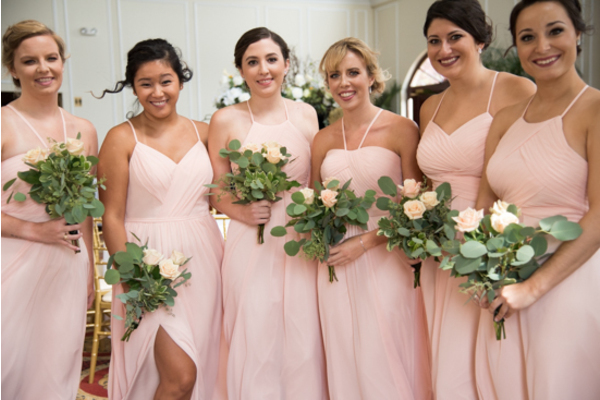 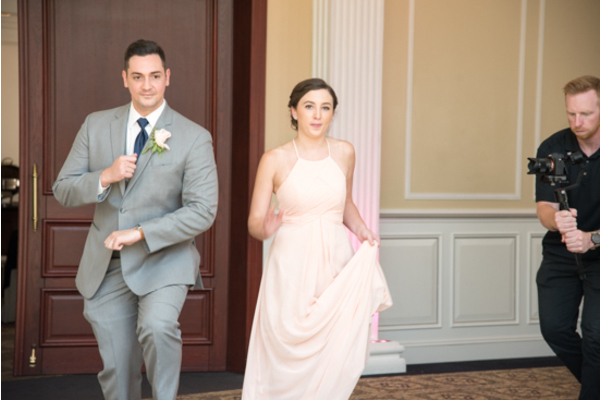 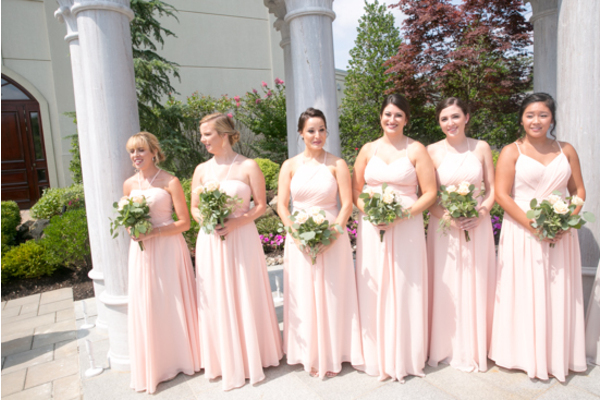 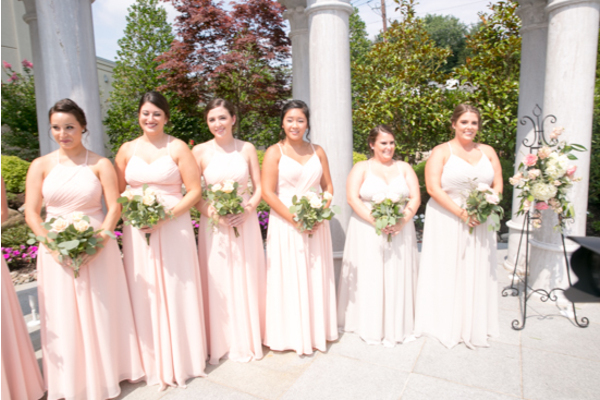 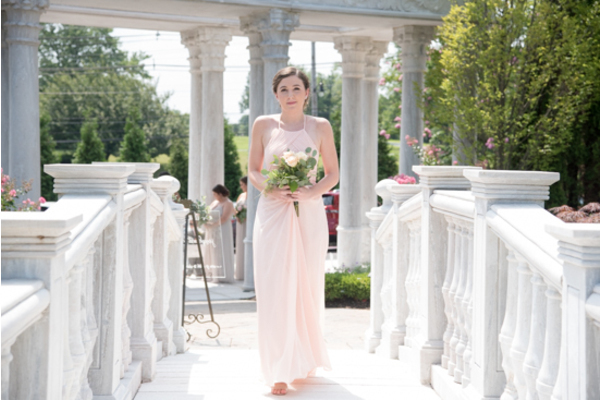 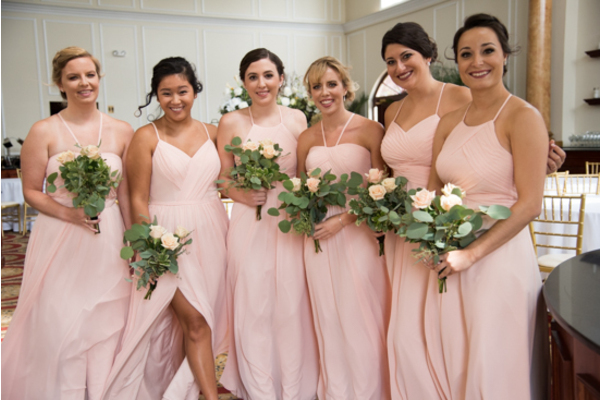 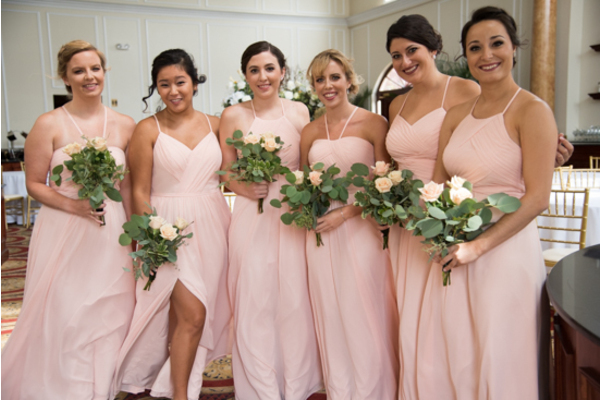 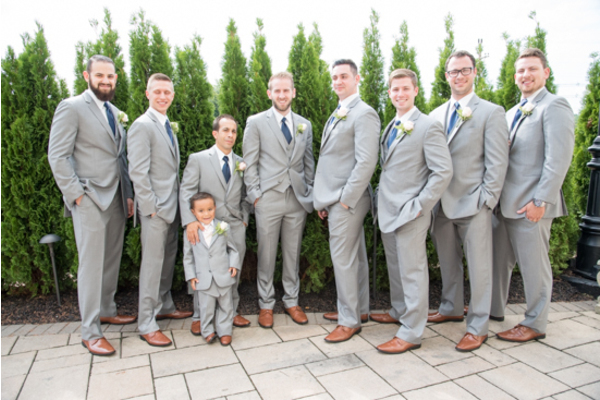 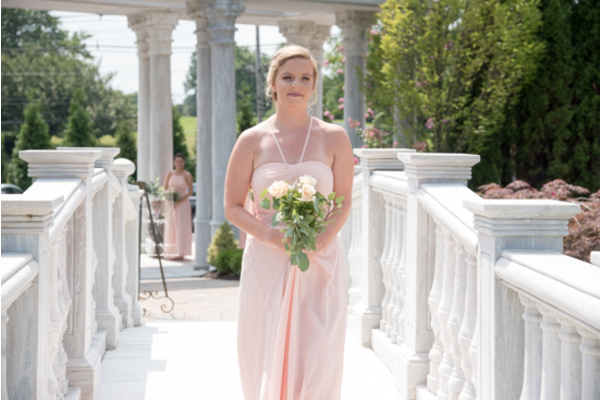 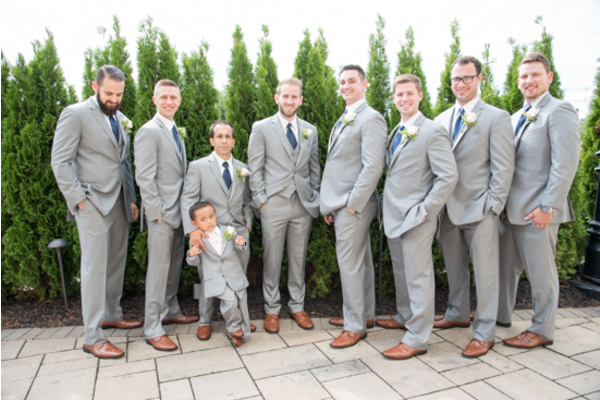 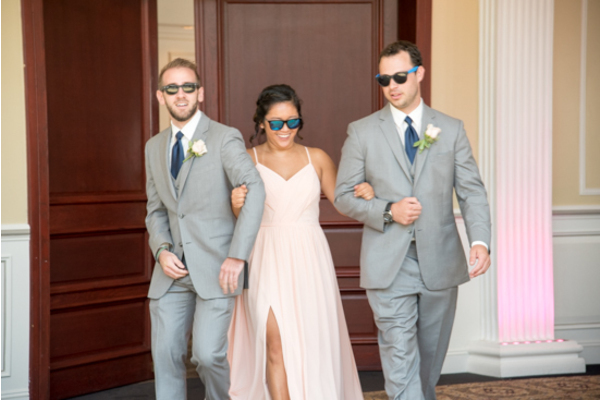 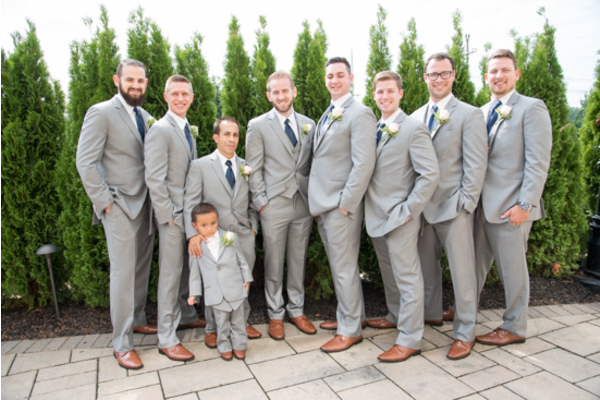 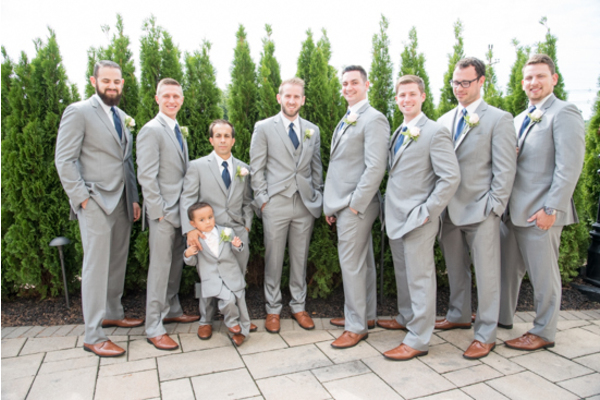 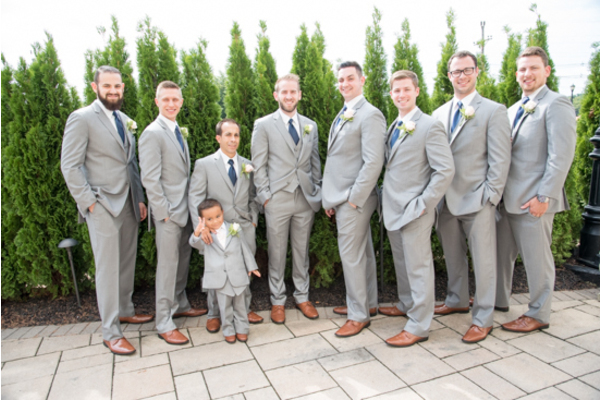 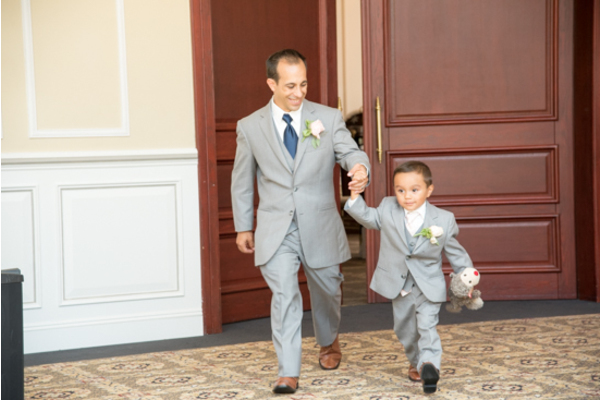 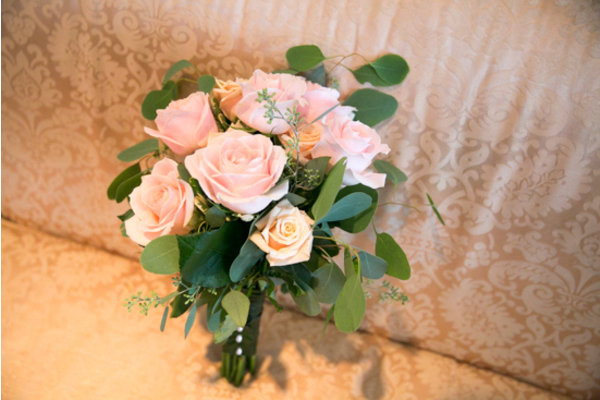 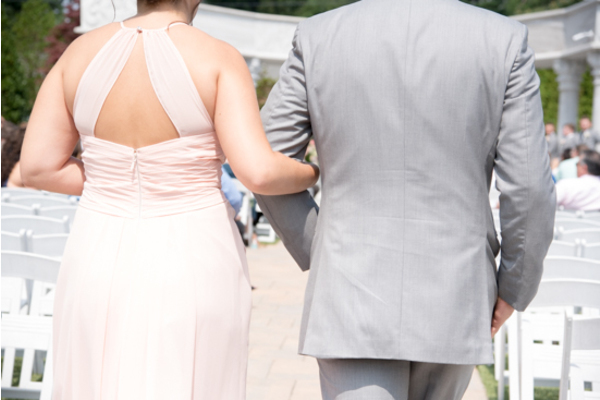 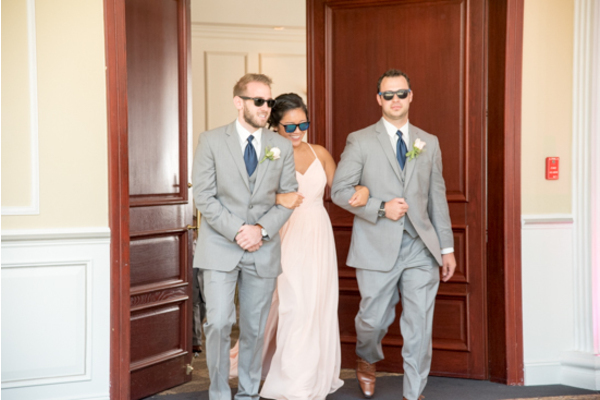 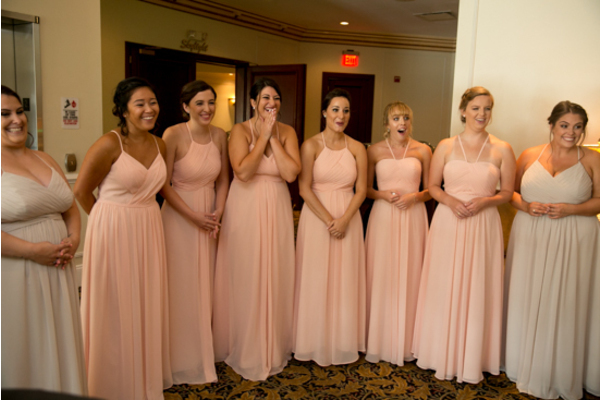 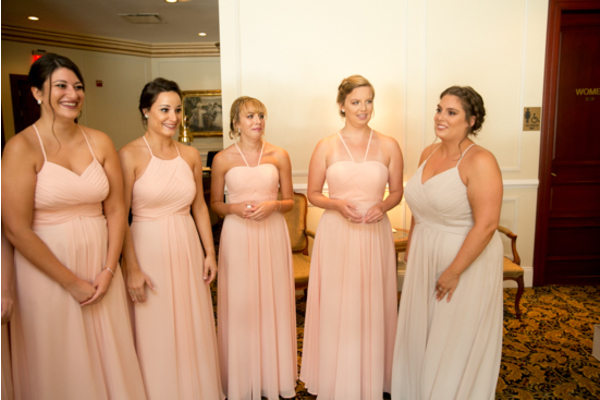 Likewise, the beautiful blush bridesmaids gowns complimented the groomsmen’s light grey suits perfectly. 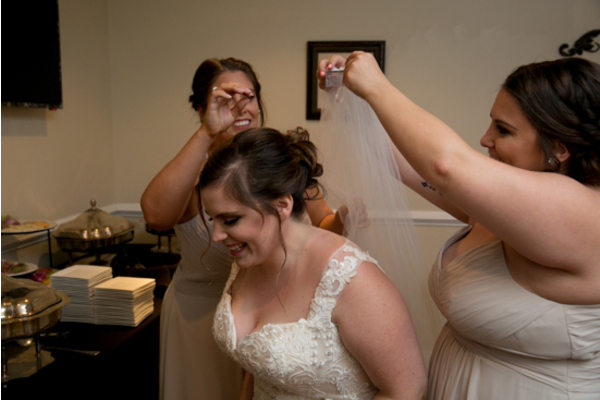 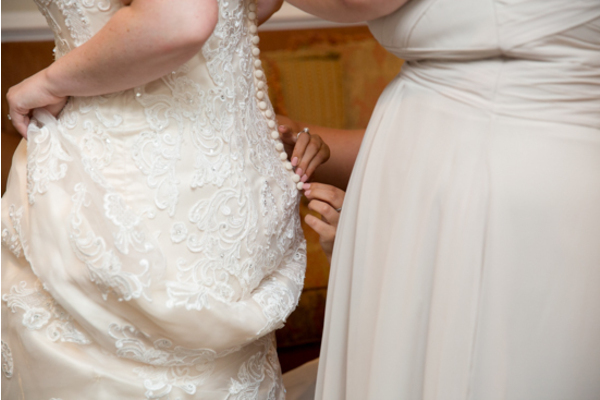 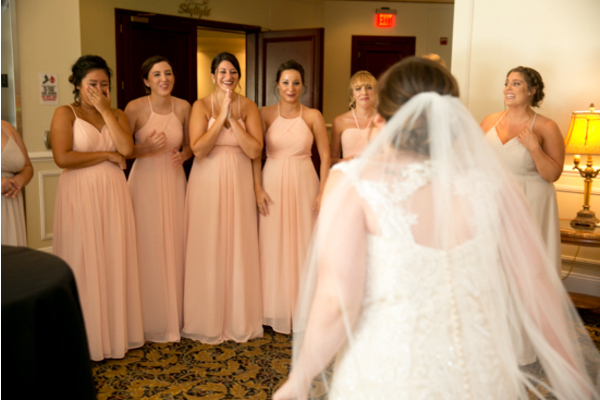 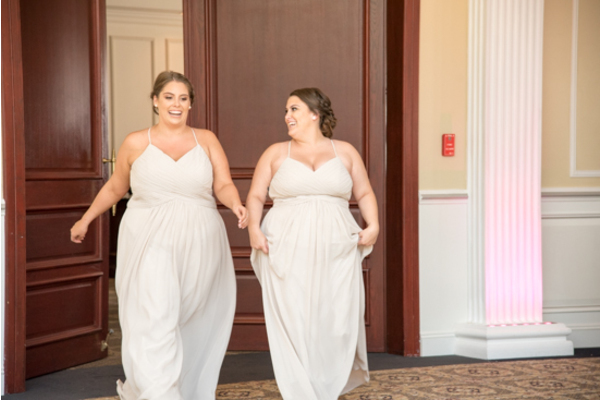 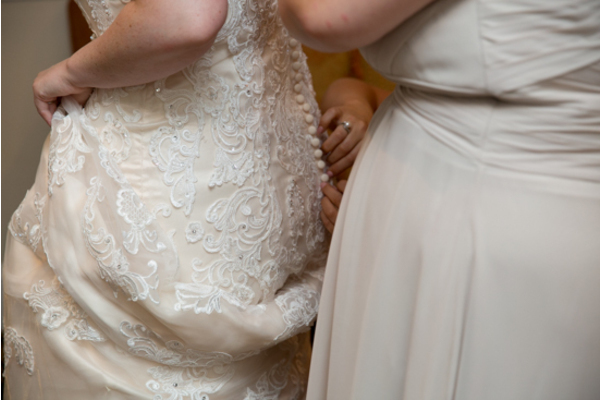 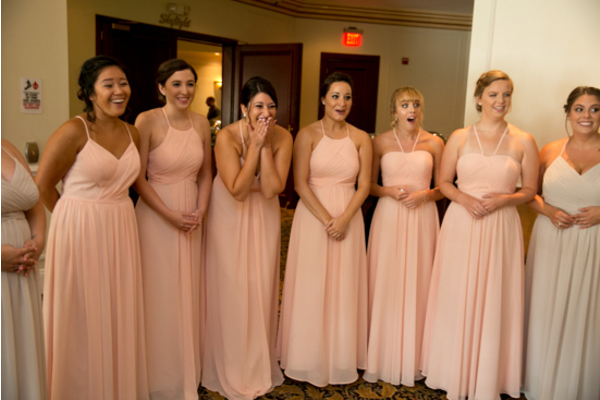 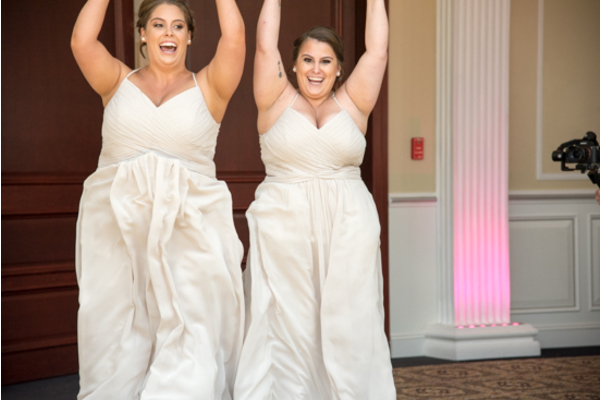 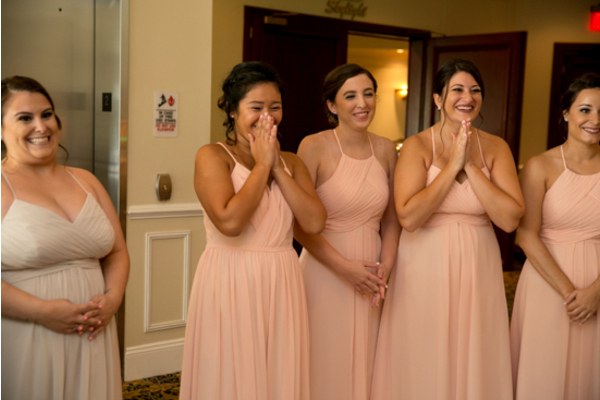 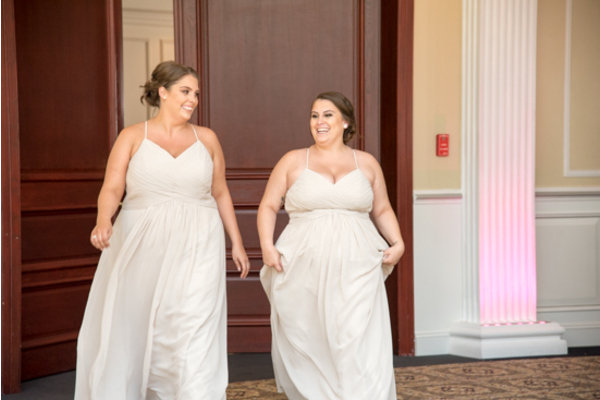 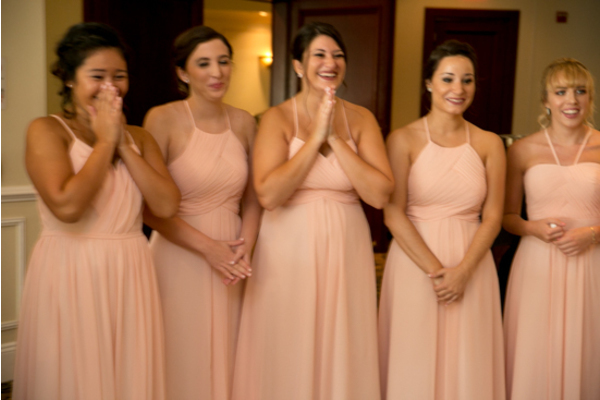 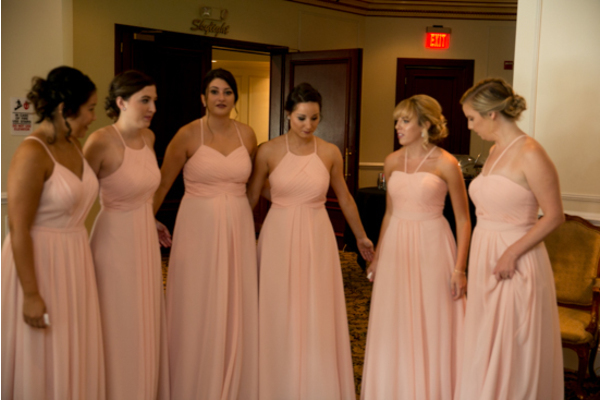 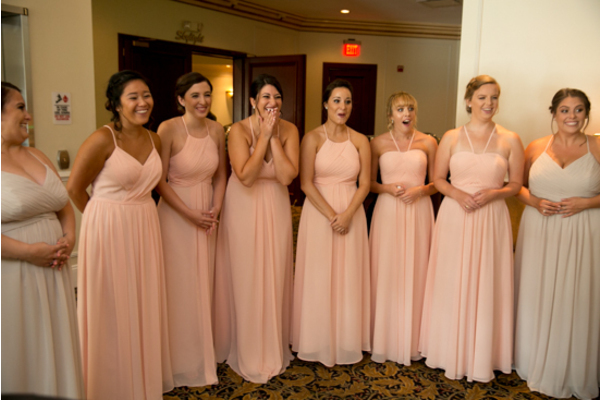 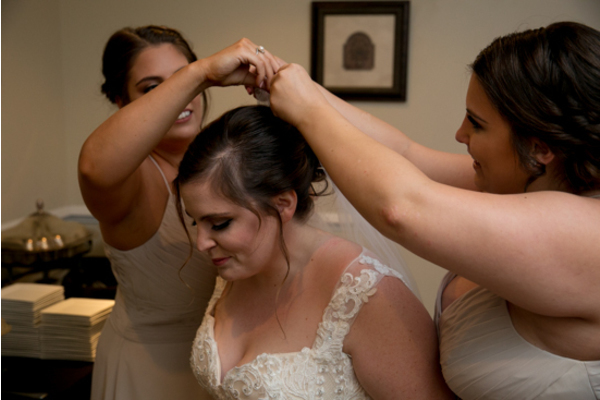 Her bridesmaids were incredibly emotional as they caught their first glimpse at Michelle in her dress! 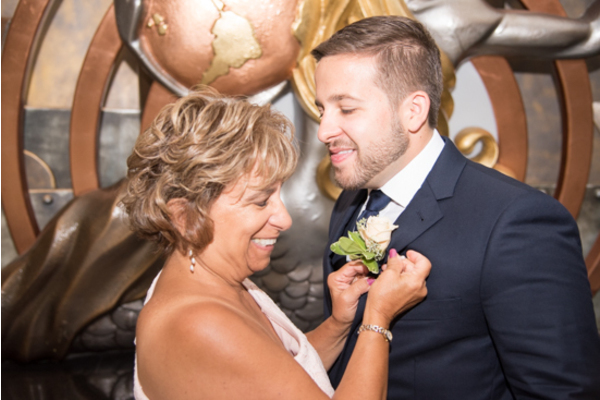 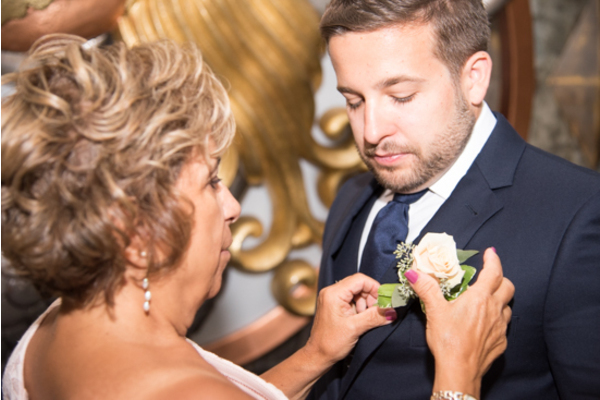 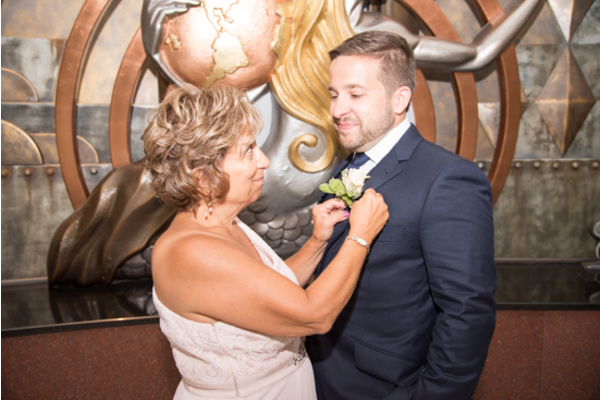 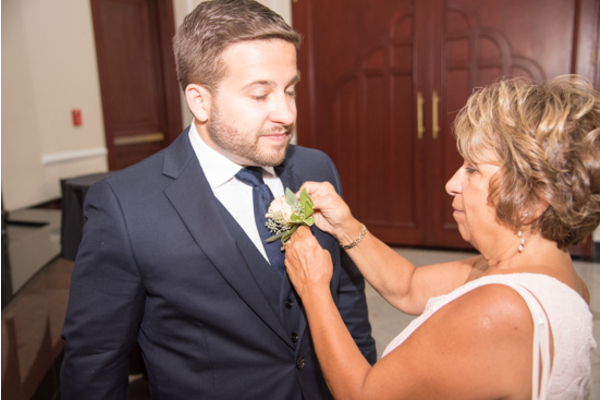 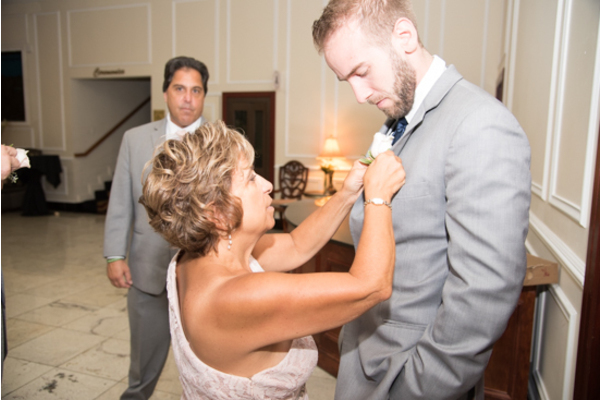 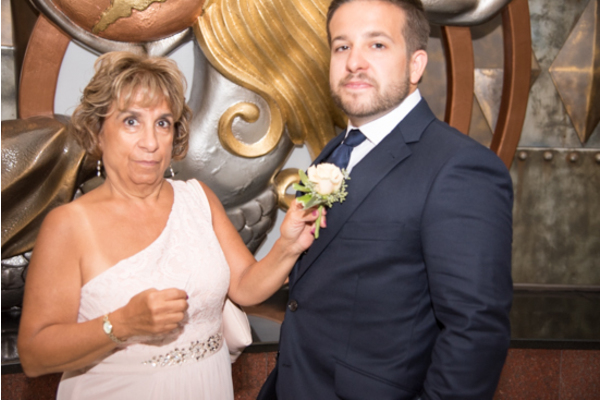 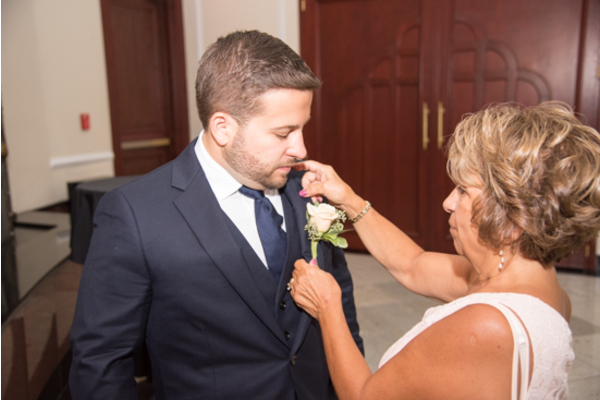 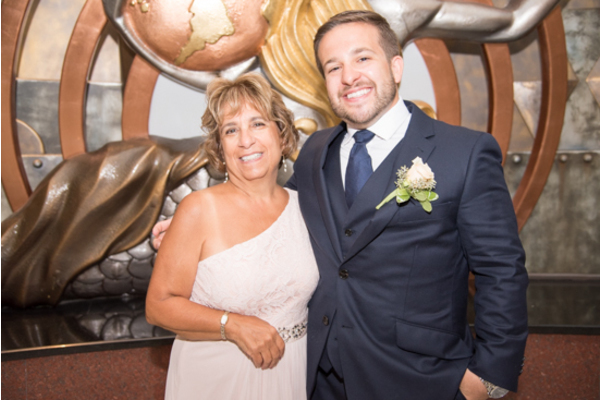 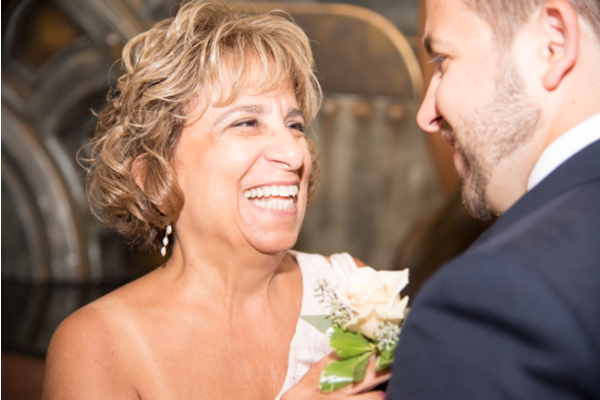 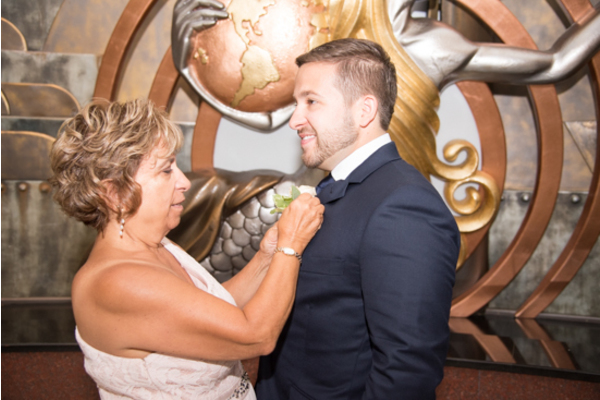 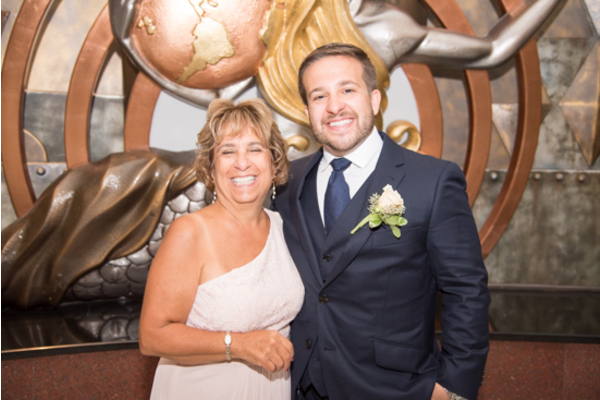 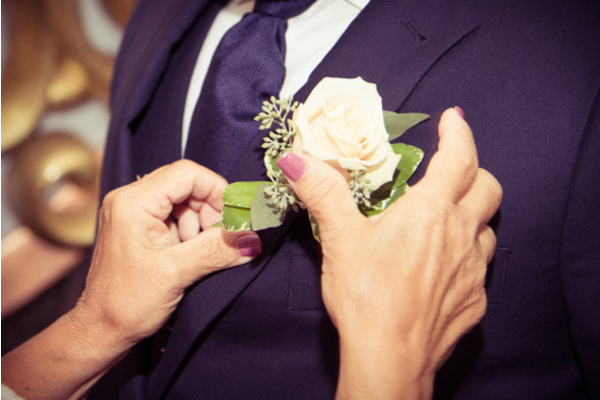 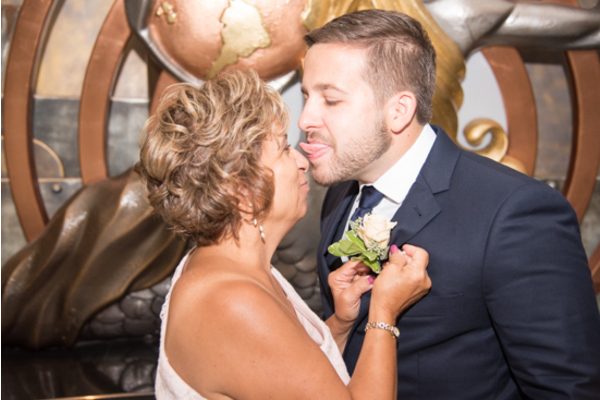 Meanwhile, Joe had help from his mother to pin his boutonniere. 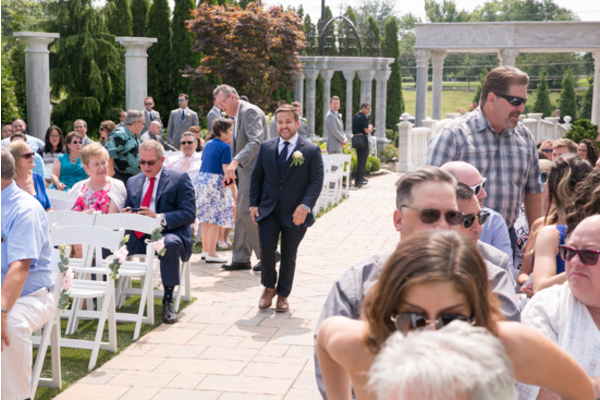 Soon, Michelle would be floating down the aisle into the arms of her fiancé! 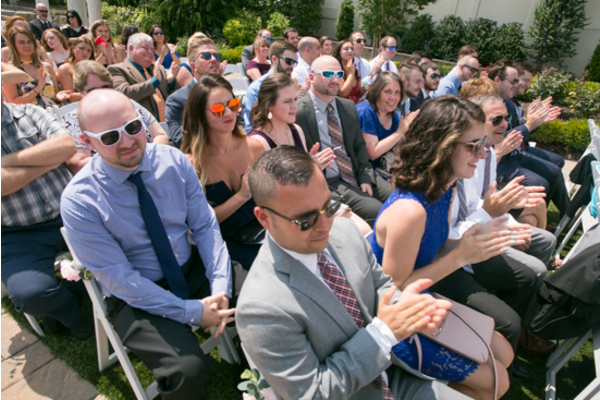 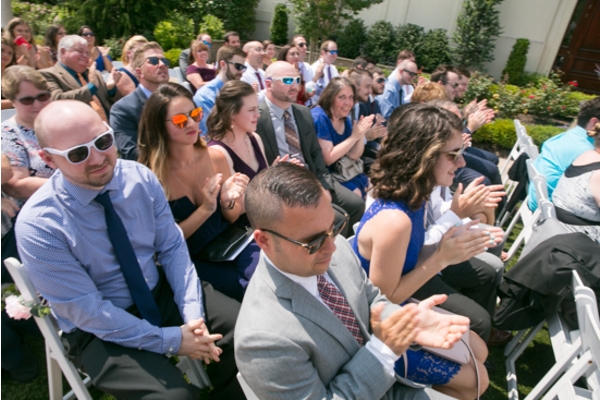 Meanwhile, wedding guests gathered to watch Joe take Michelle as his beautiful new wife. 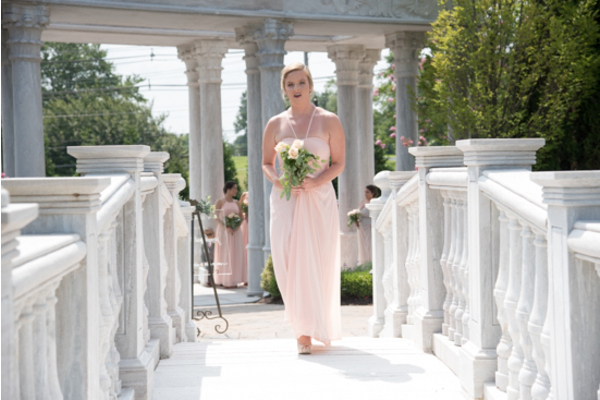 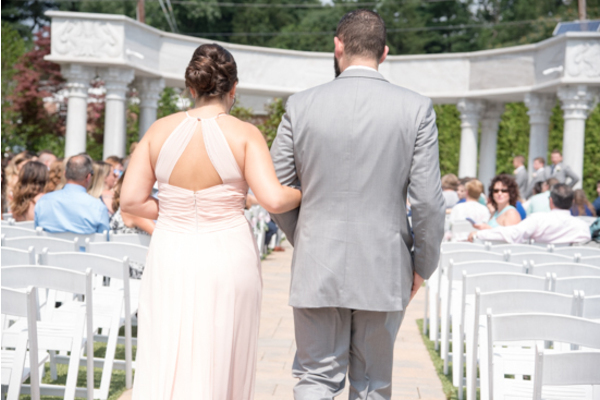 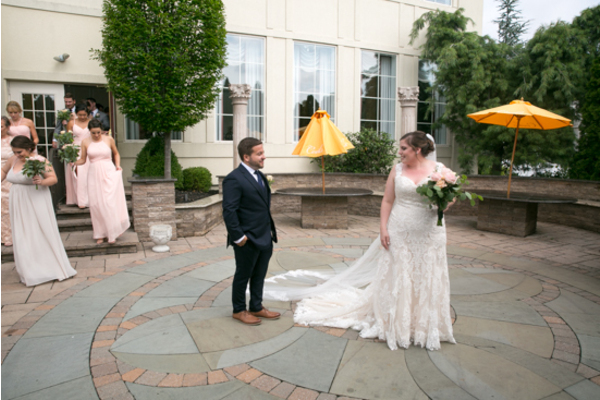 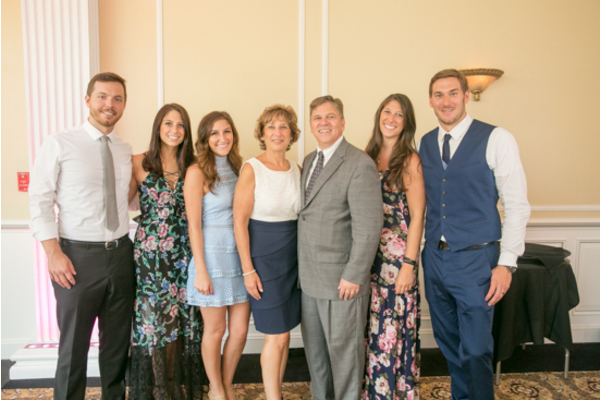 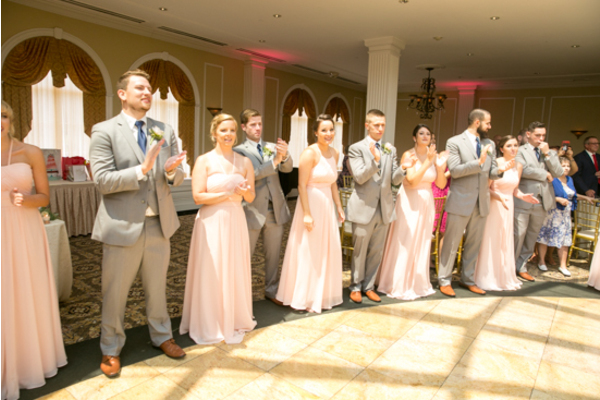 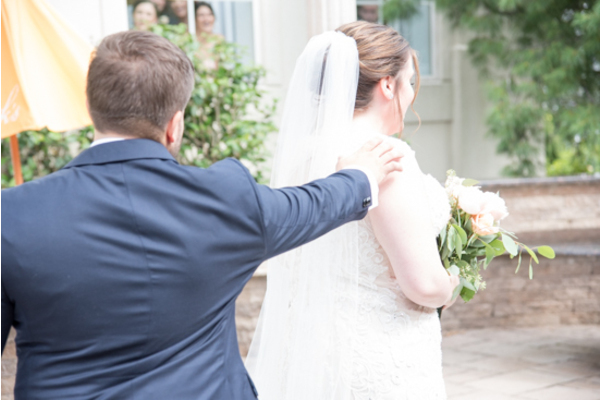 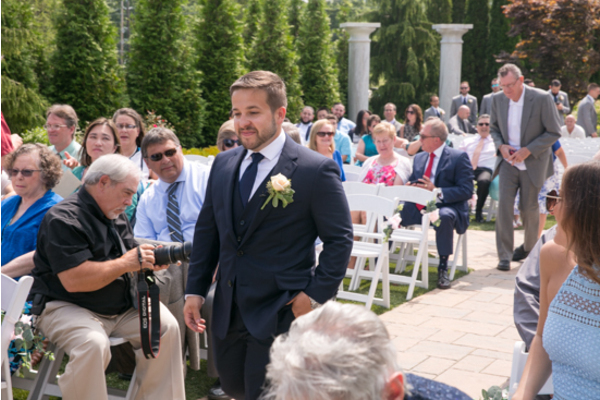 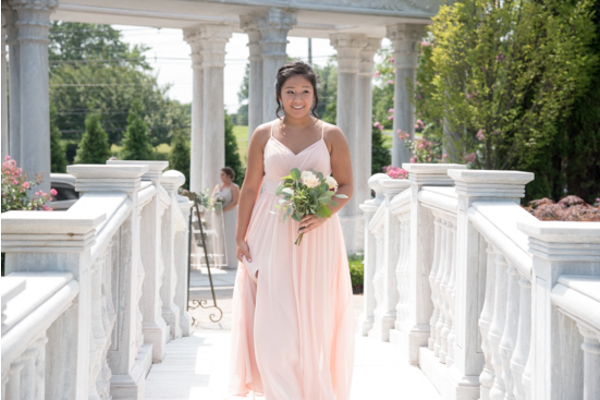 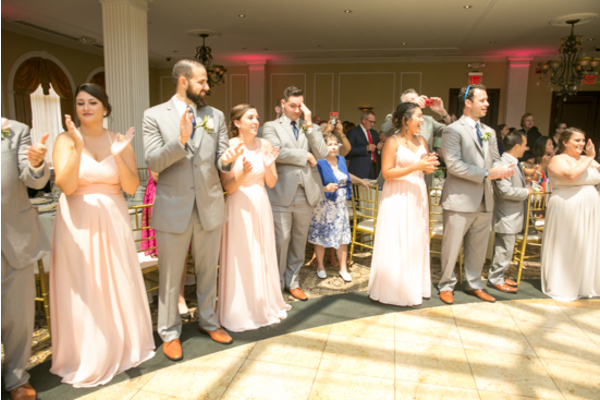 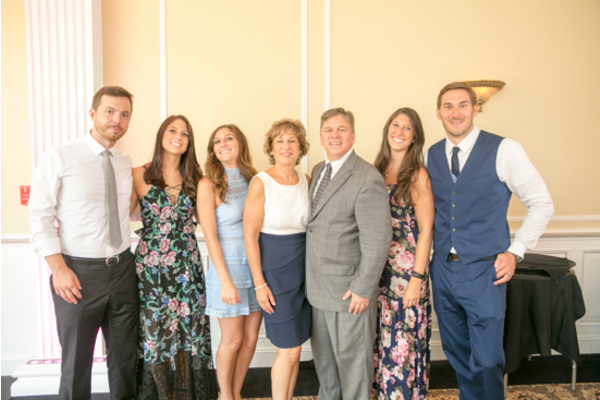 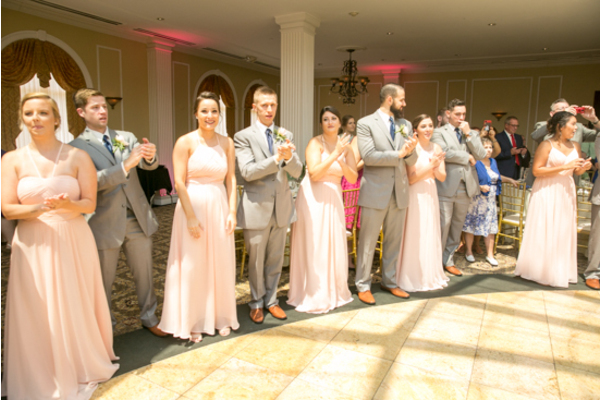 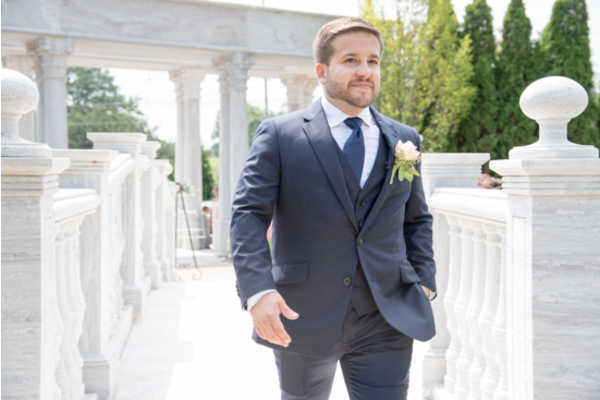 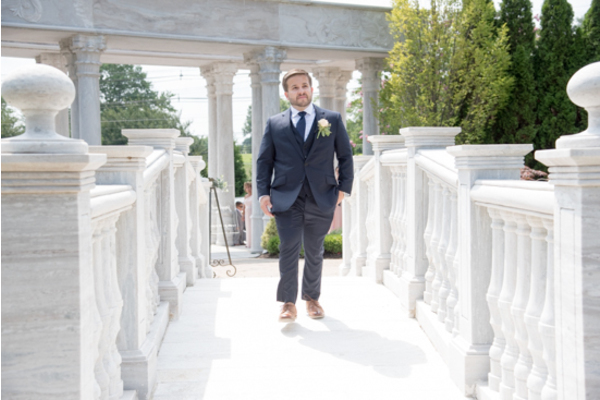 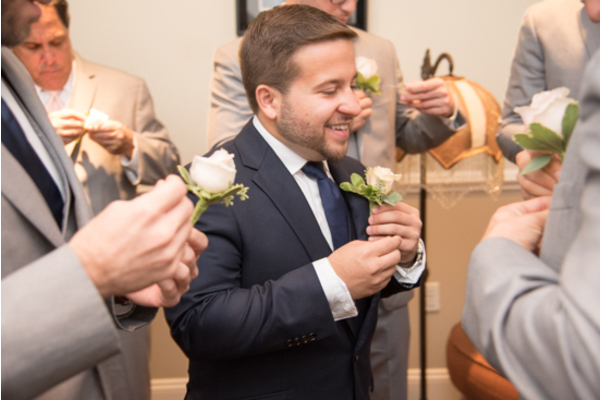 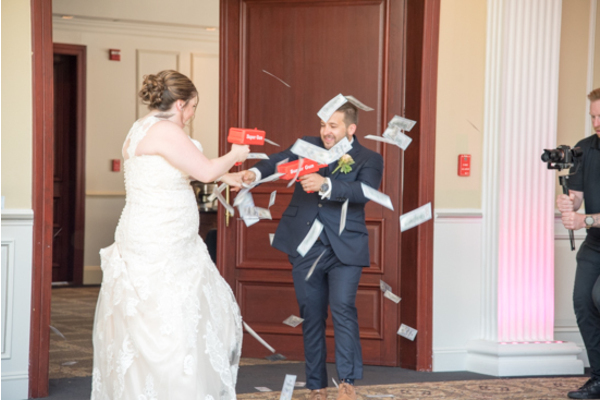 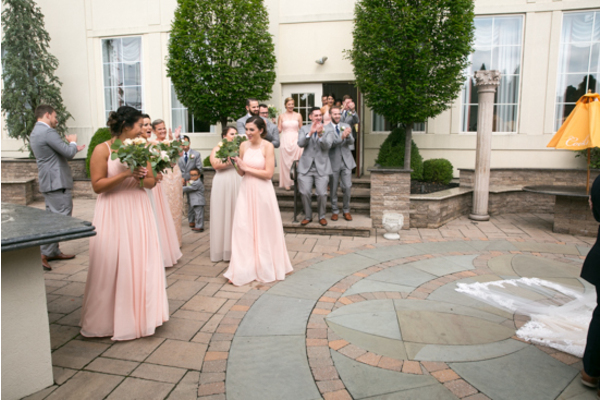 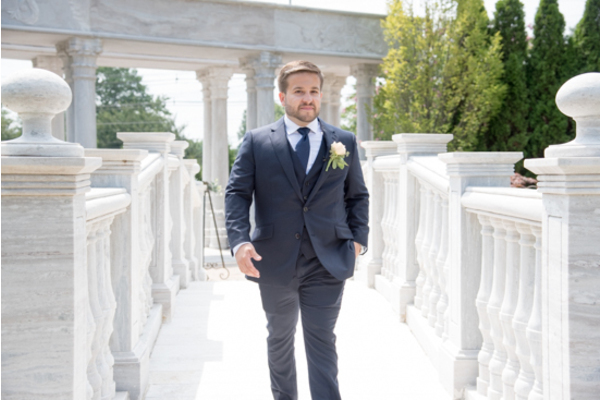 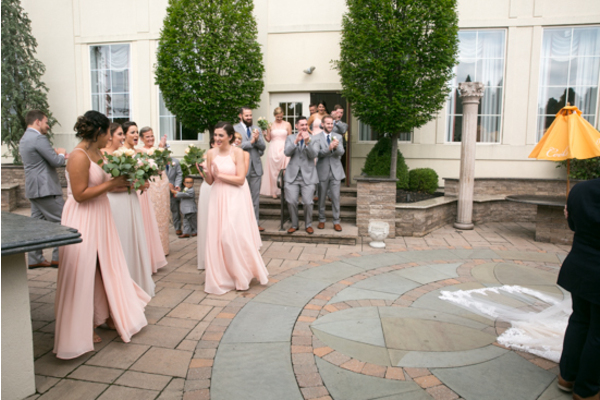 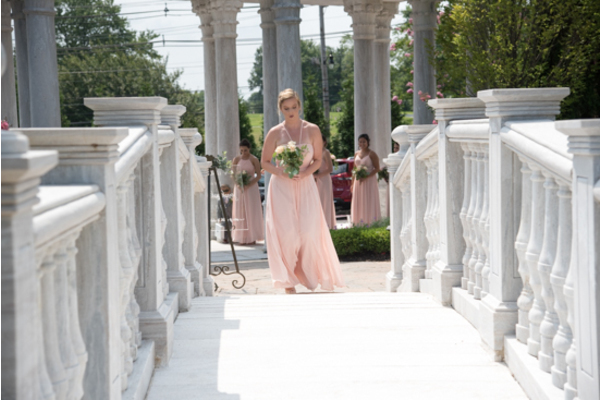 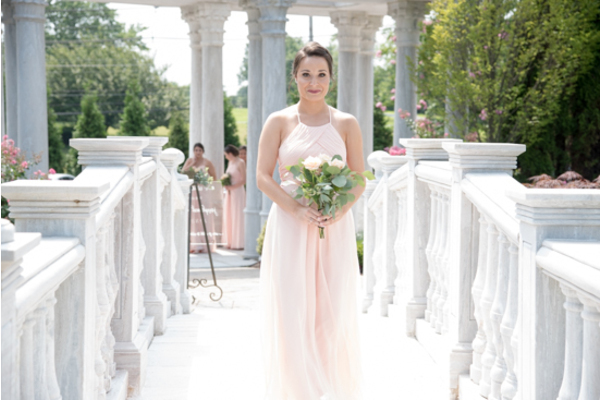 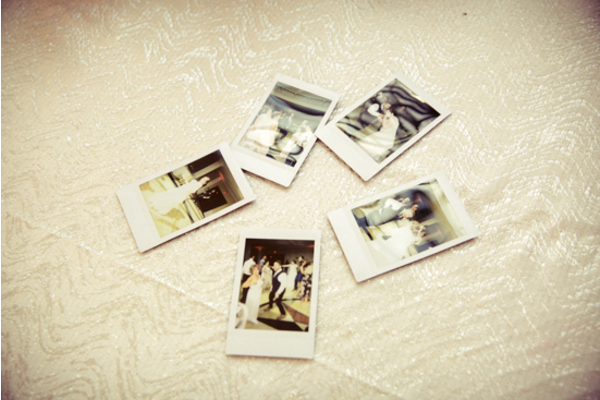 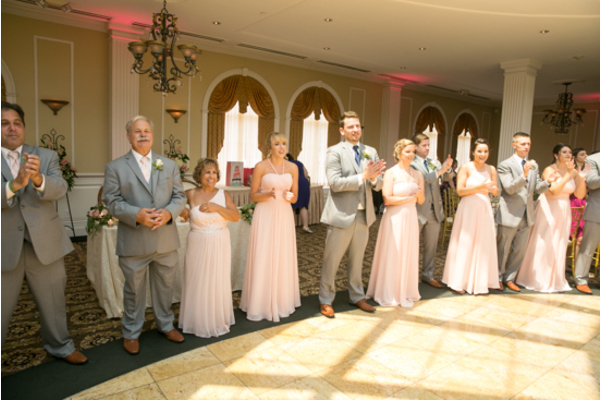 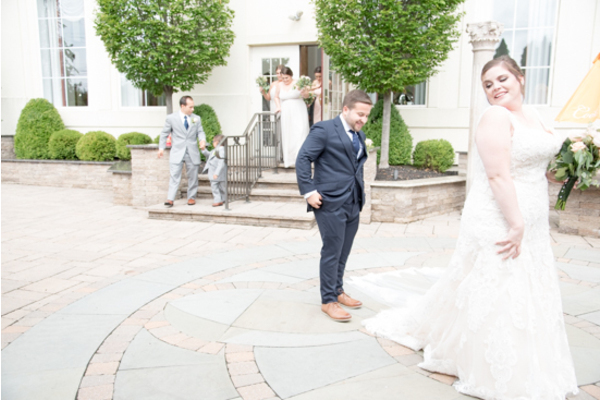 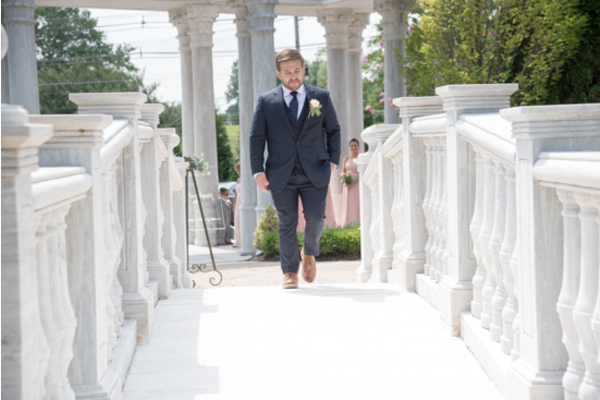 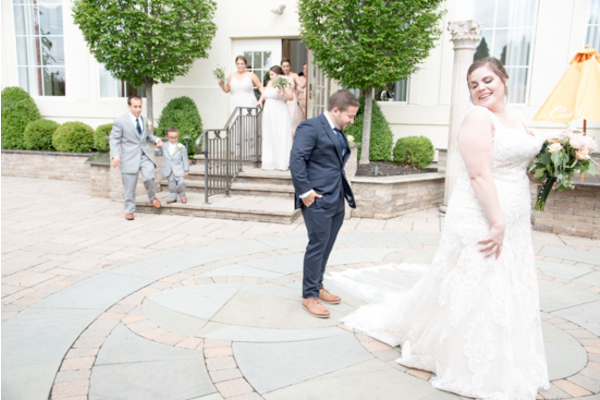 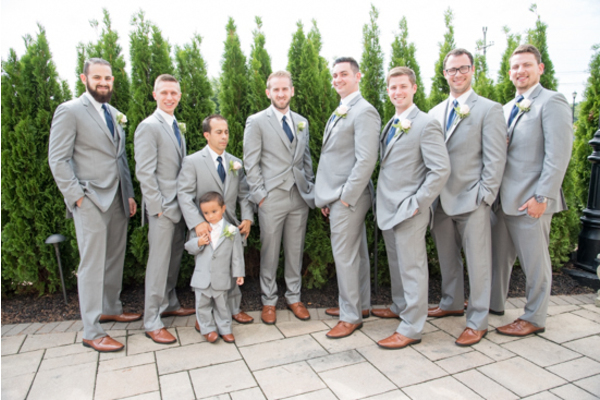 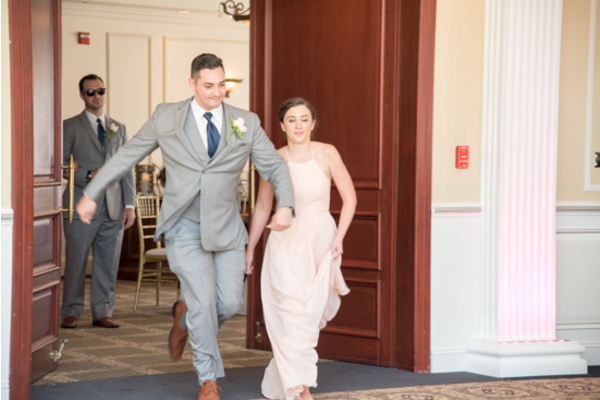 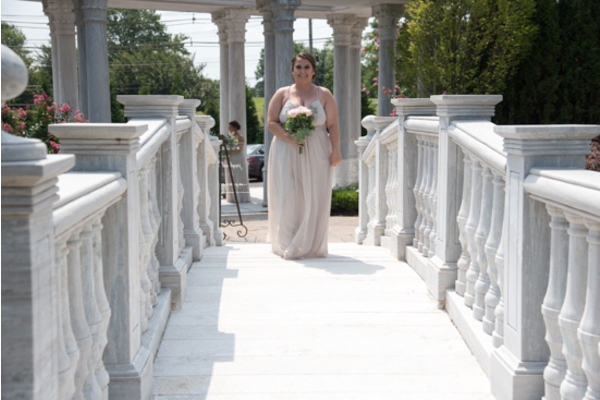 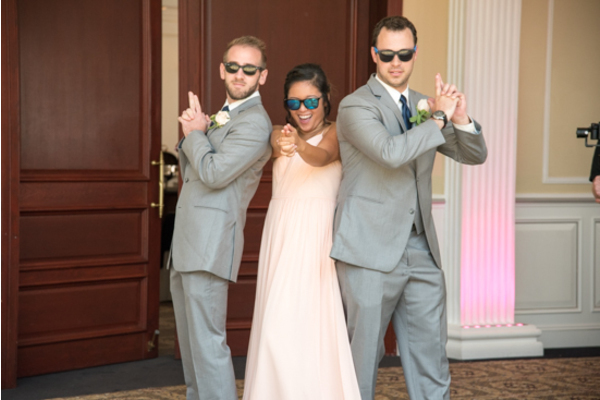 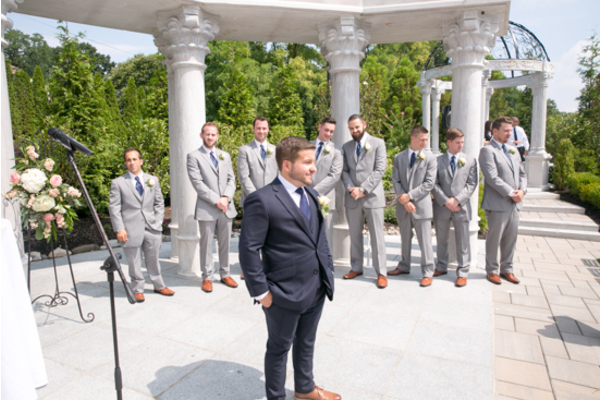 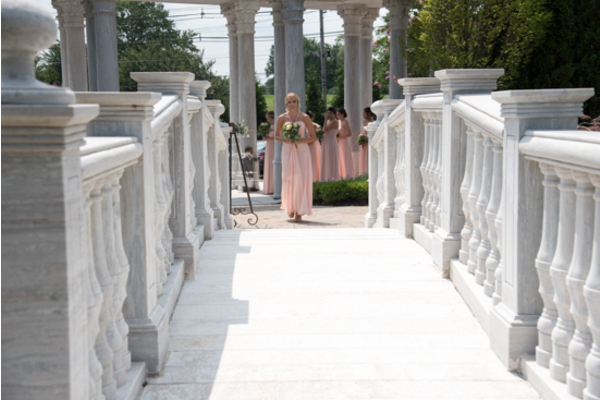 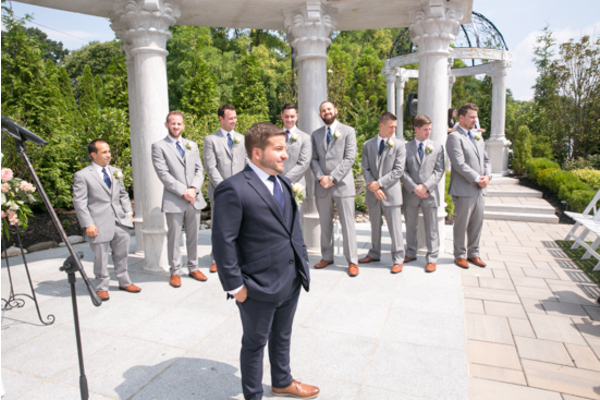 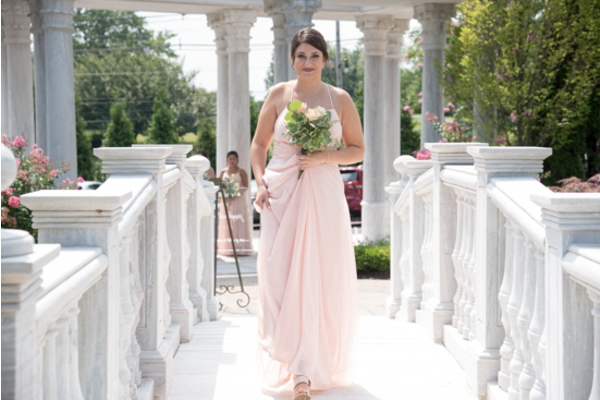 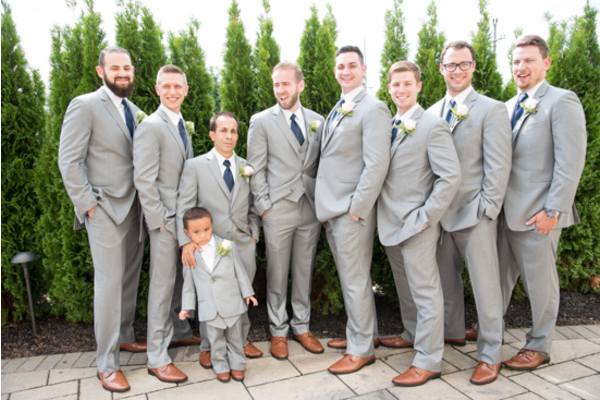 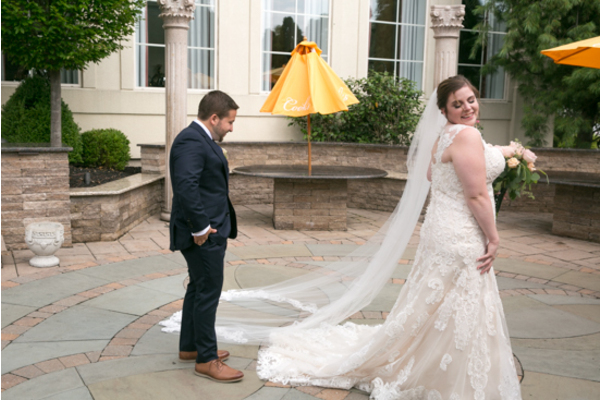 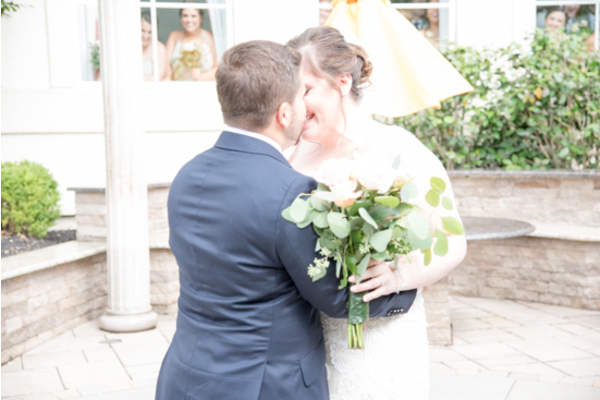 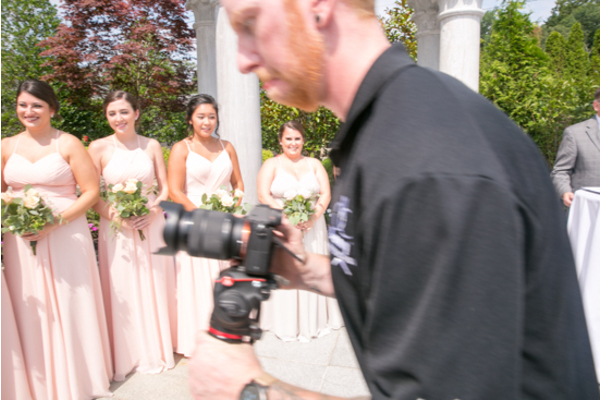 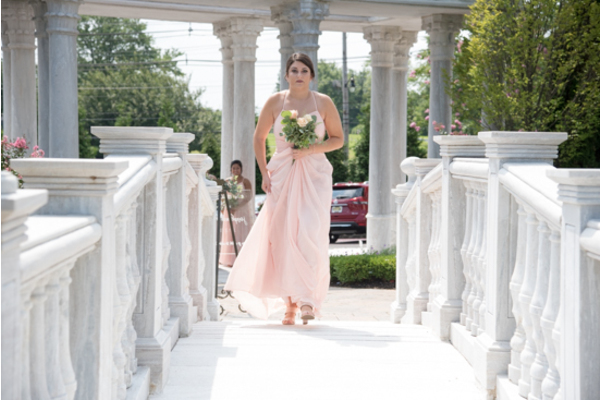 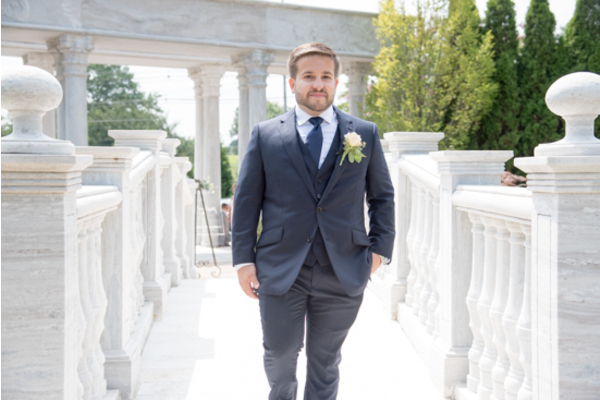 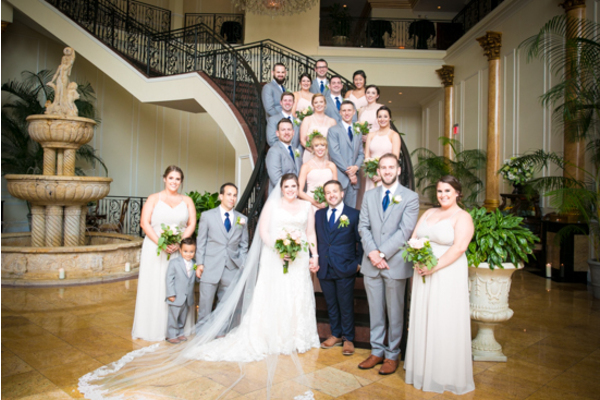 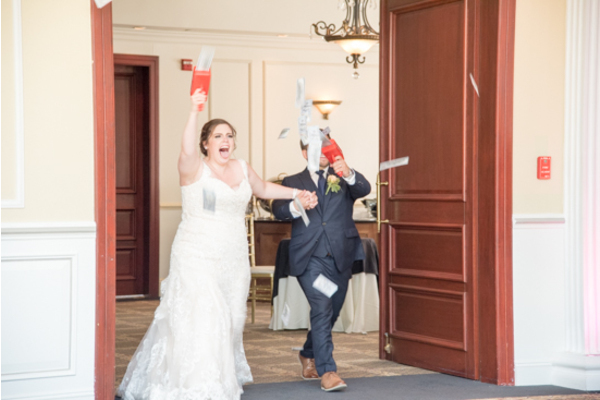 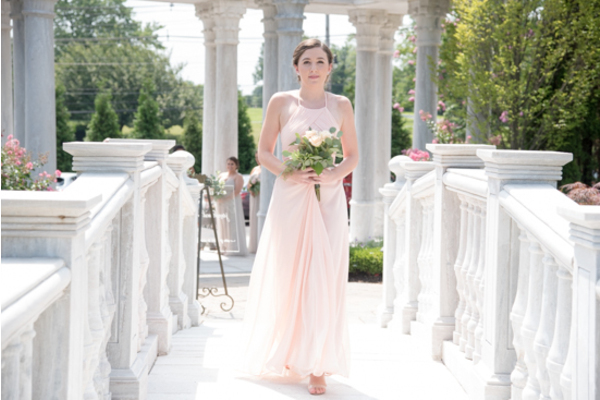 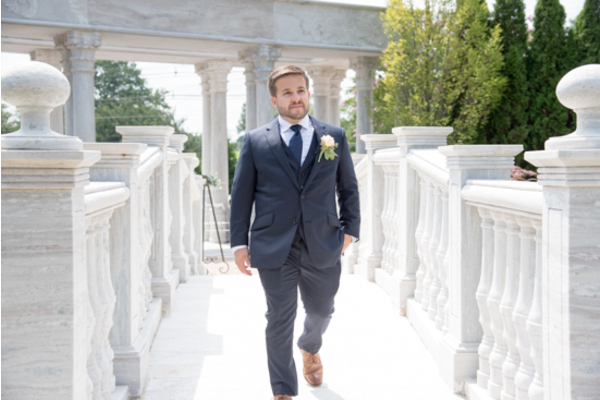 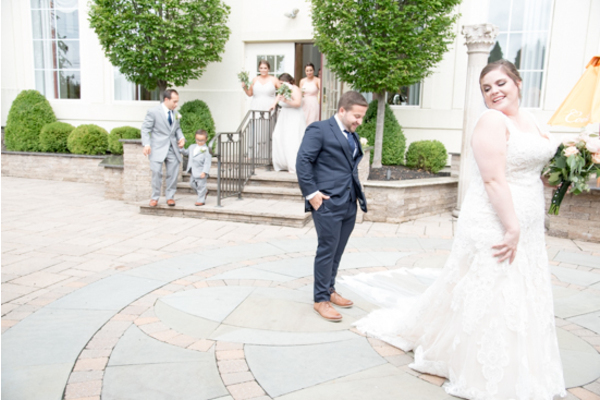 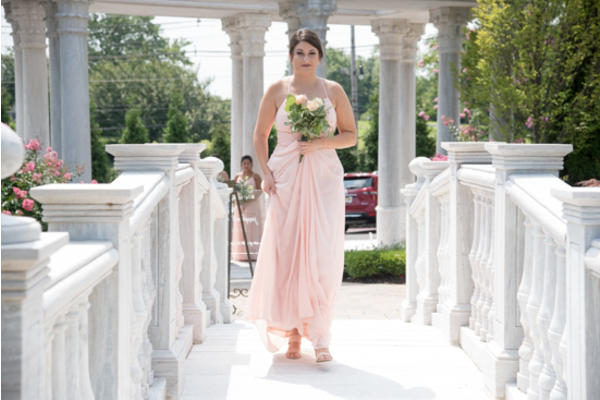 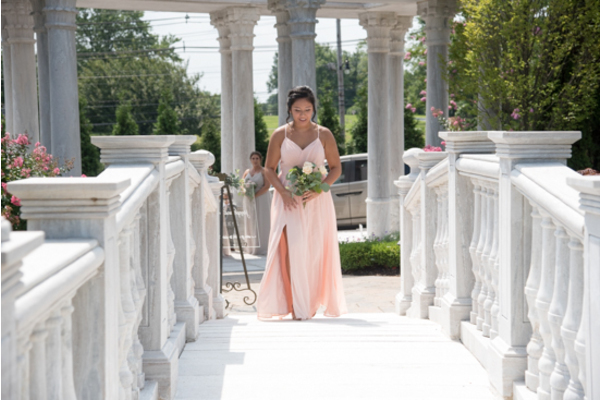 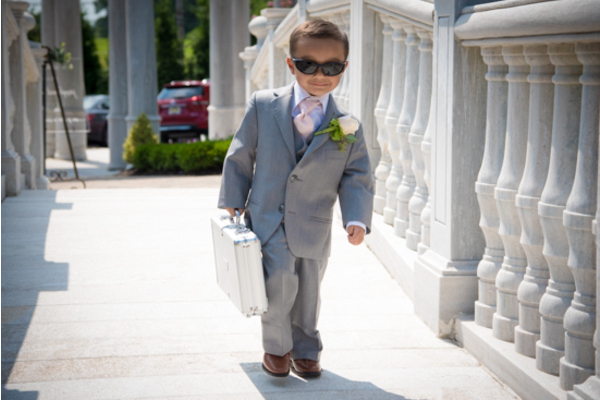 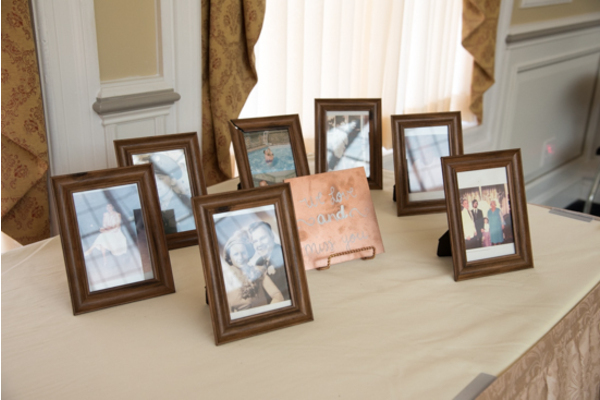 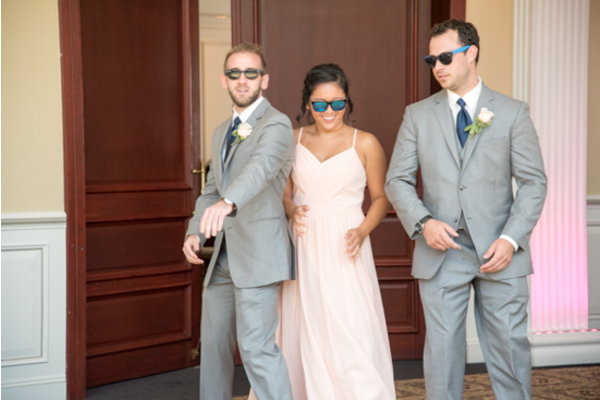 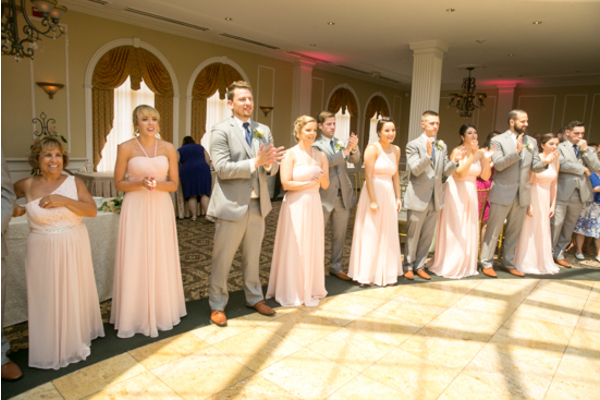 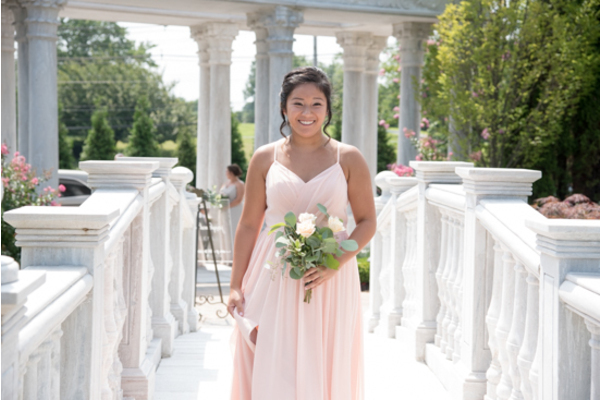 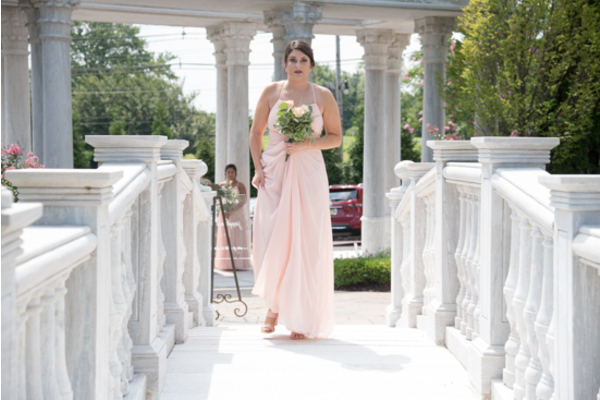 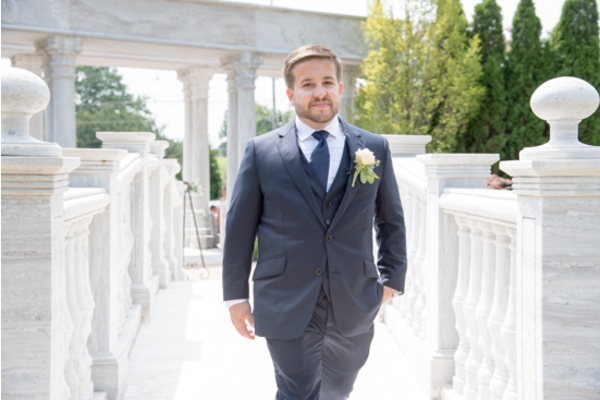 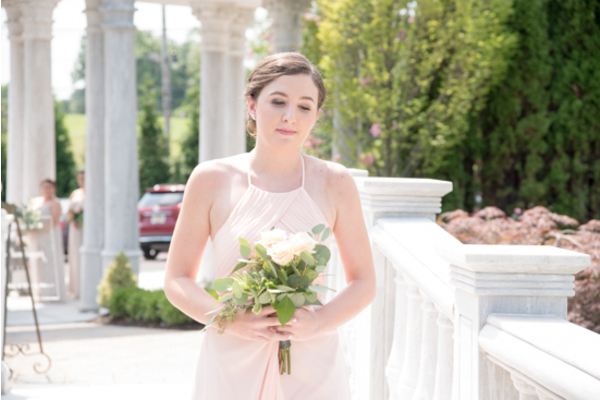 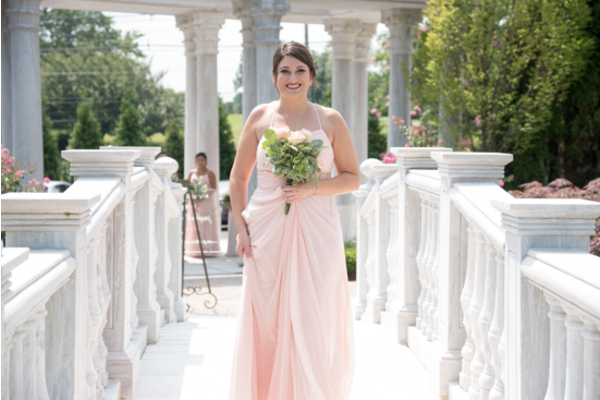 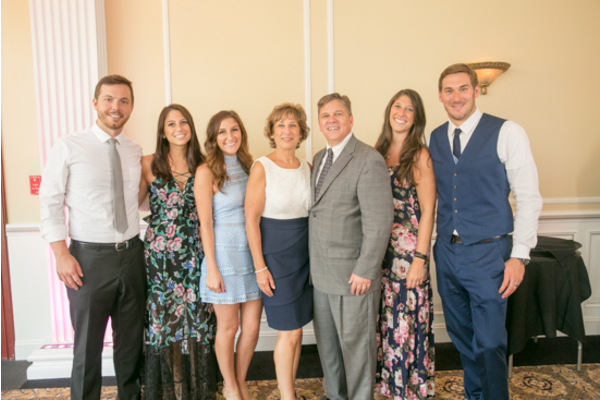 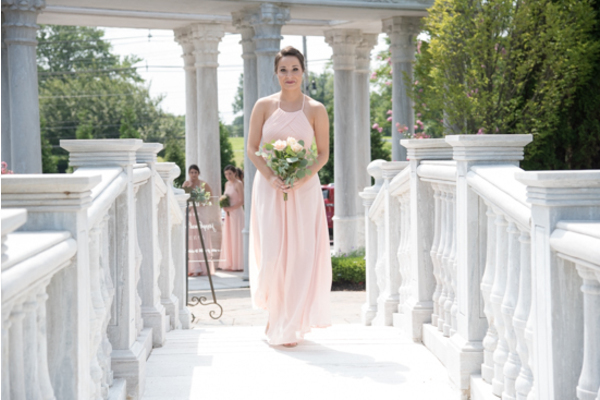 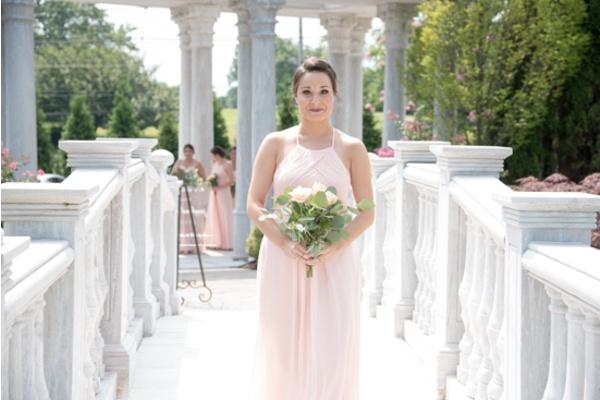 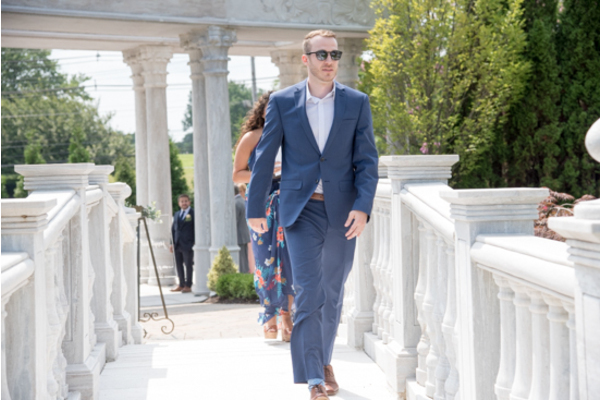 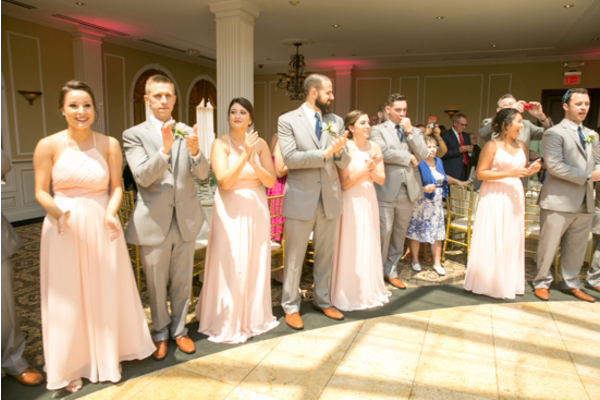 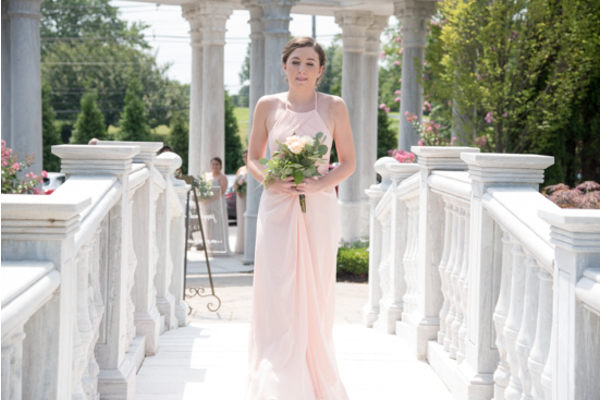 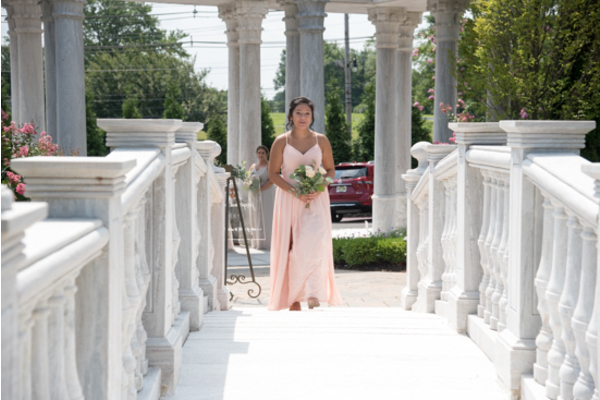 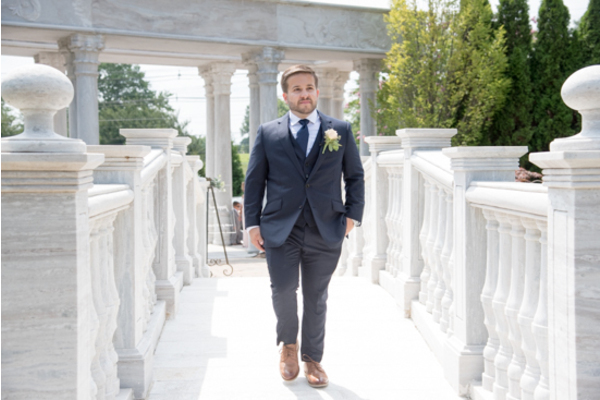 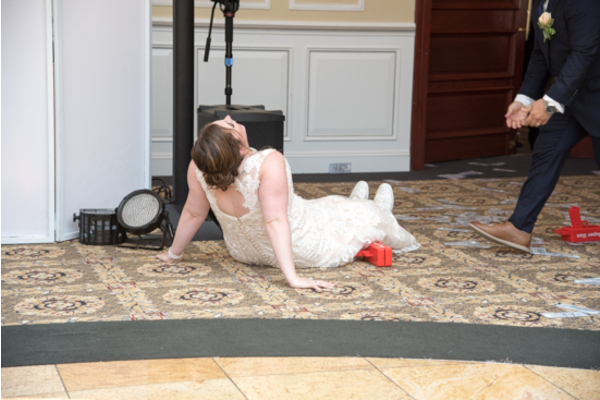 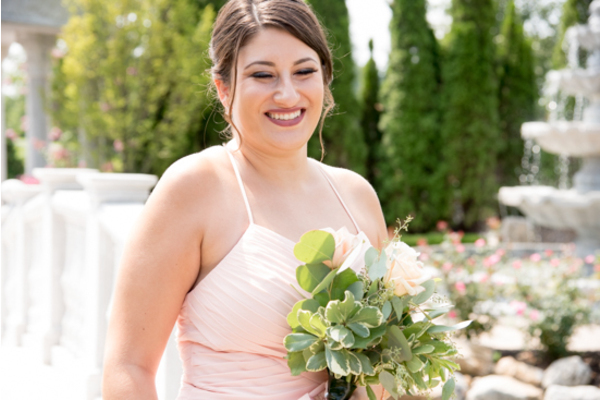 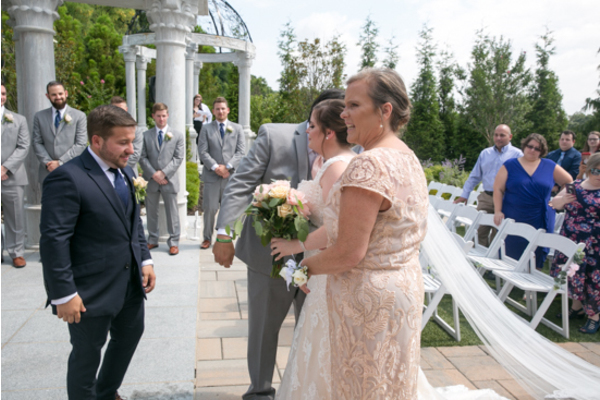 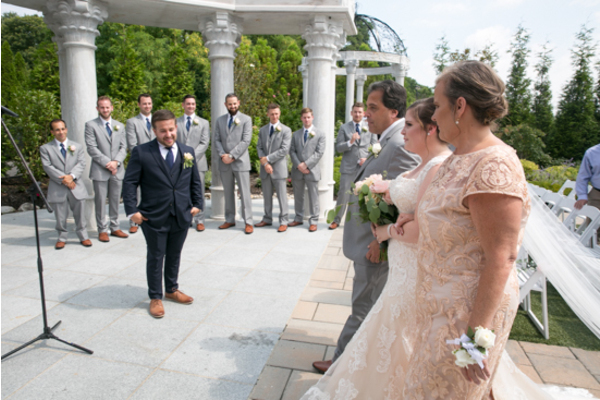 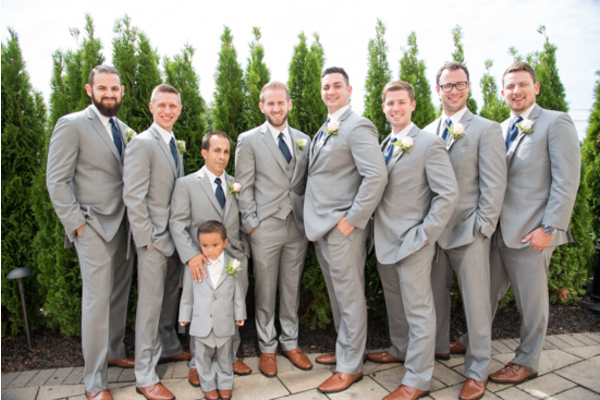 Our NJ Wedding Photographer creatively photographed the bridal party and couple before the ceremony. 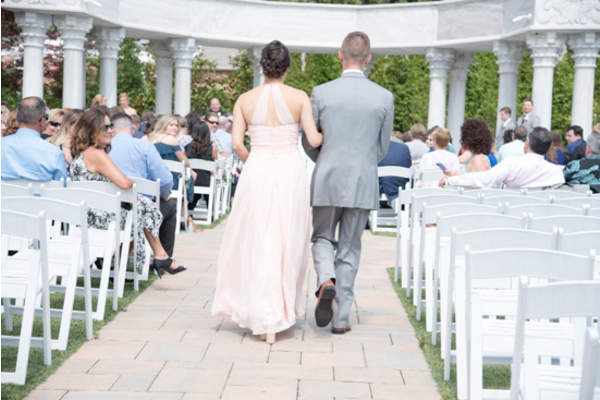 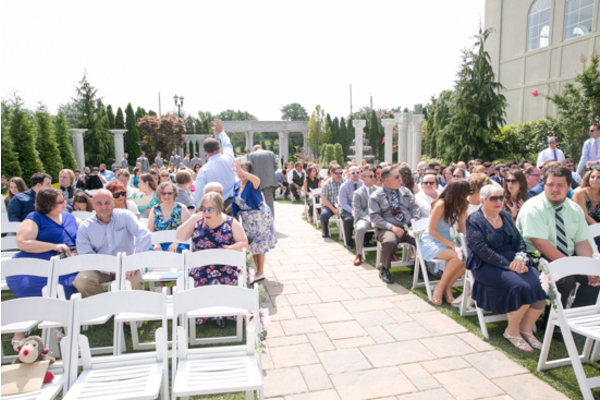 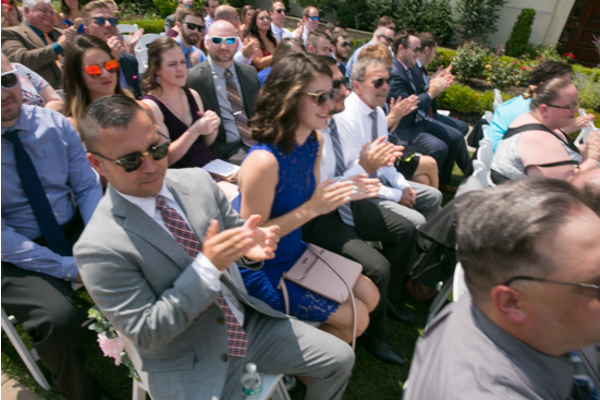 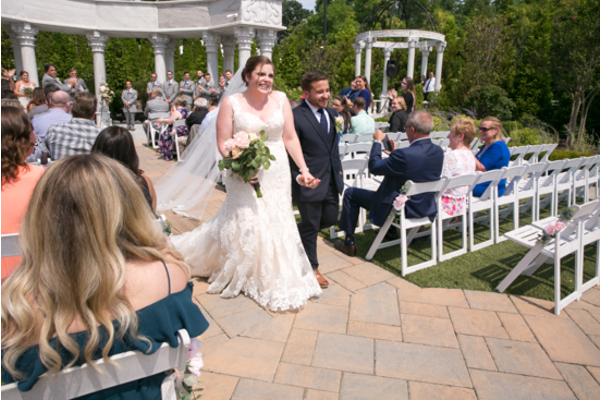 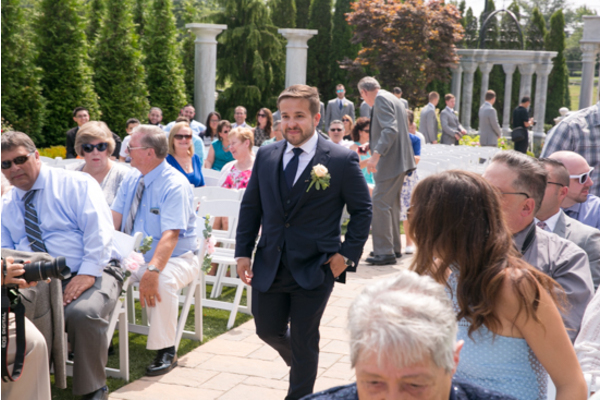 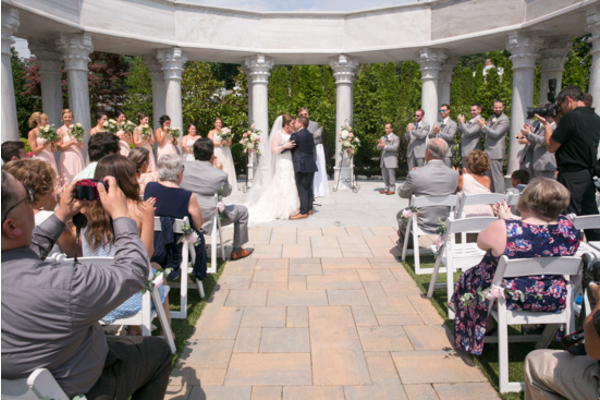 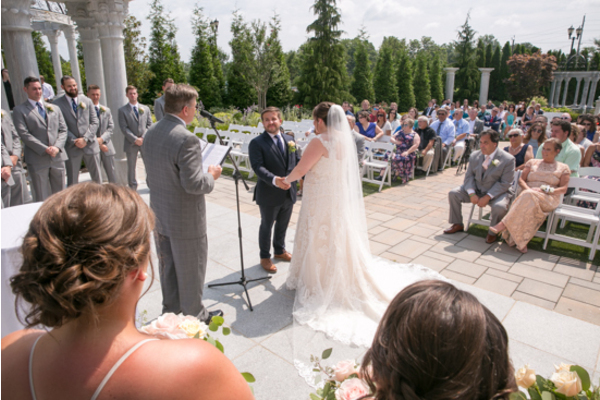 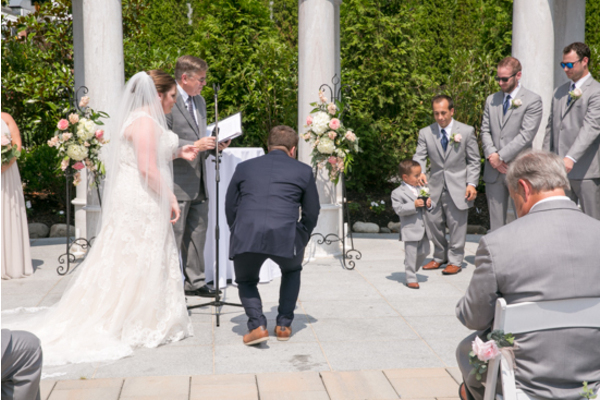 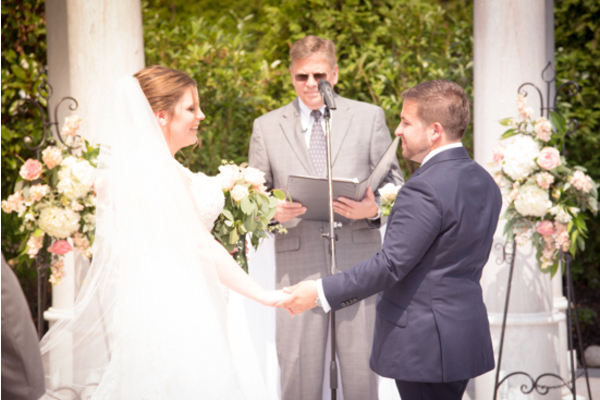 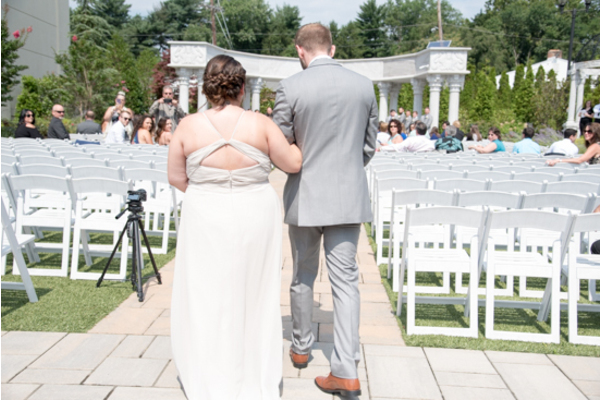 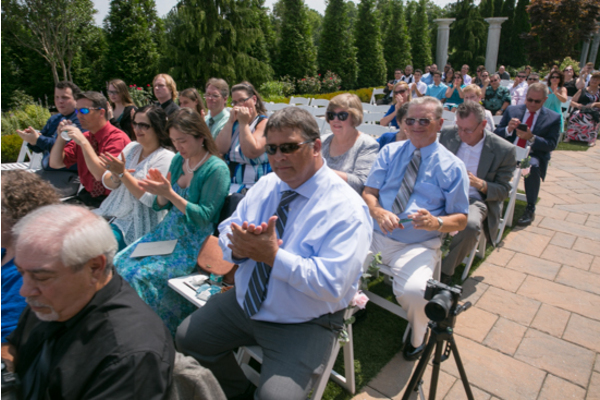 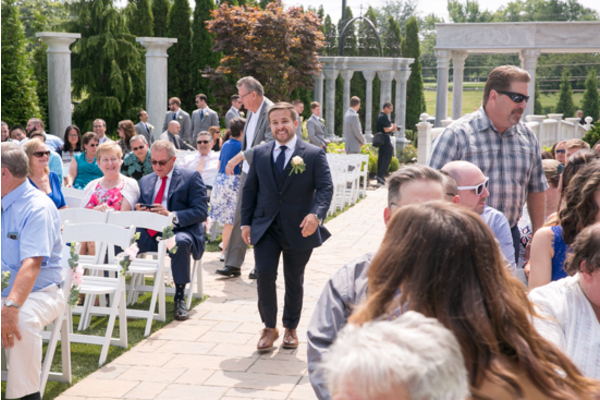 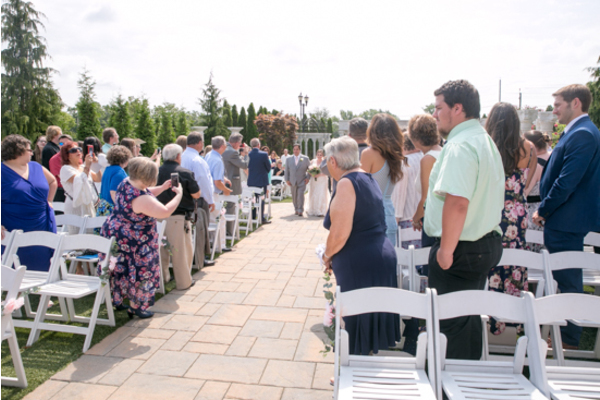 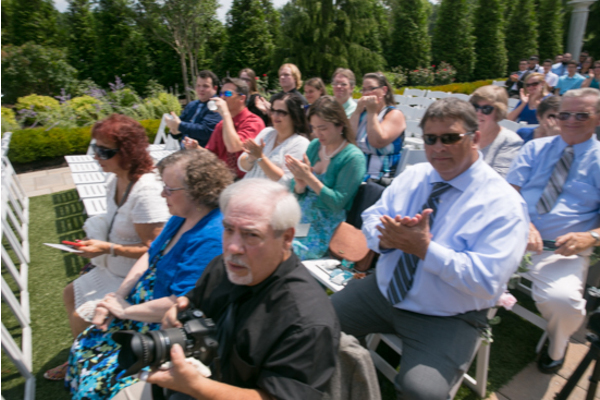 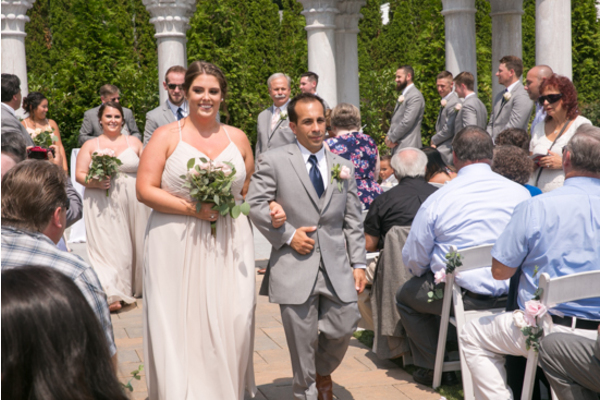 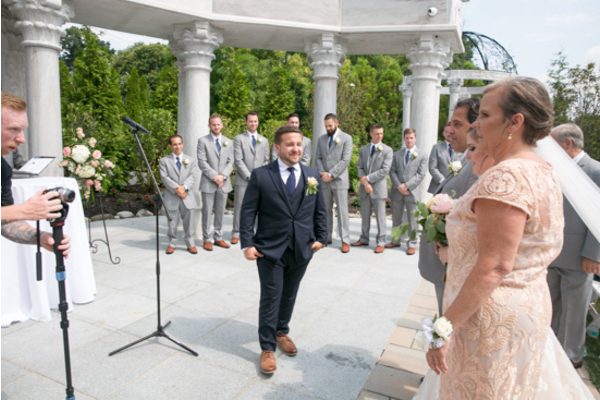 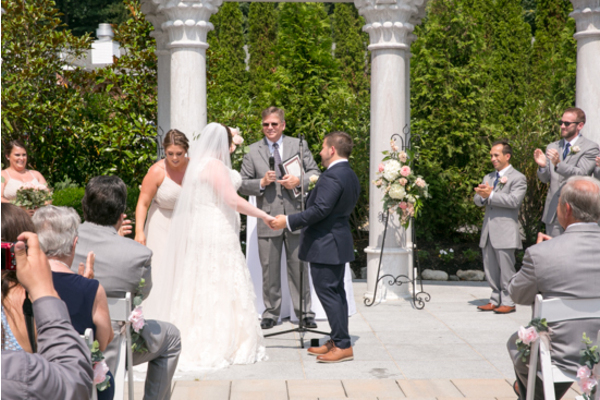 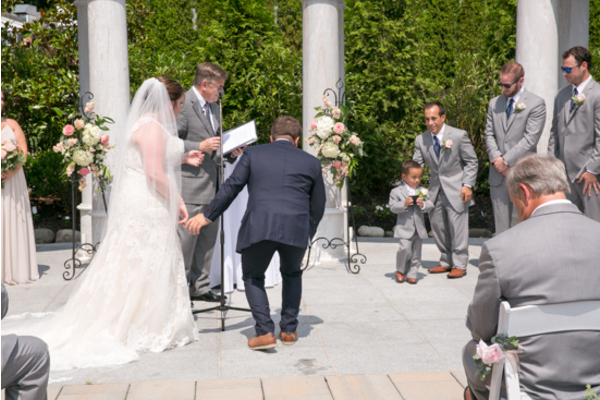 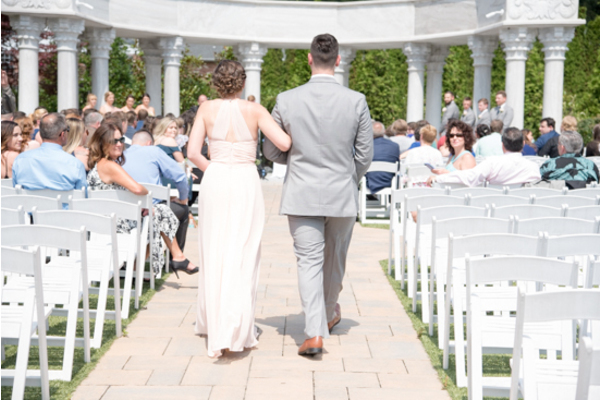 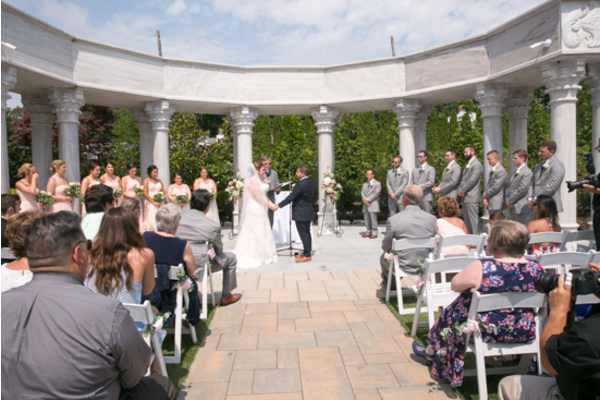 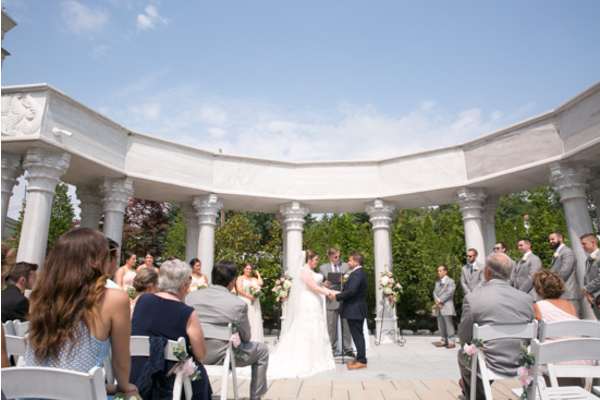 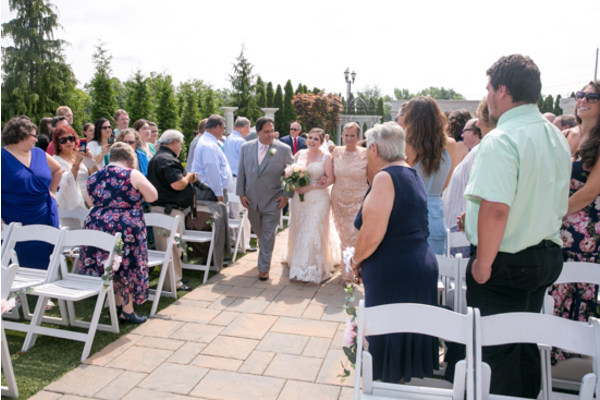 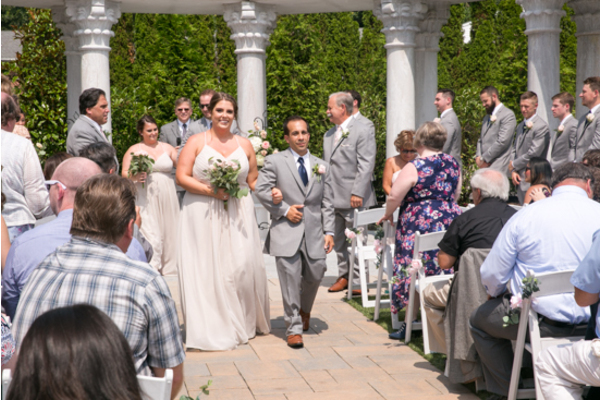 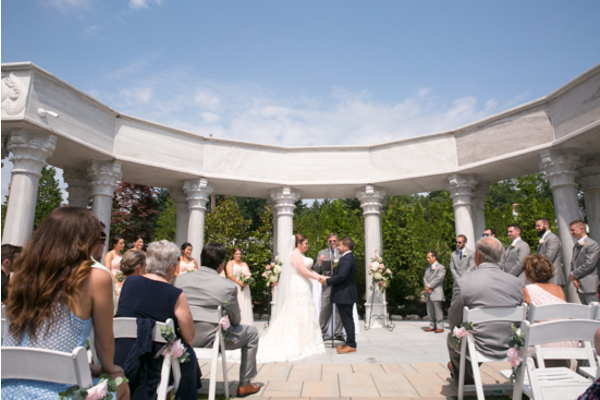 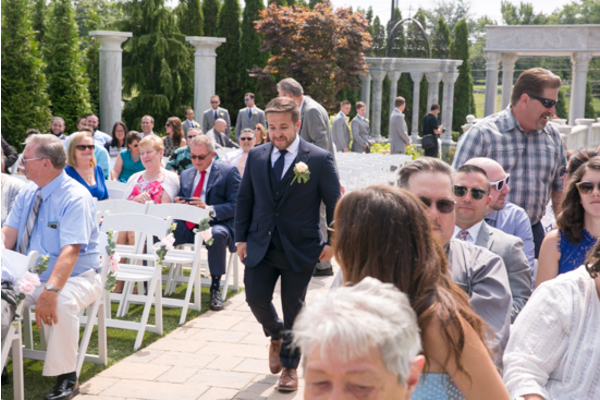 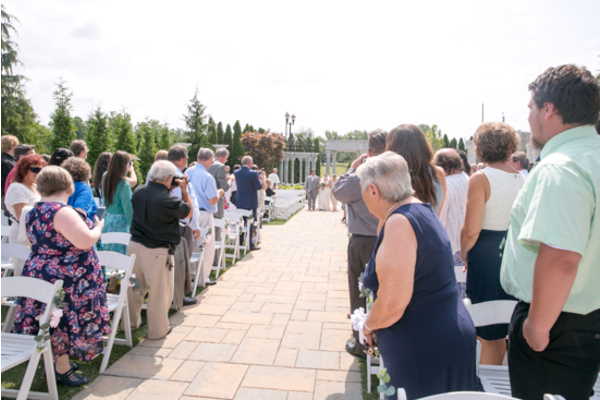 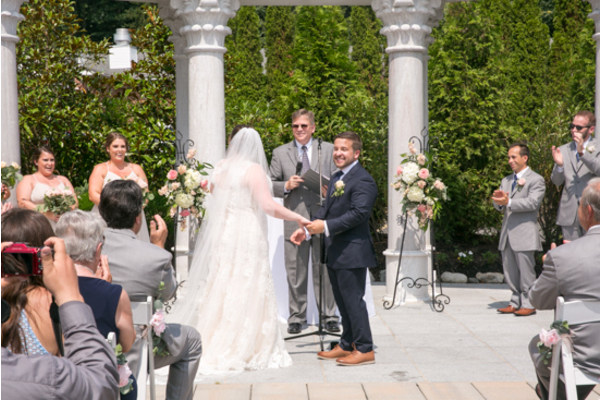 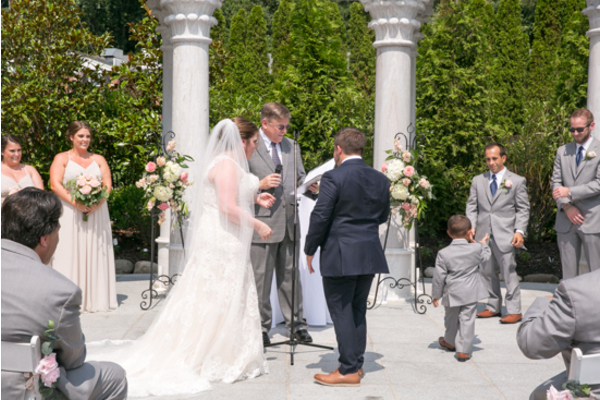 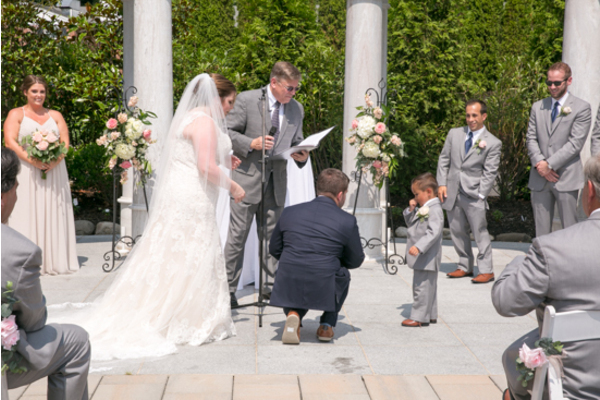 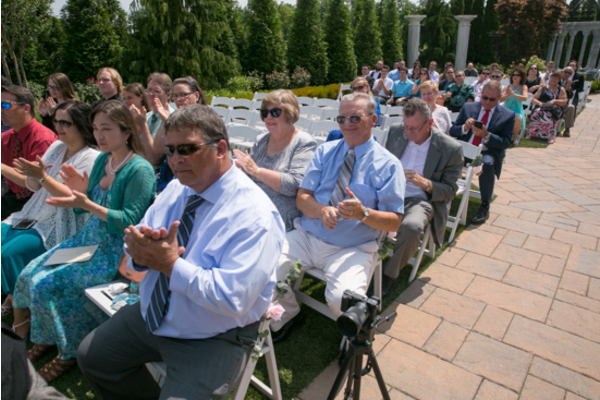 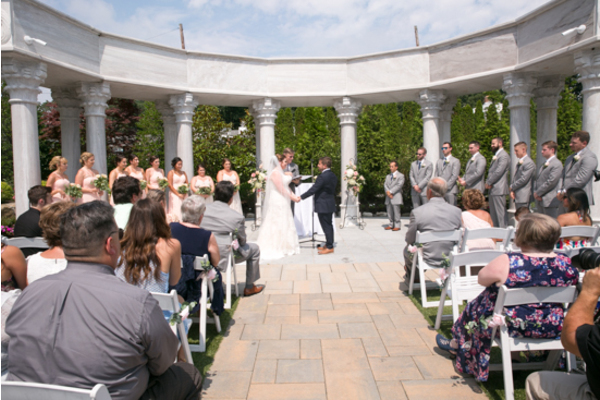 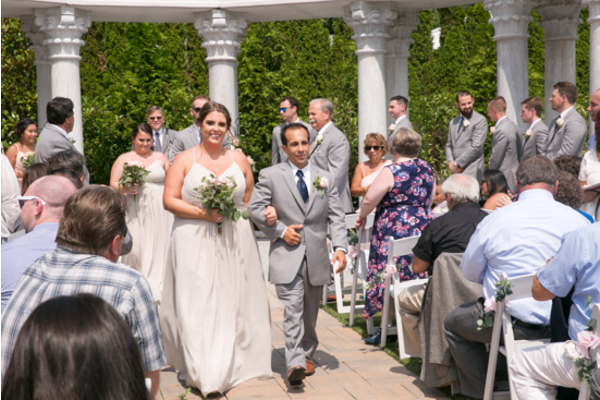 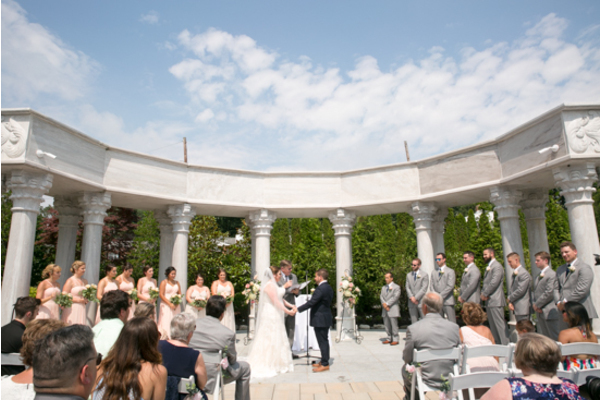 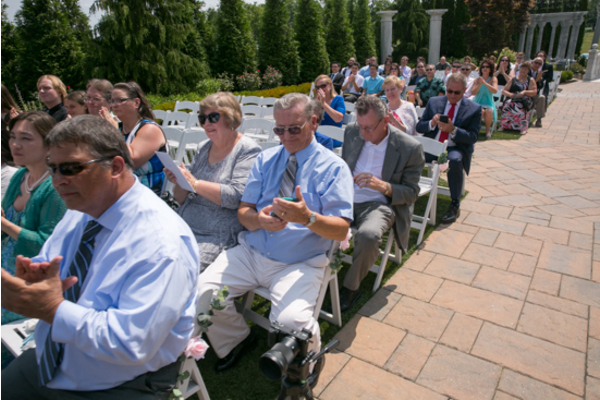 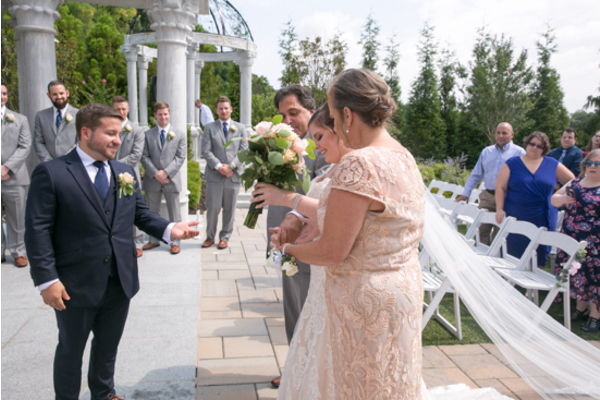 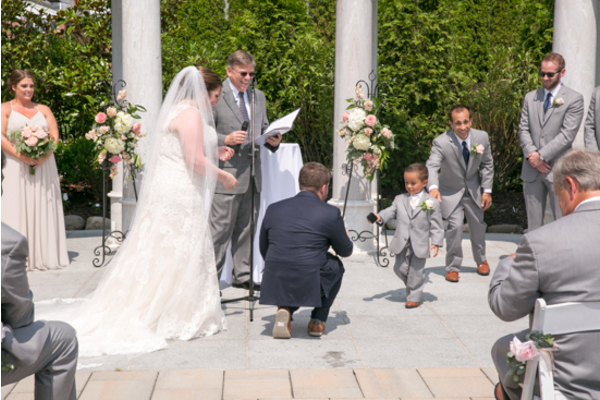 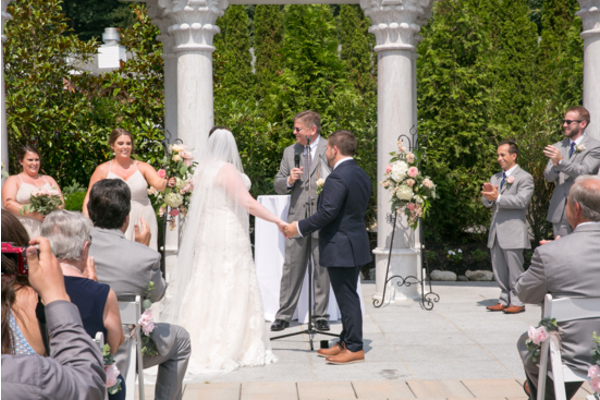 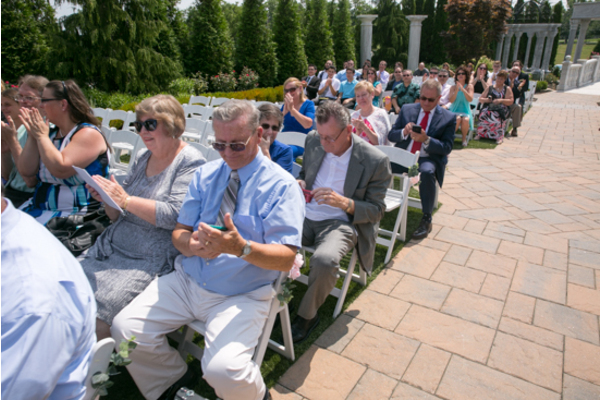 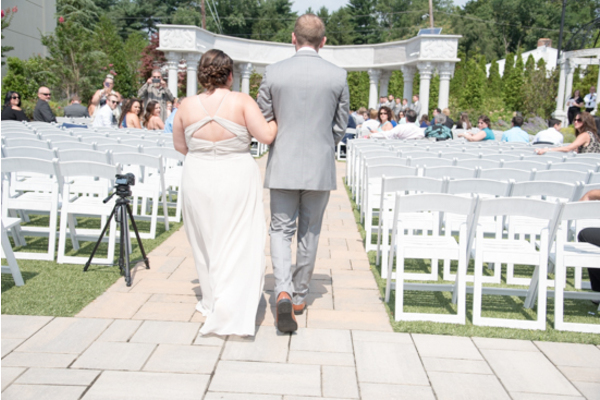 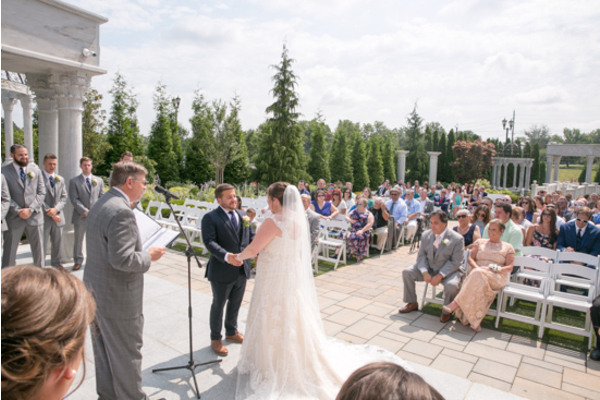 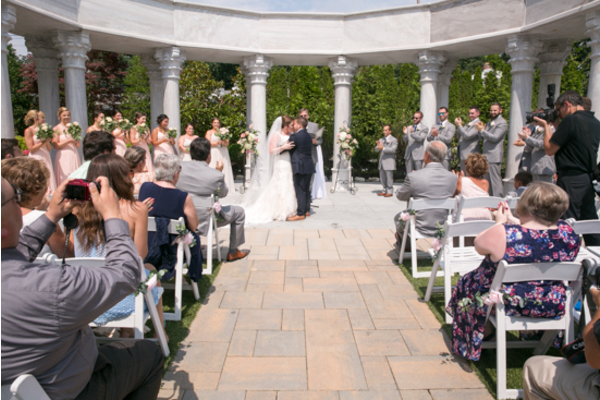 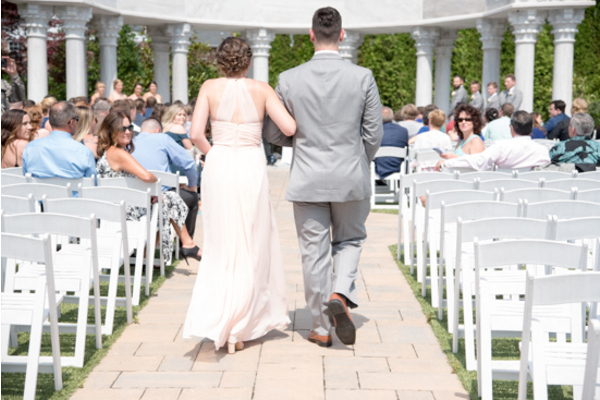 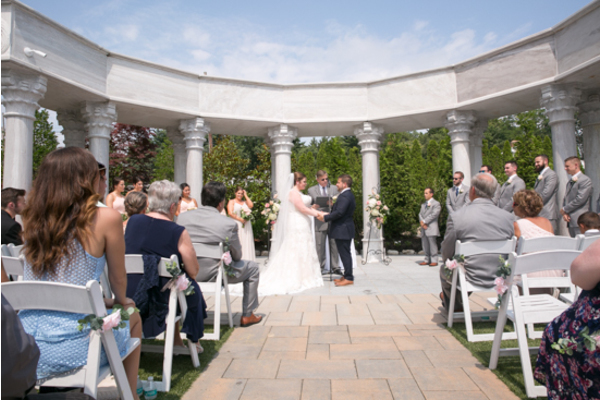 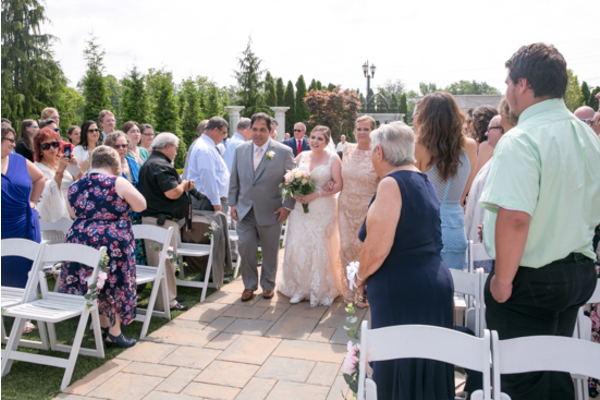 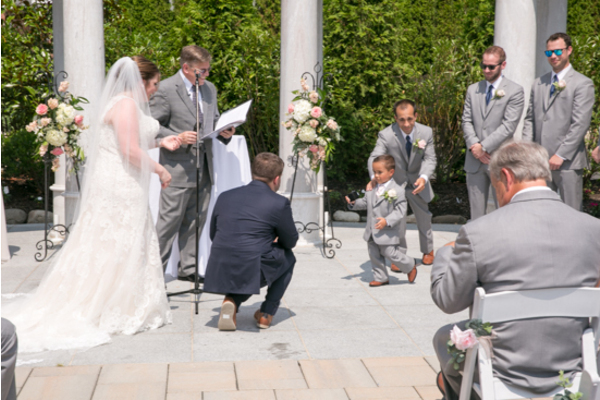 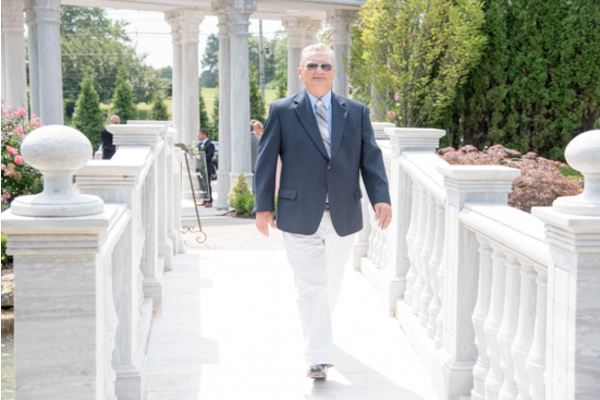 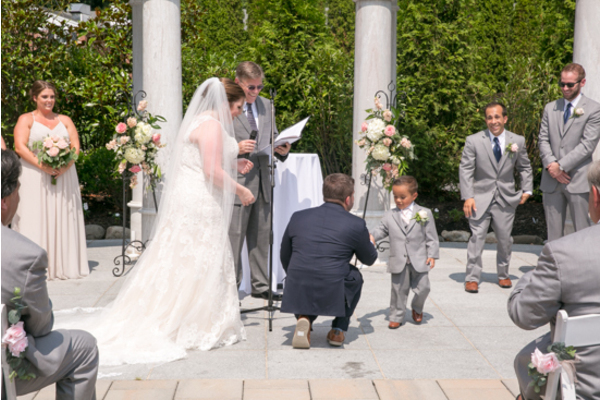 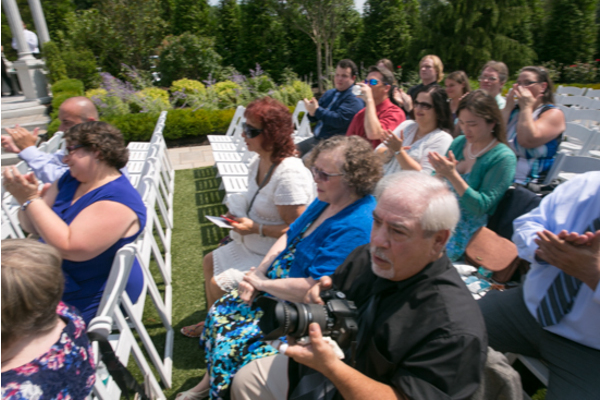 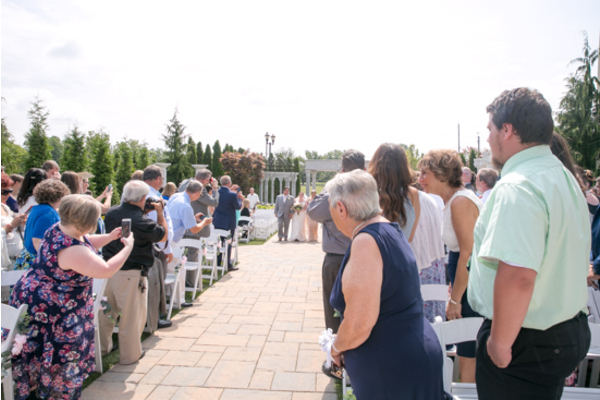 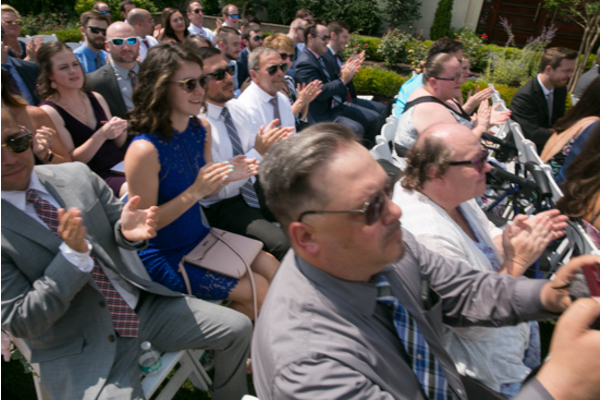 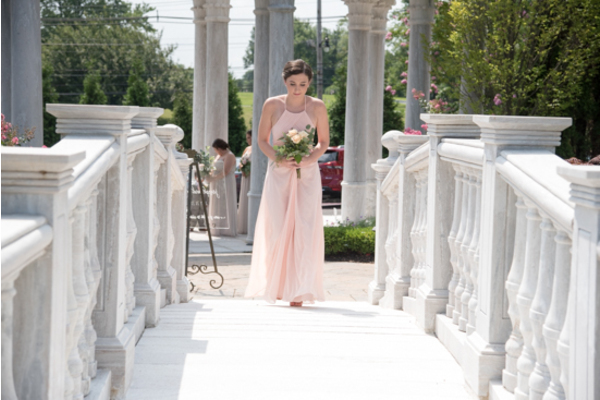 The ceremony took place outdoors under the blue sky and sunshine. 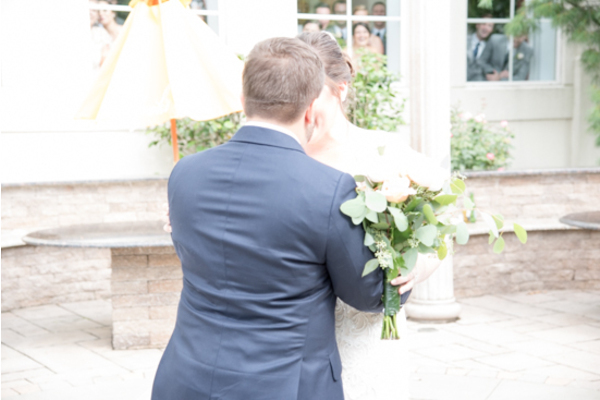 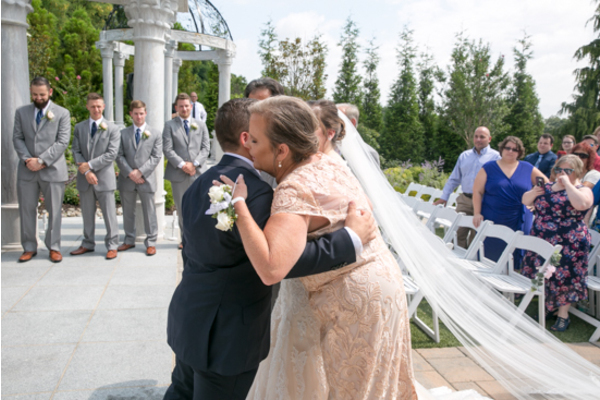 Joe leaned in to kiss his bride and the couple was off to celebrate the night away. 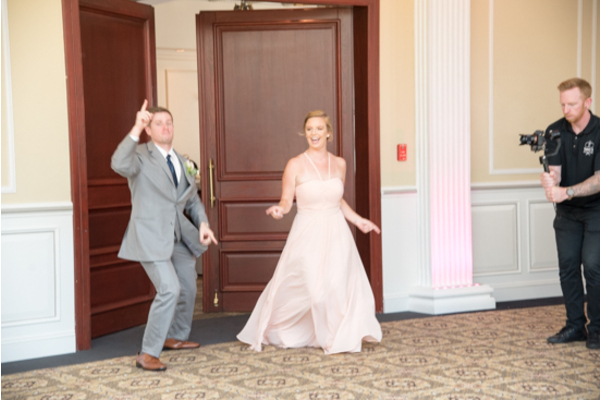 Finally, the party can begin! 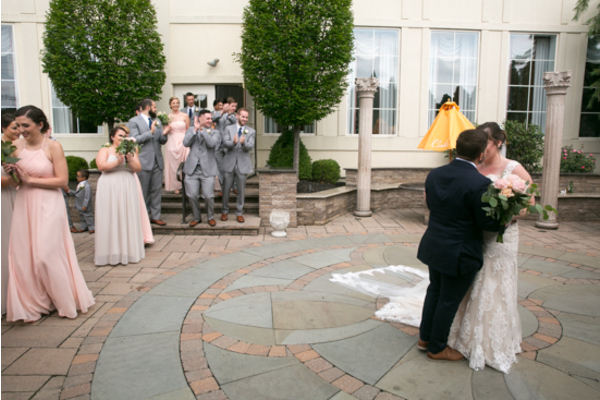 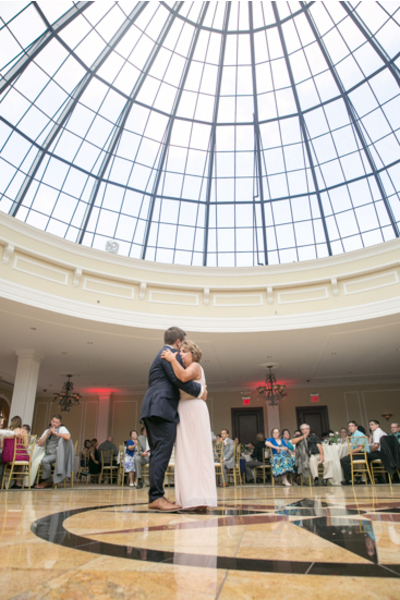 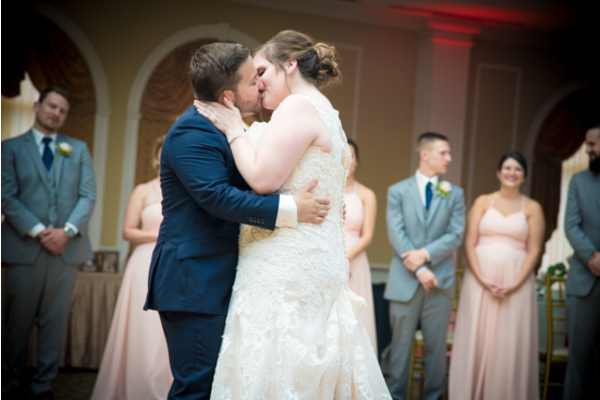 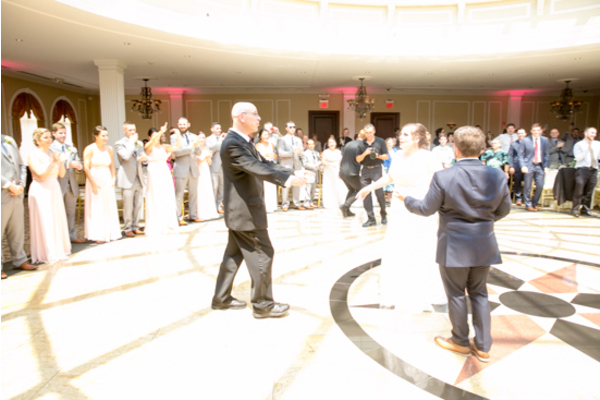 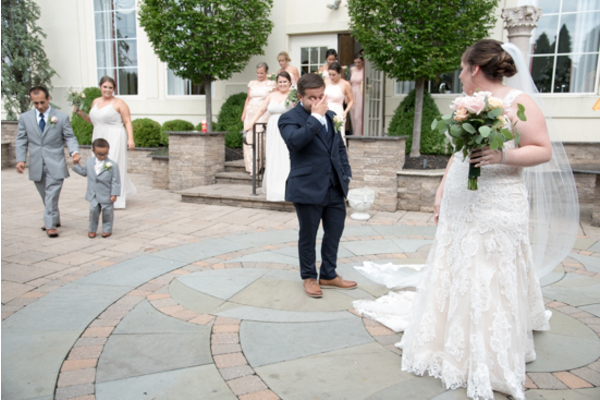 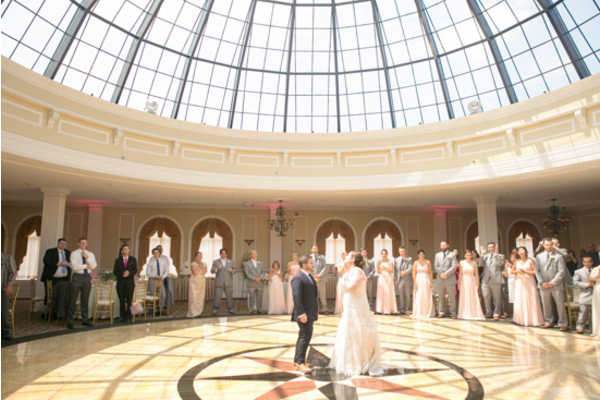 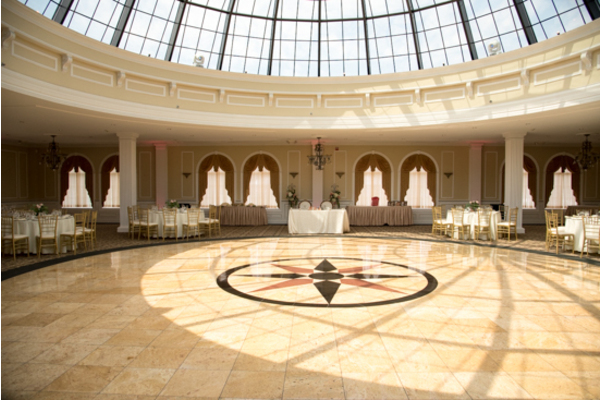 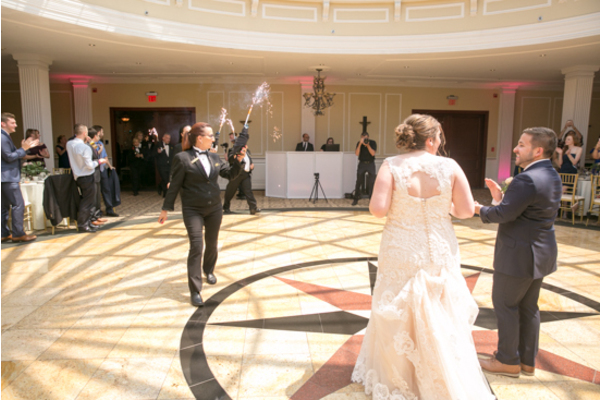 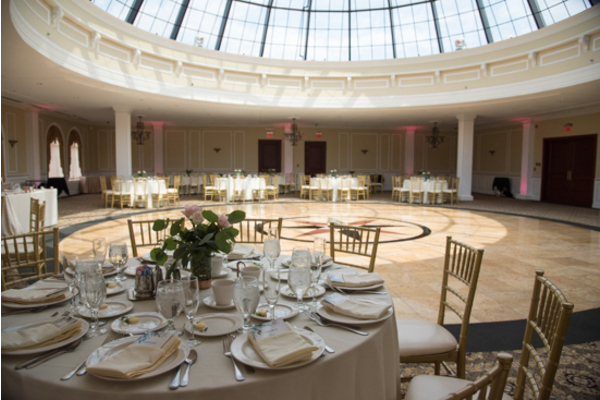 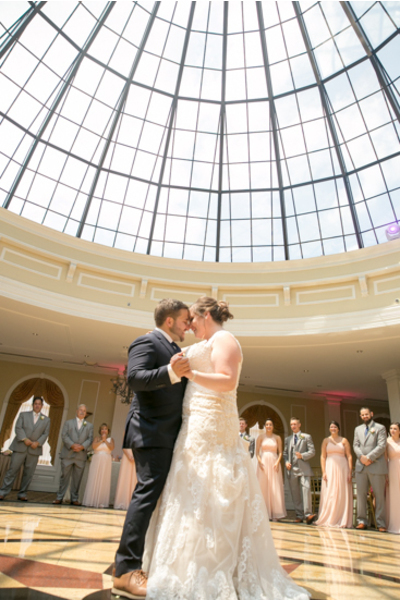 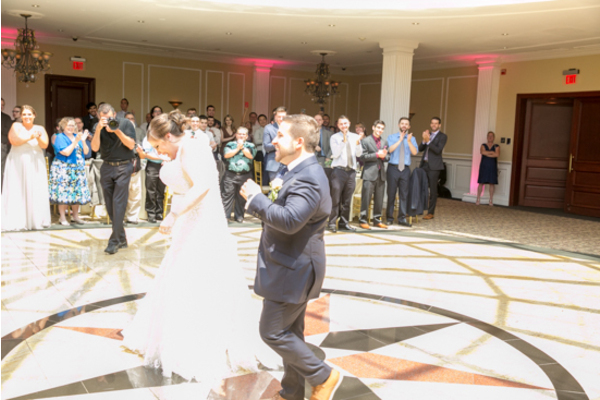 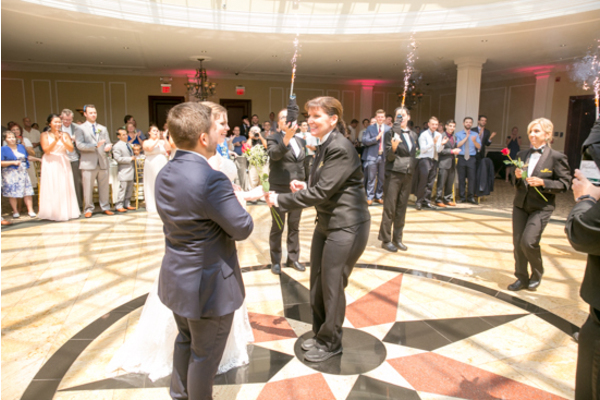 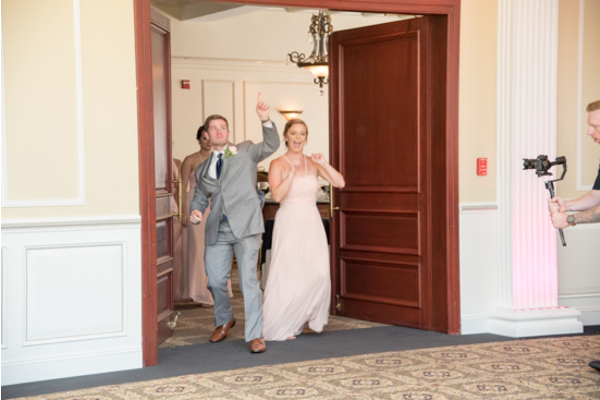 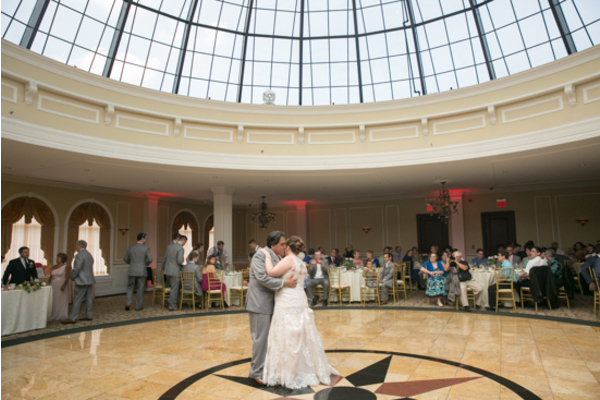 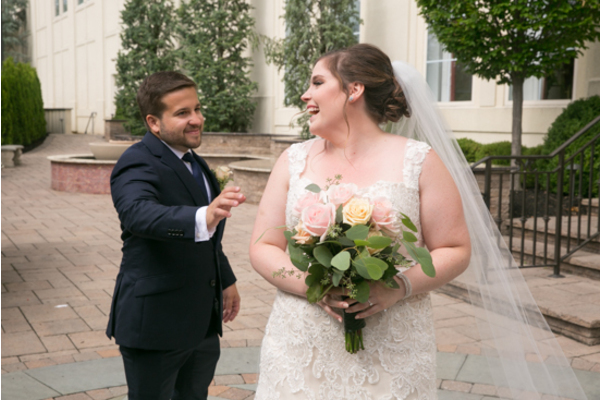 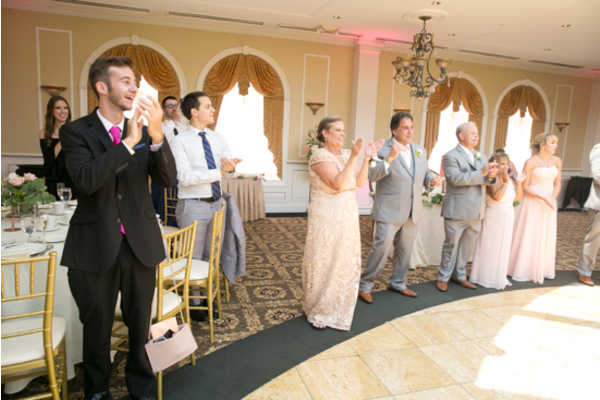 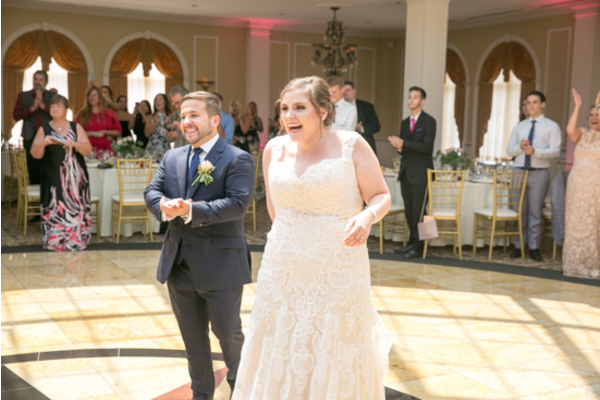 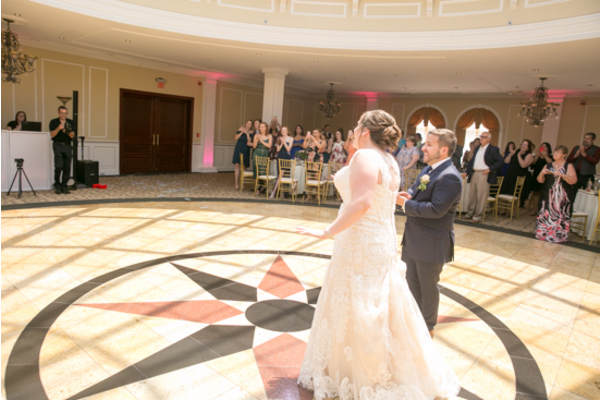 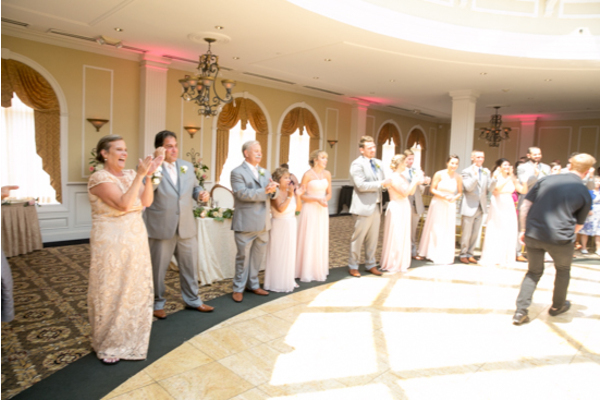 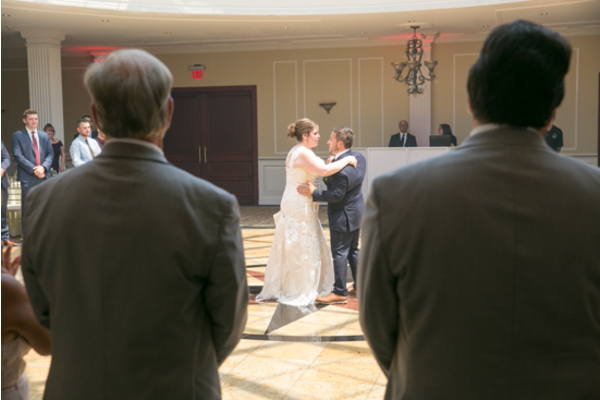 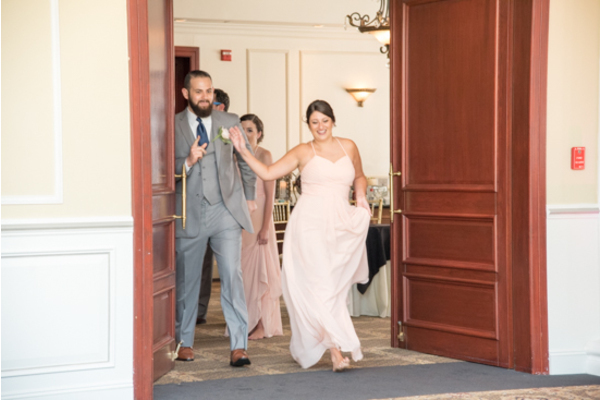 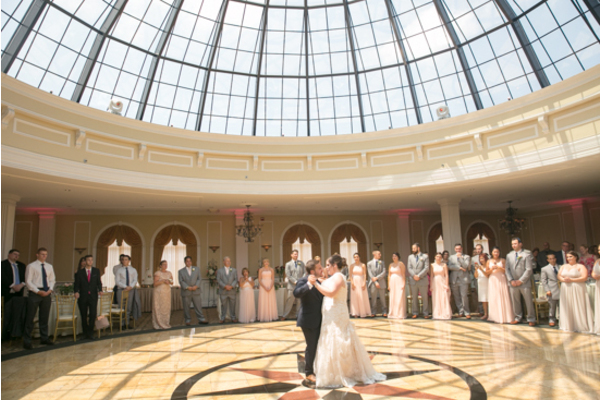 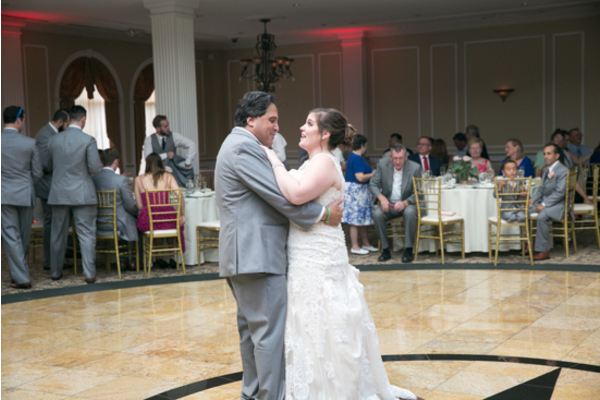 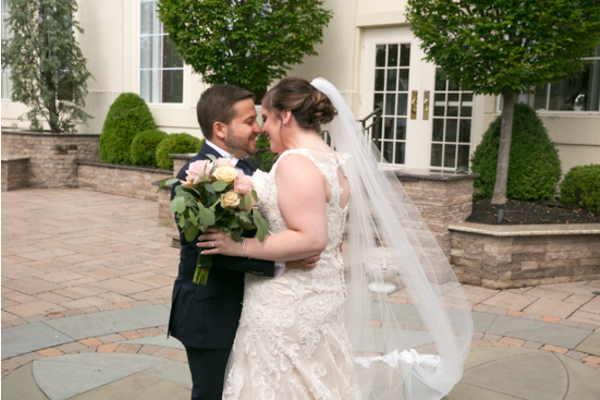 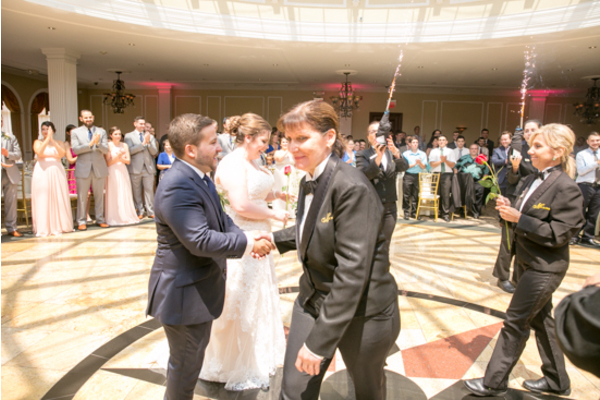 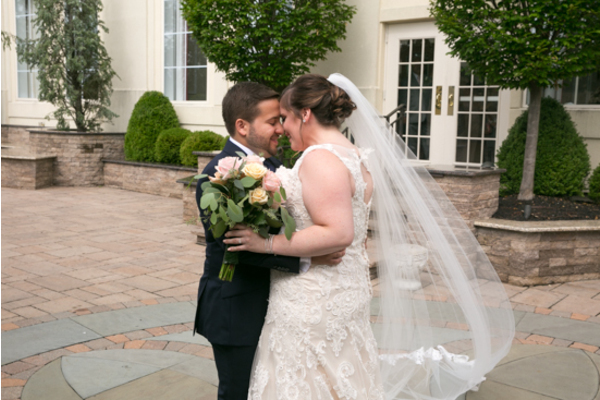 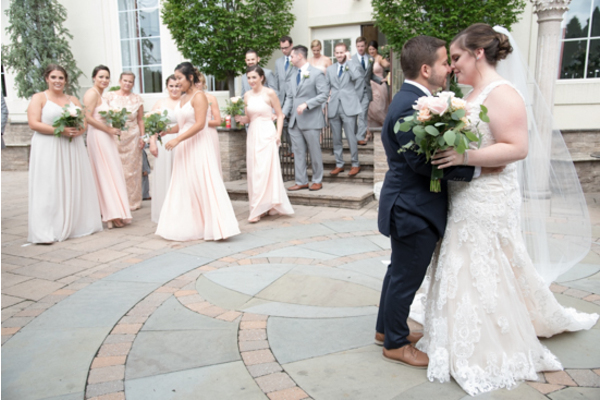 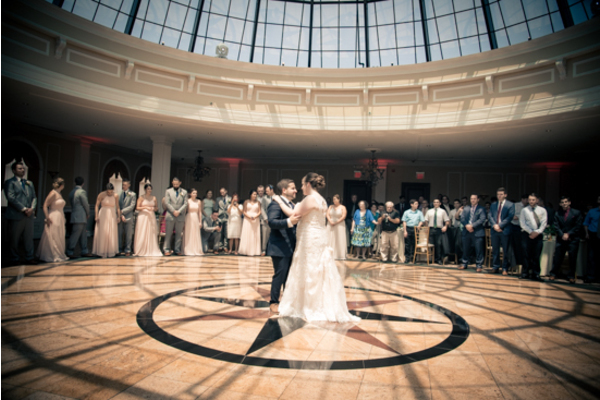 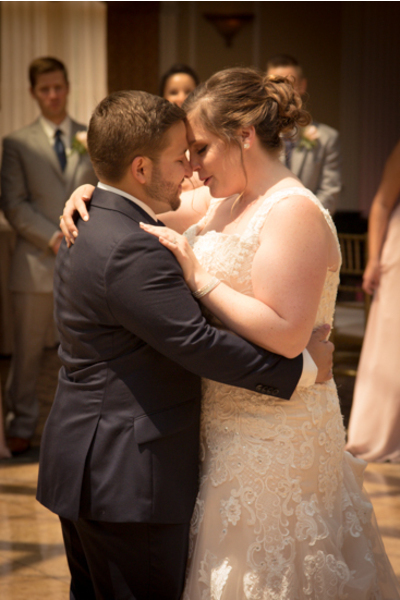 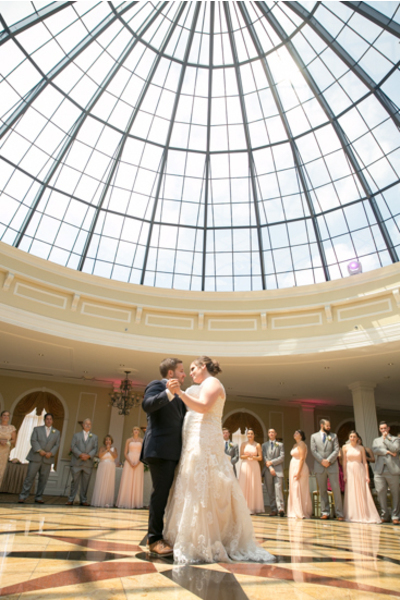 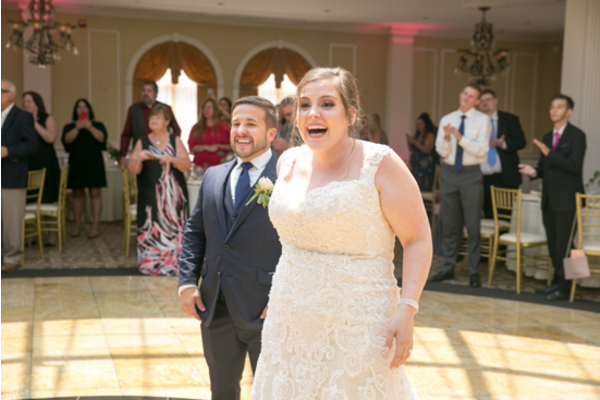 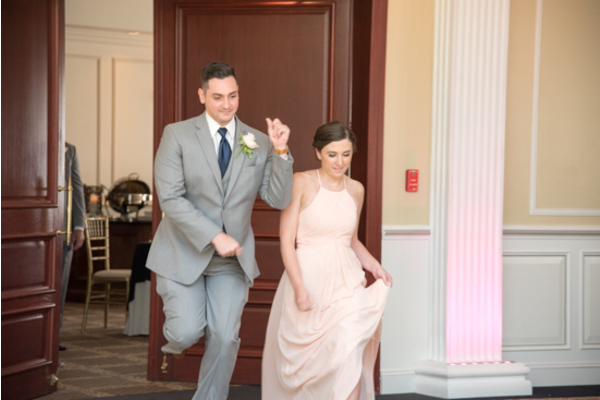 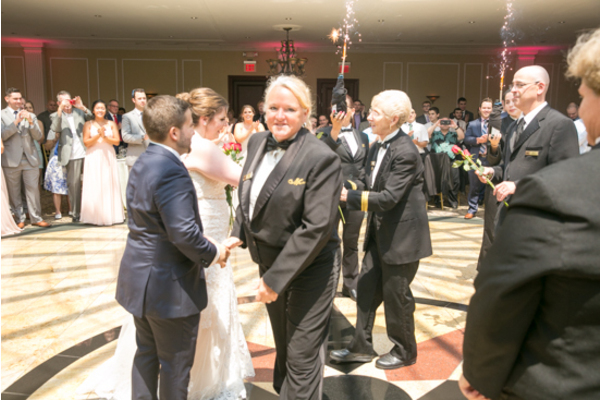 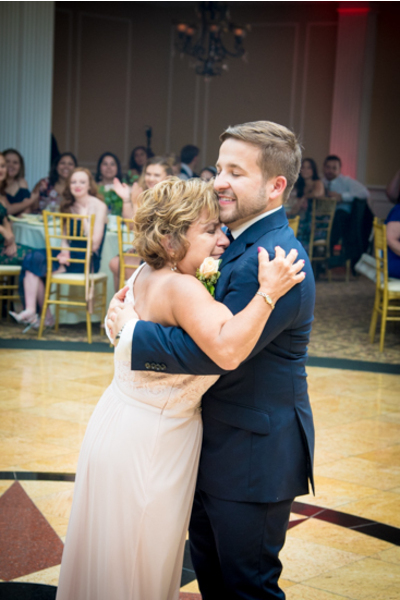 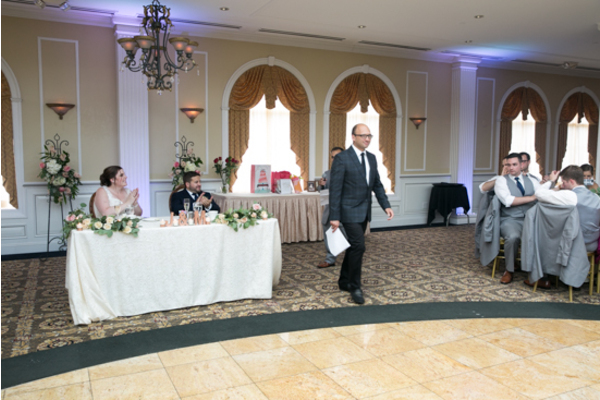 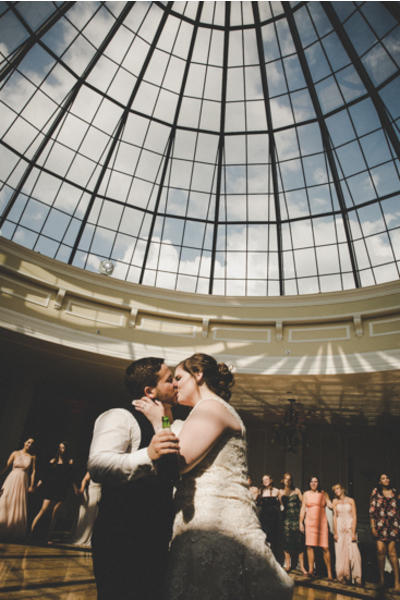 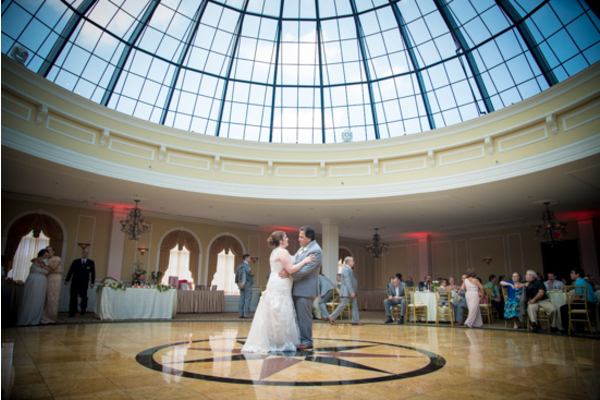 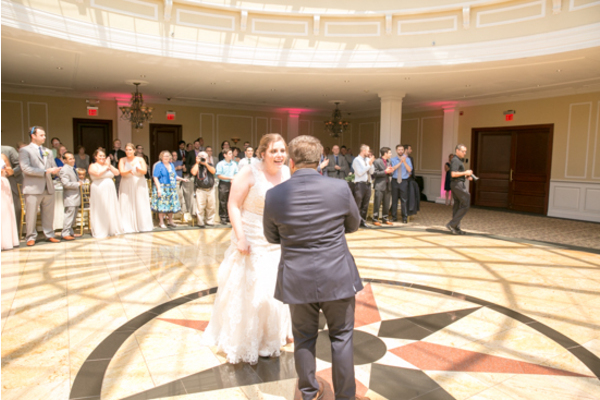 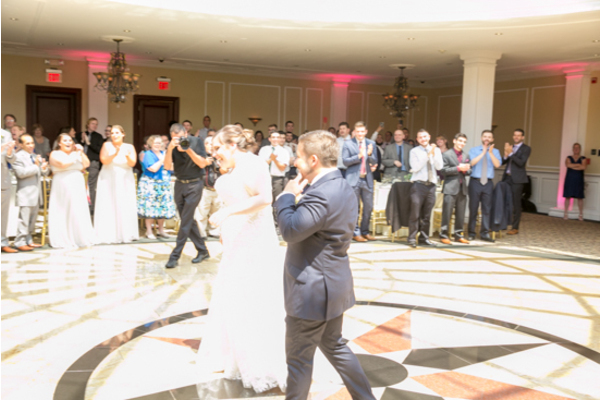 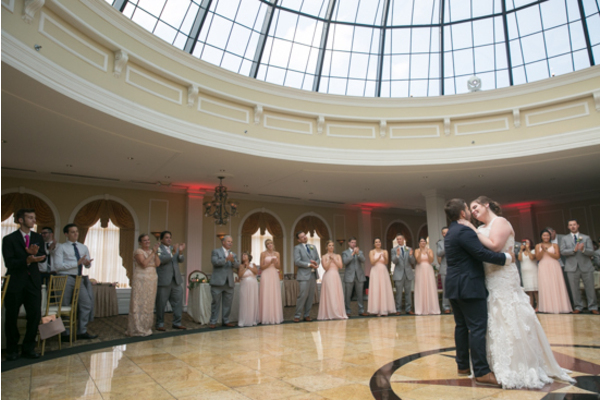 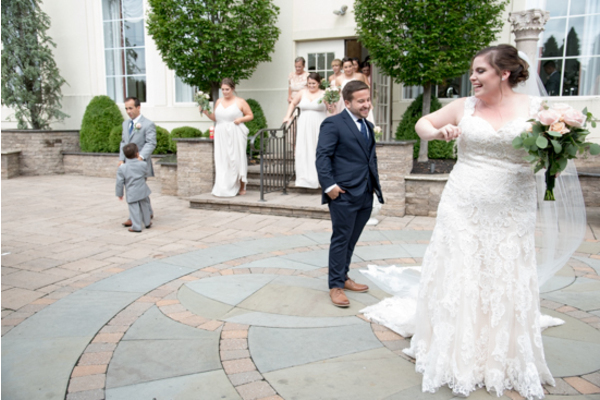 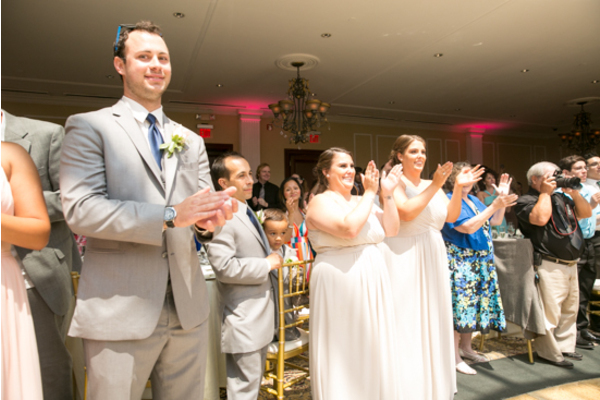 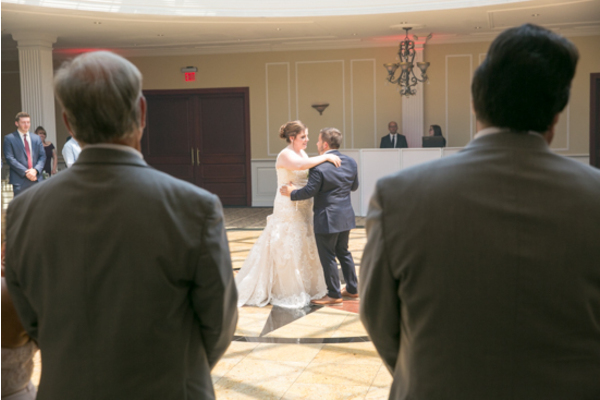 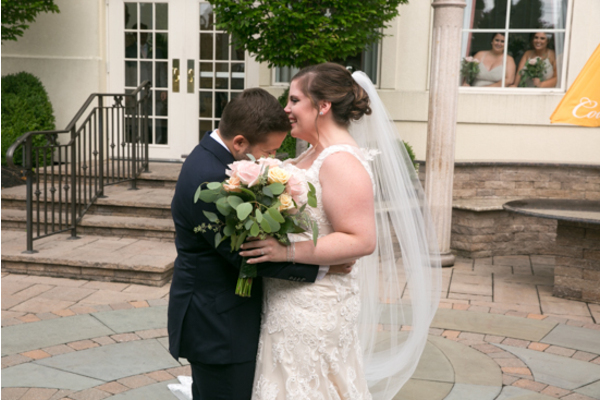 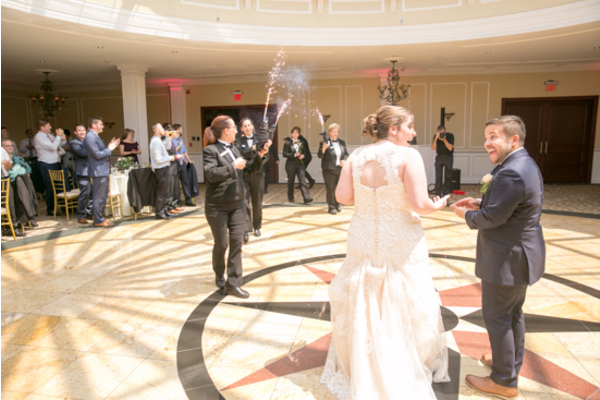 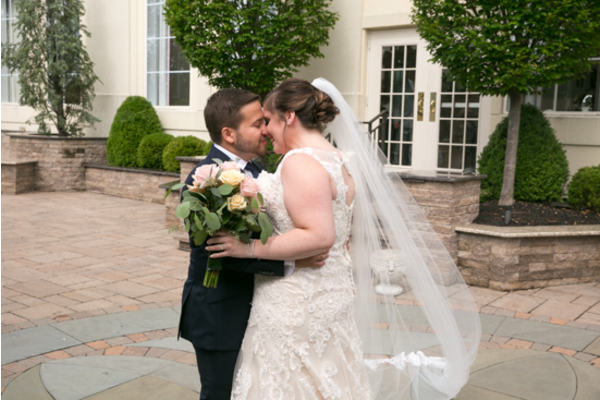 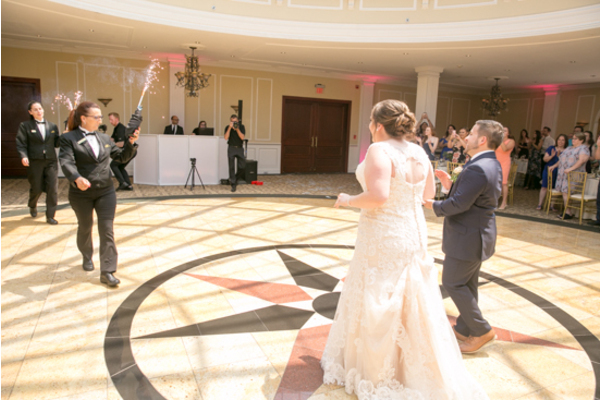 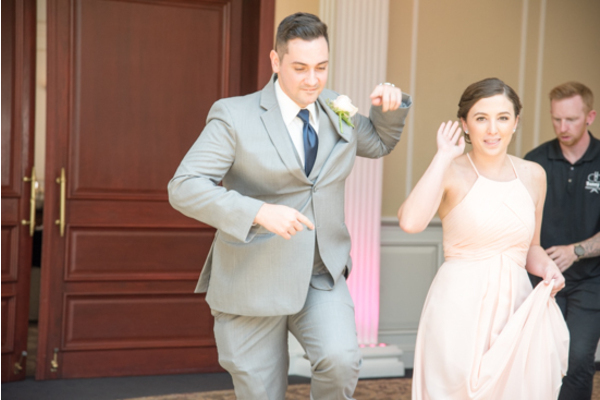 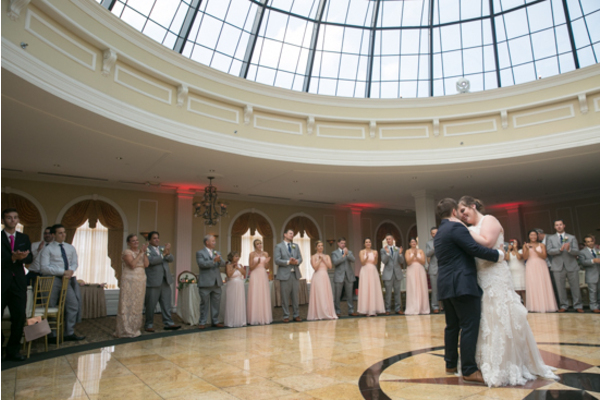 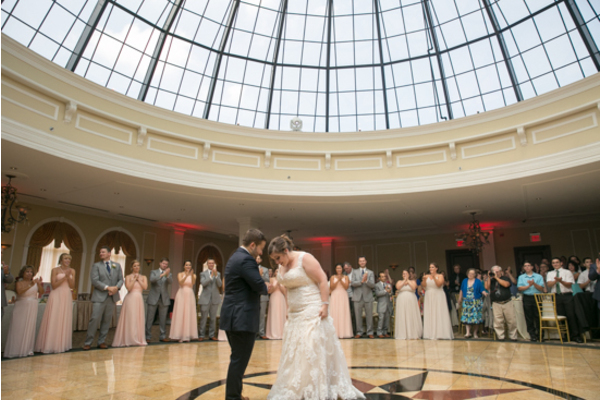 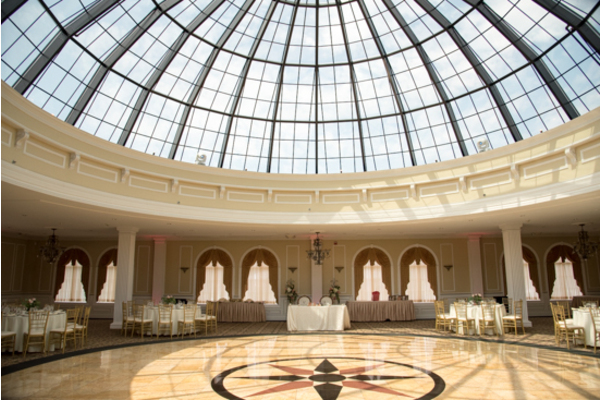 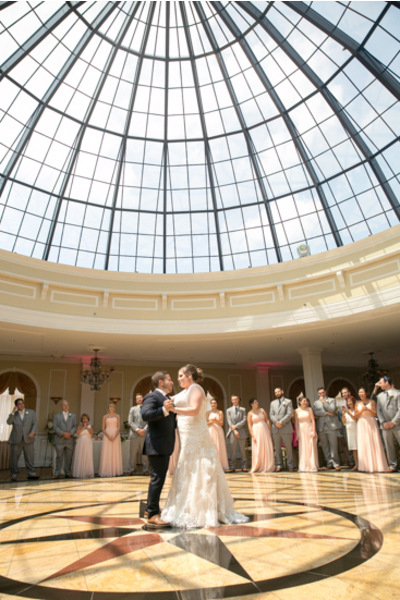 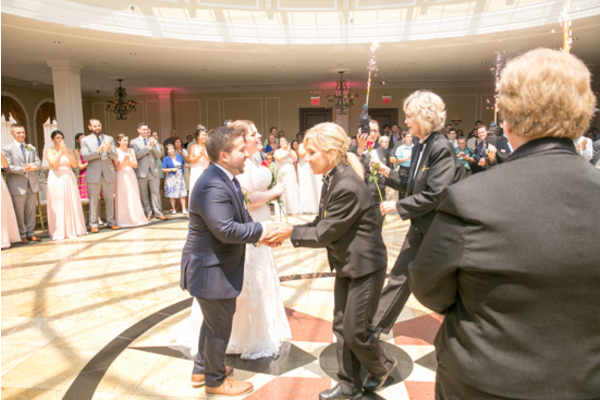 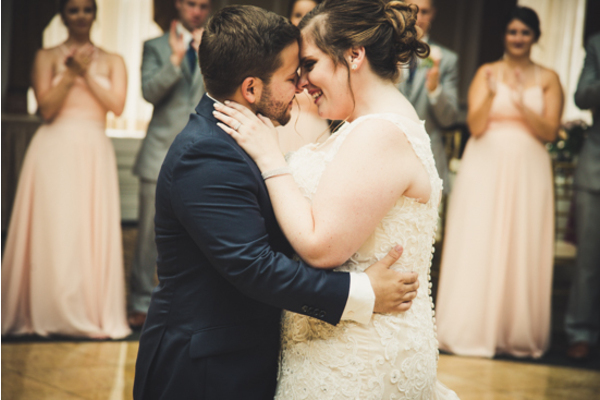 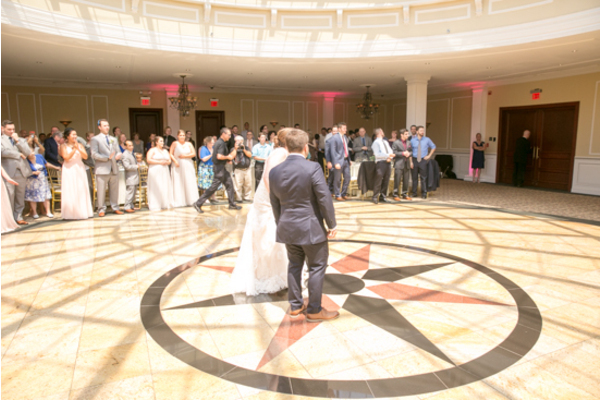 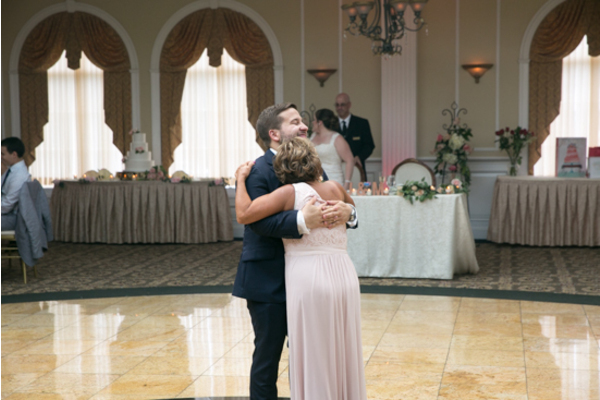 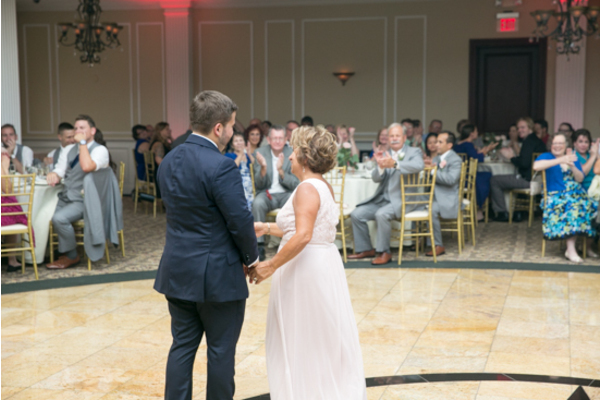 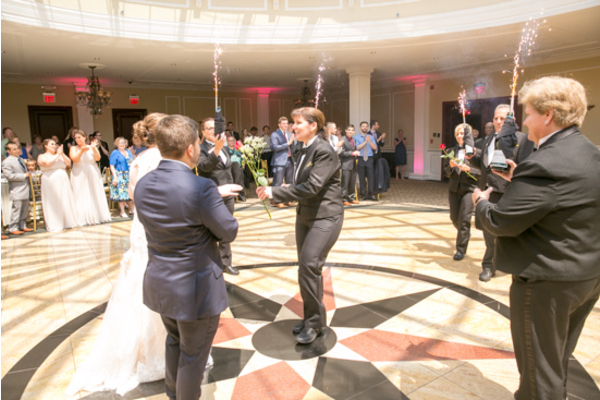 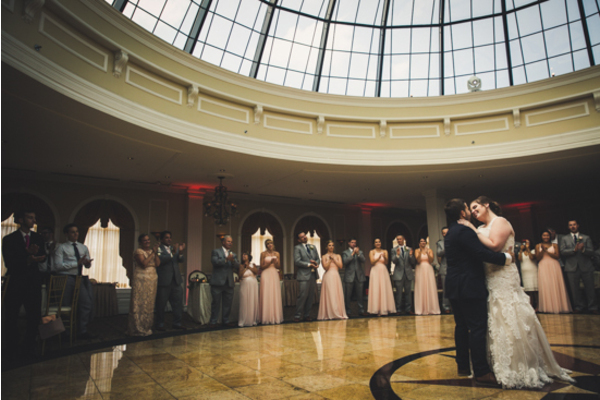 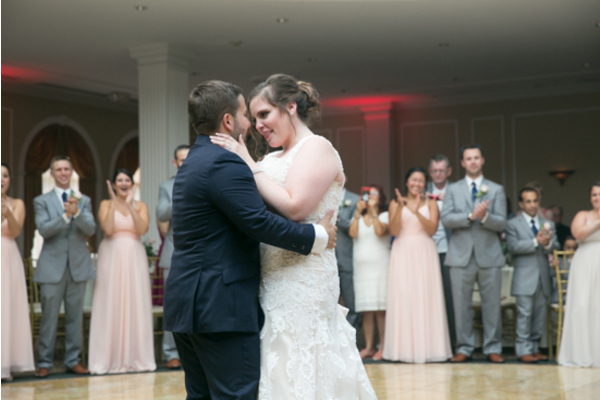 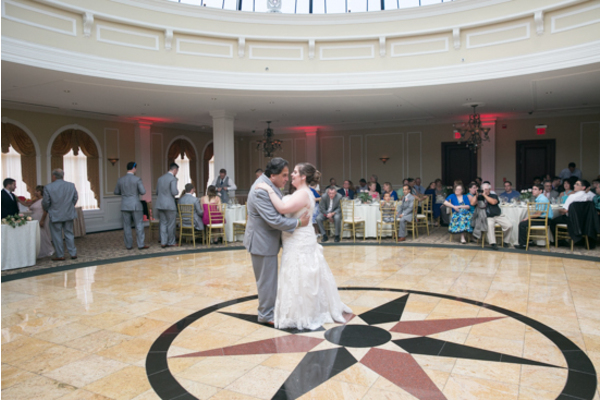 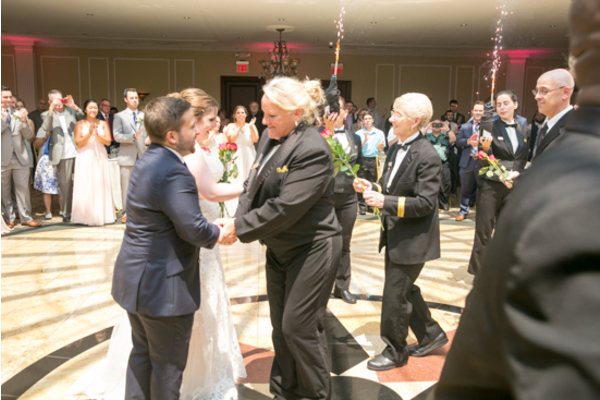 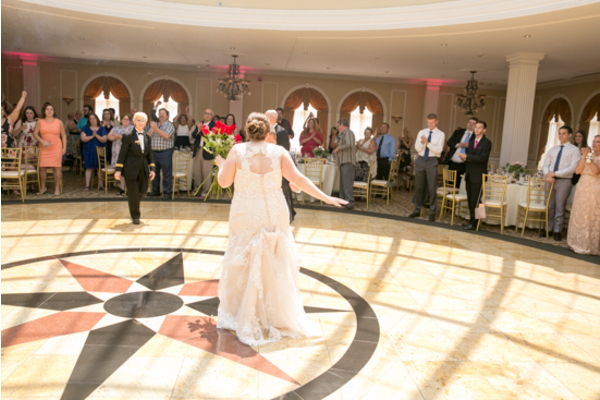 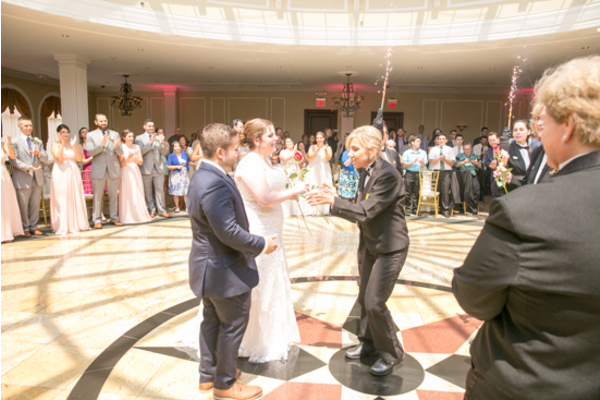 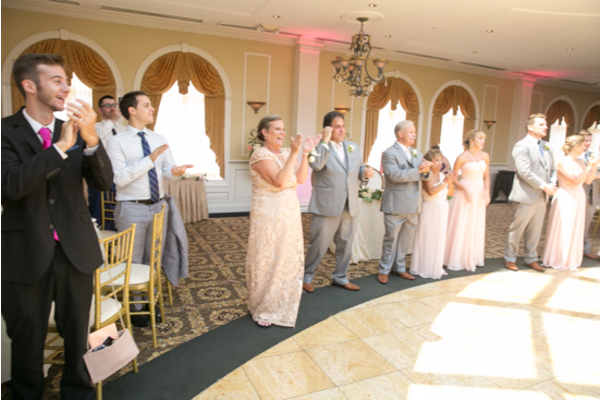 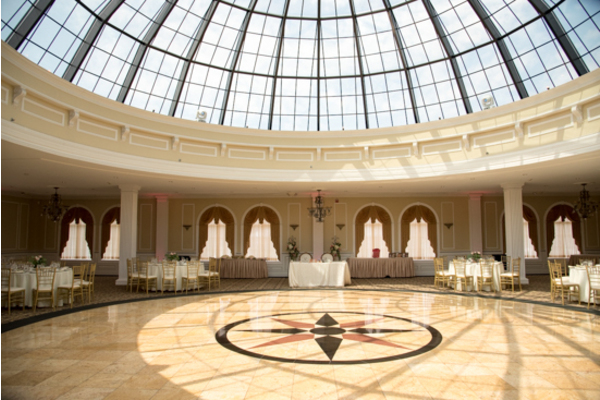 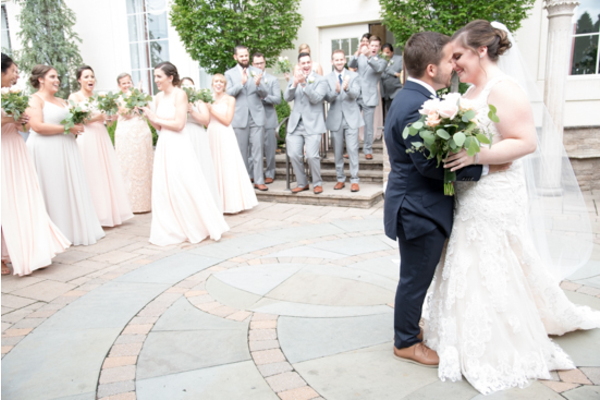 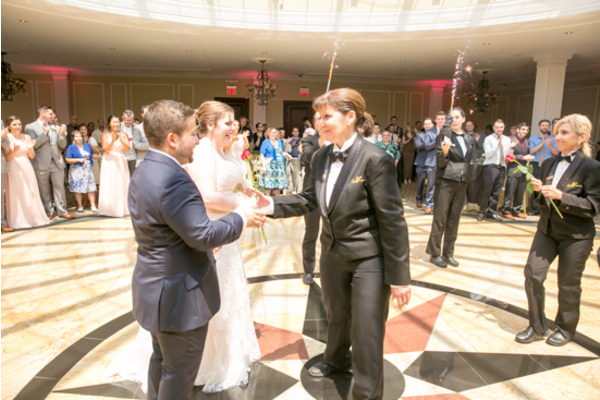 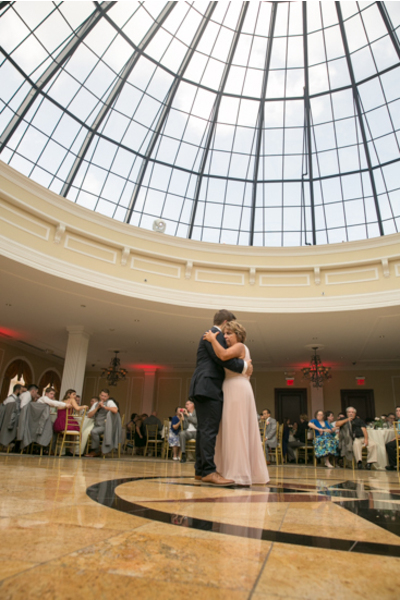 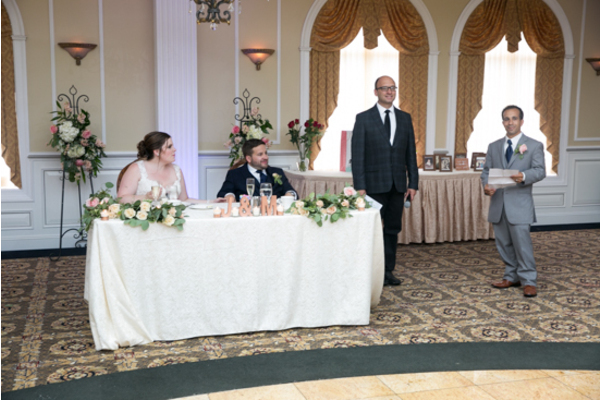 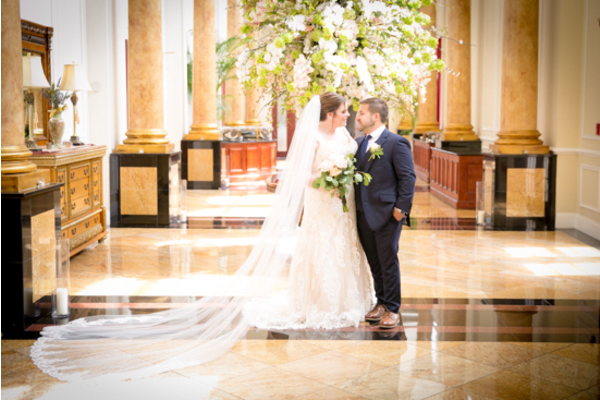 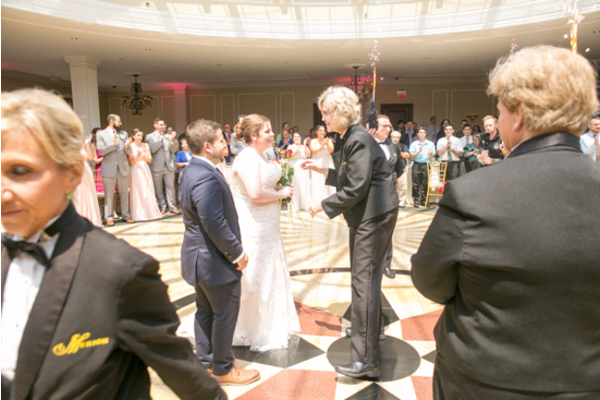 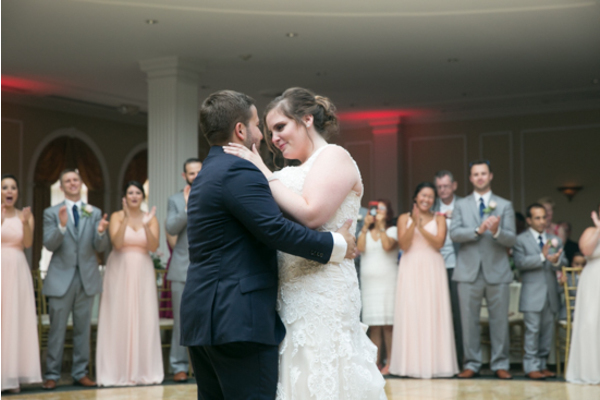 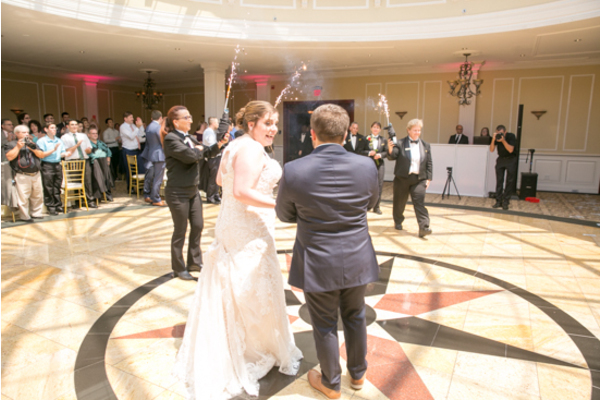 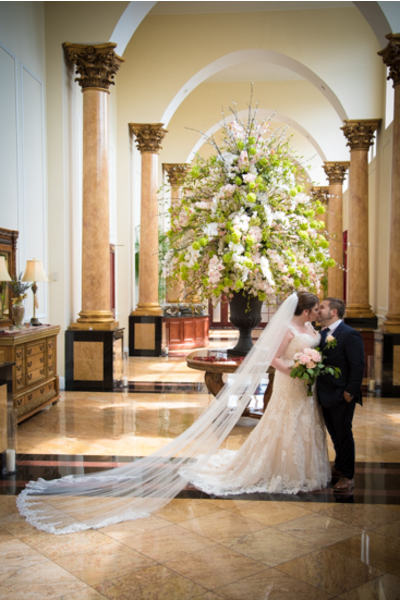 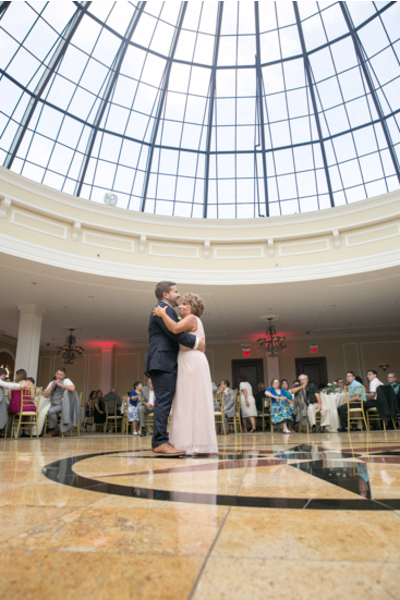 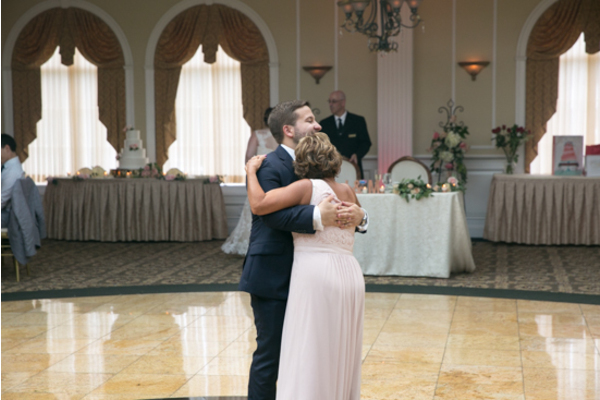 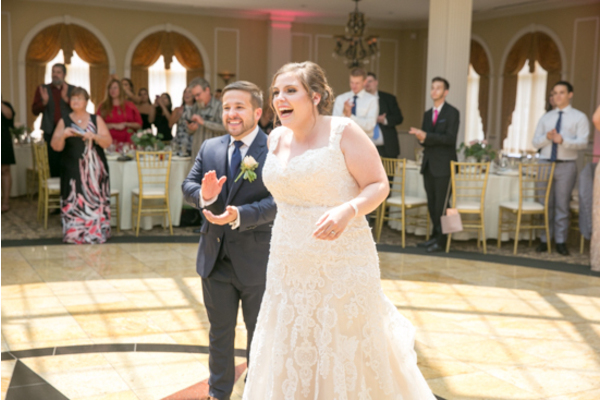 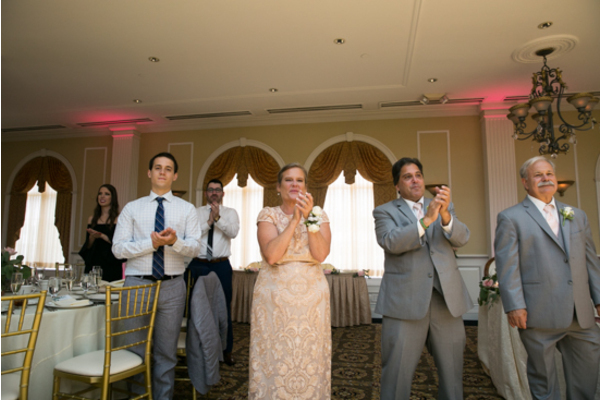 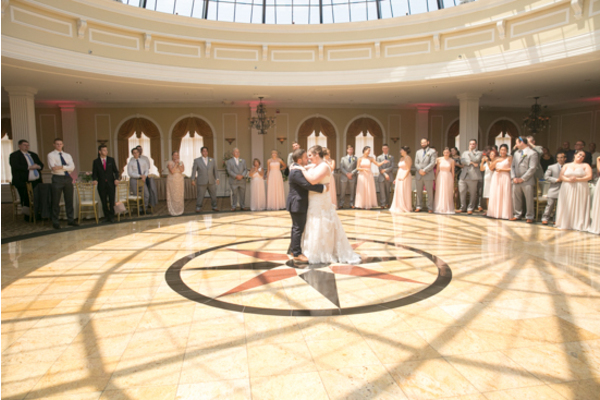 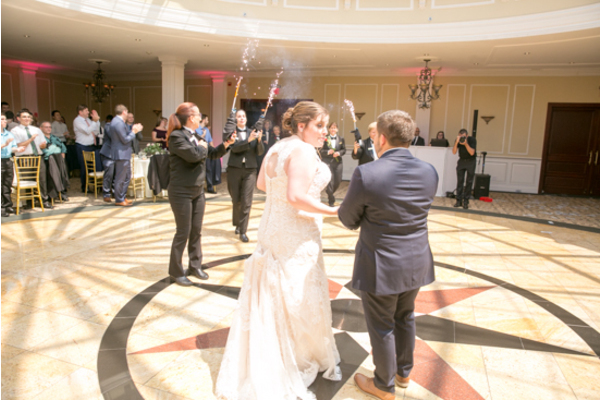 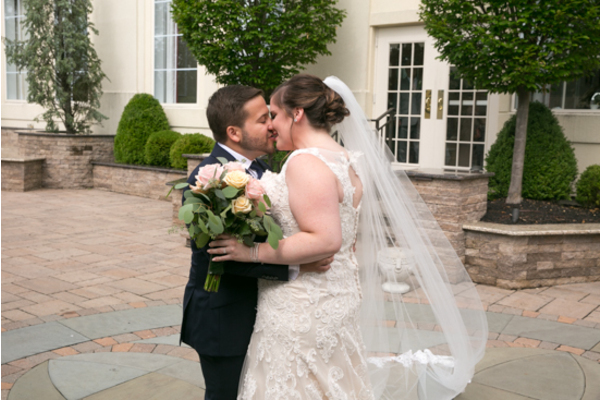 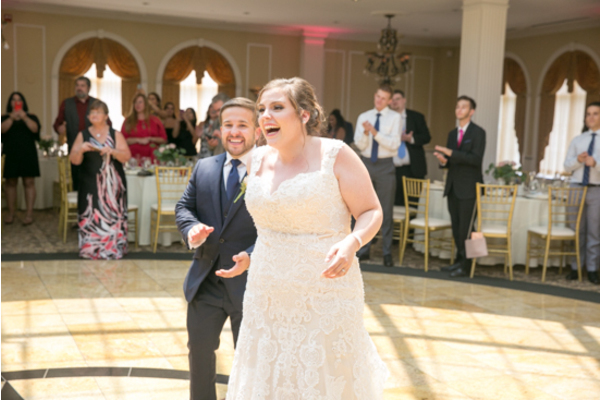 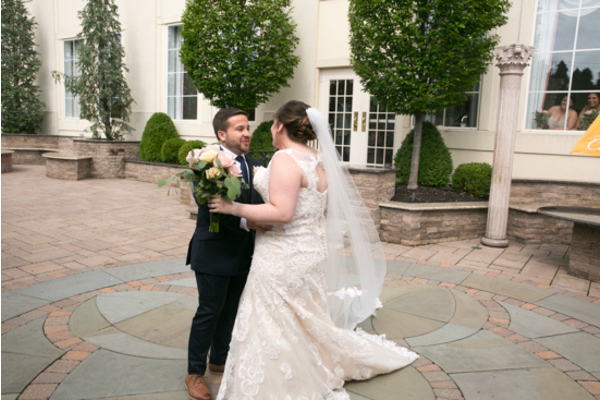 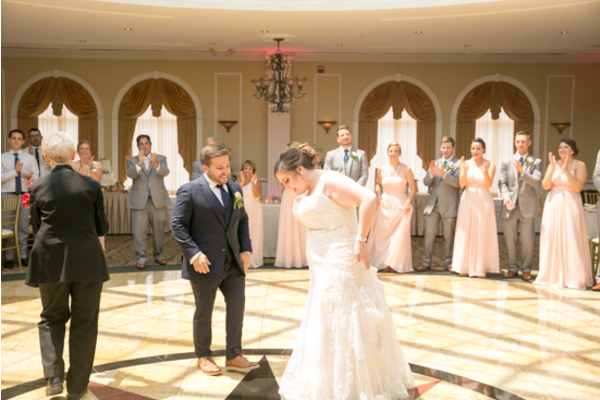 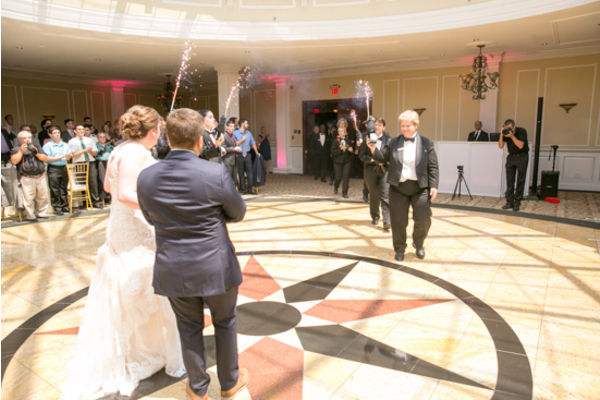 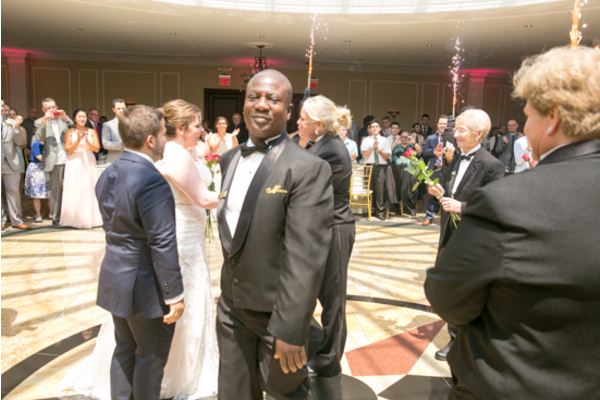 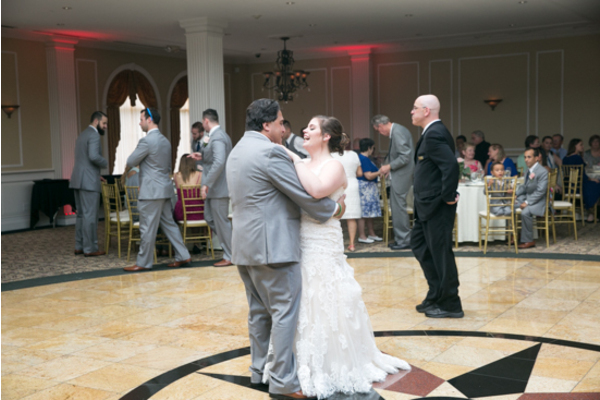 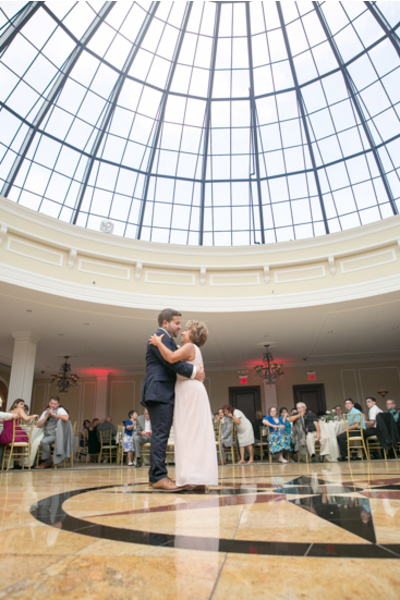 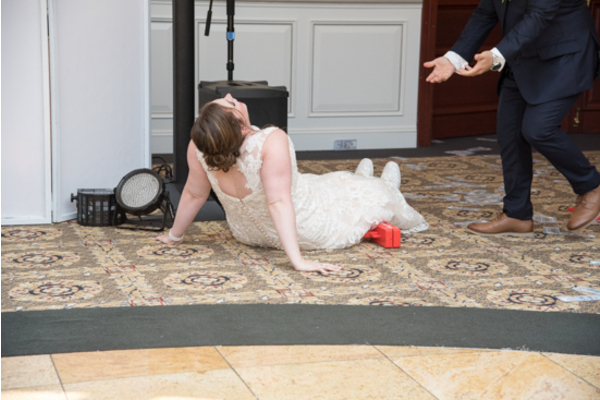 Afterwards, the happy couple shared their first dance on a beautiful ballroom floor captured by our NJ Wedding Photographer! 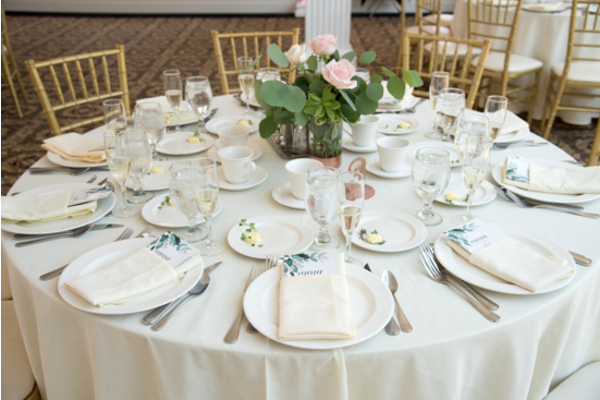 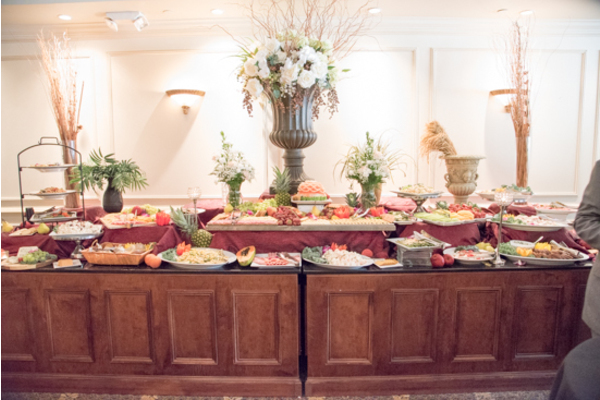 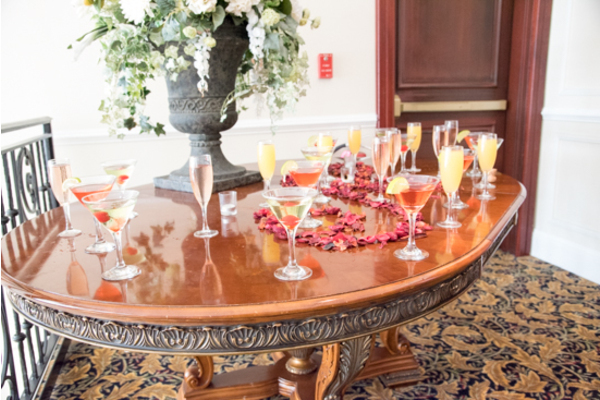 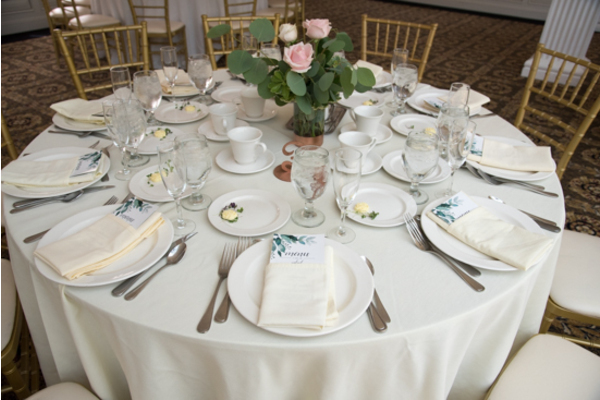 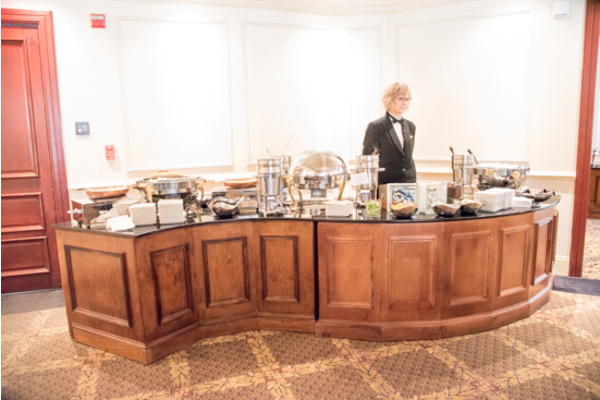 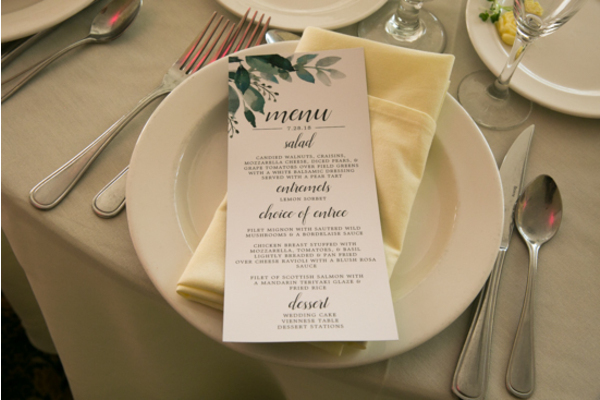 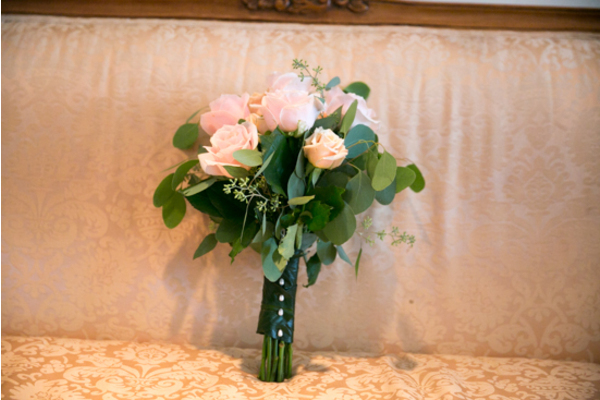 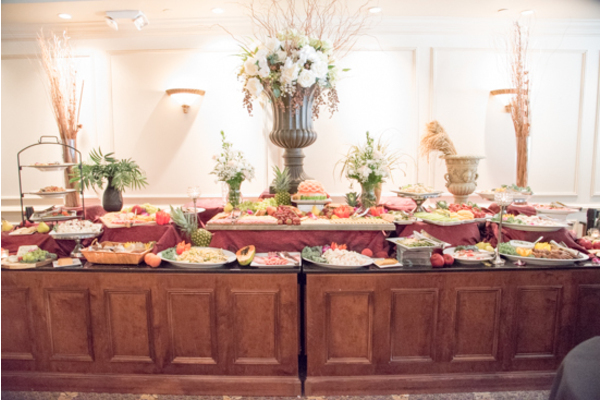 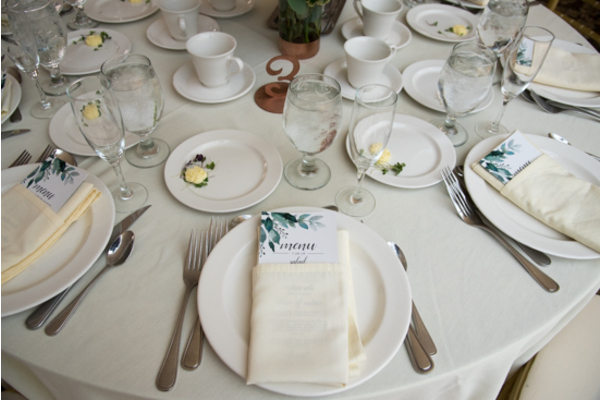 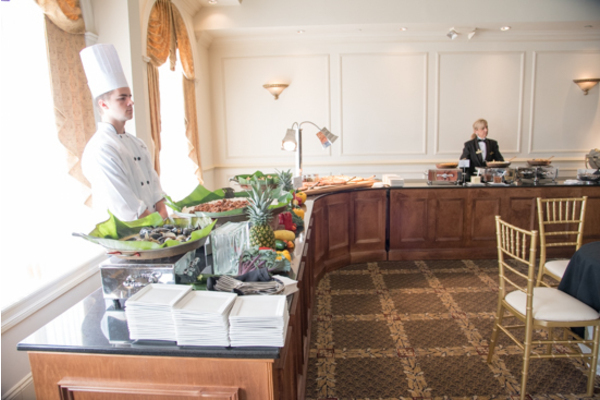 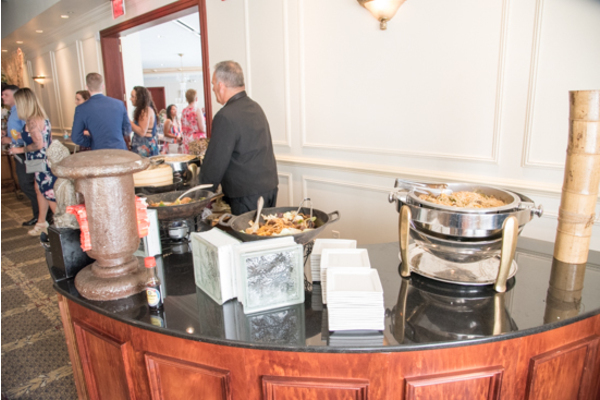 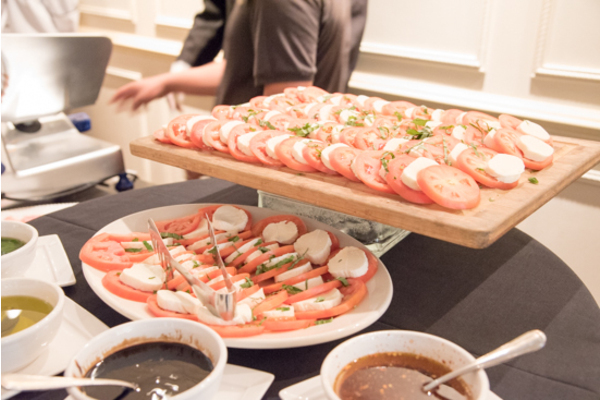 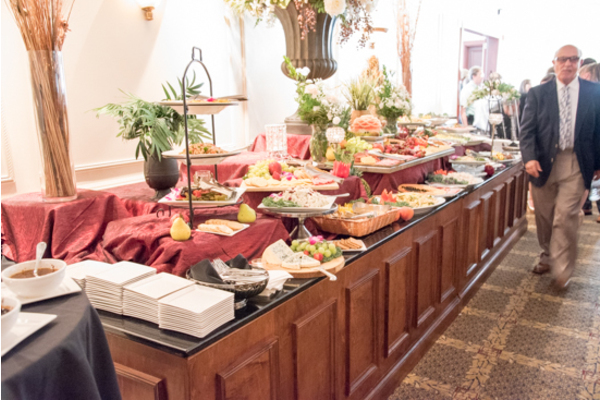 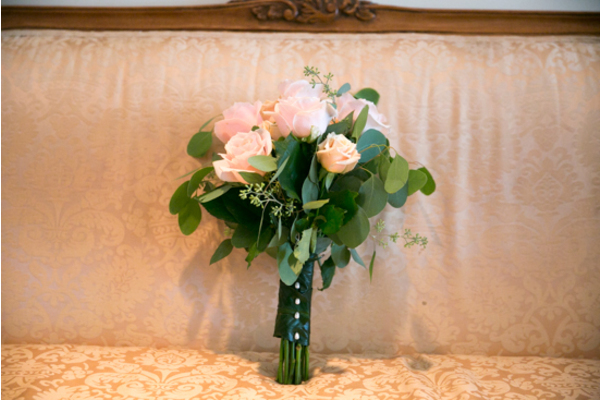 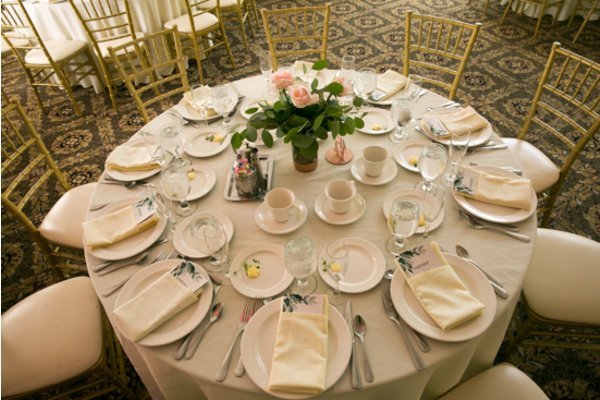 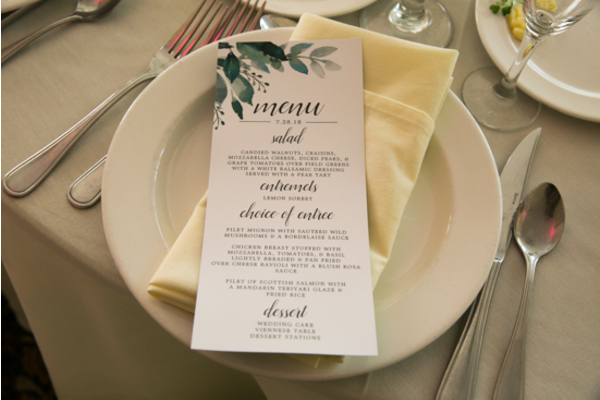 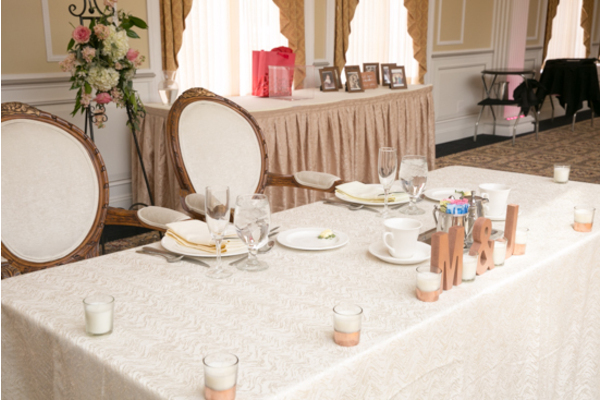 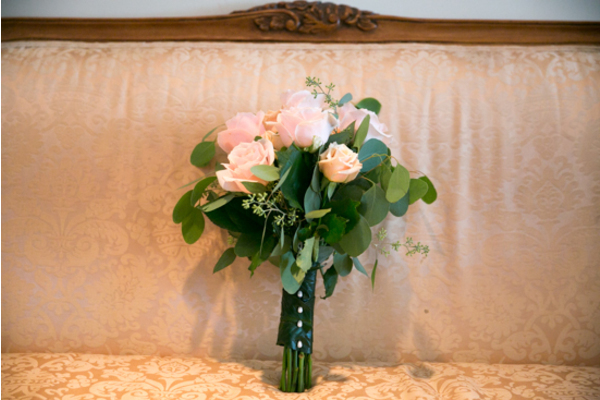 The venue space was elegant in its own right that minimal decorations were needed. 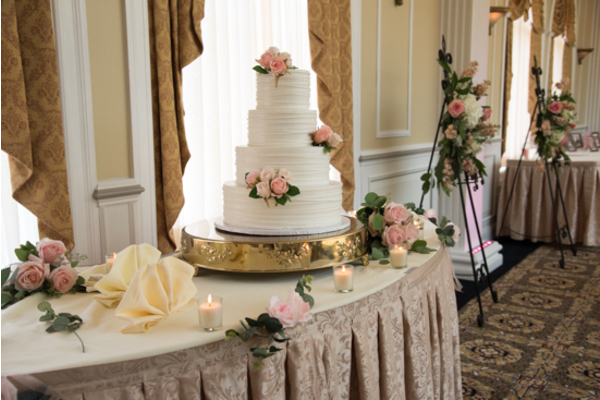 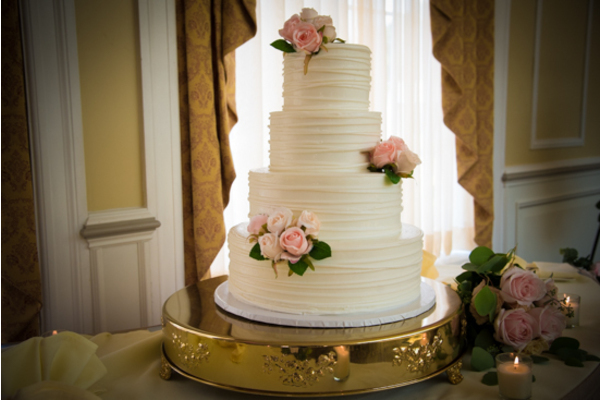 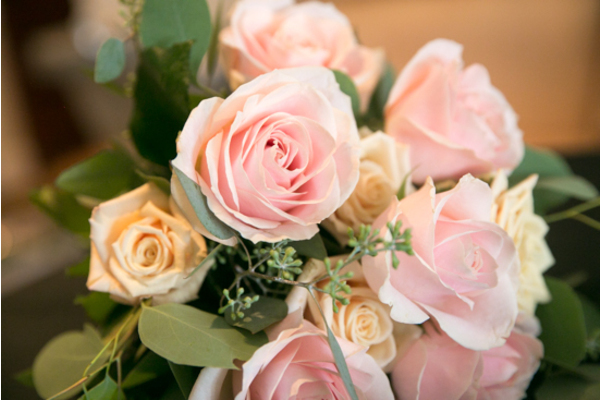 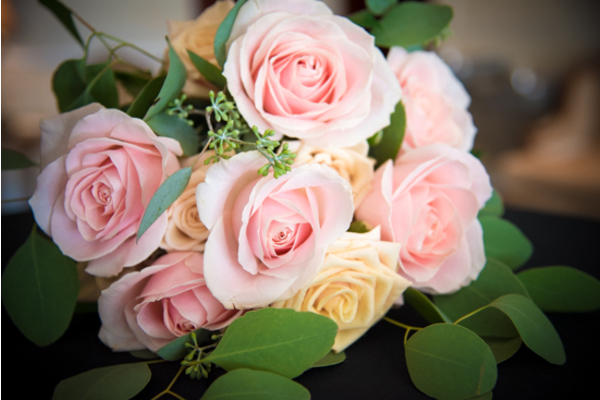 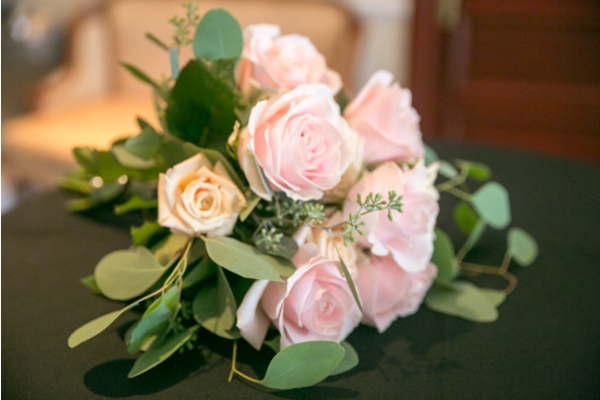 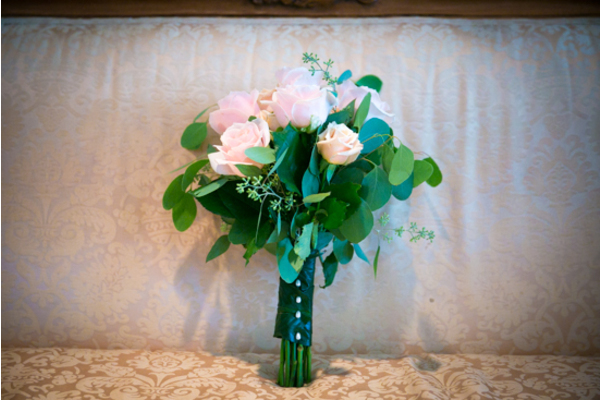 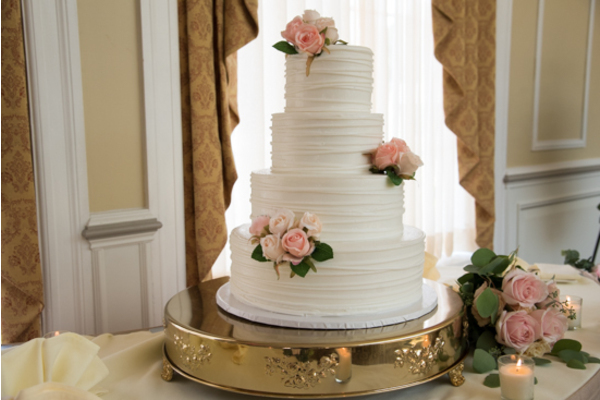 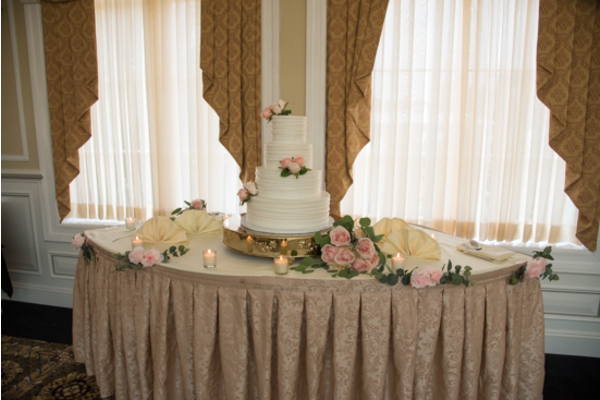 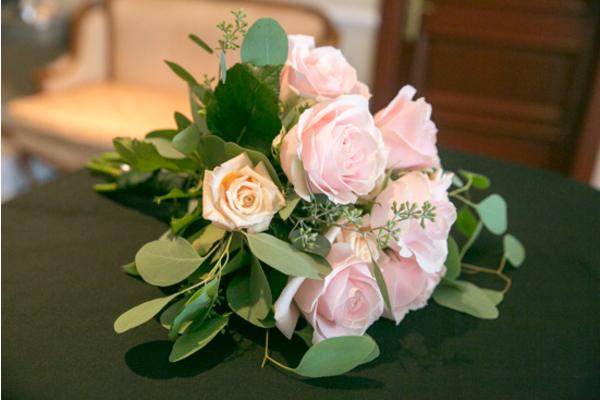 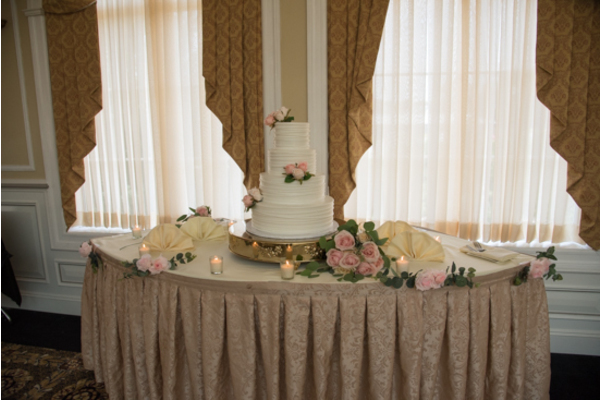 Their three-tier pink rose wedding cake added just the right amount of simplicity to the table. 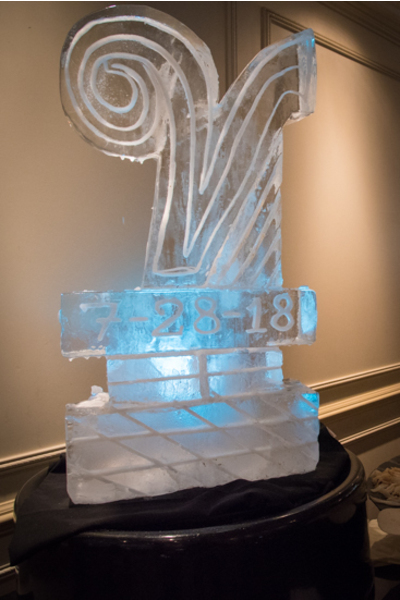 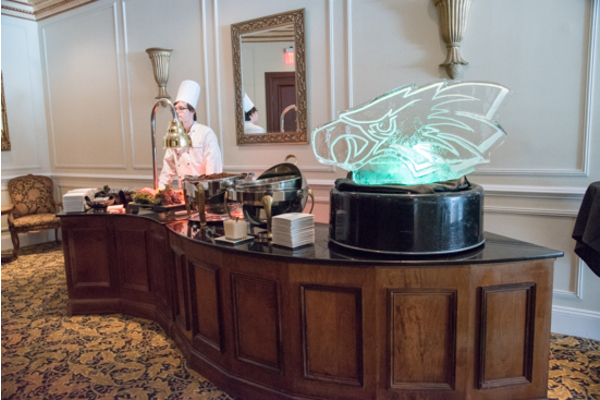 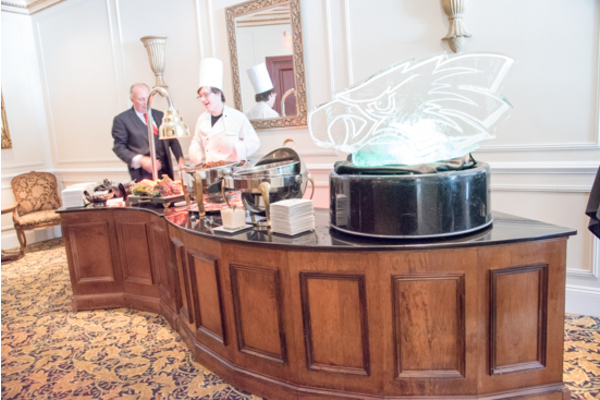 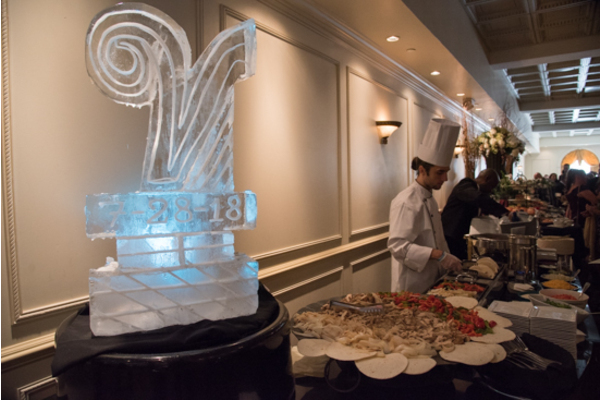 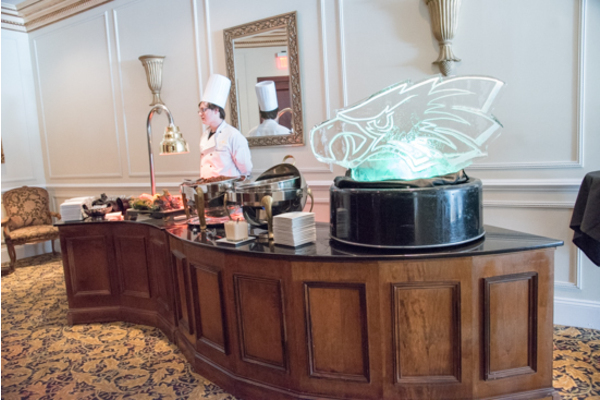 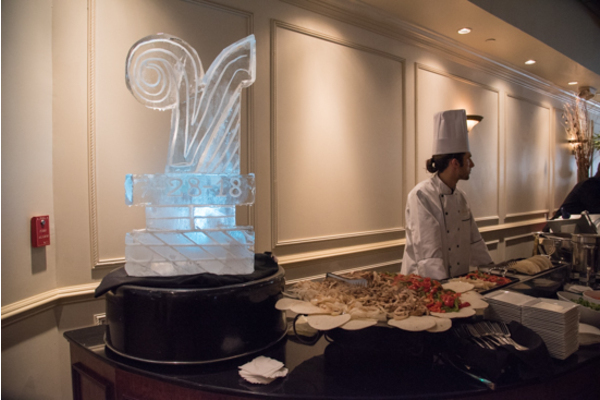 Furthermore, everyone was fascinated by the ice sculpture with the wedding date engraved upon it! 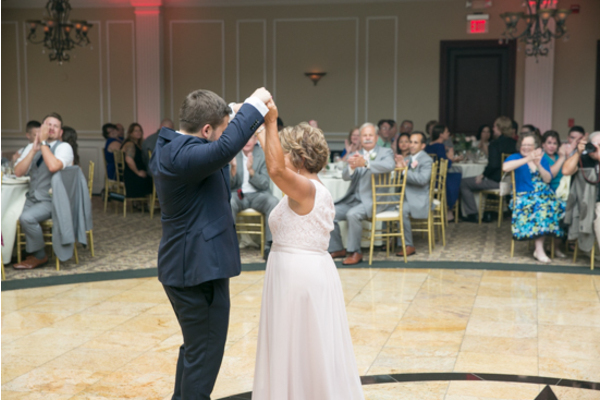 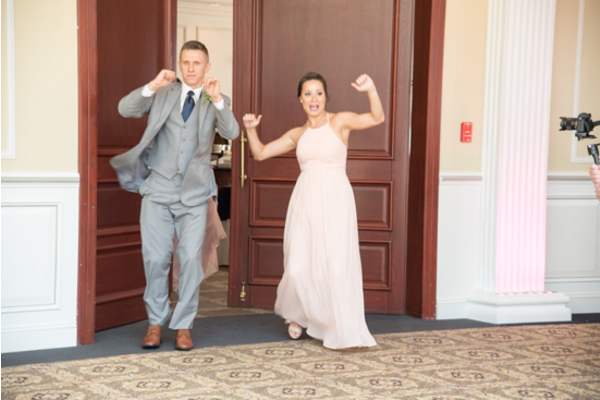 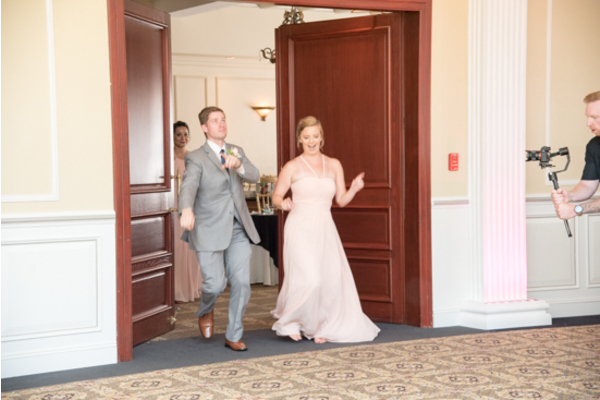 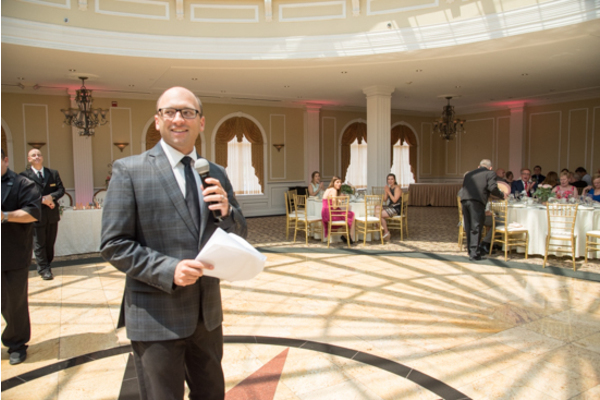 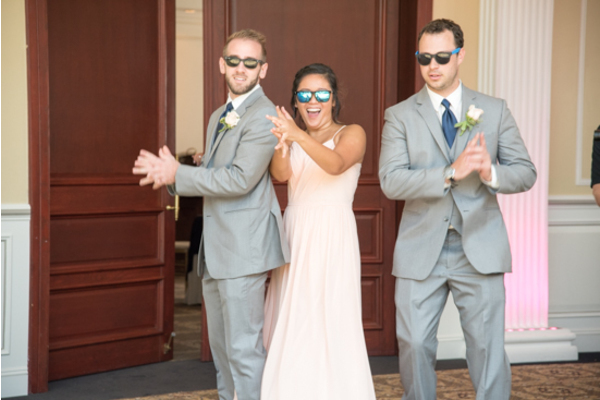 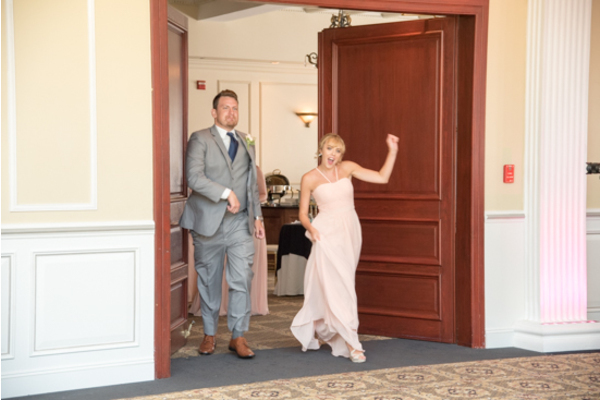 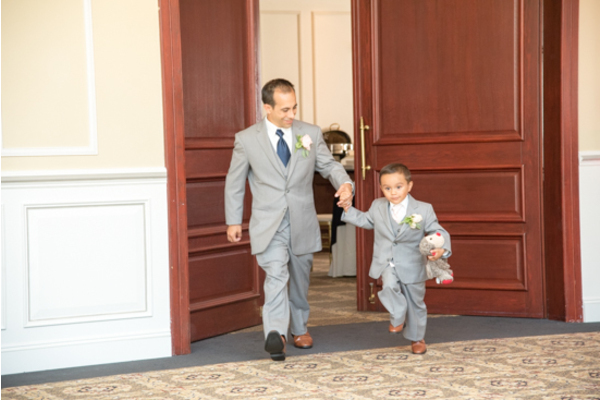 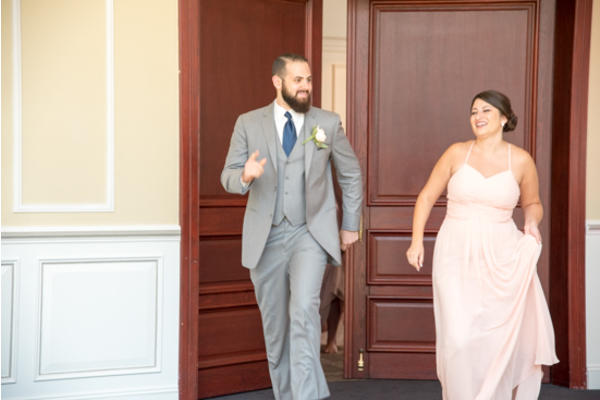 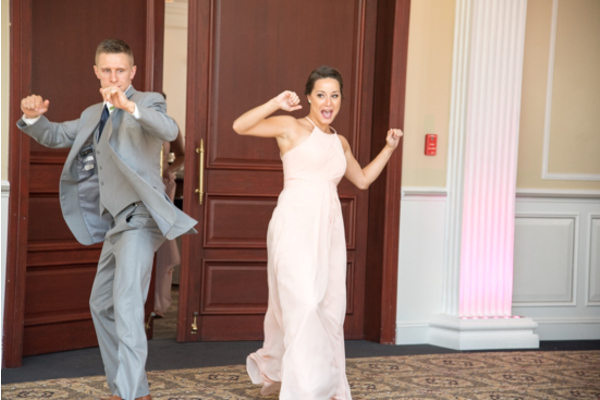 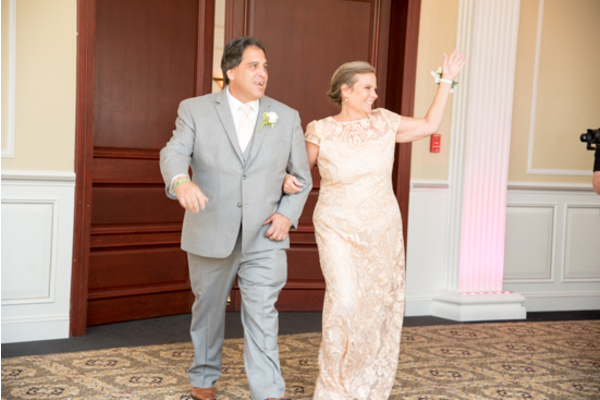 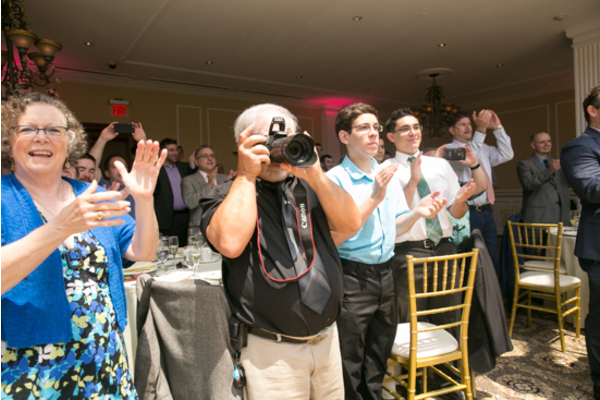 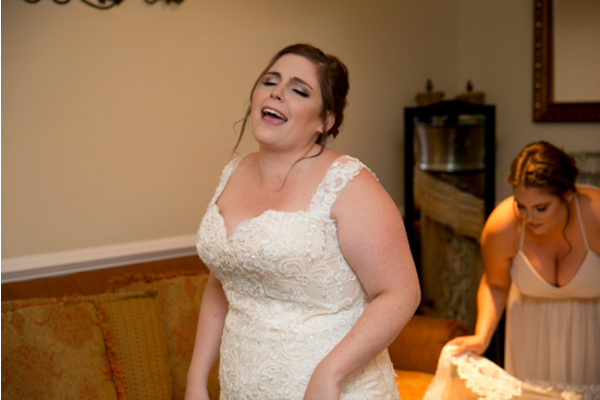 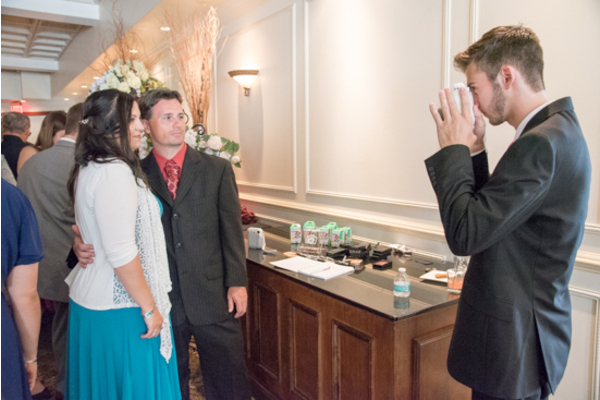 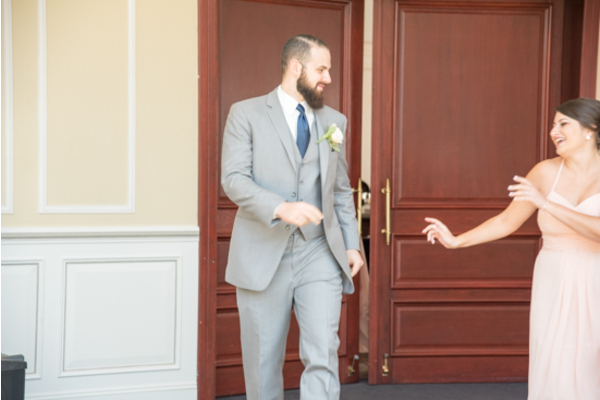 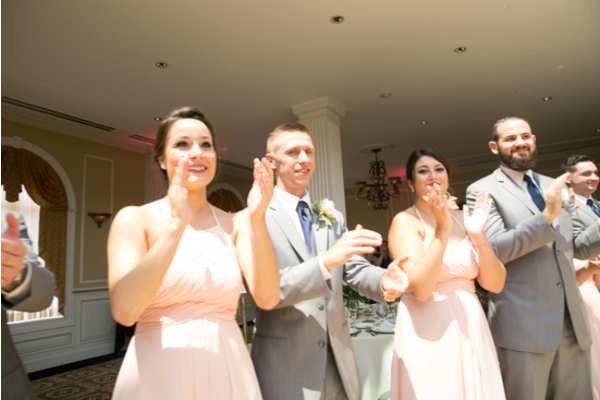 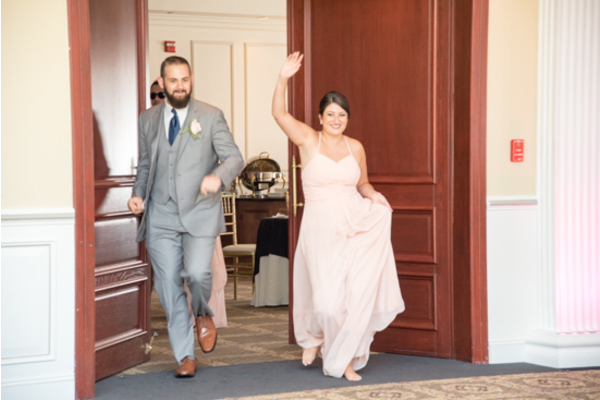 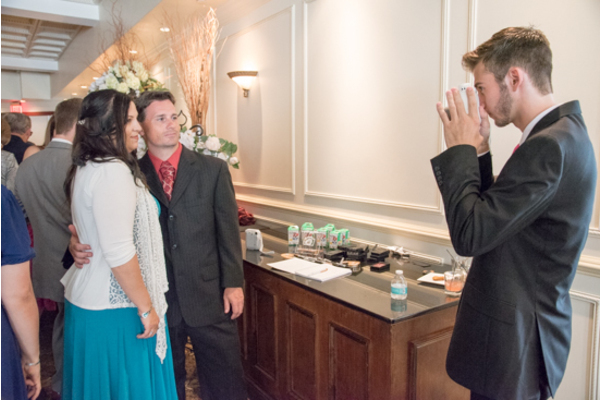 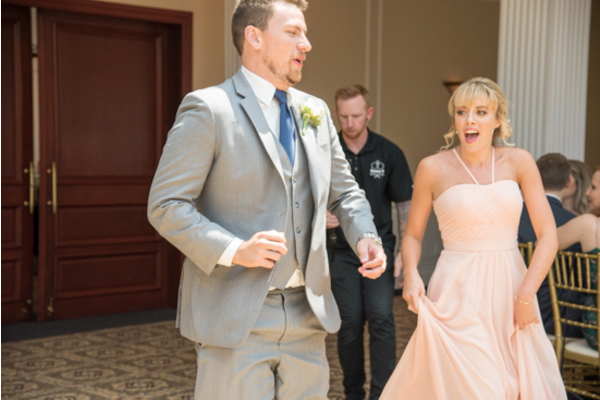 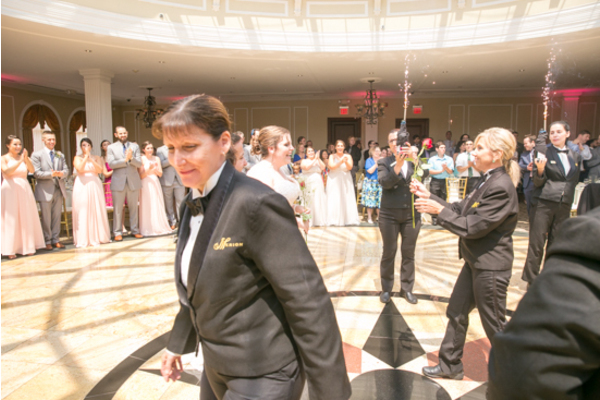 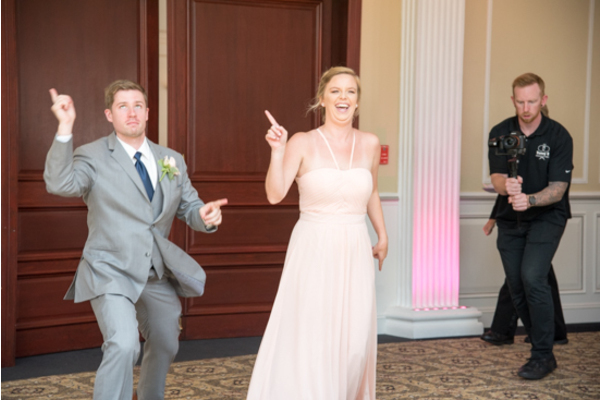 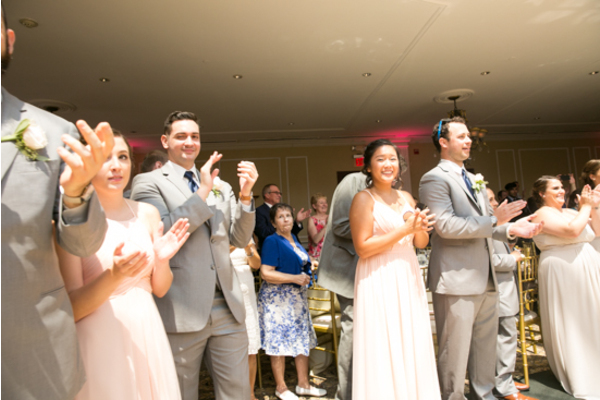 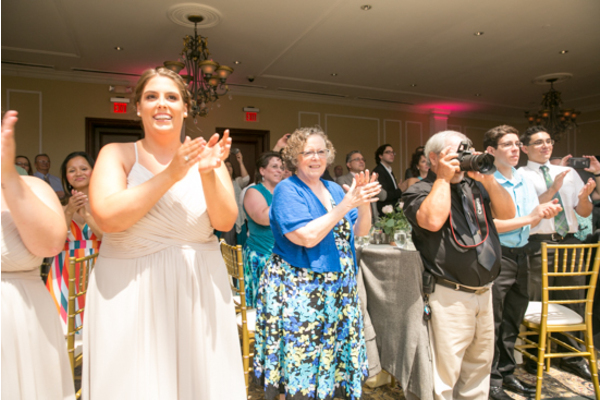 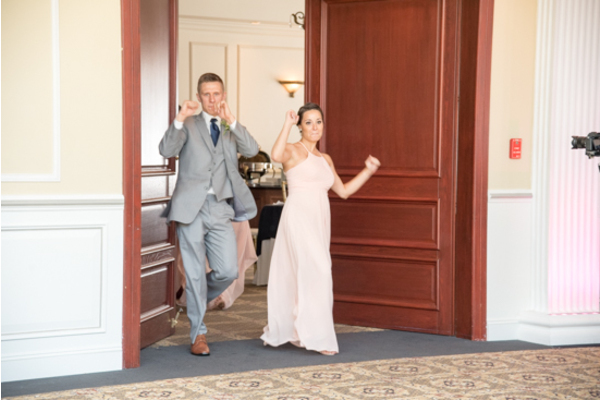 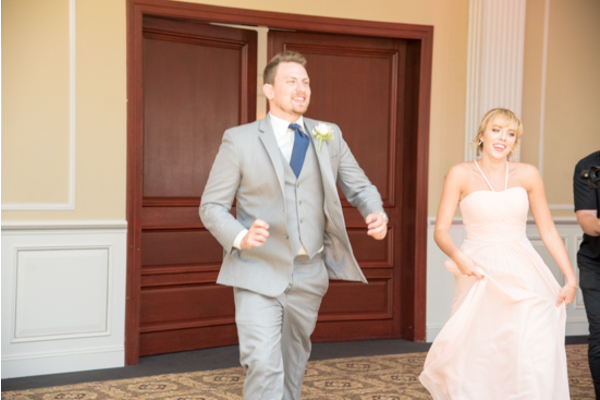 Guests were captivated by laughter, love, and plenty of dancing! 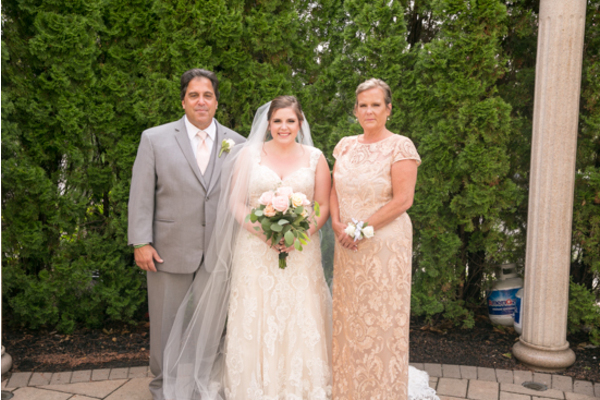 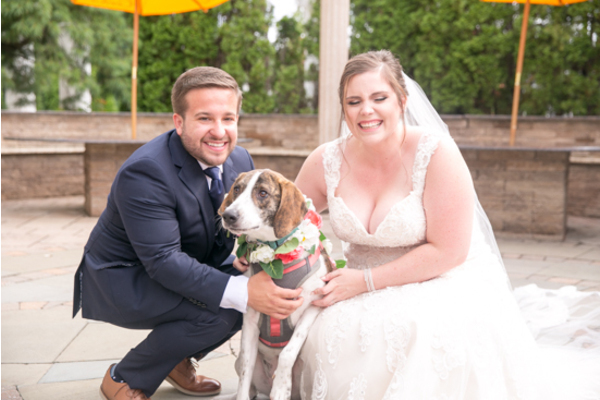 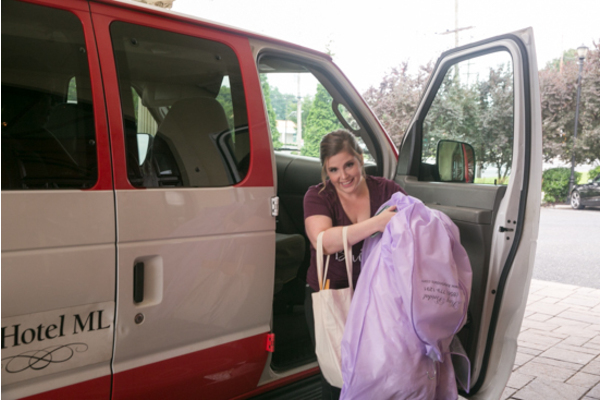 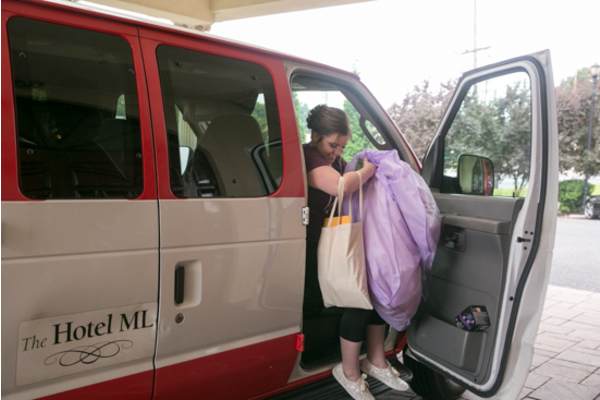 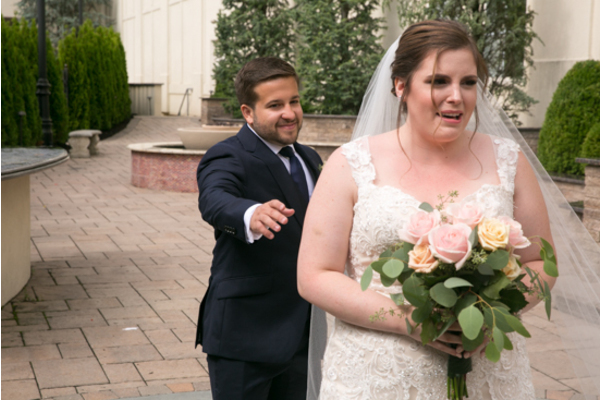 Congratulations again to Michelle and Joe on their wedding day! 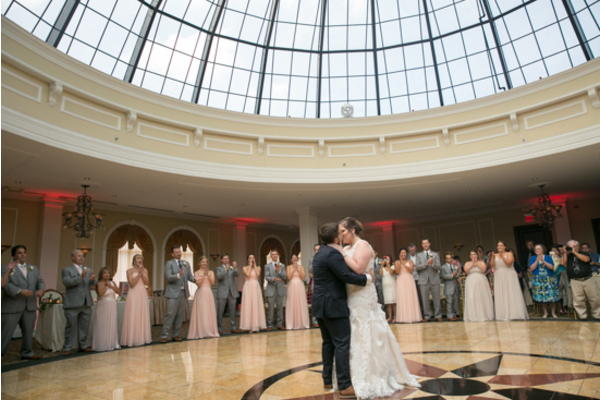 We wish you a lifetime of magical nights like this one!